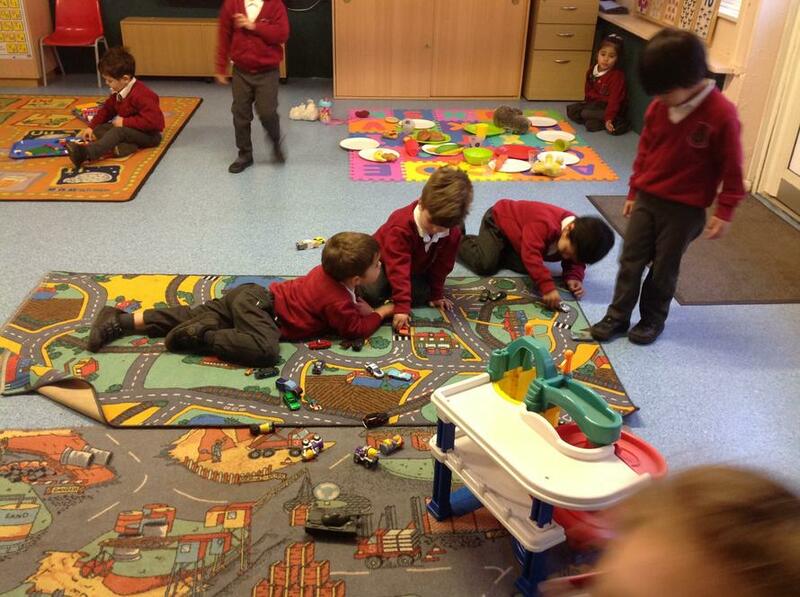 'Fun day Friday.' 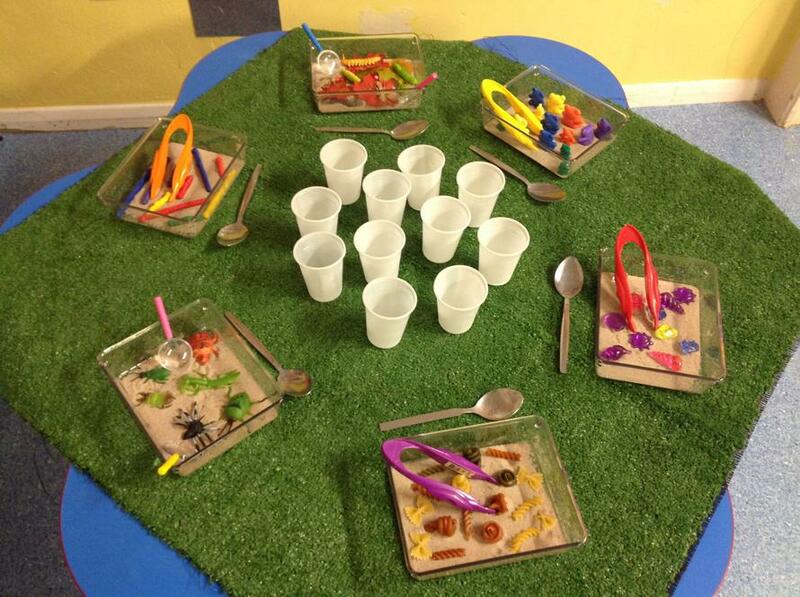 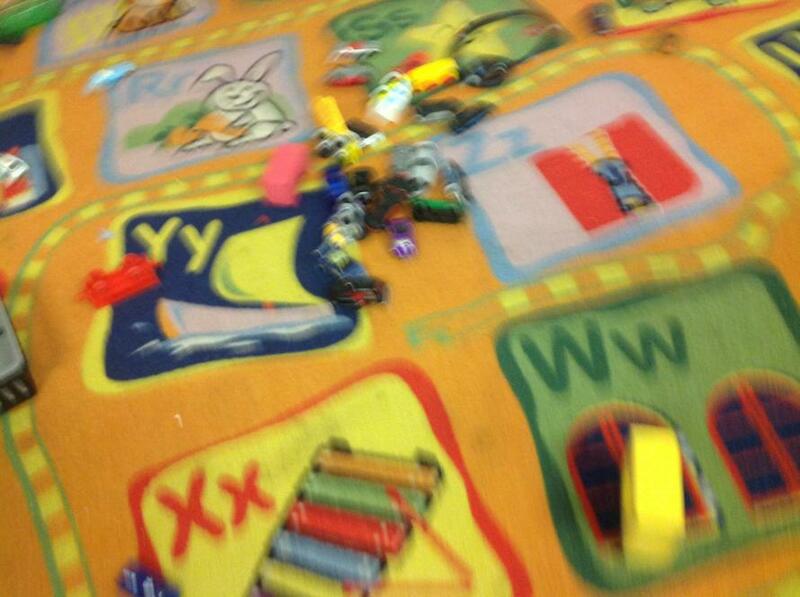 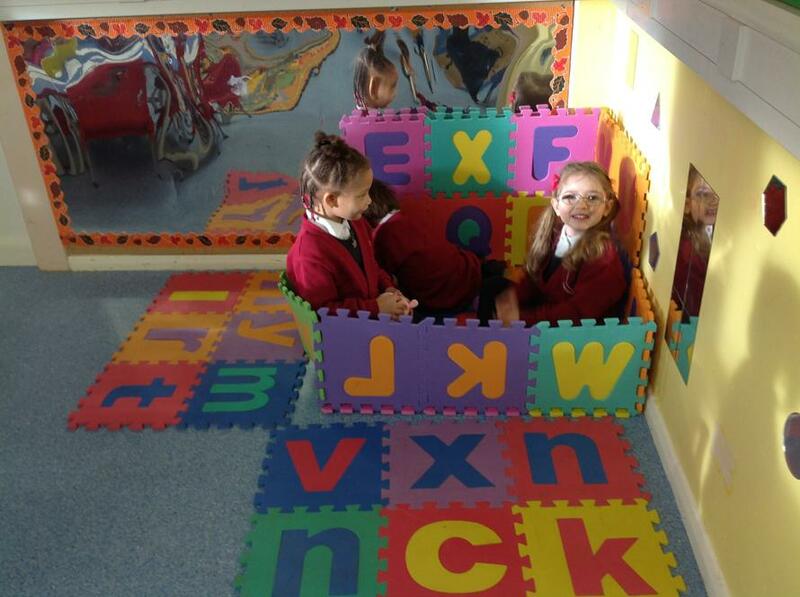 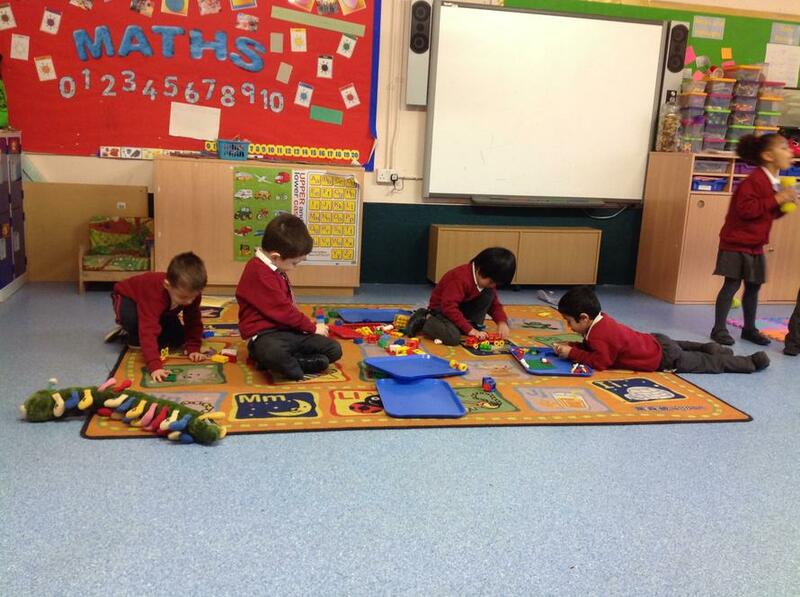 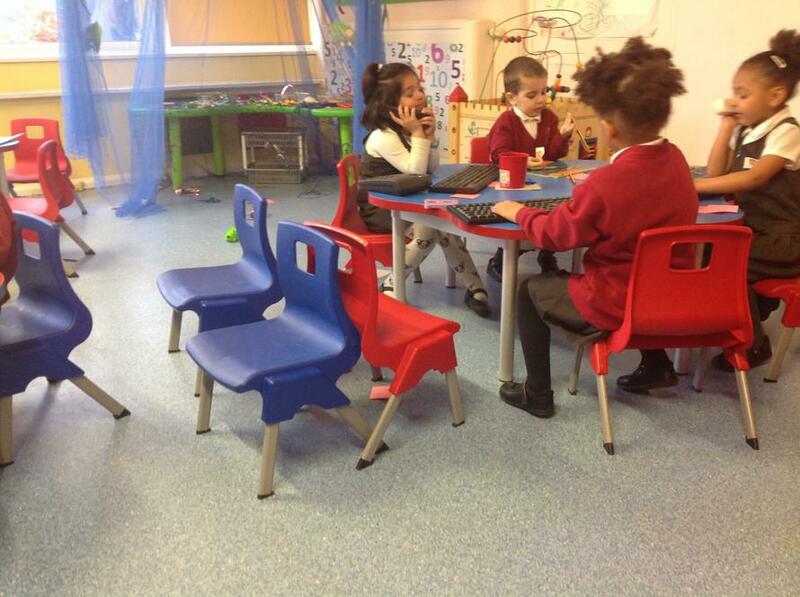 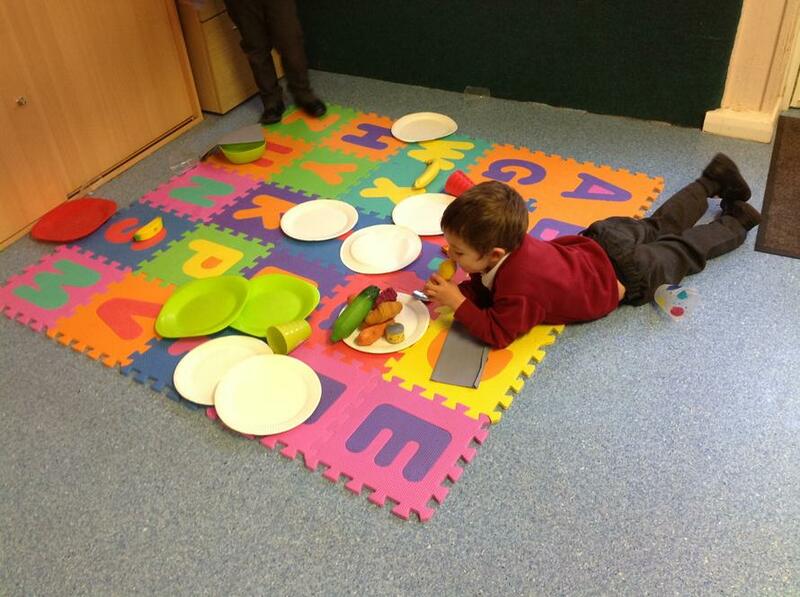 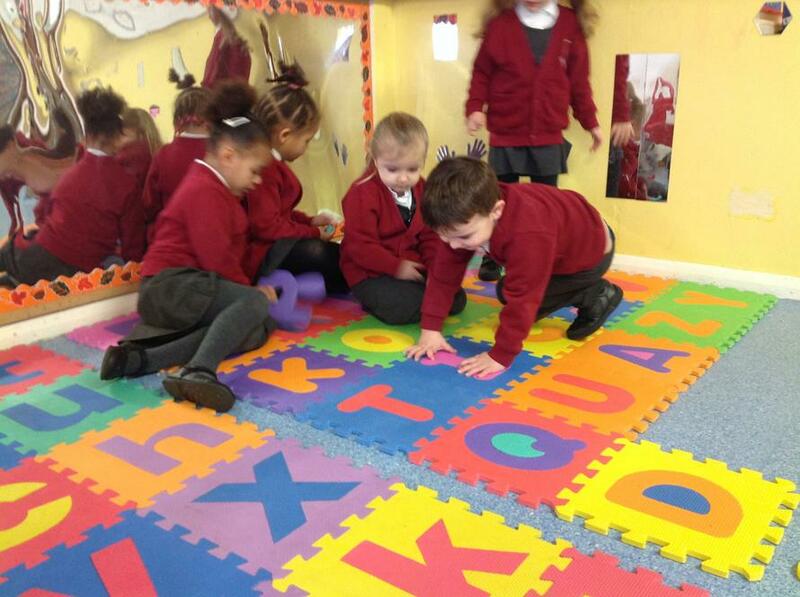 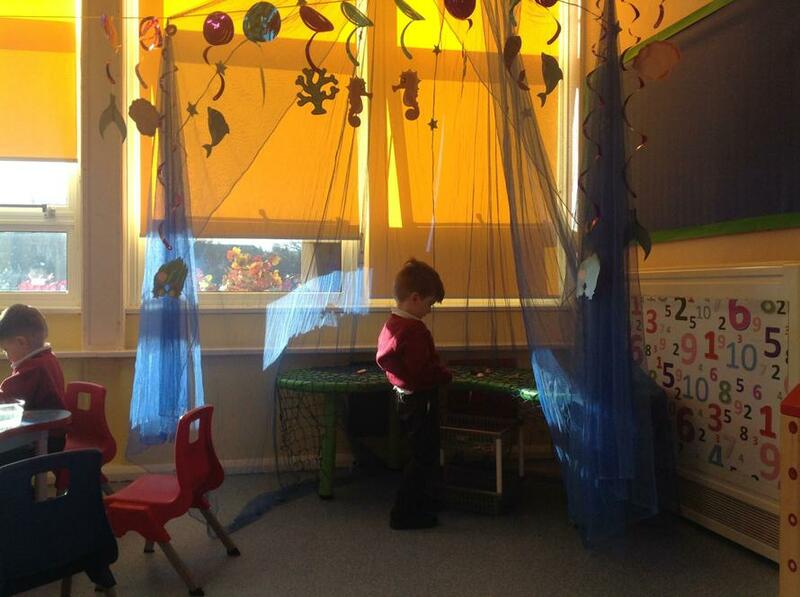 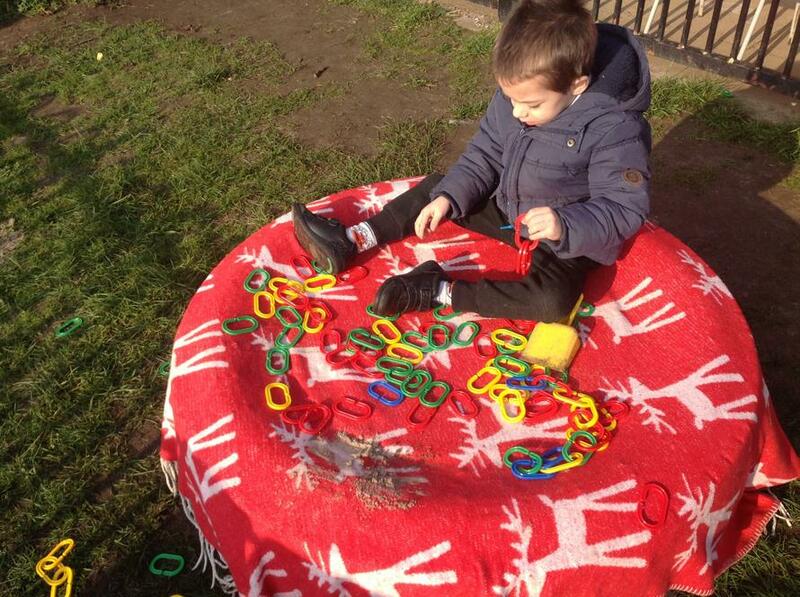 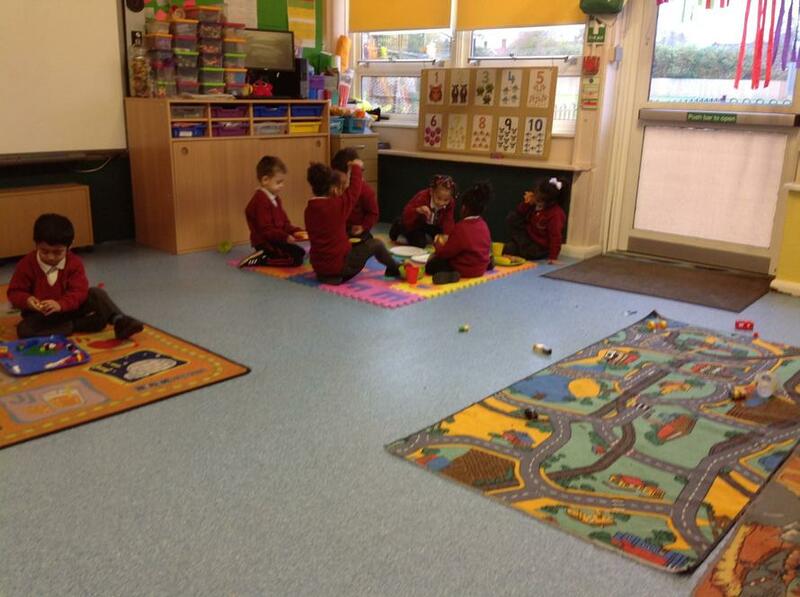 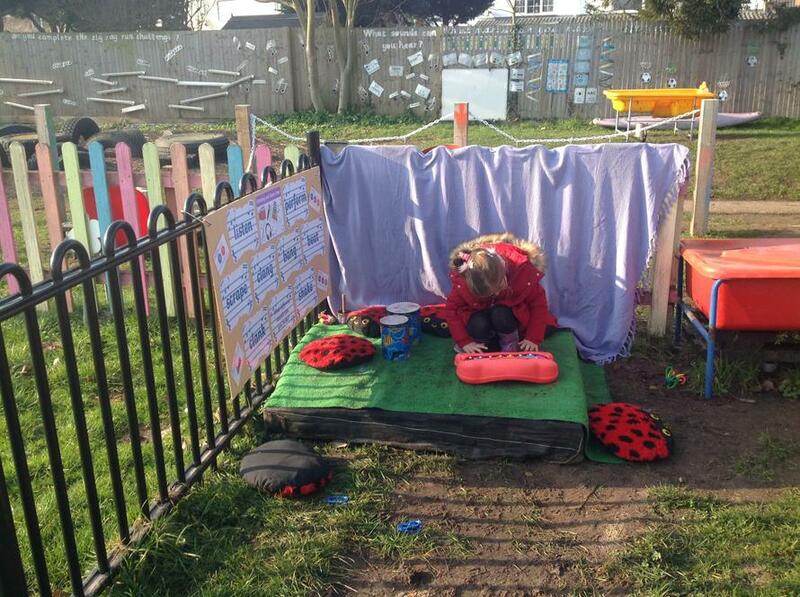 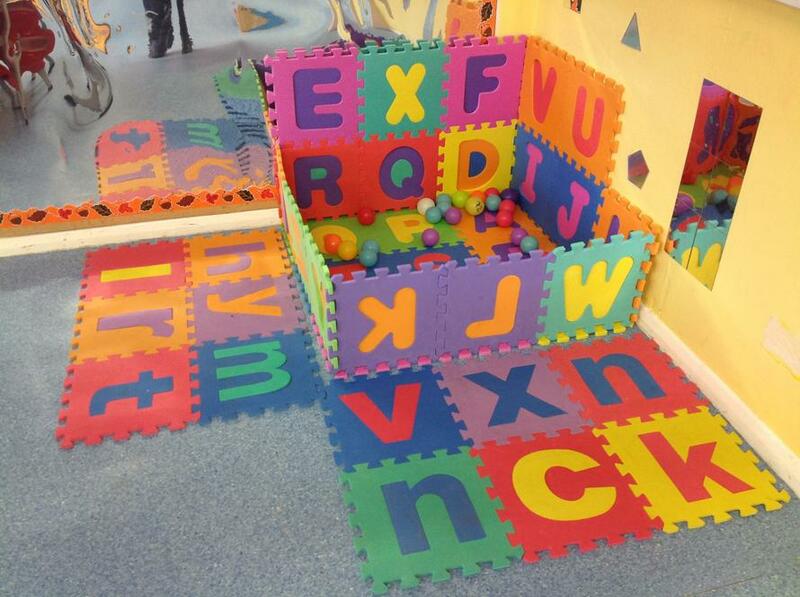 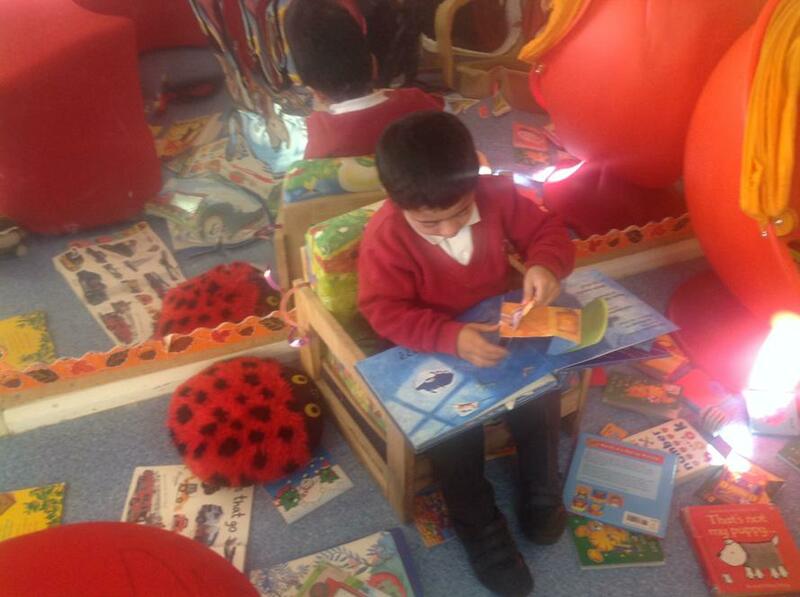 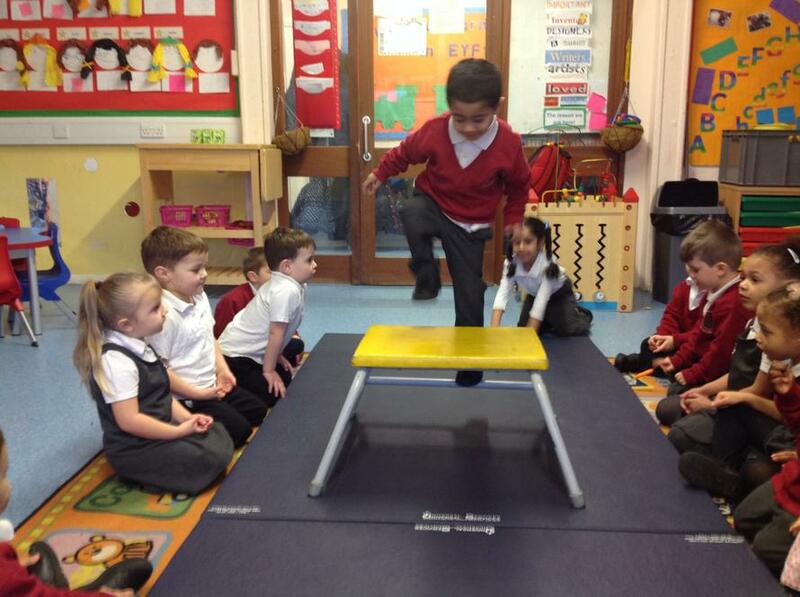 No tables and chairs for the whole session, just mats and a variety of play opportunities to choose from. 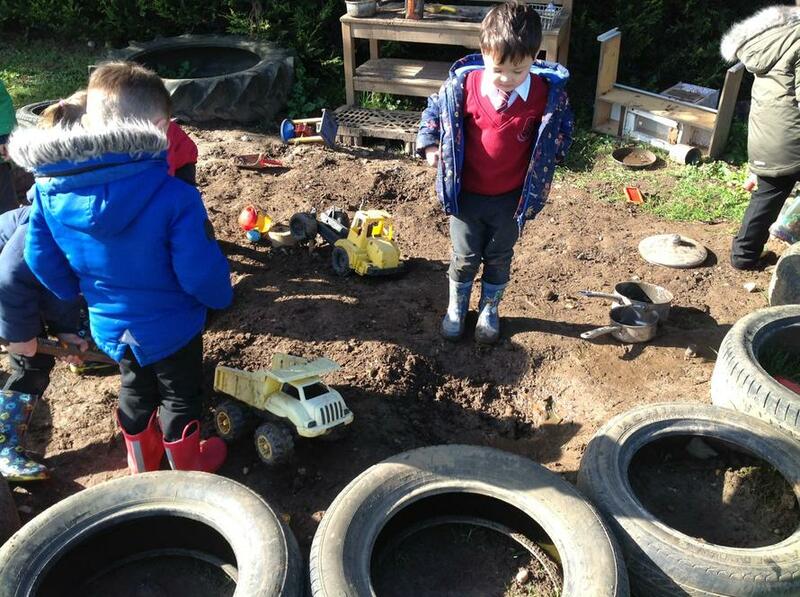 Observing the children on how they interacted with one another was amazing, new friendships formed, great conversations took place and we had a lot of smiley faces! 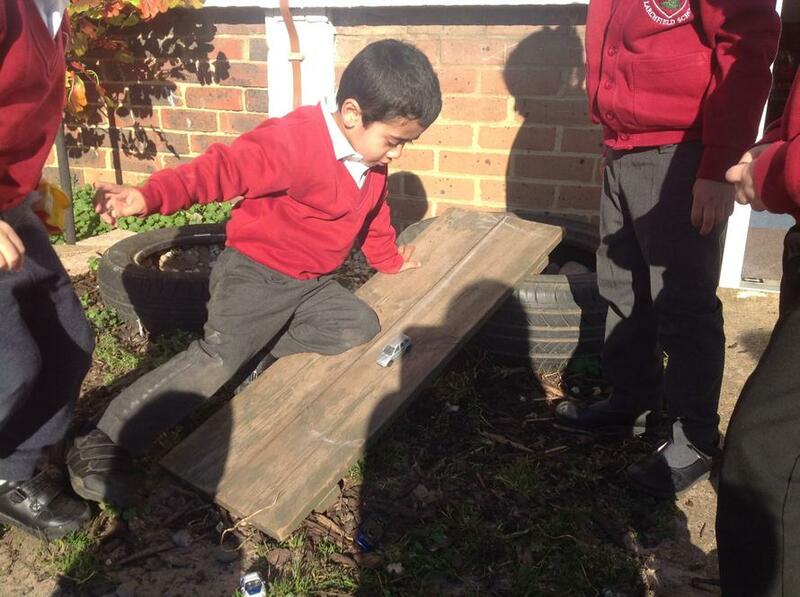 Using our gross motor skills outside! 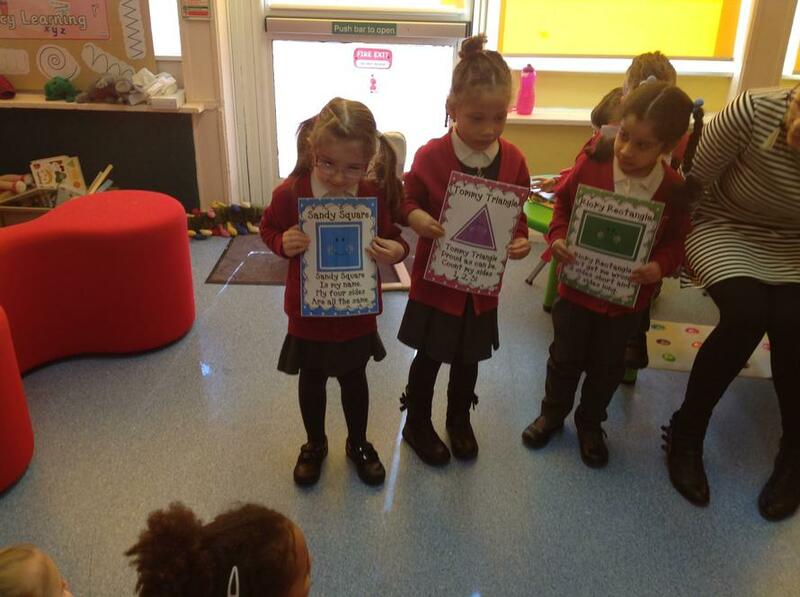 We discovered a lot about ourselves and what we can do! 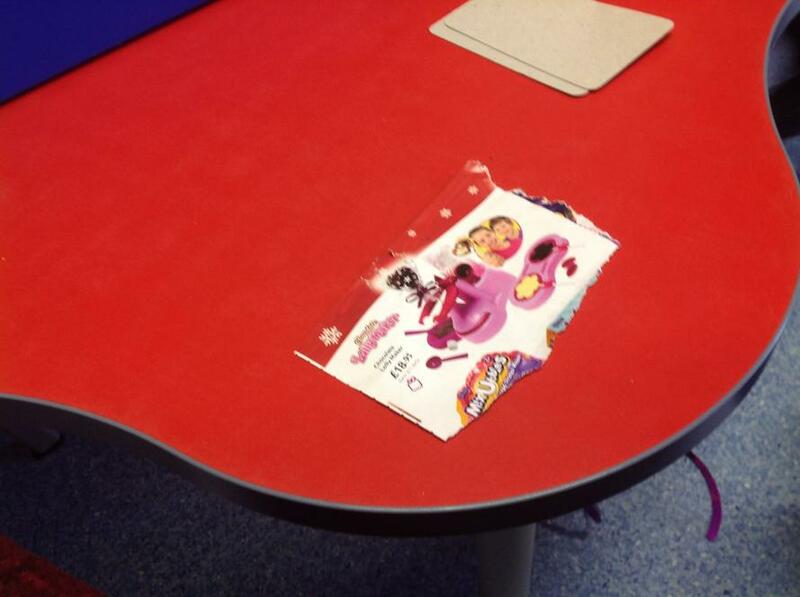 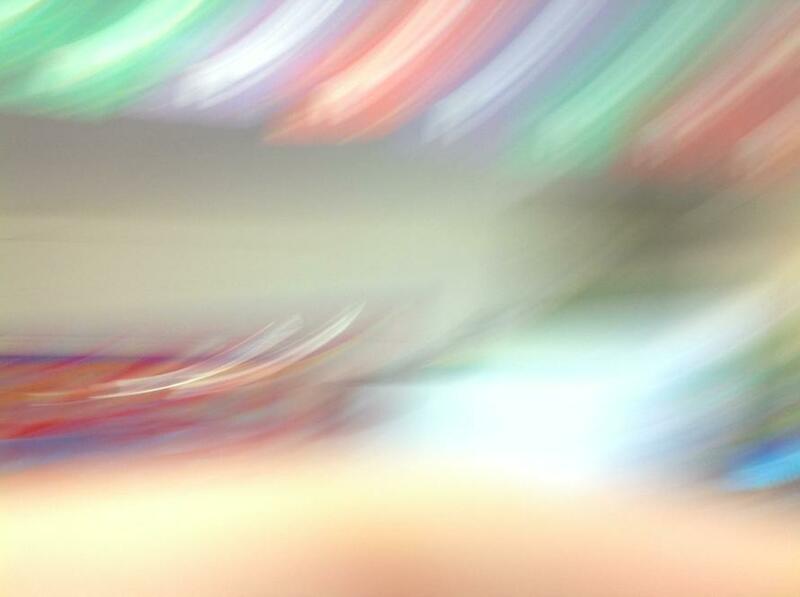 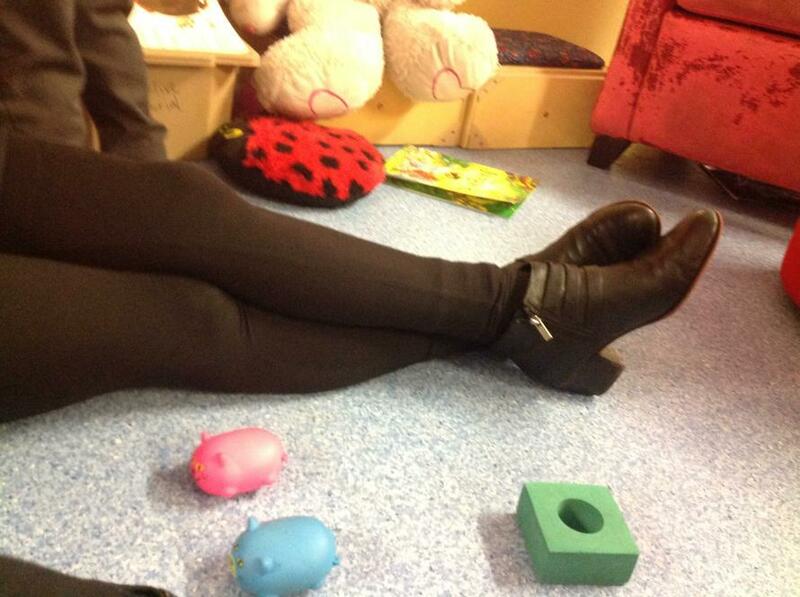 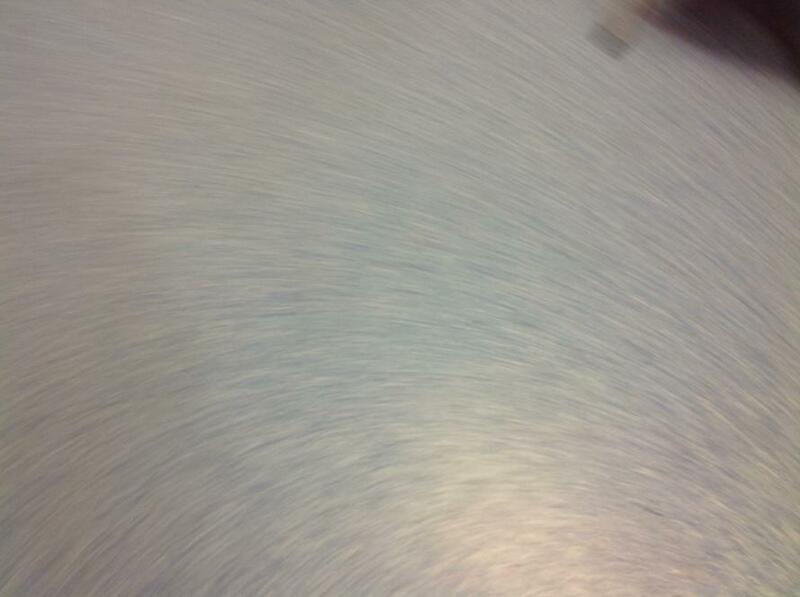 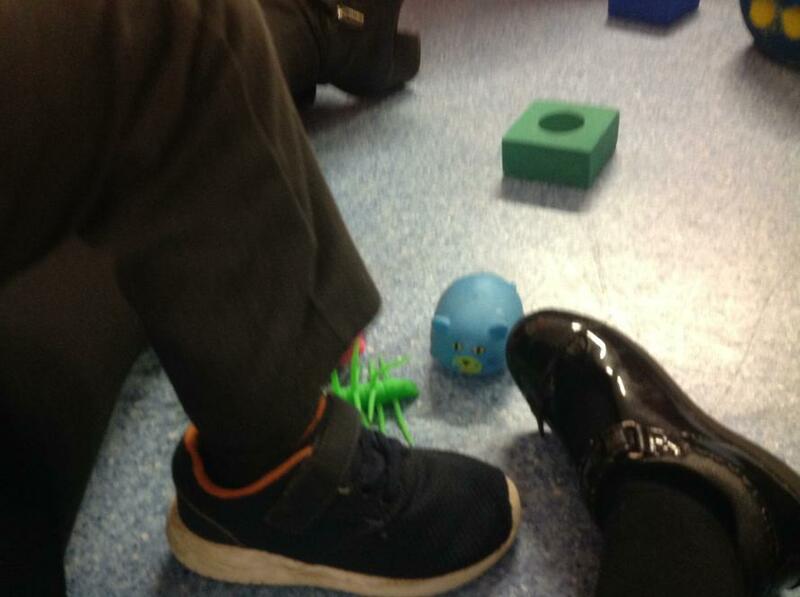 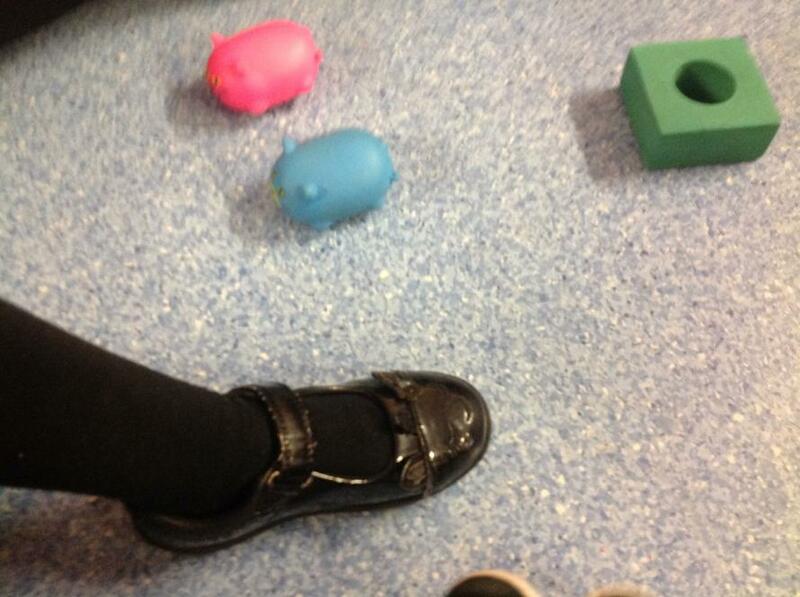 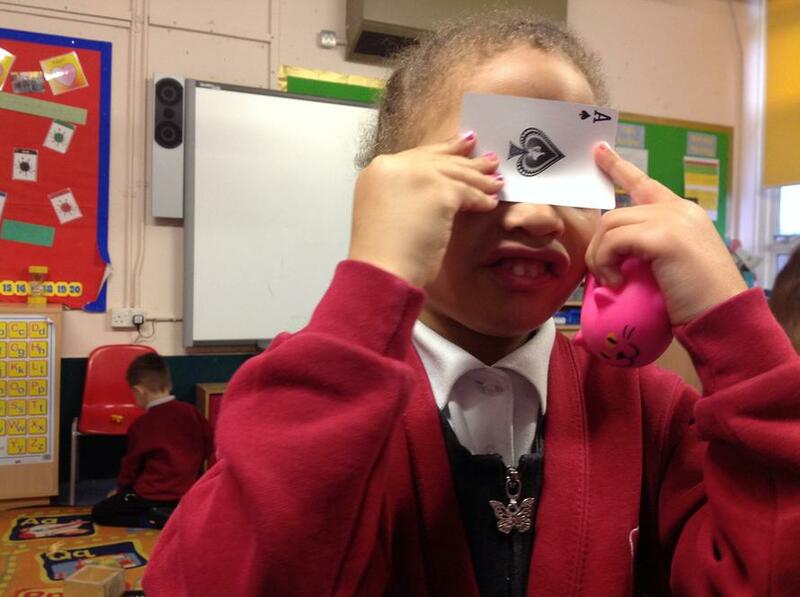 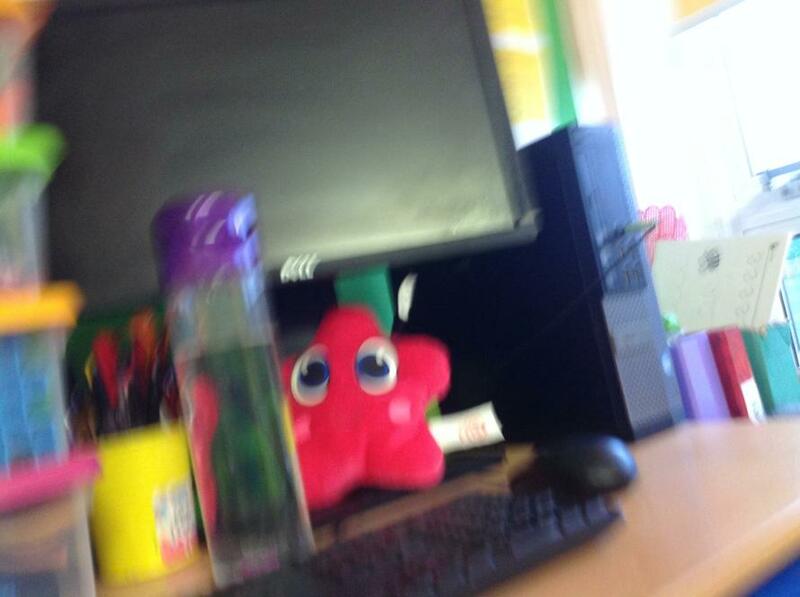 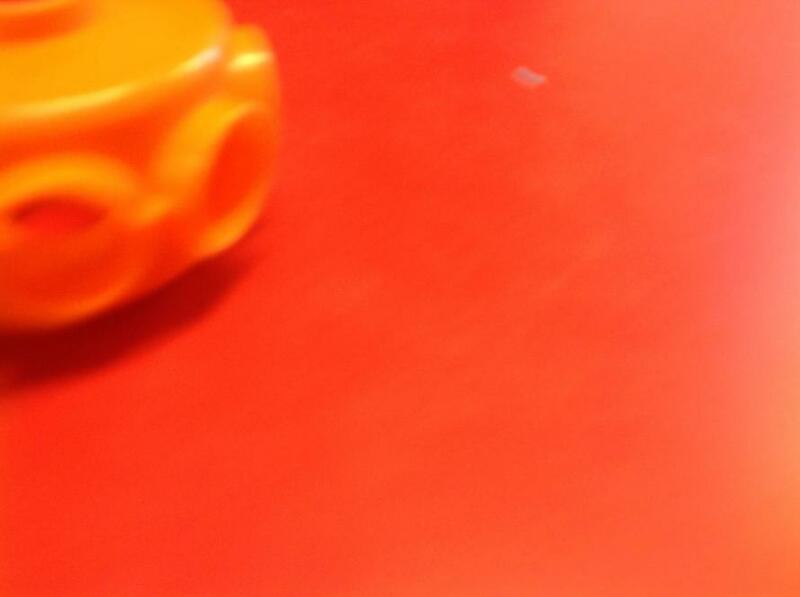 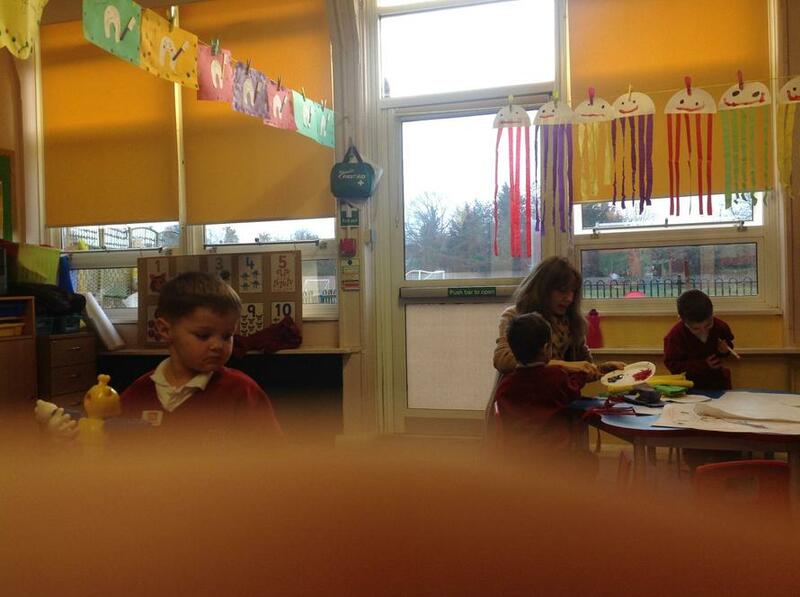 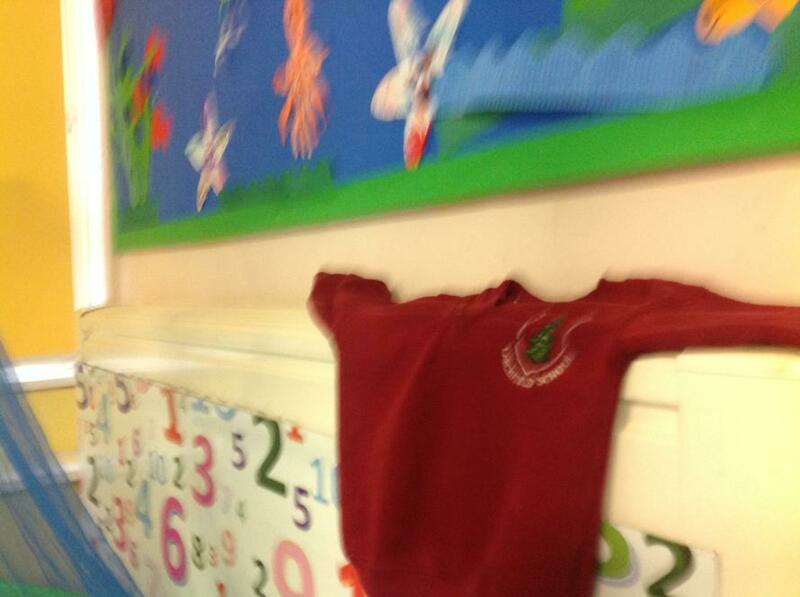 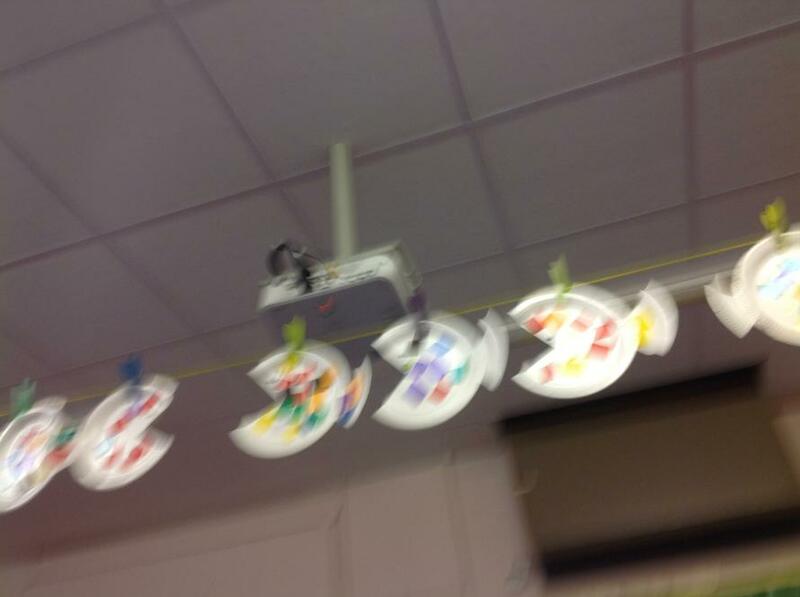 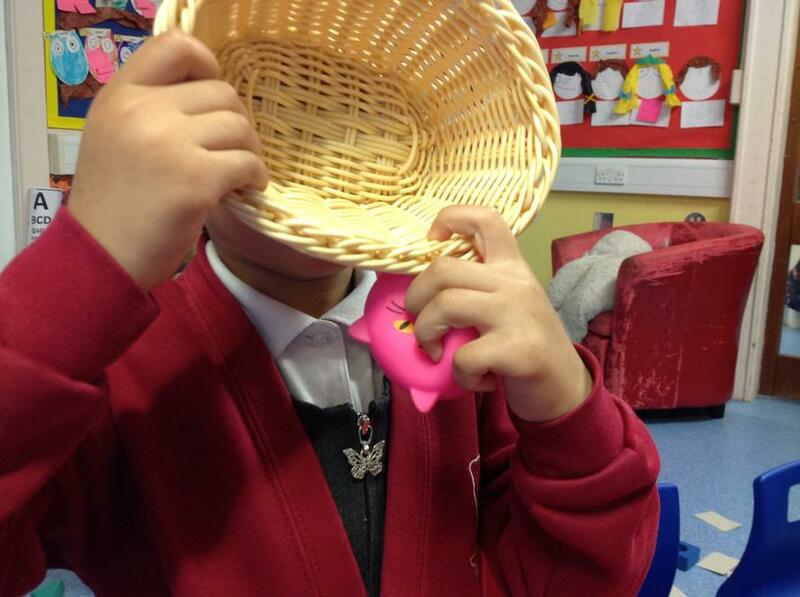 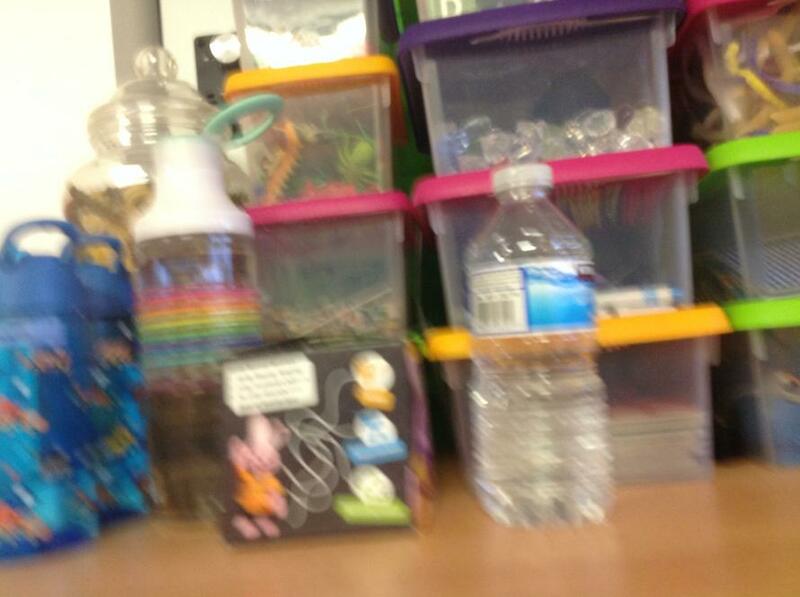 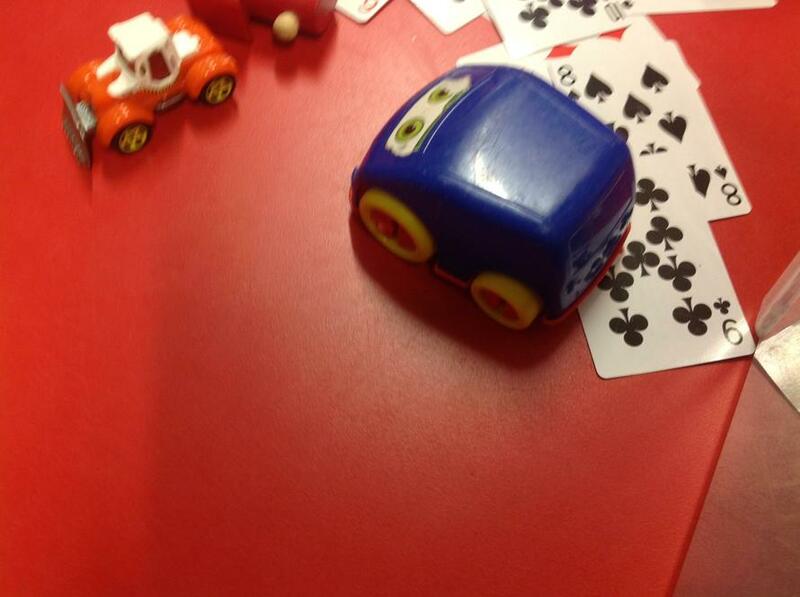 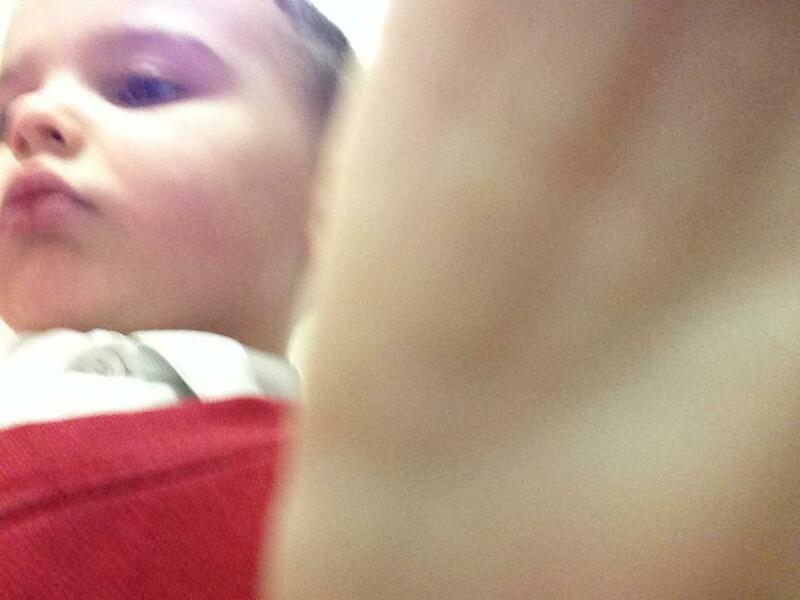 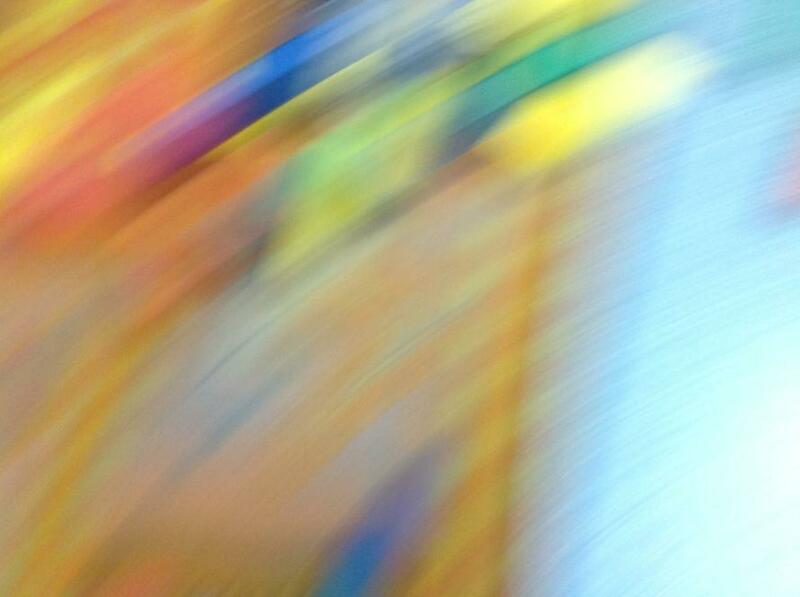 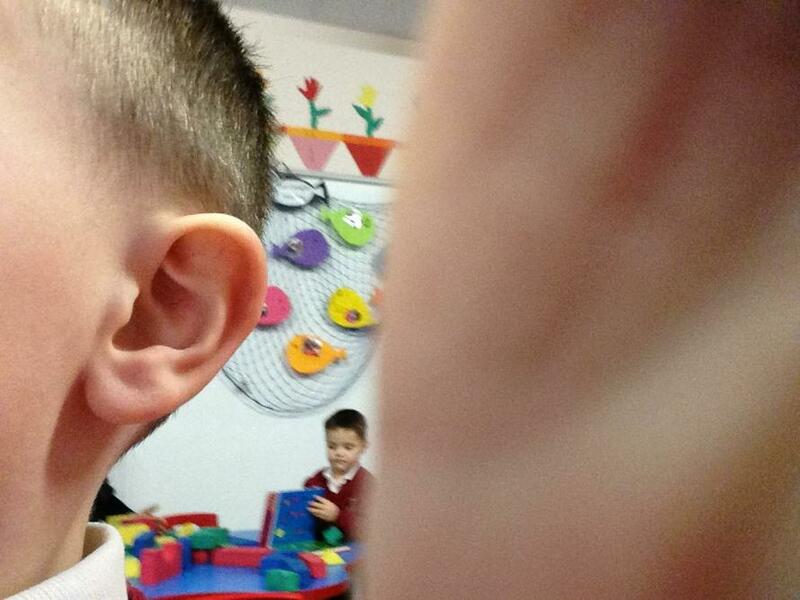 The children have taken some interesting pictures when practising to use the camera this week! 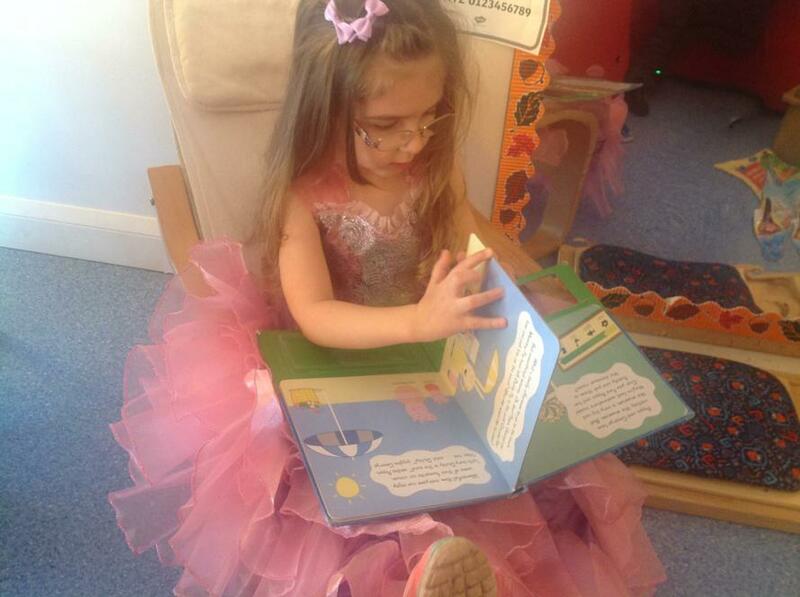 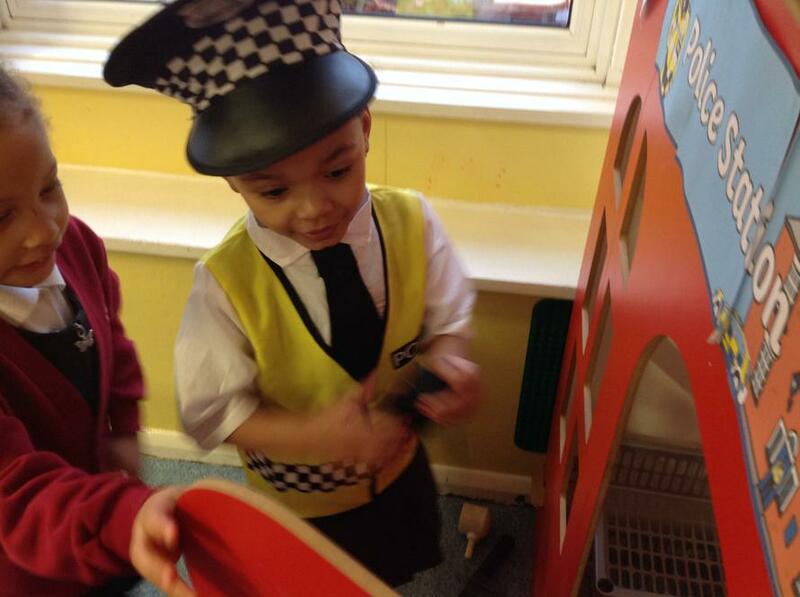 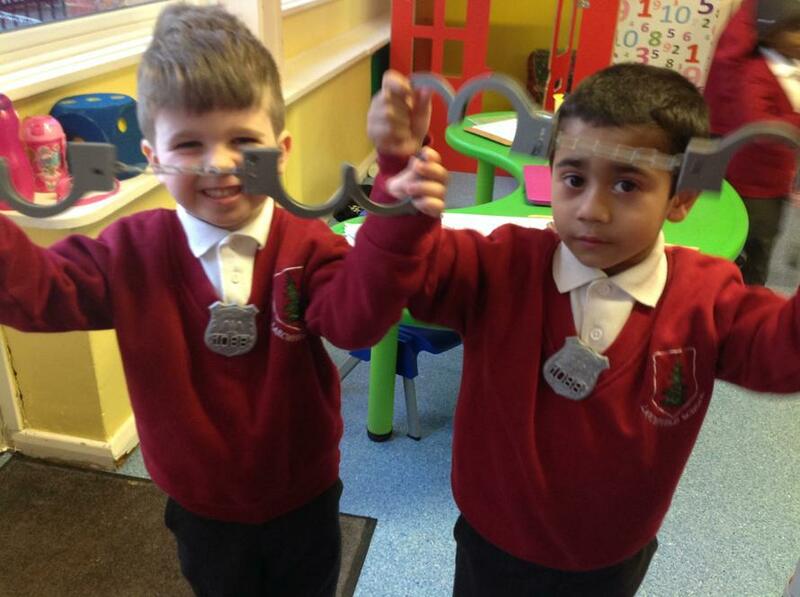 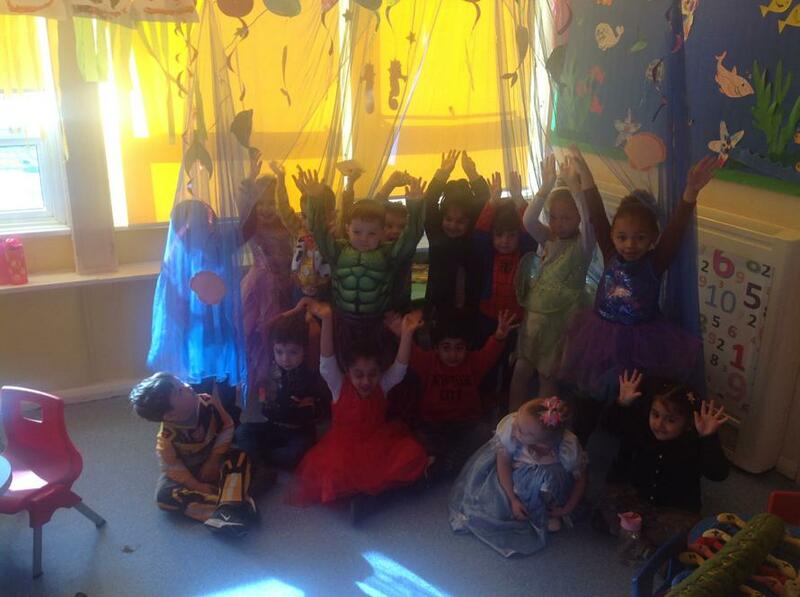 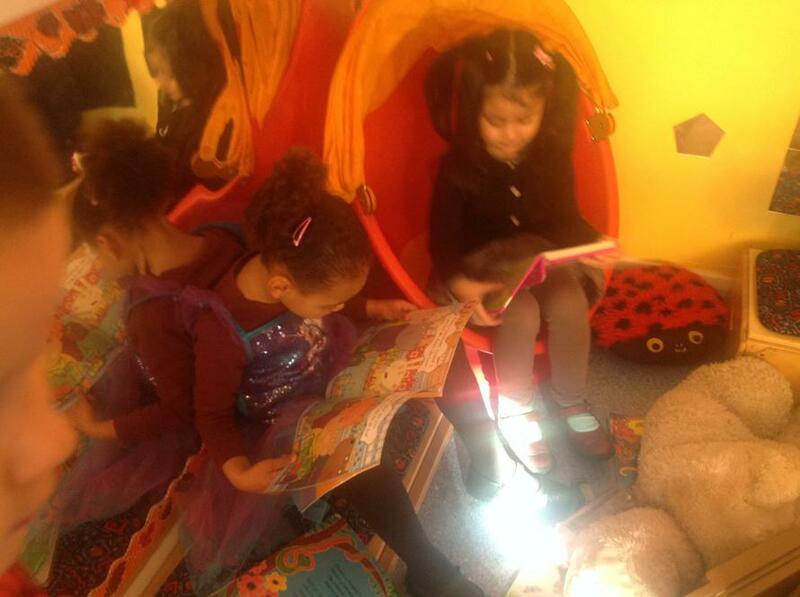 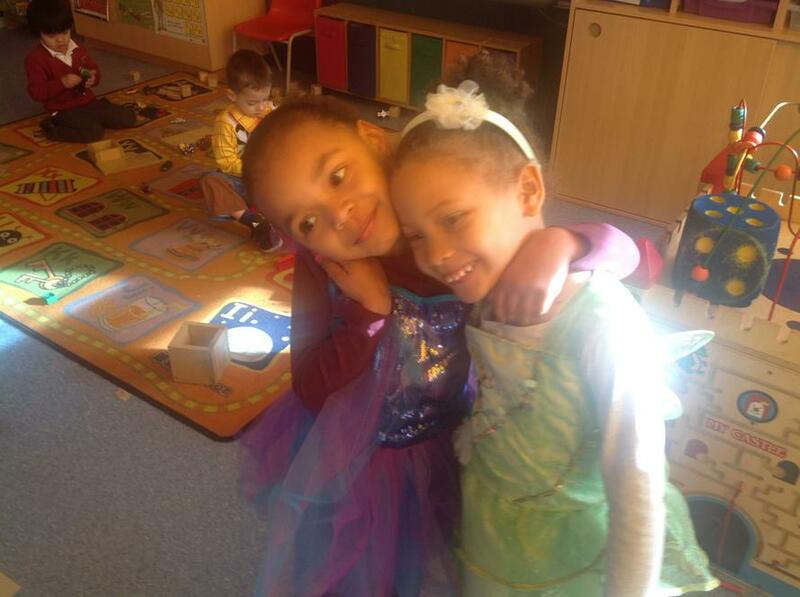 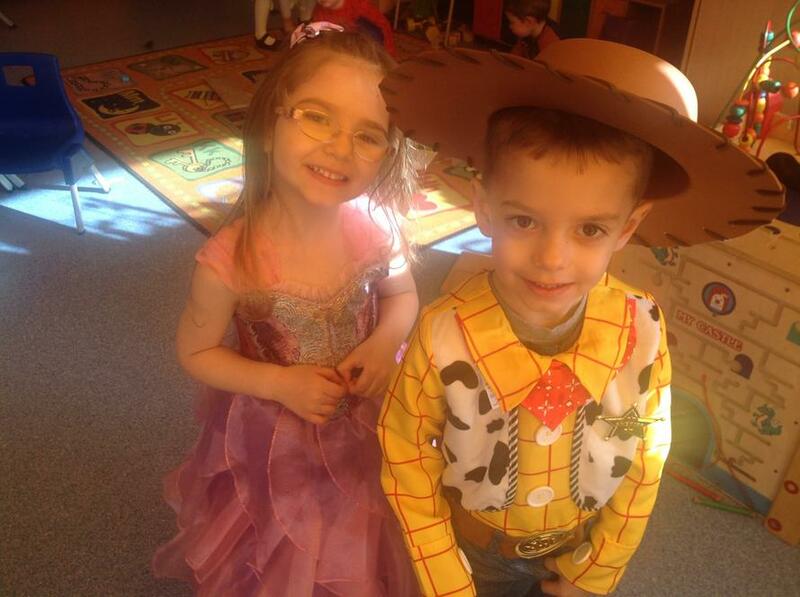 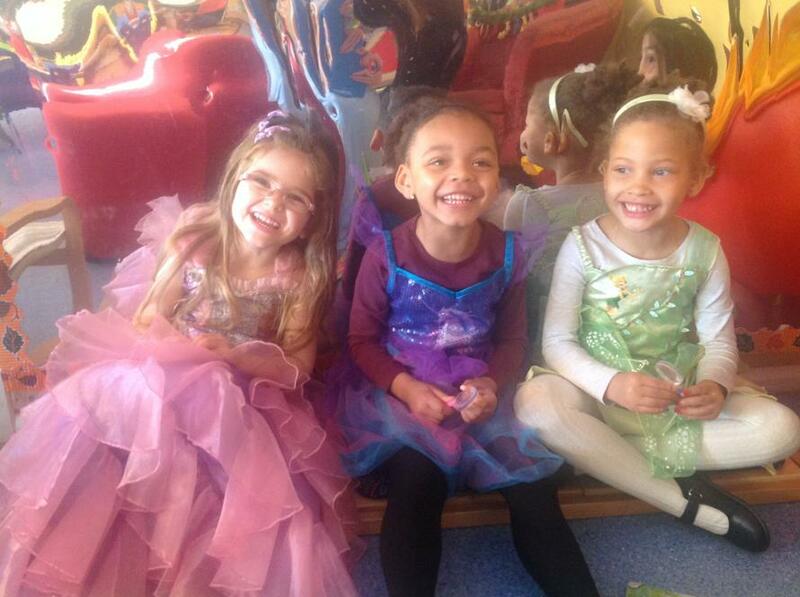 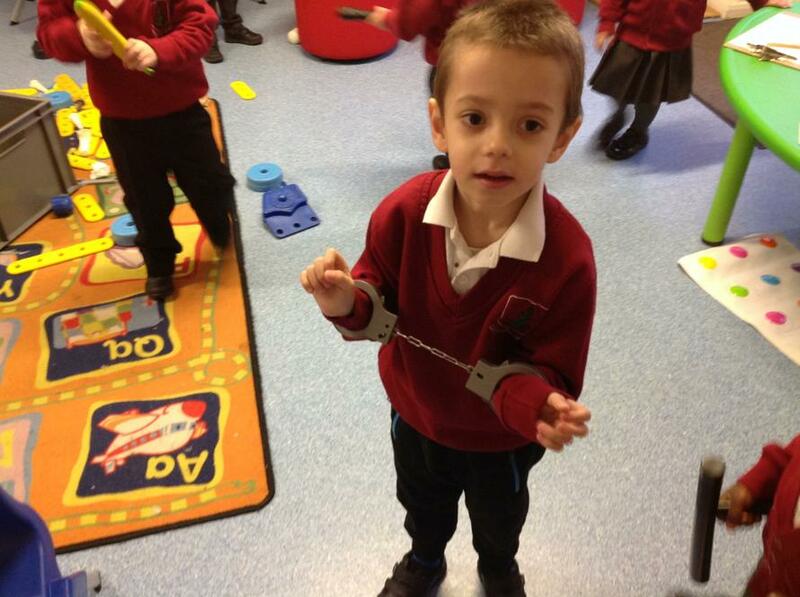 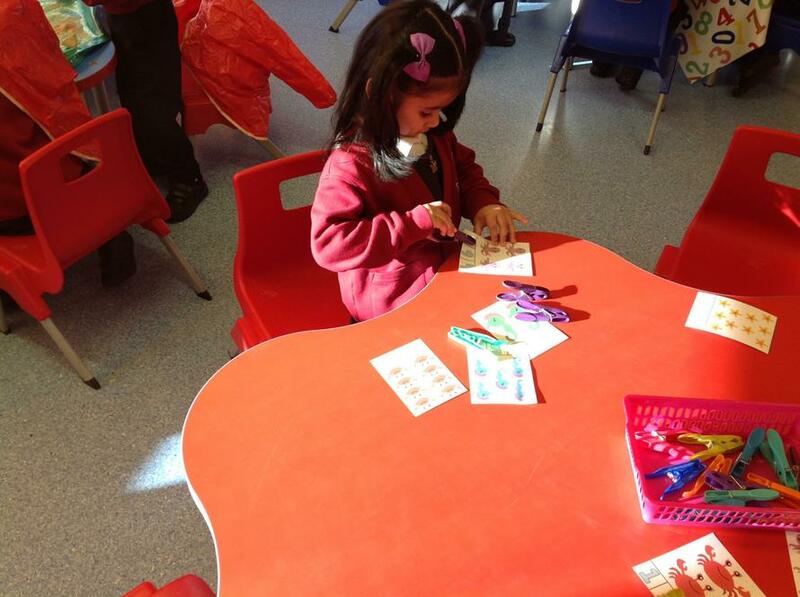 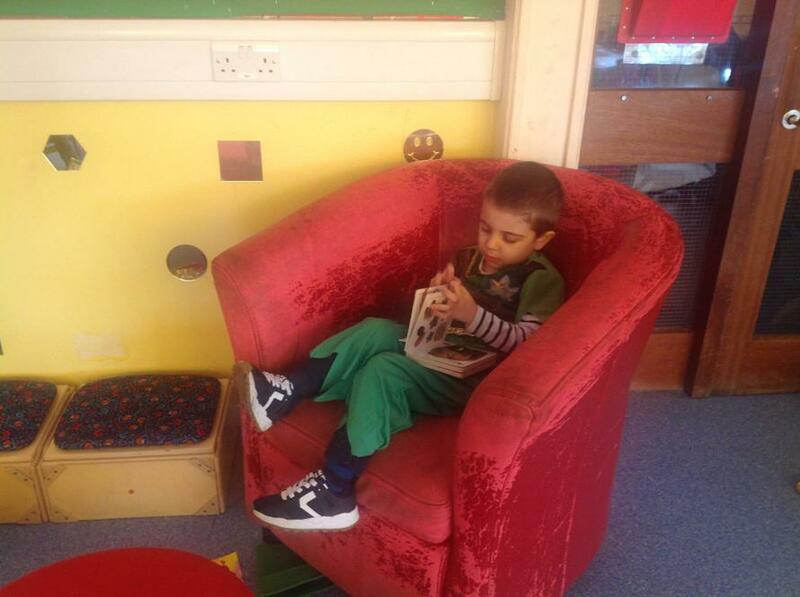 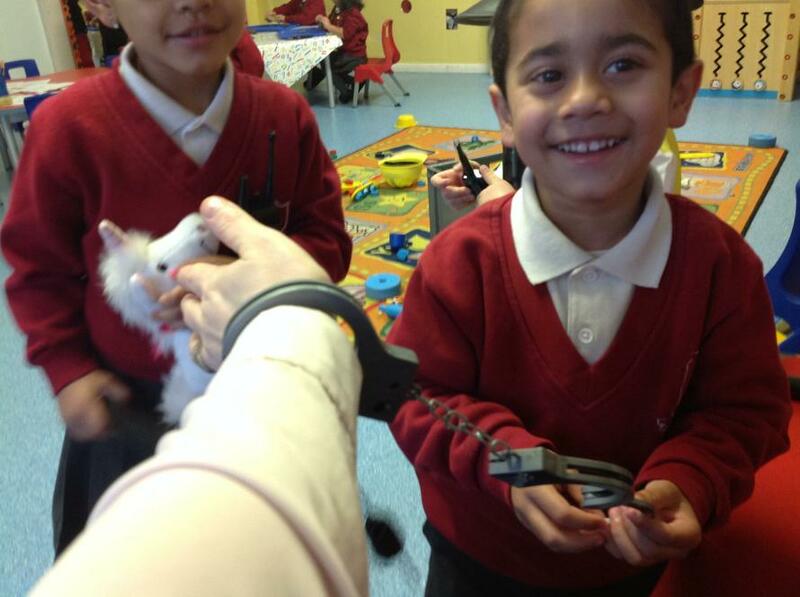 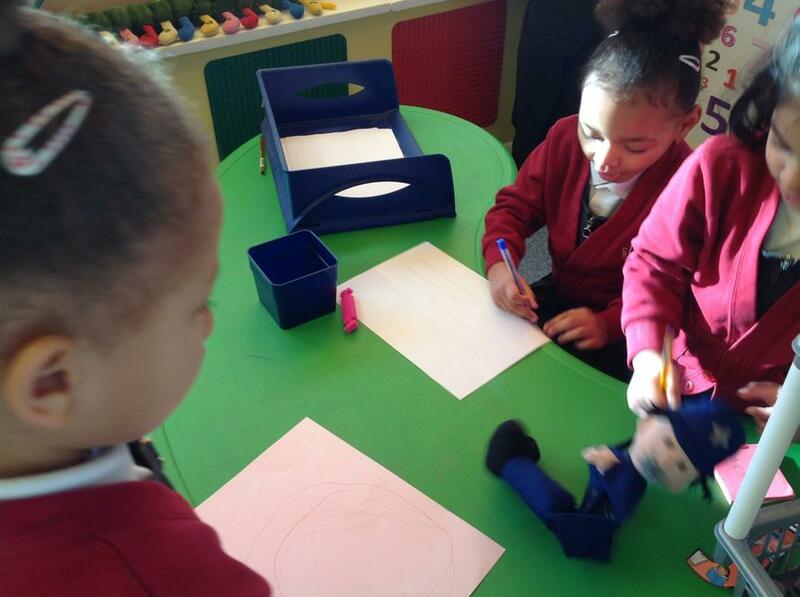 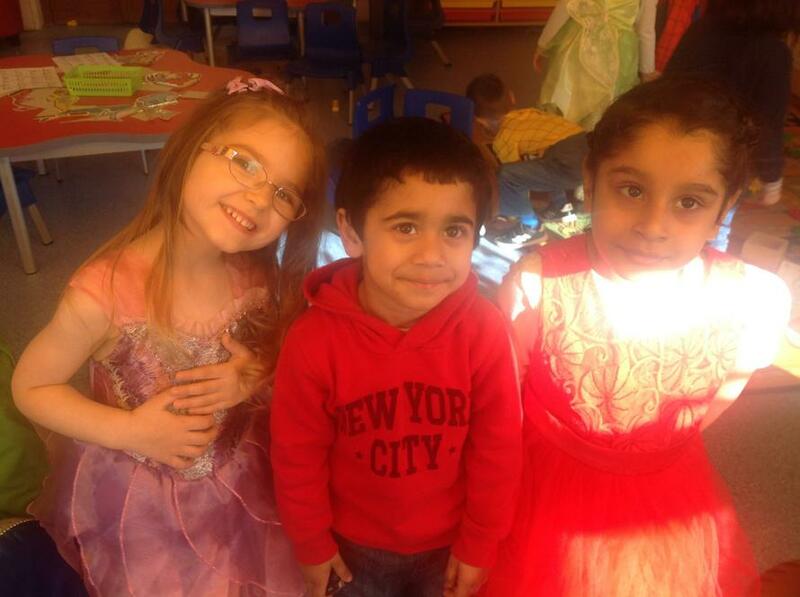 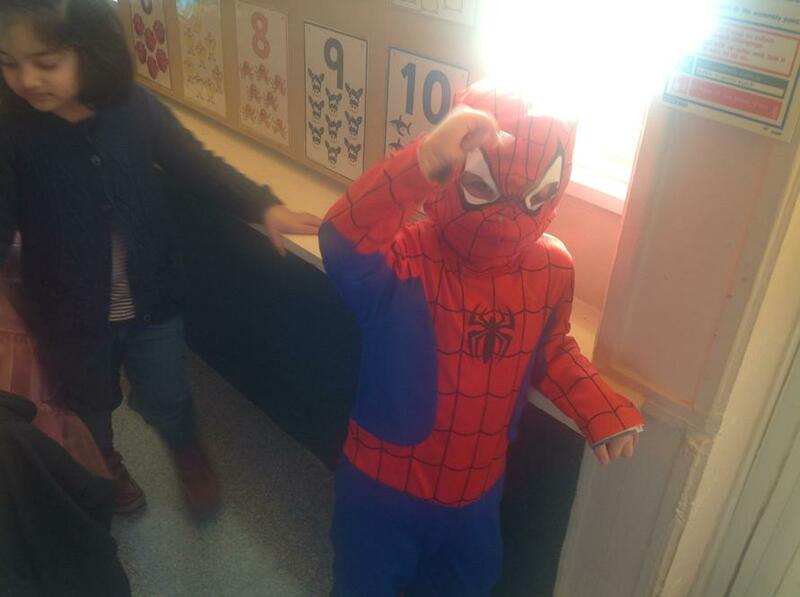 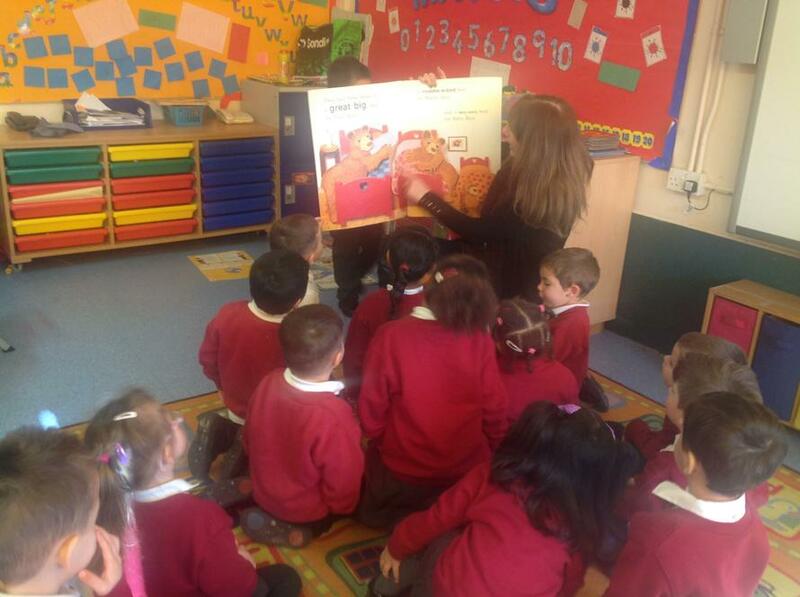 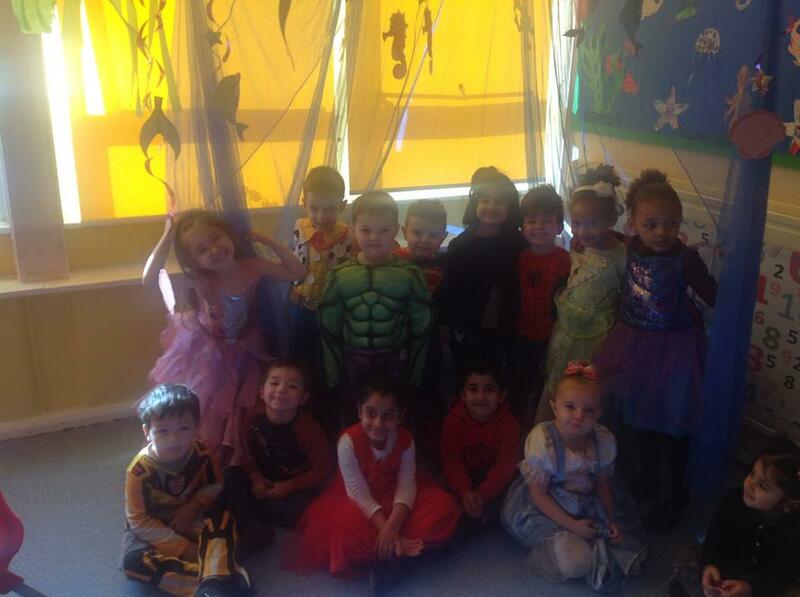 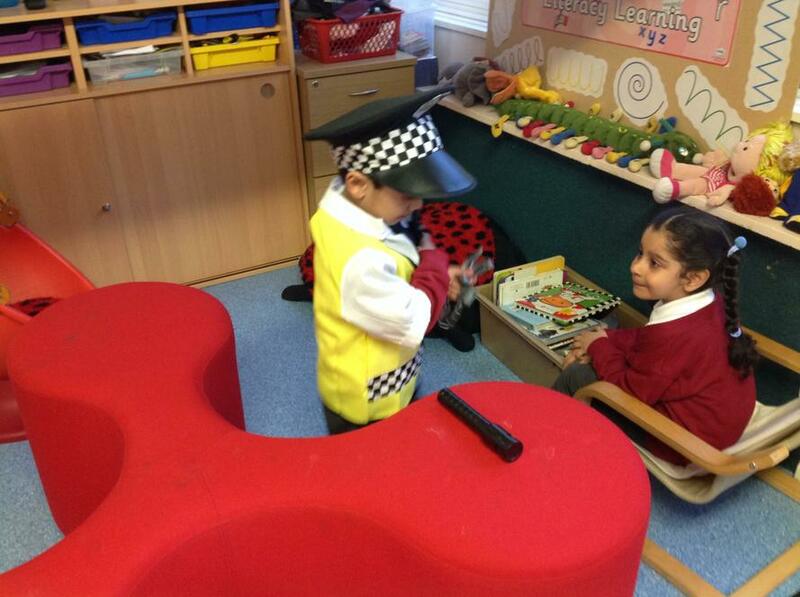 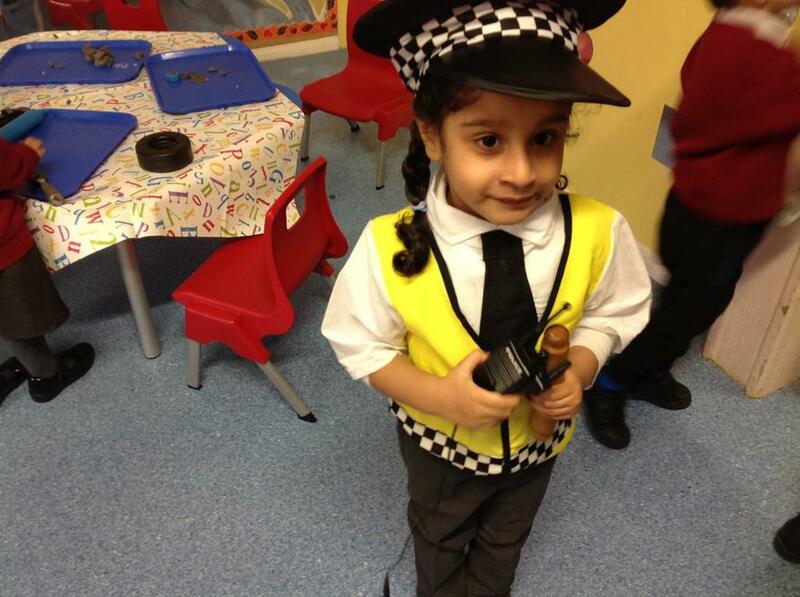 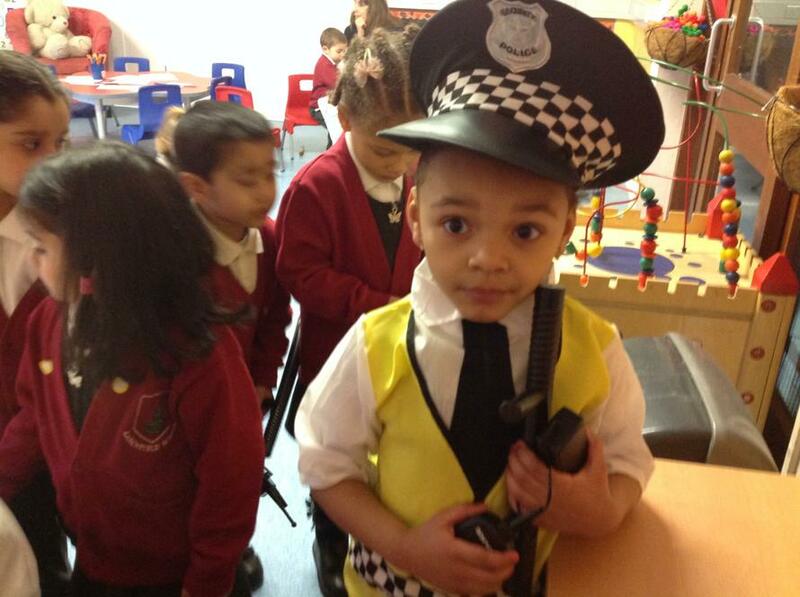 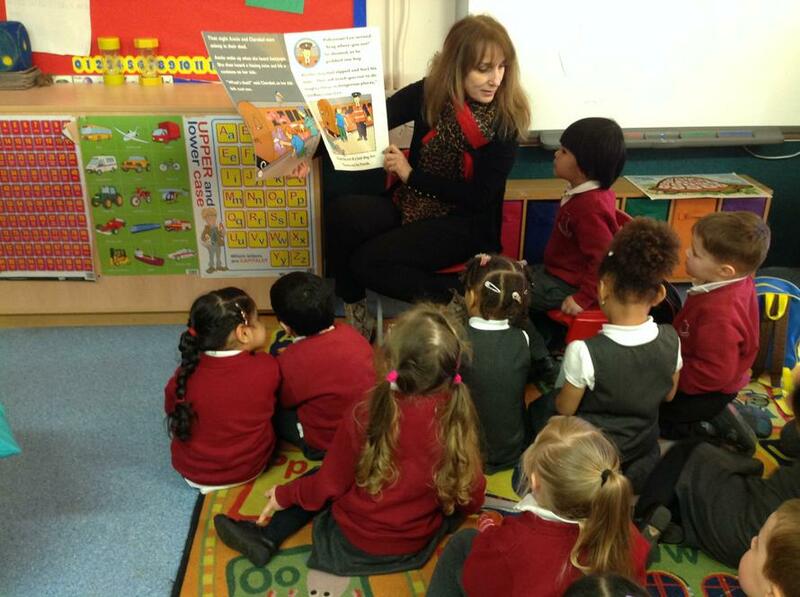 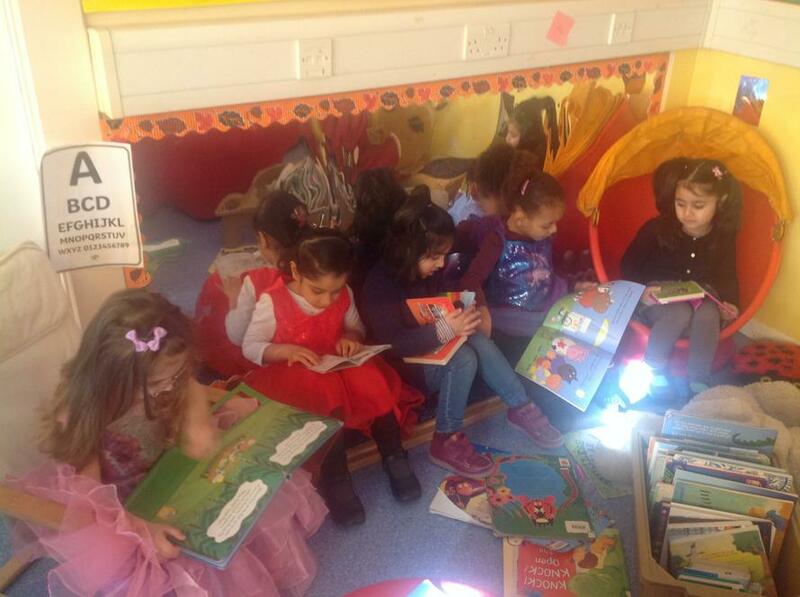 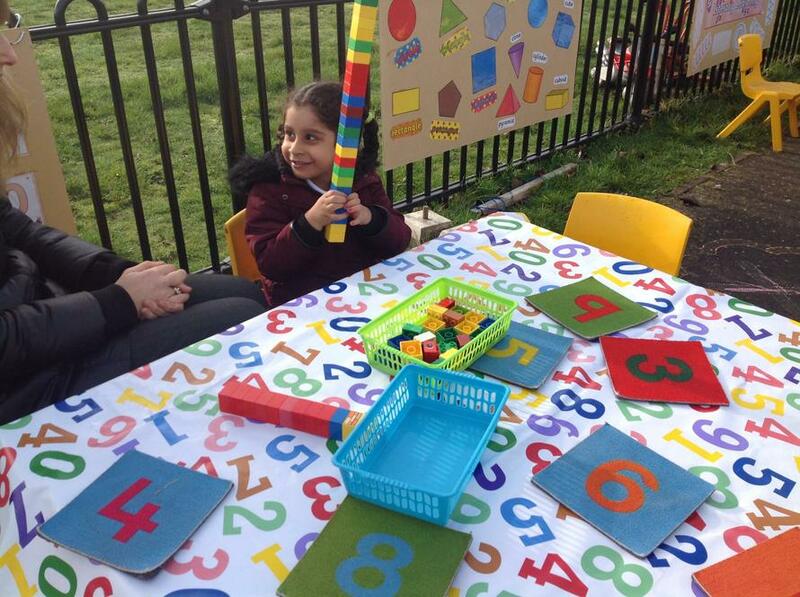 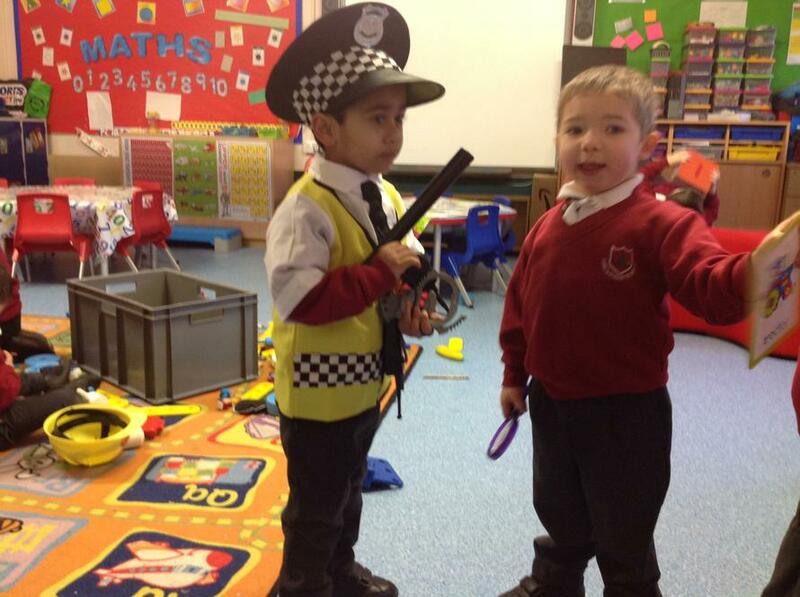 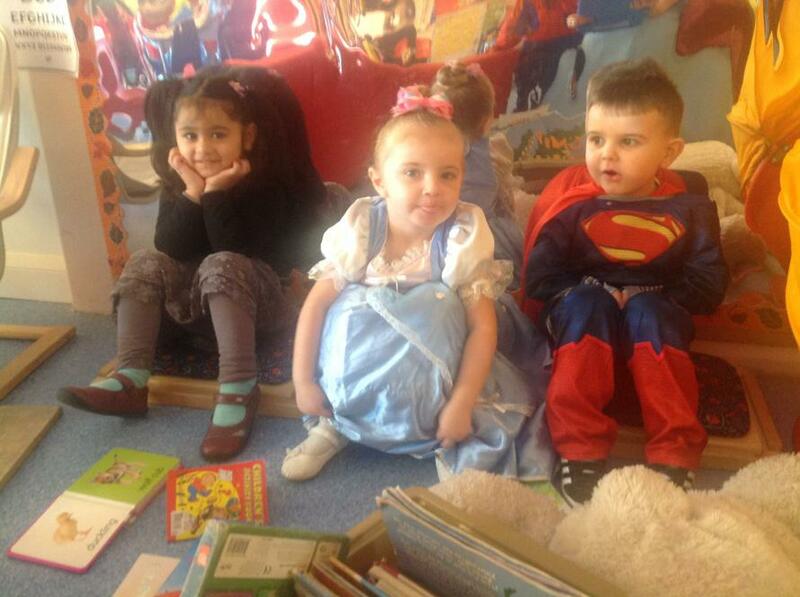 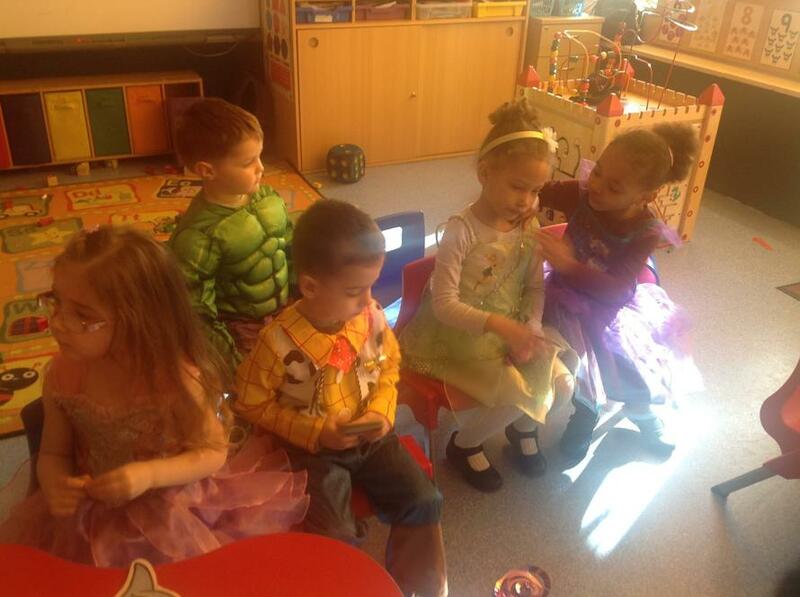 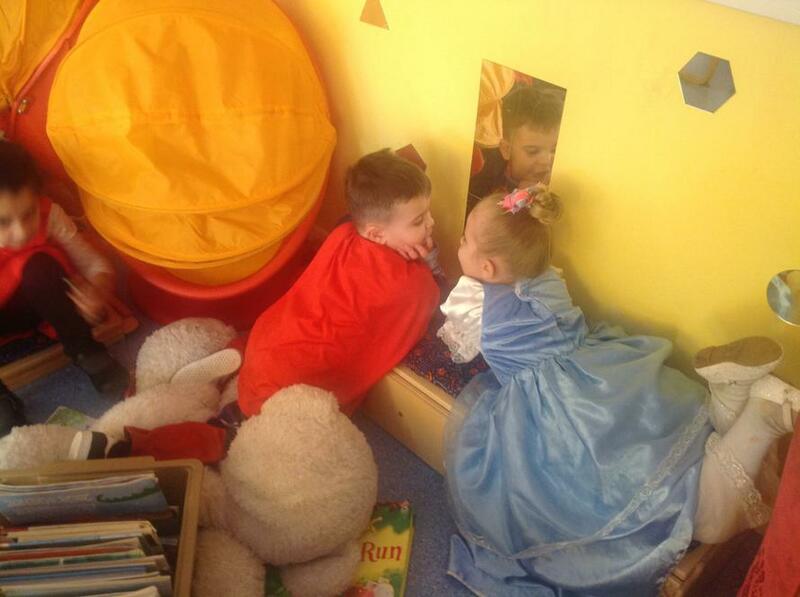 Dress up for 'World Book Day' was a lot of fun, the children enjoyed interacting with each other as their characters! 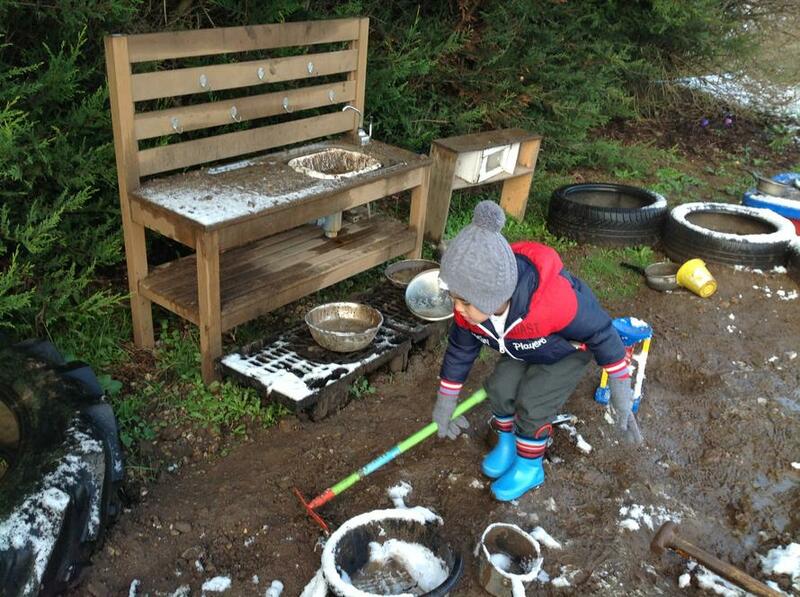 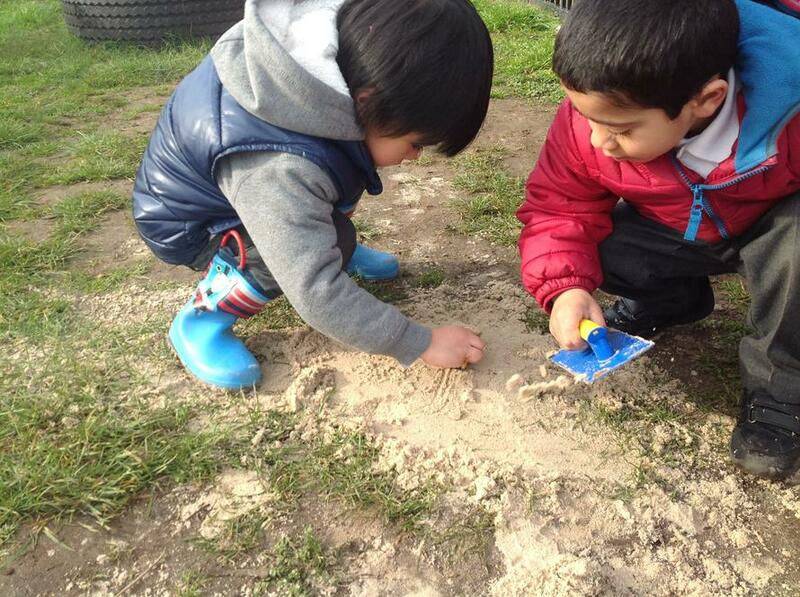 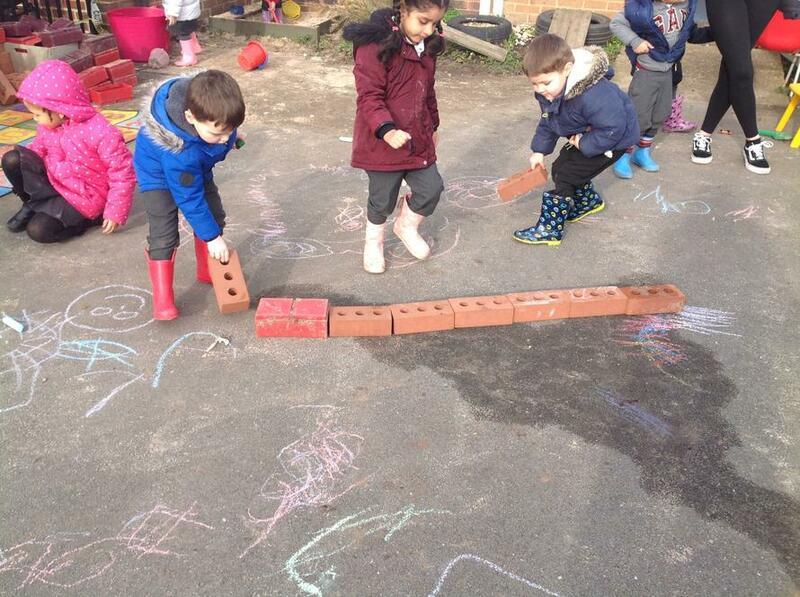 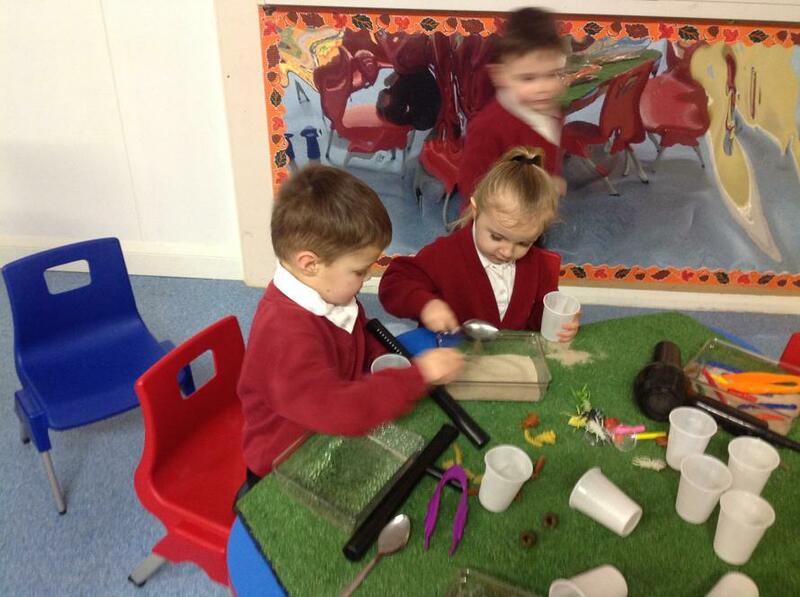 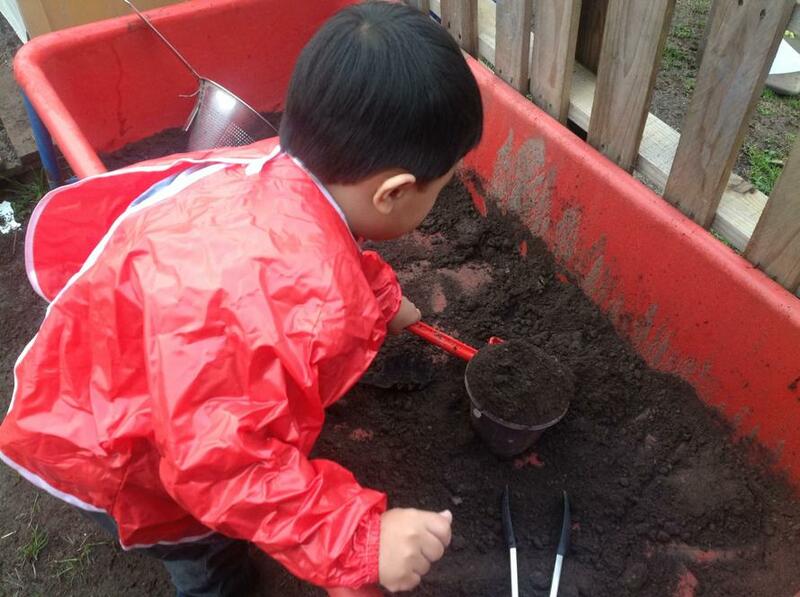 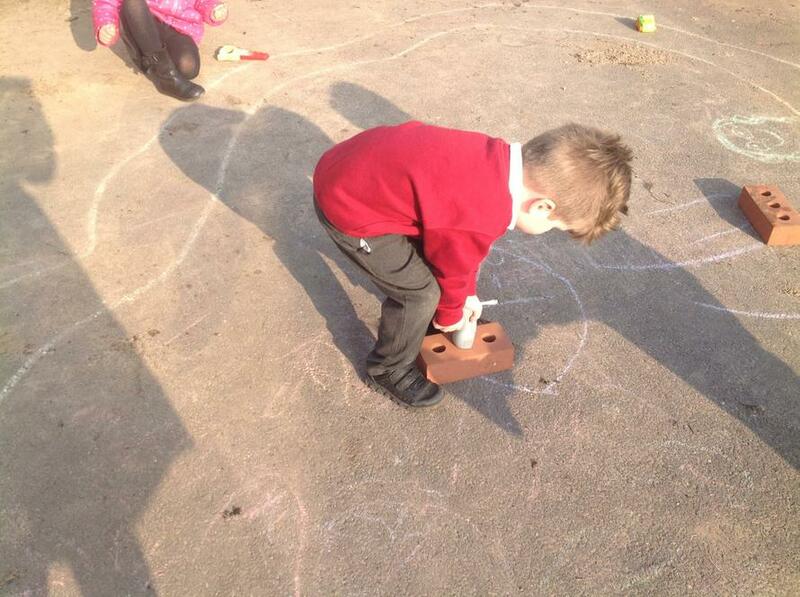 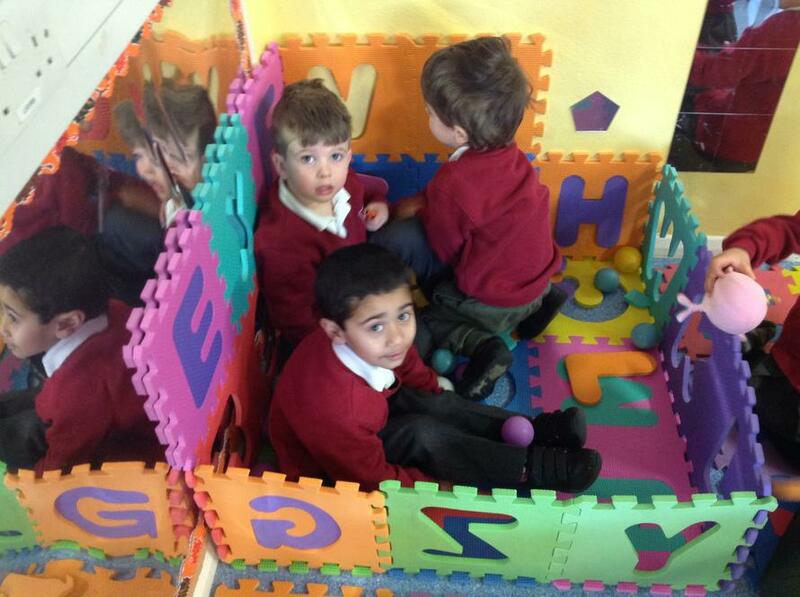 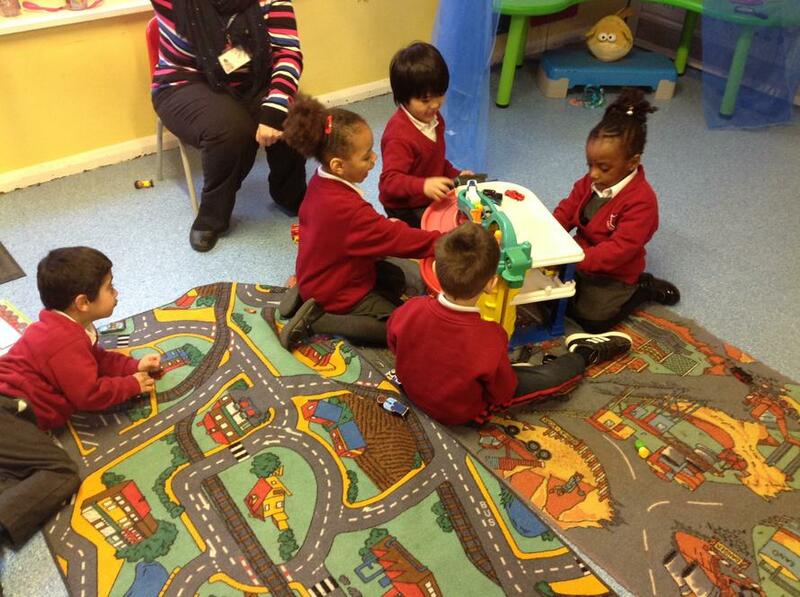 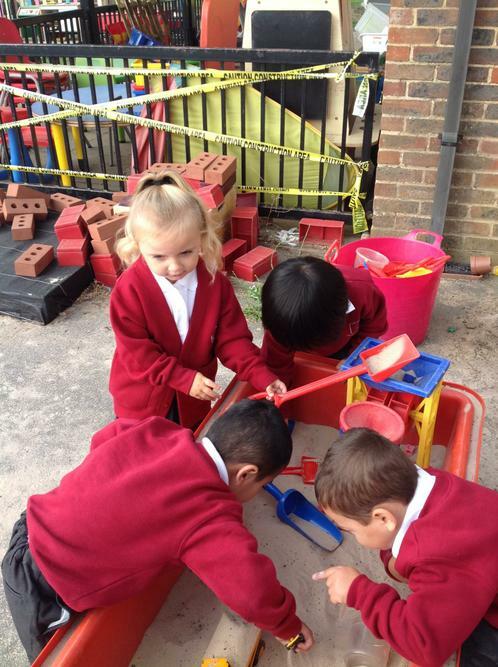 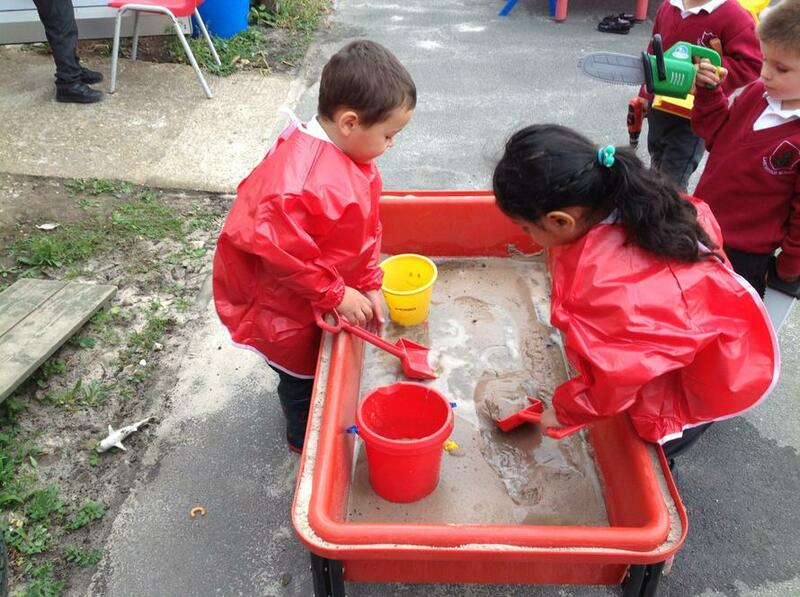 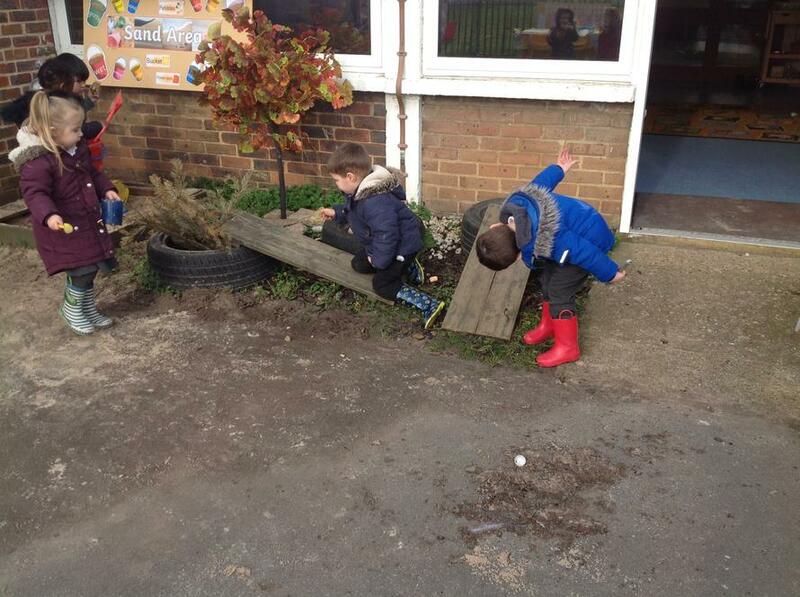 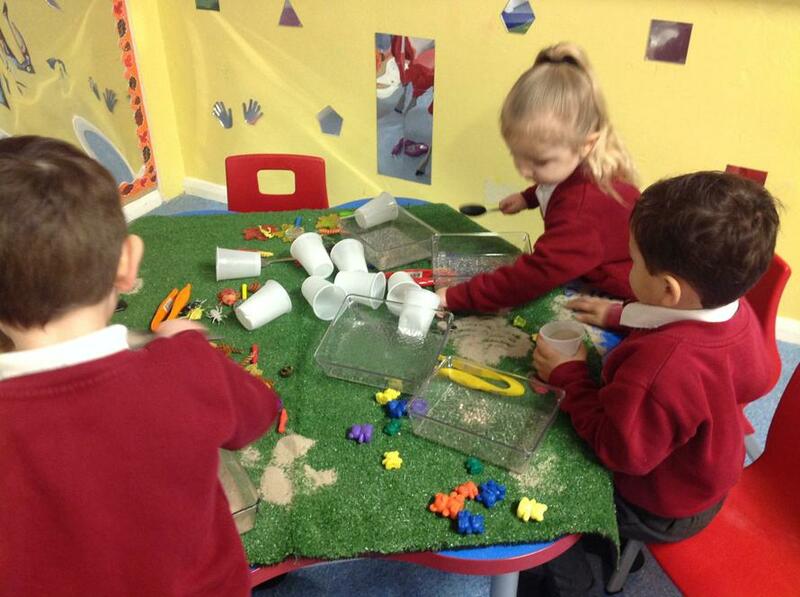 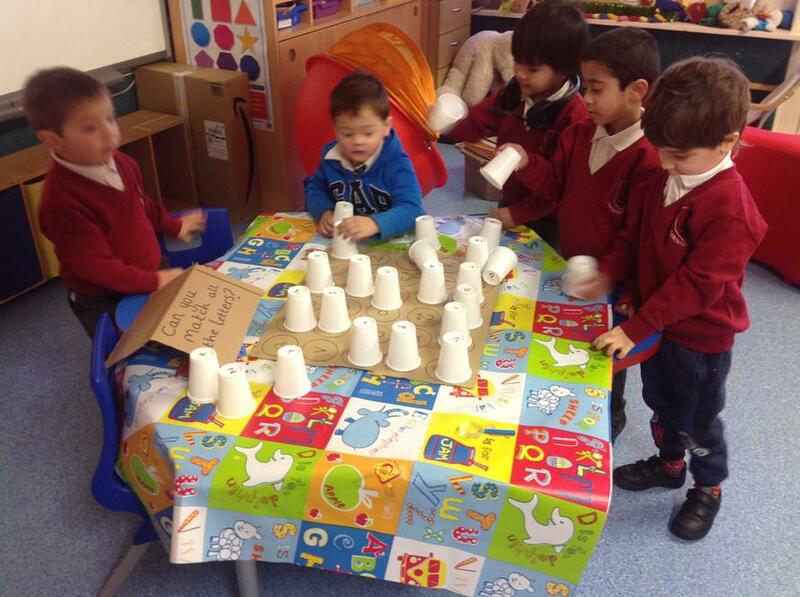 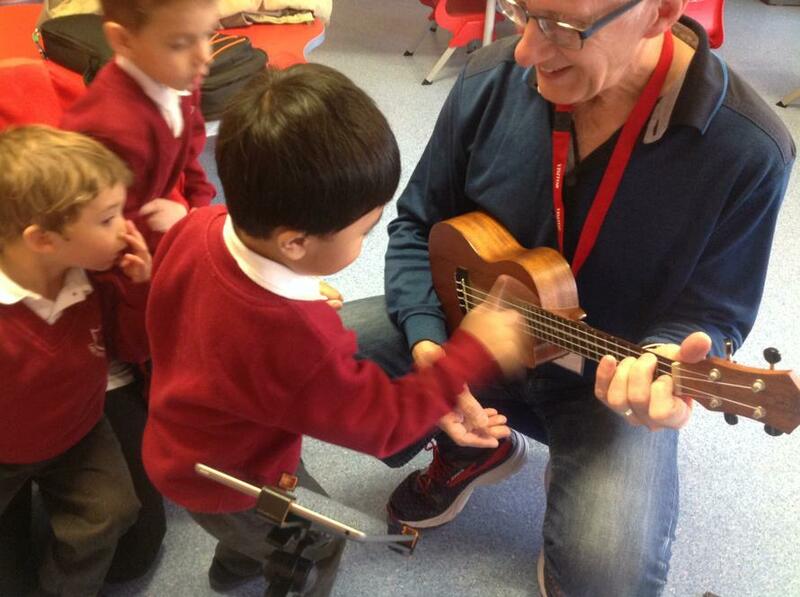 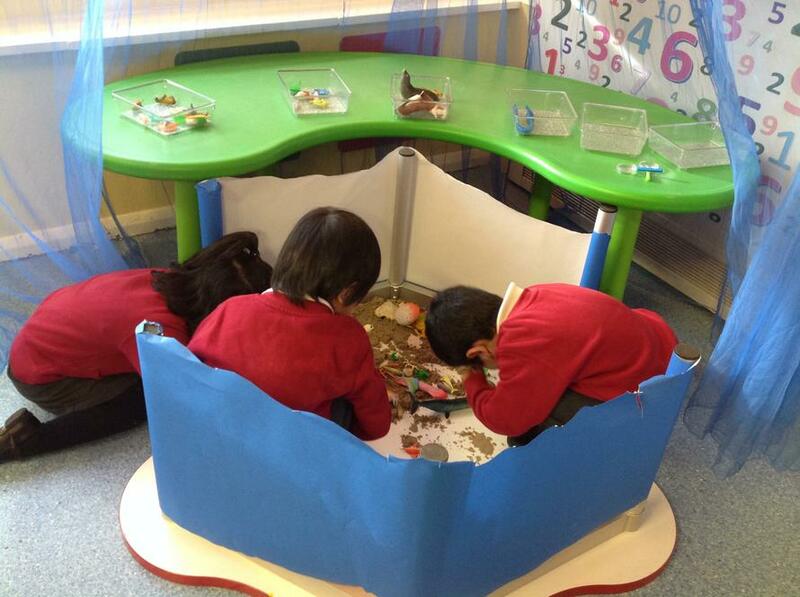 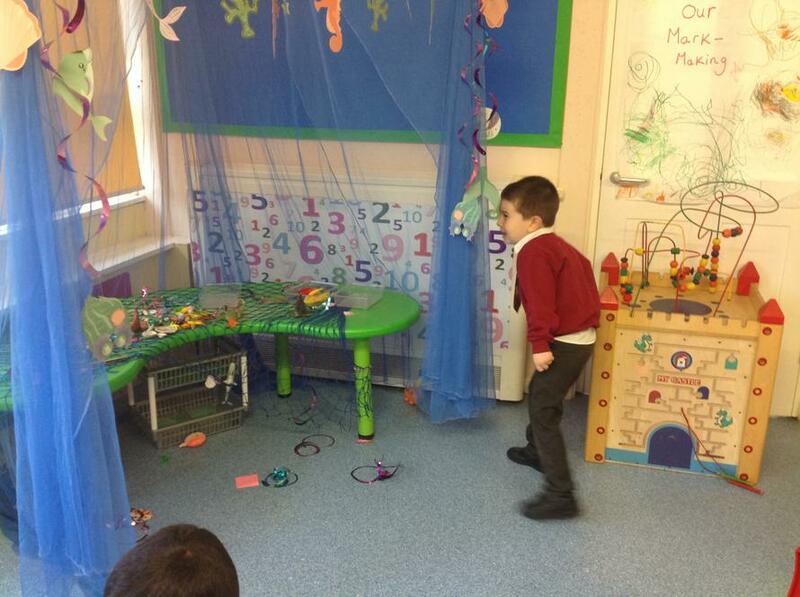 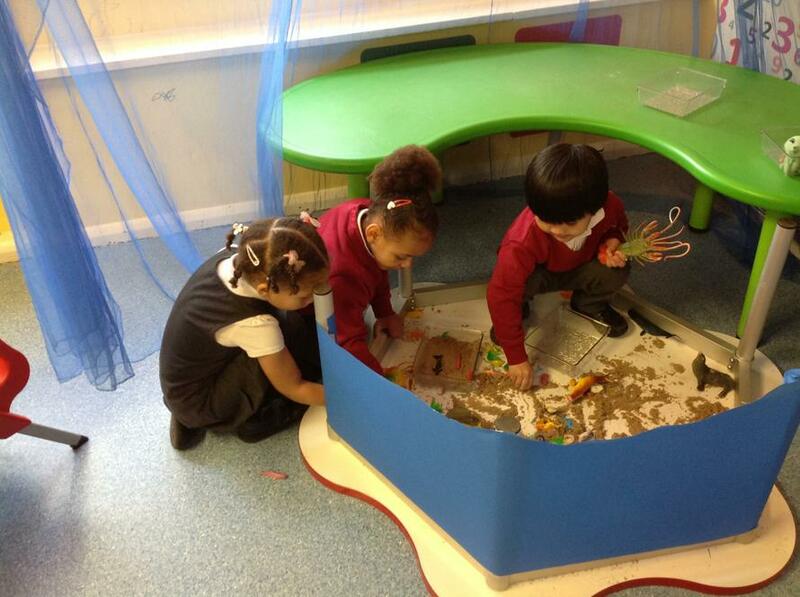 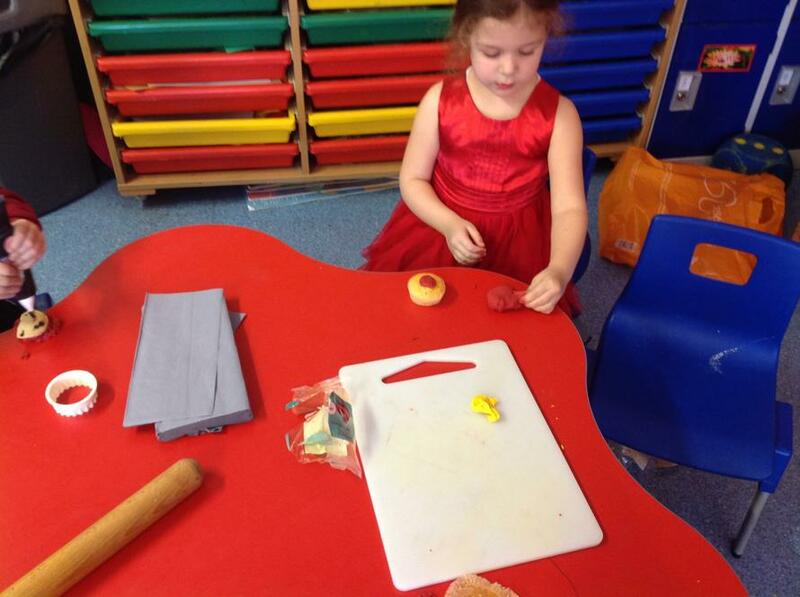 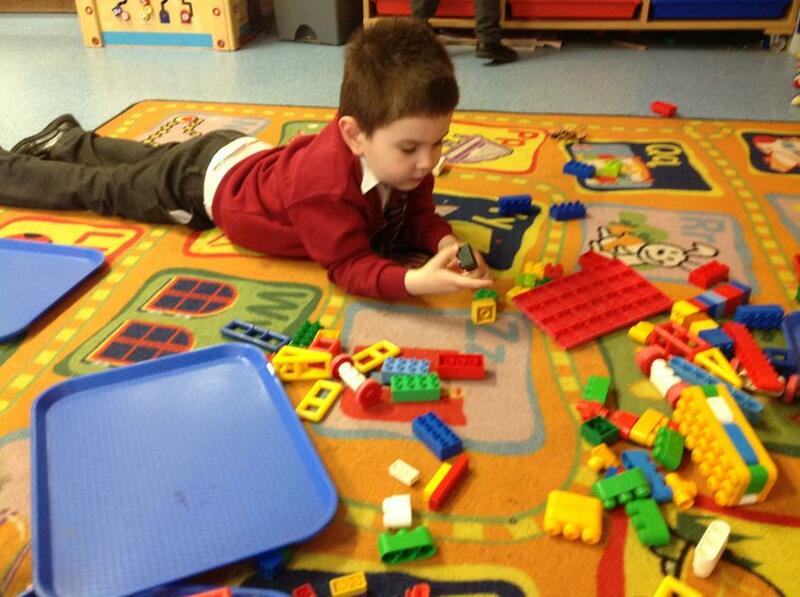 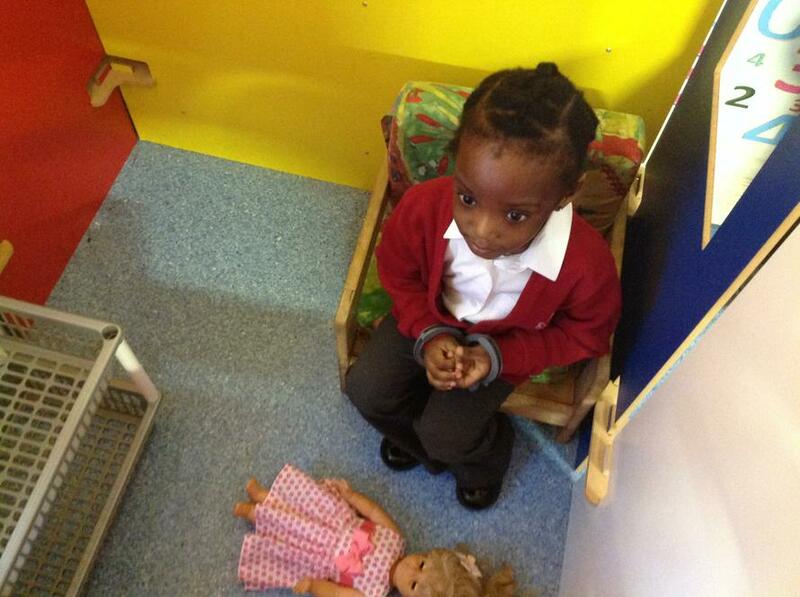 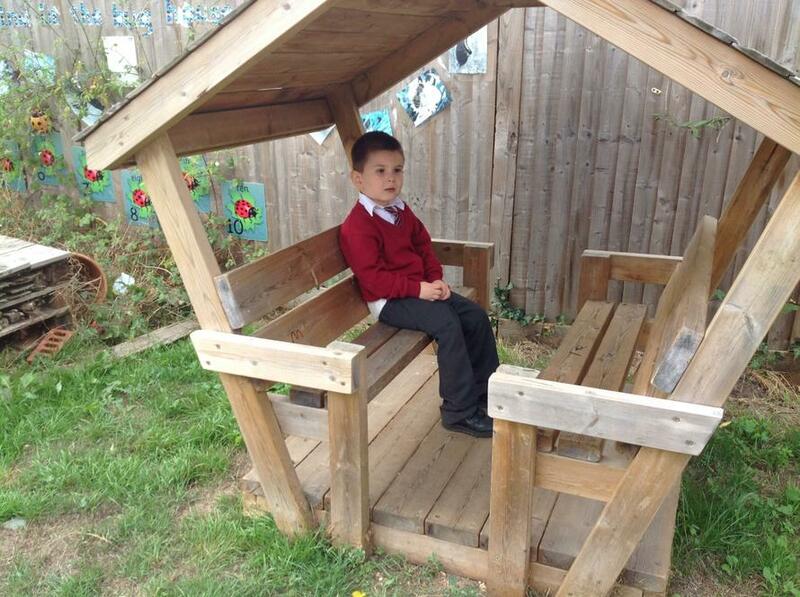 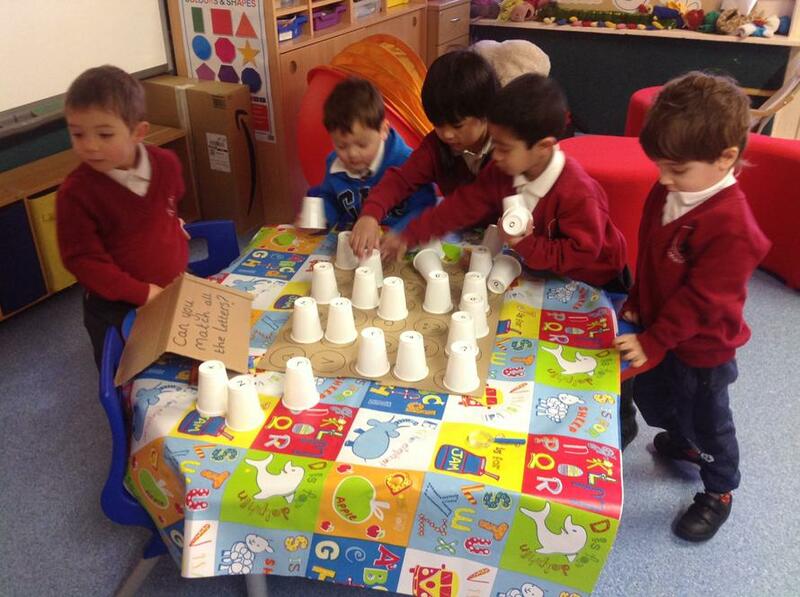 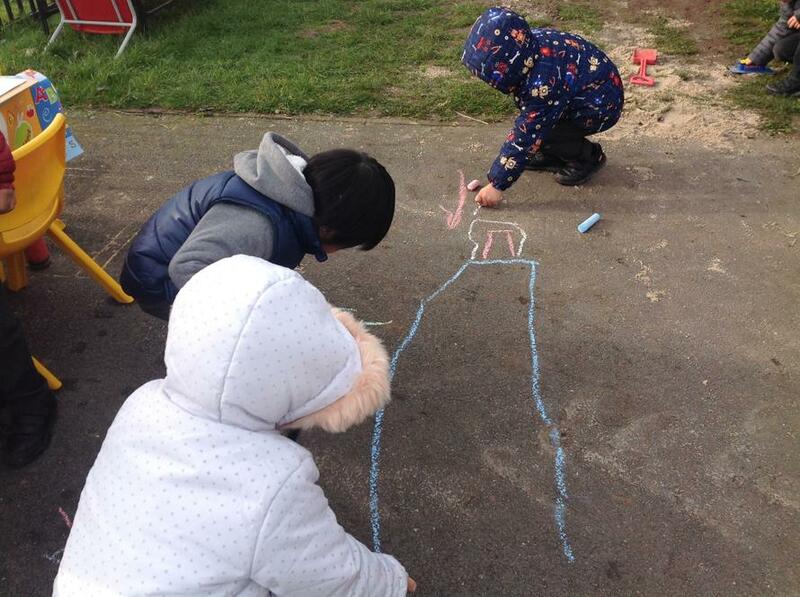 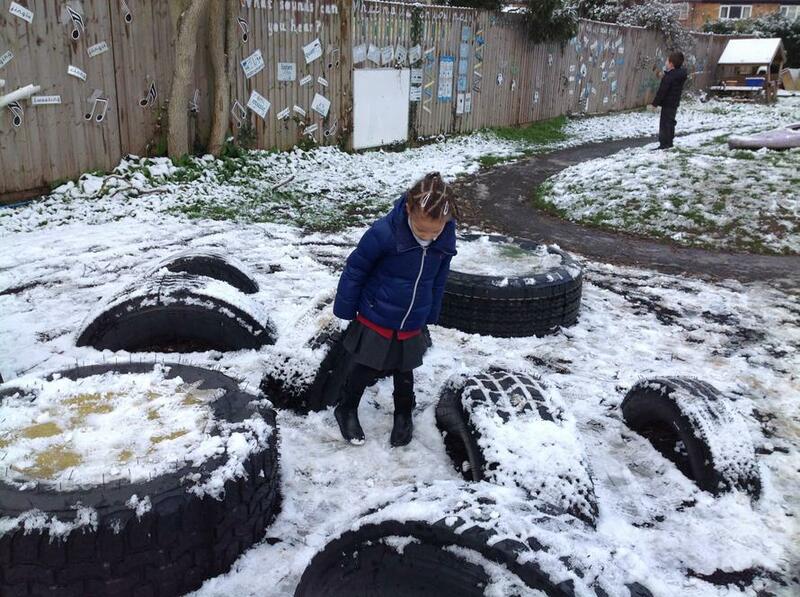 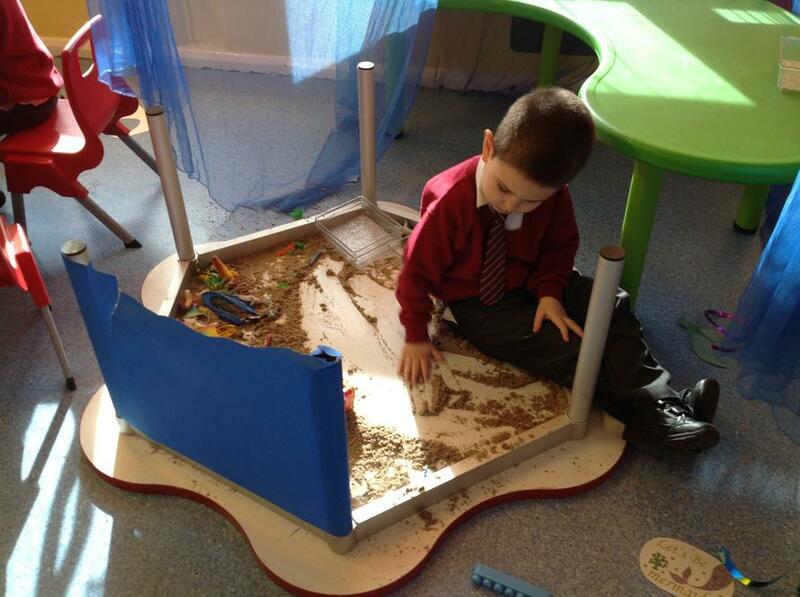 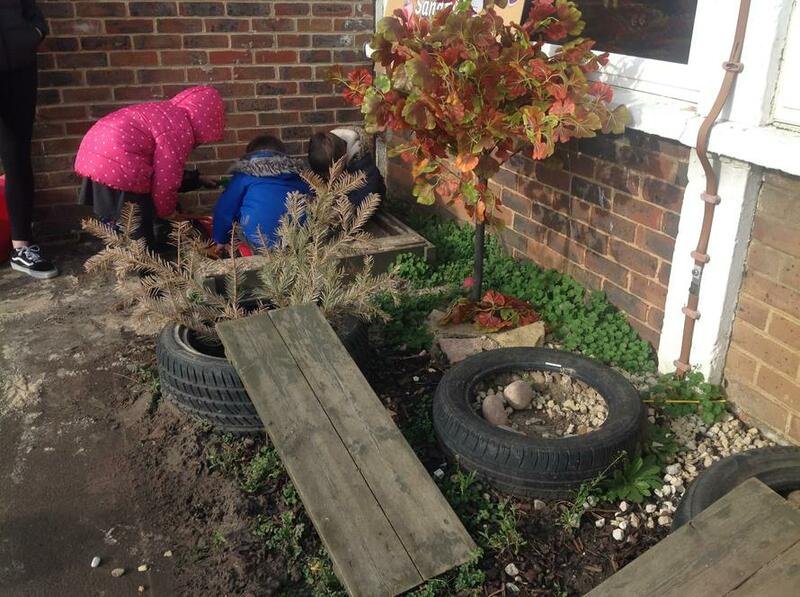 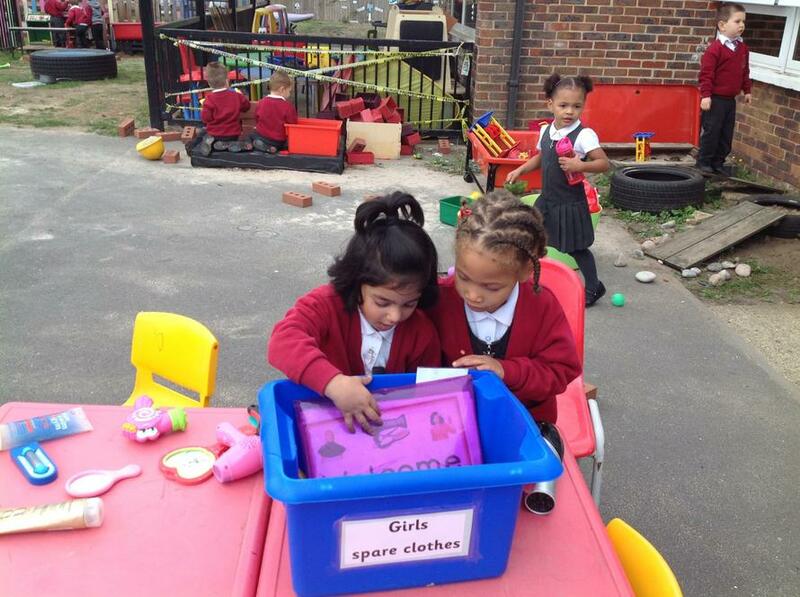 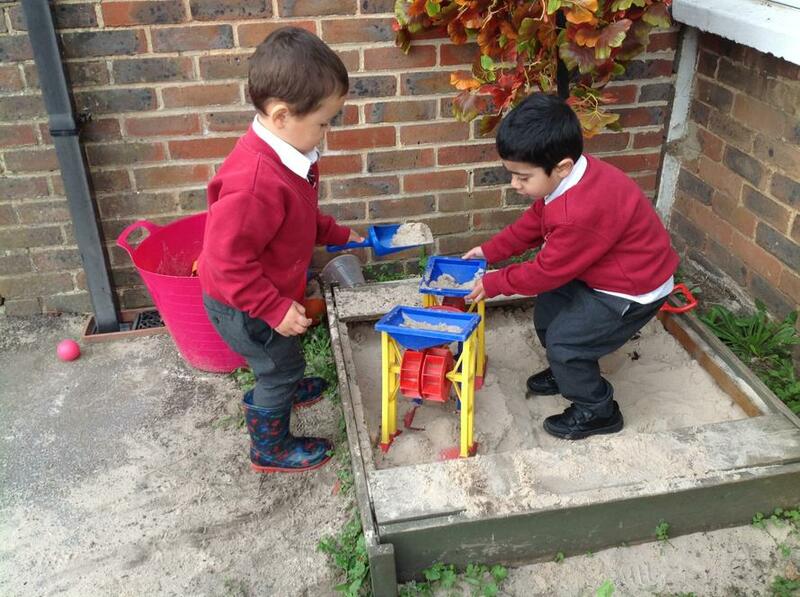 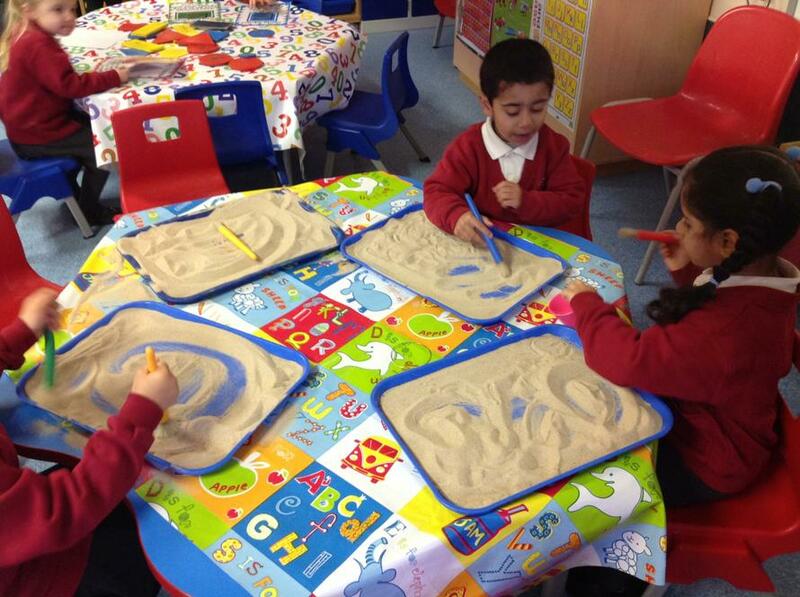 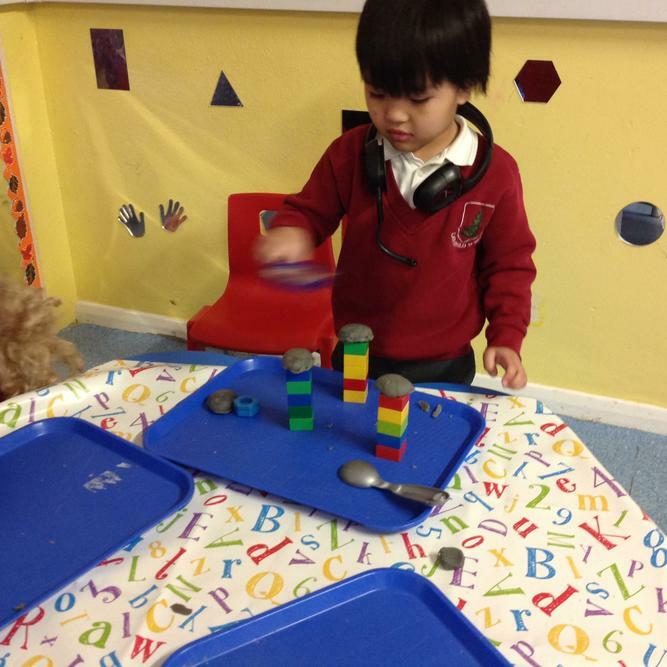 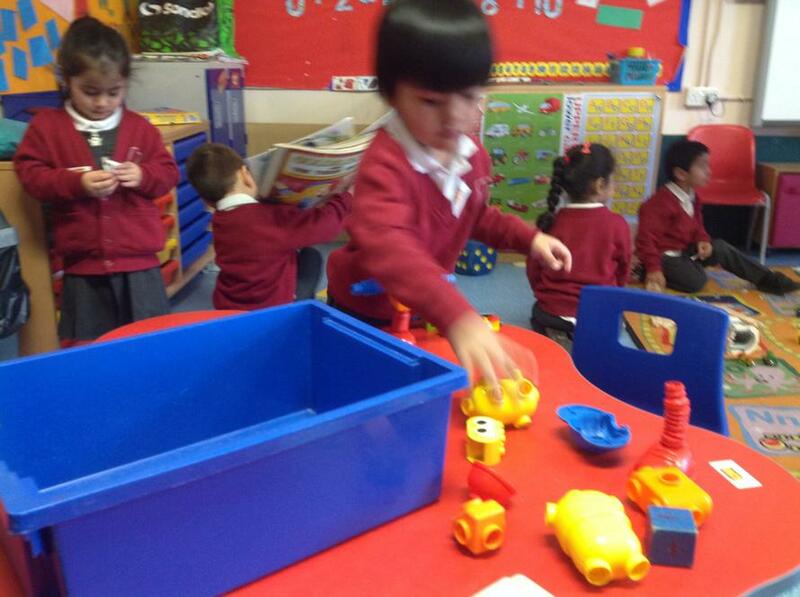 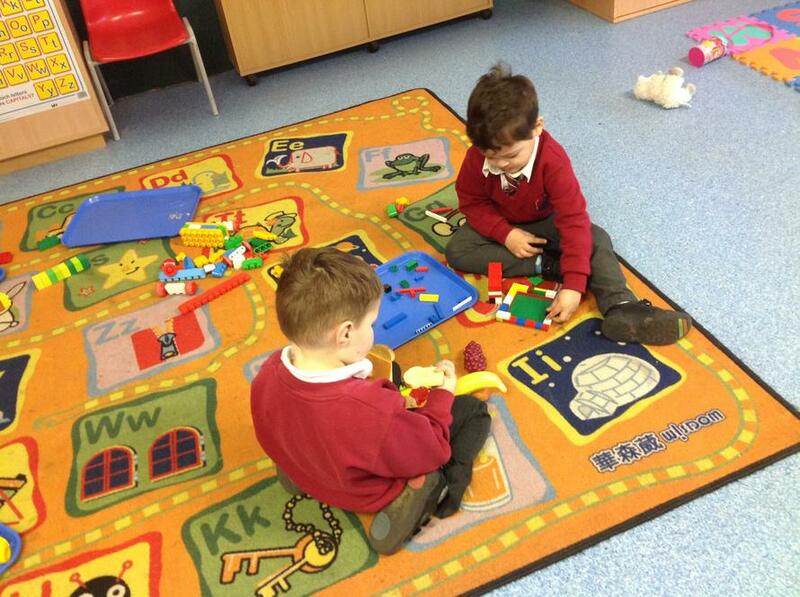 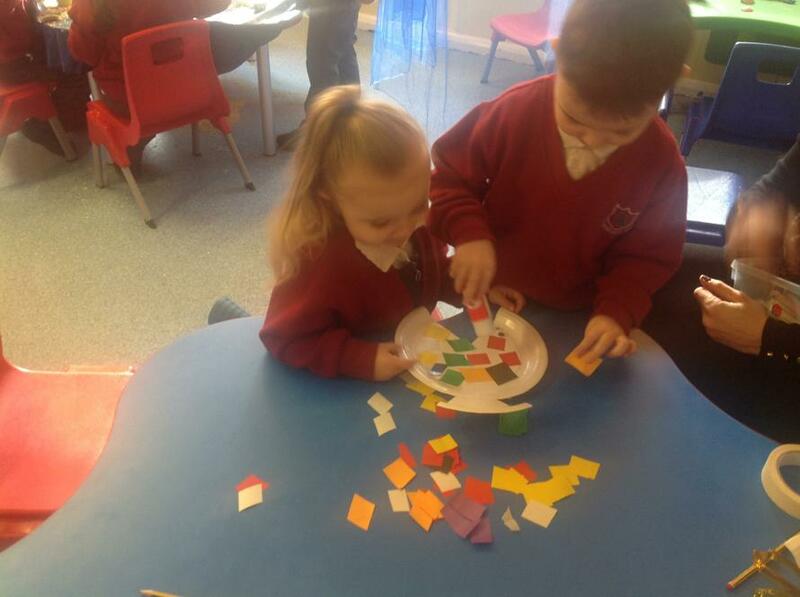 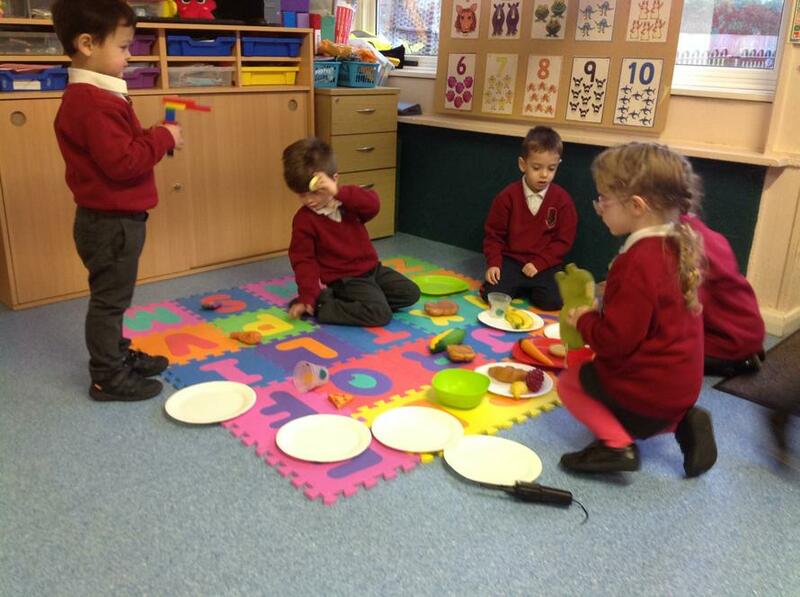 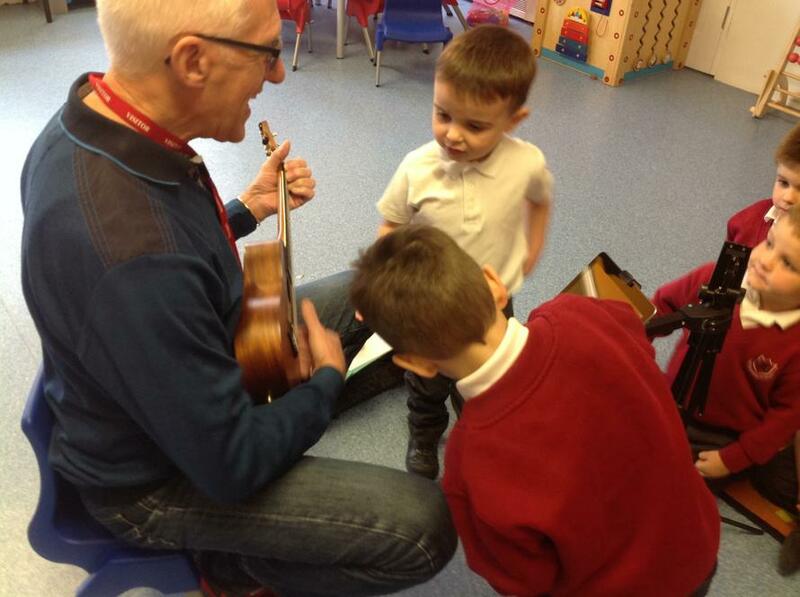 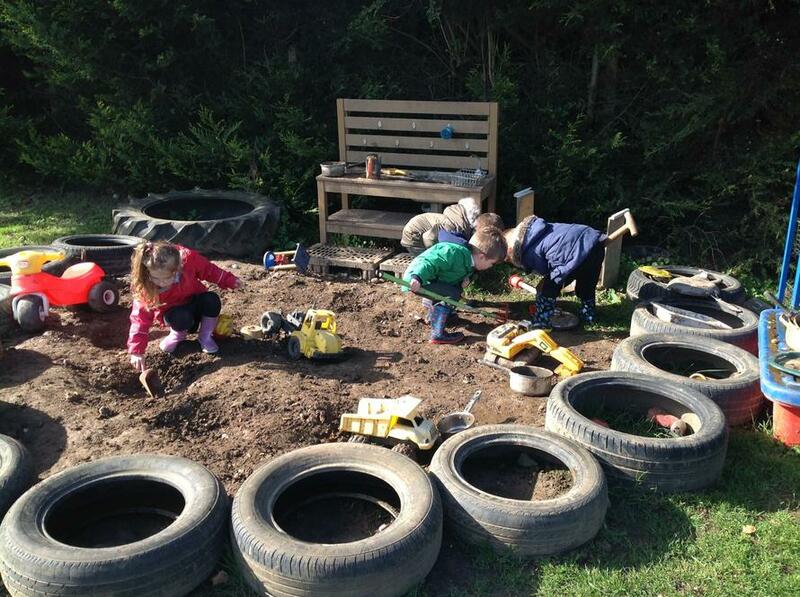 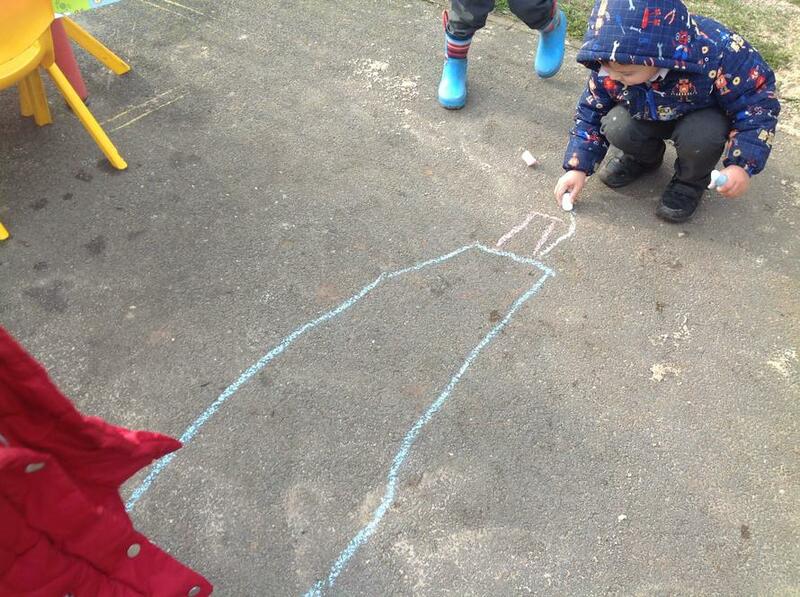 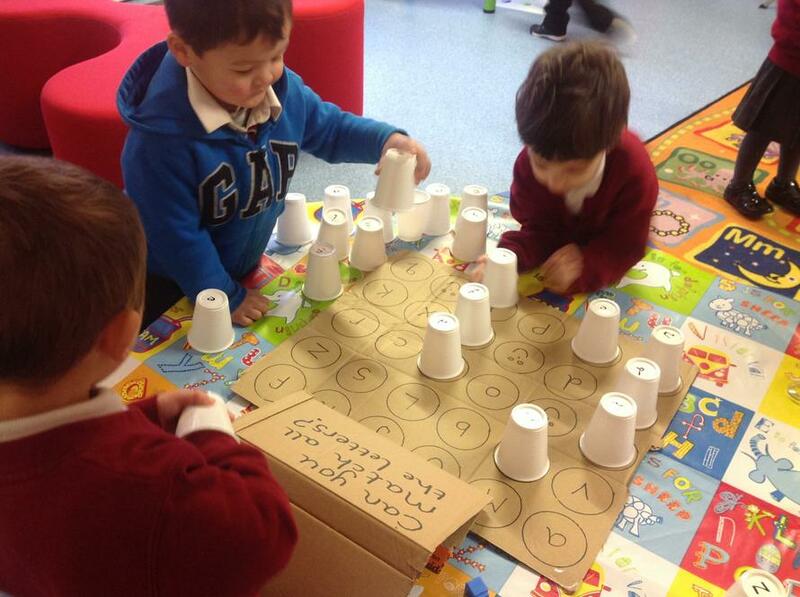 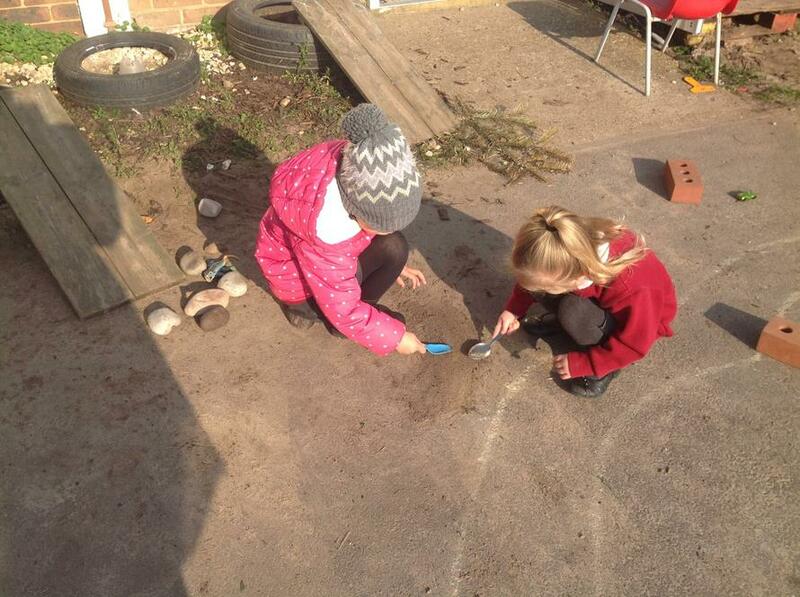 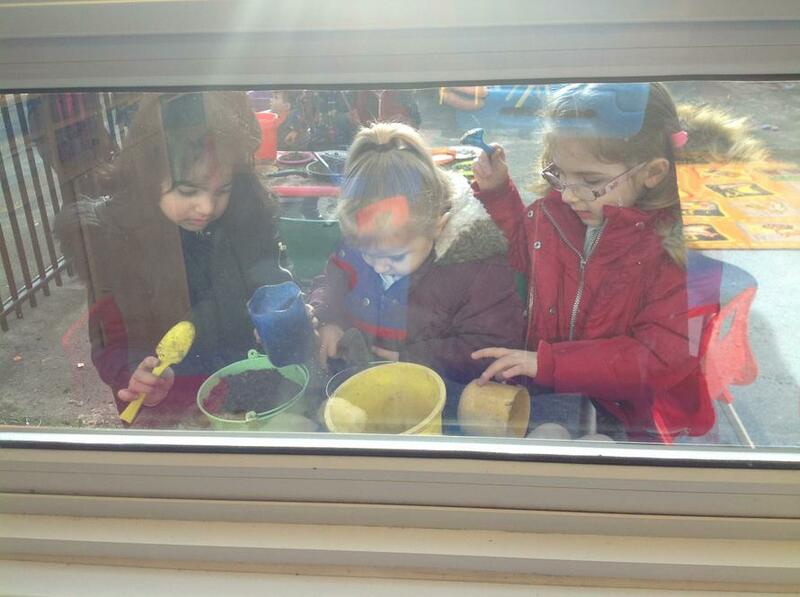 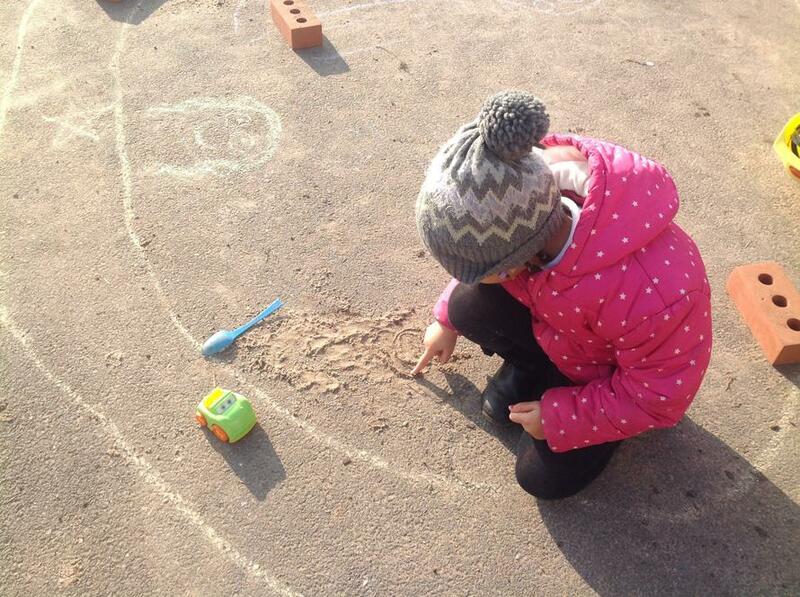 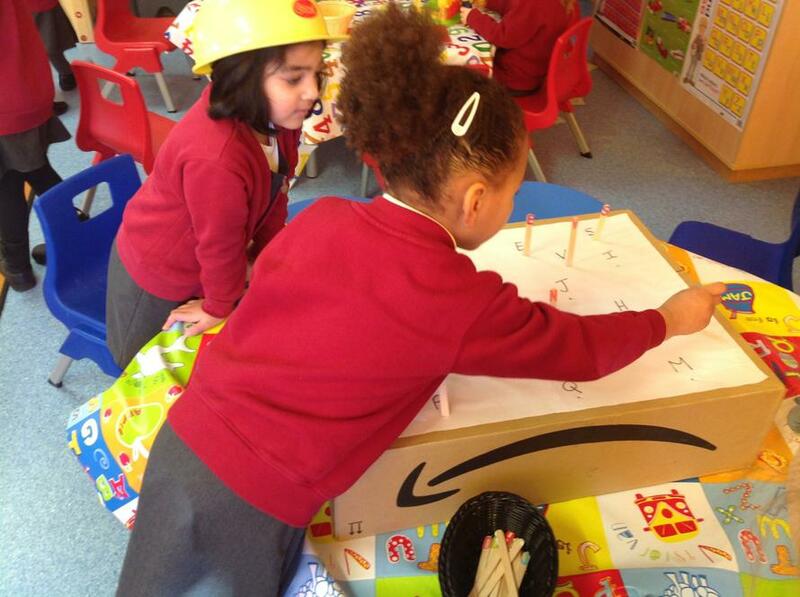 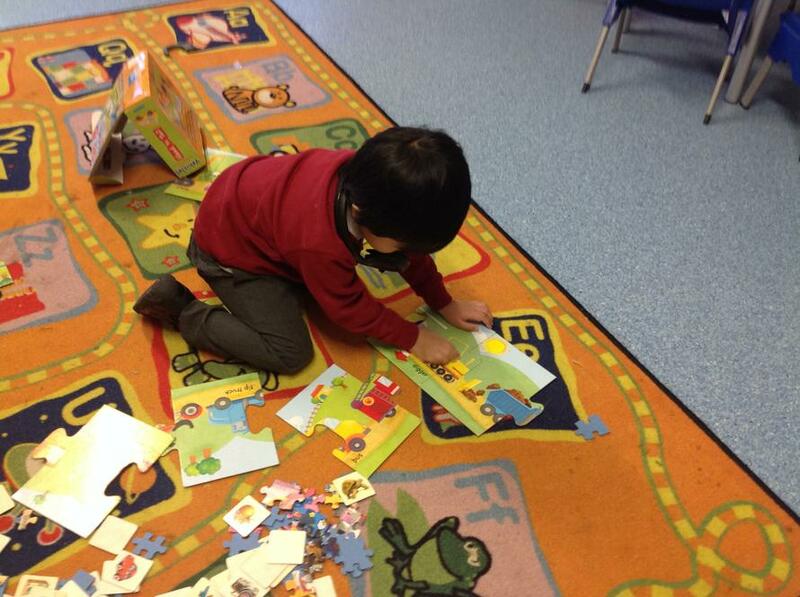 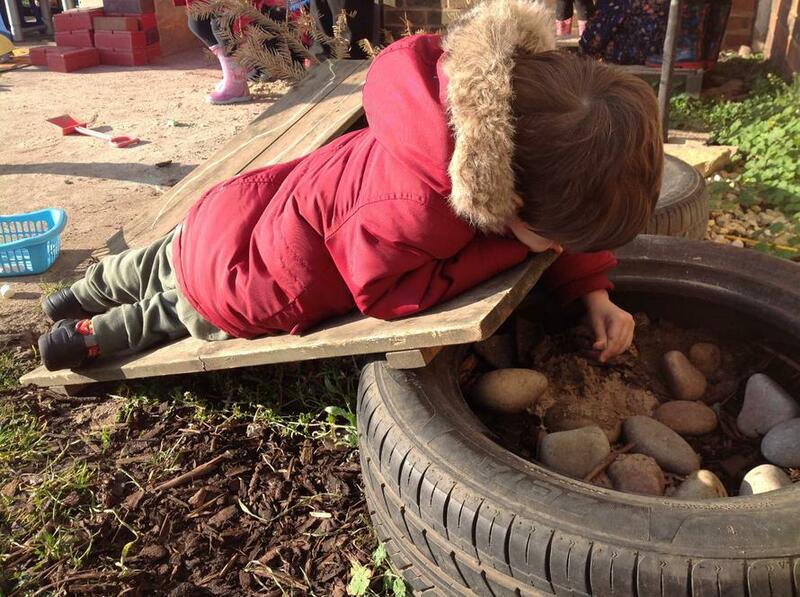 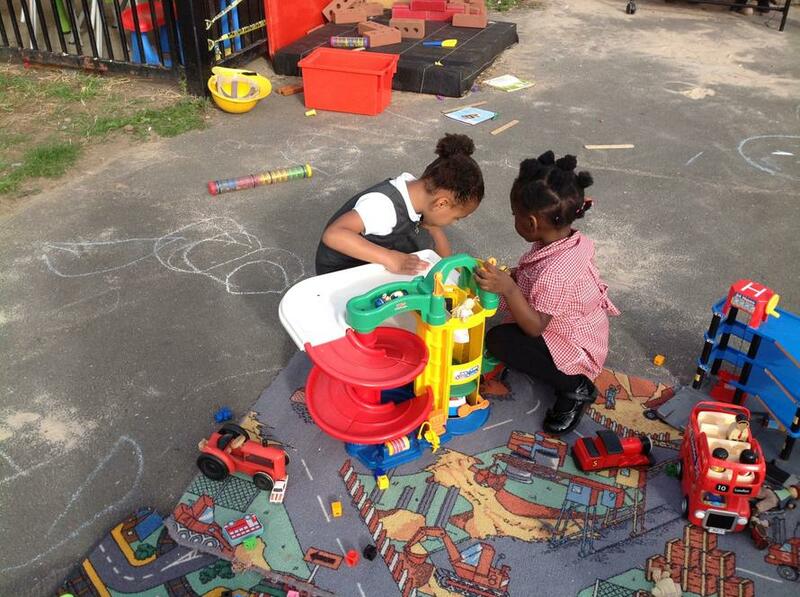 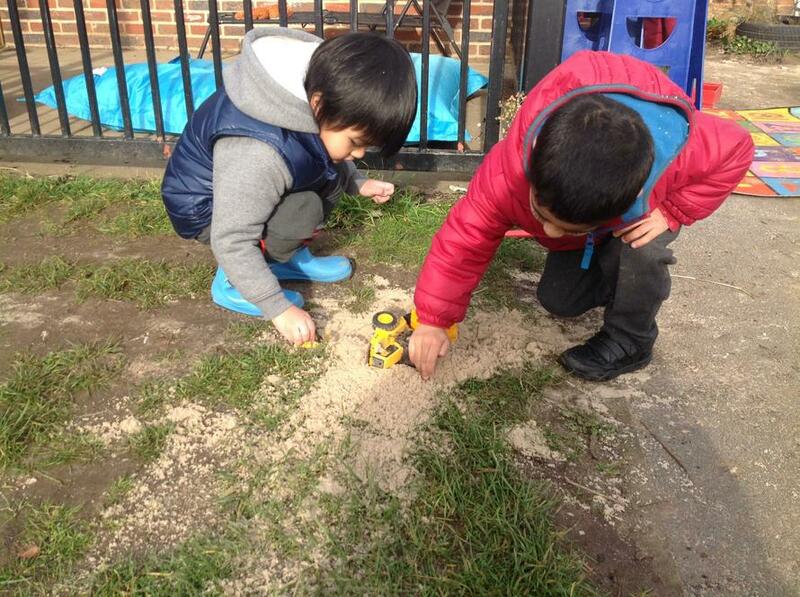 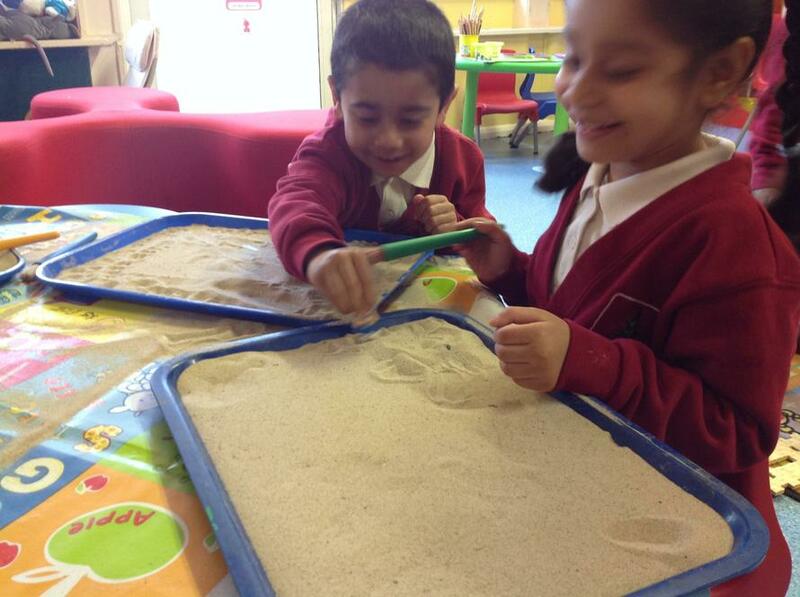 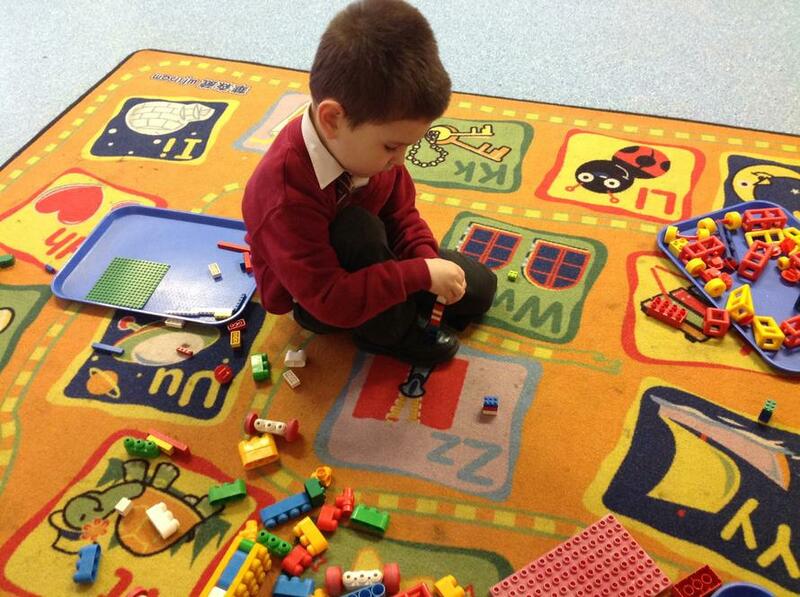 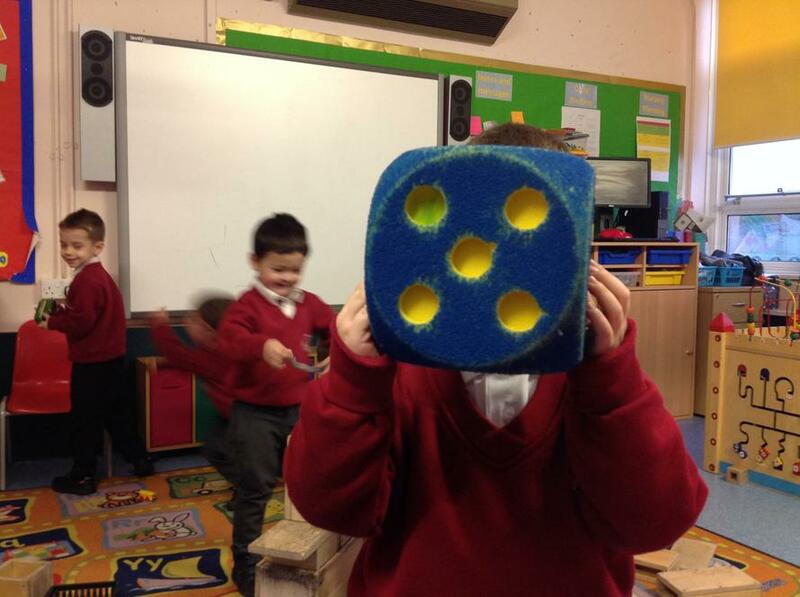 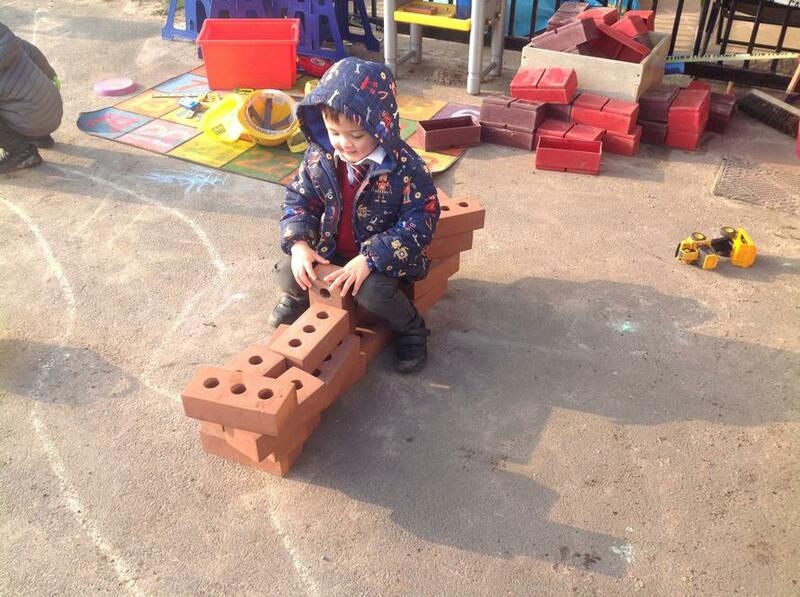 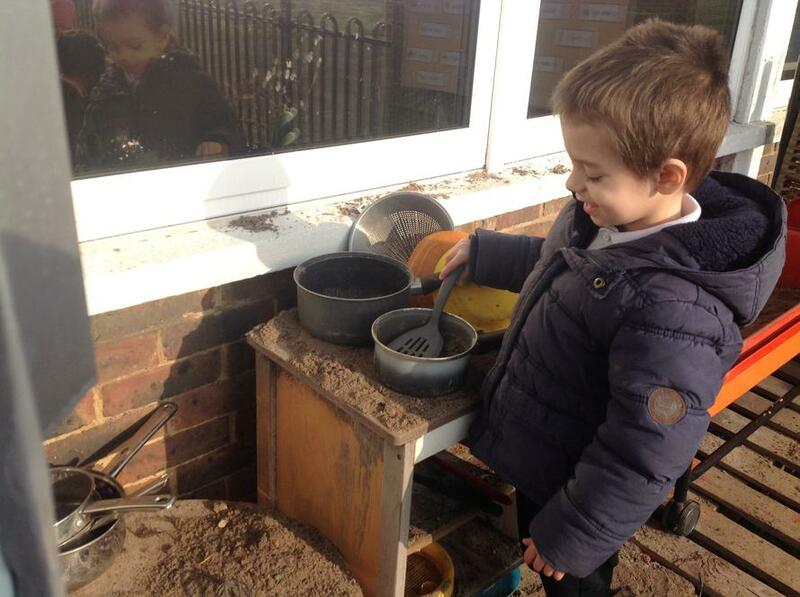 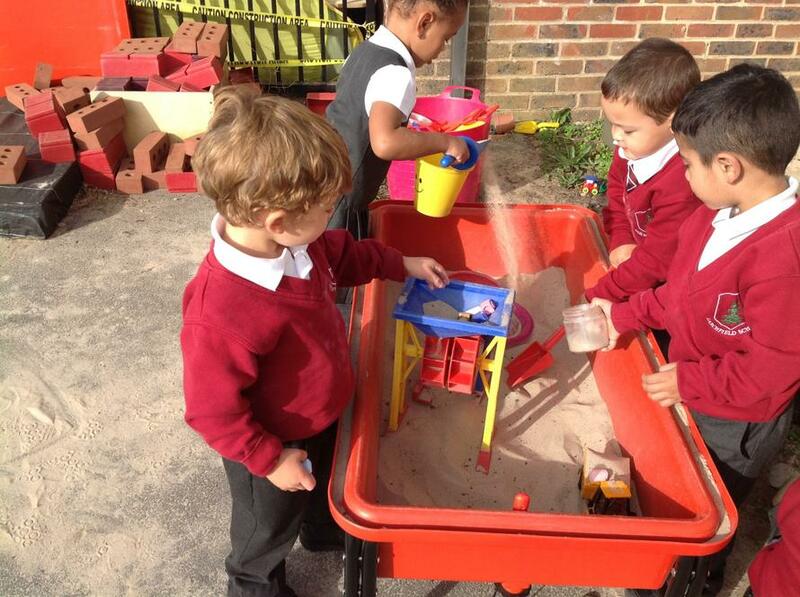 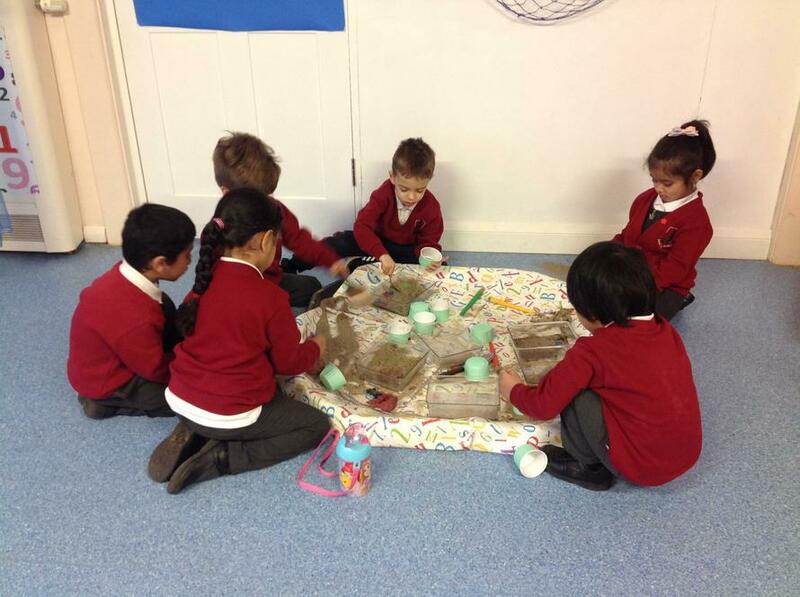 It was lovely to watch them using their imaginations during their play. 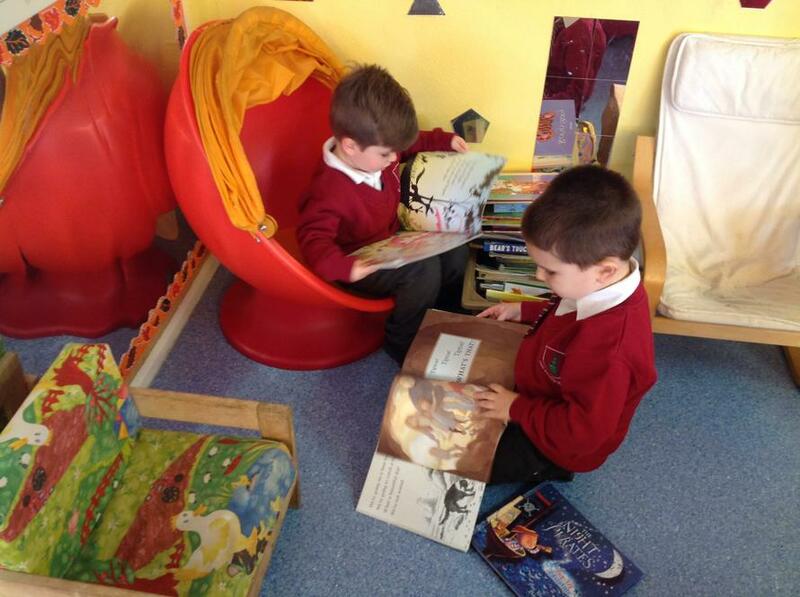 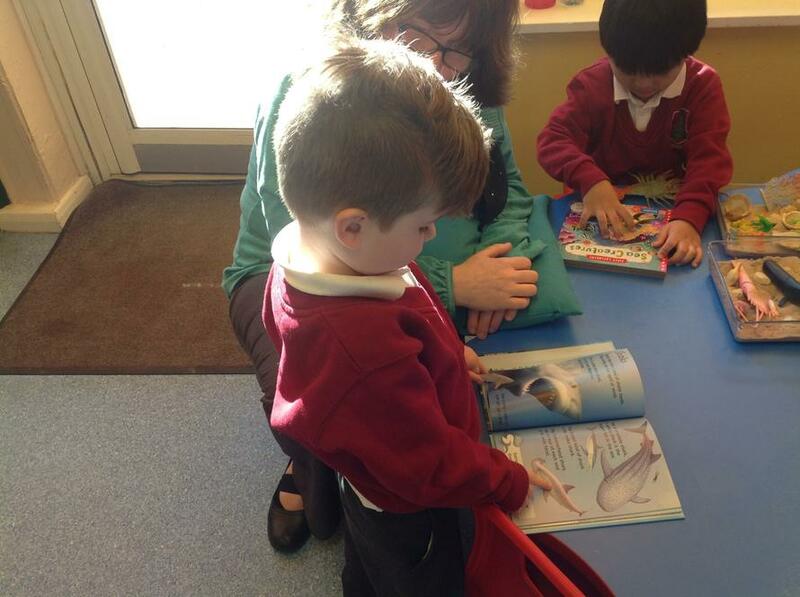 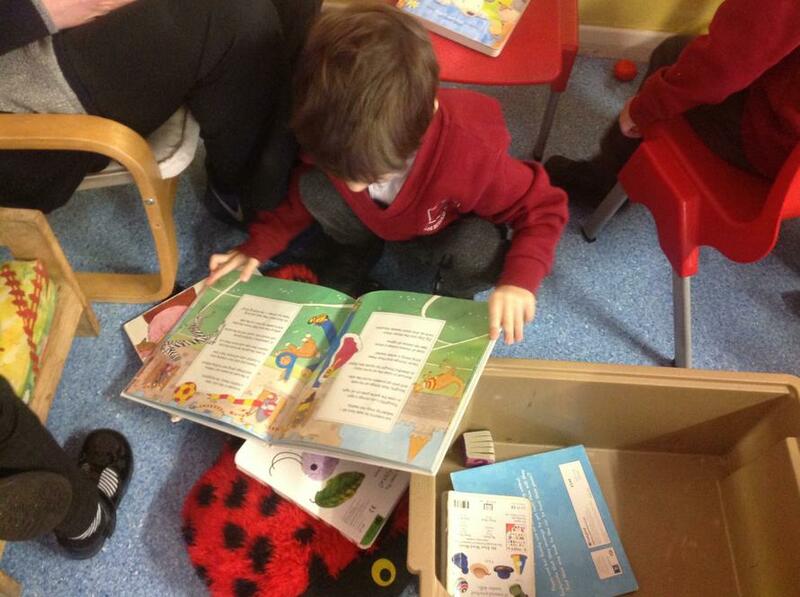 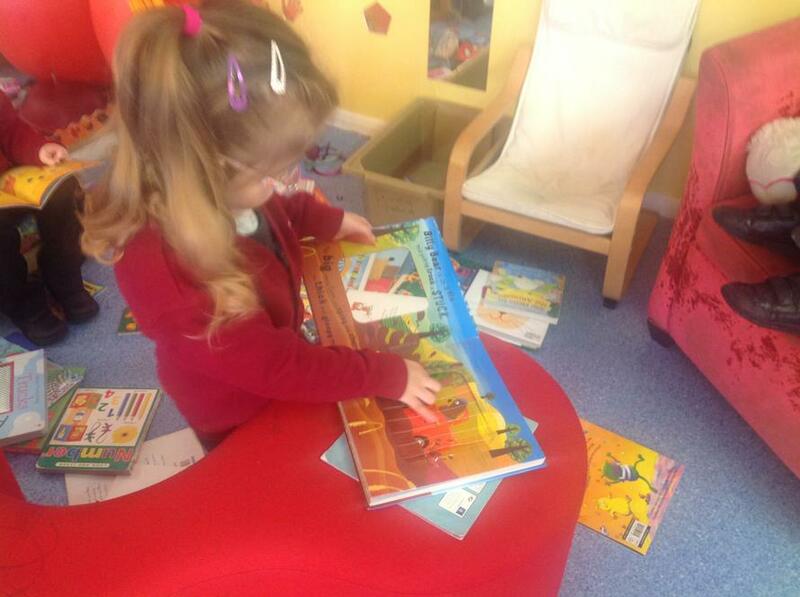 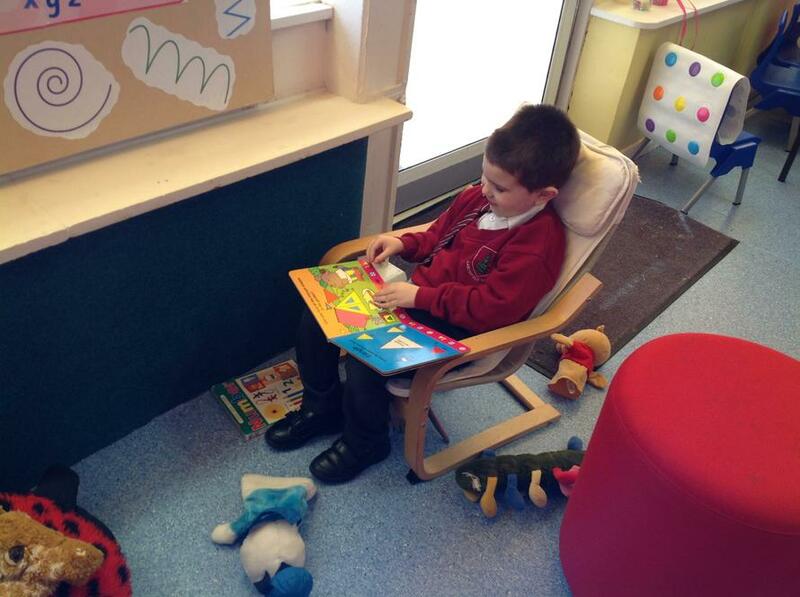 During book week the children have been looking at books of traditional fairy-tales, they have also been looking at a range of new books that were kindly donated by a parent. 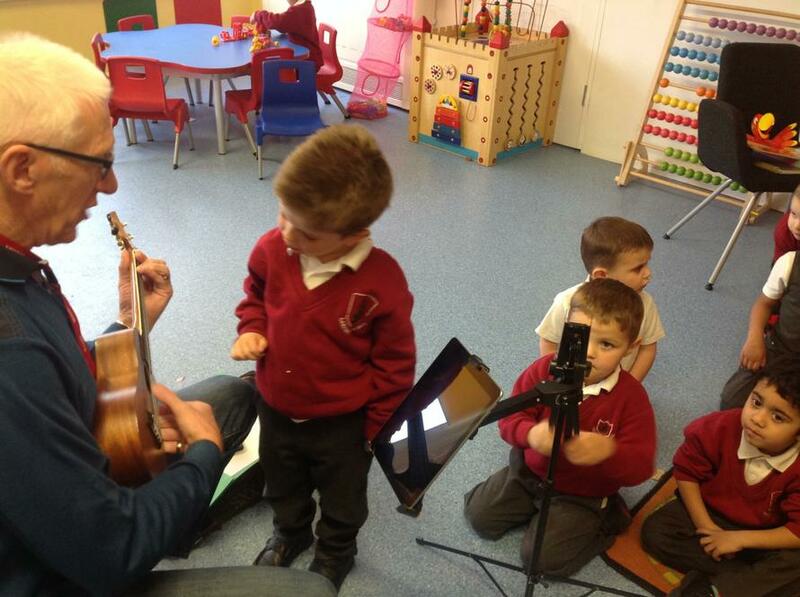 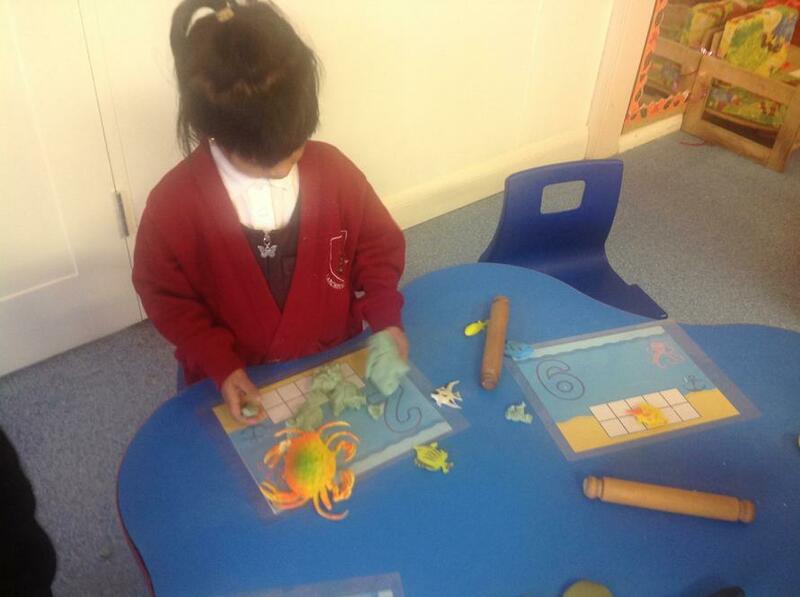 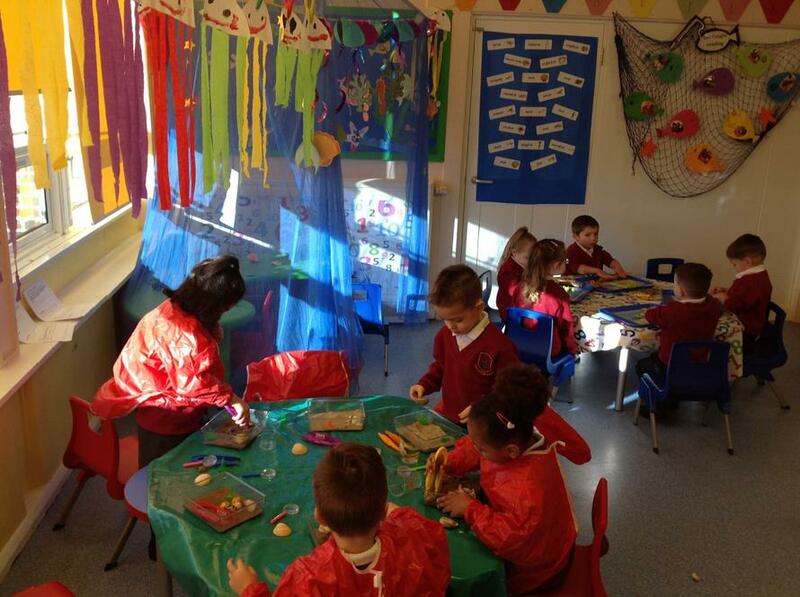 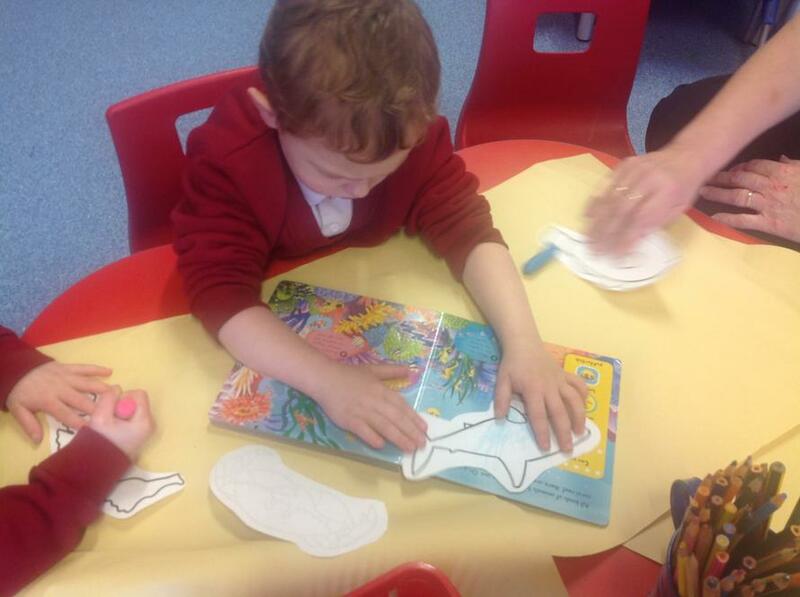 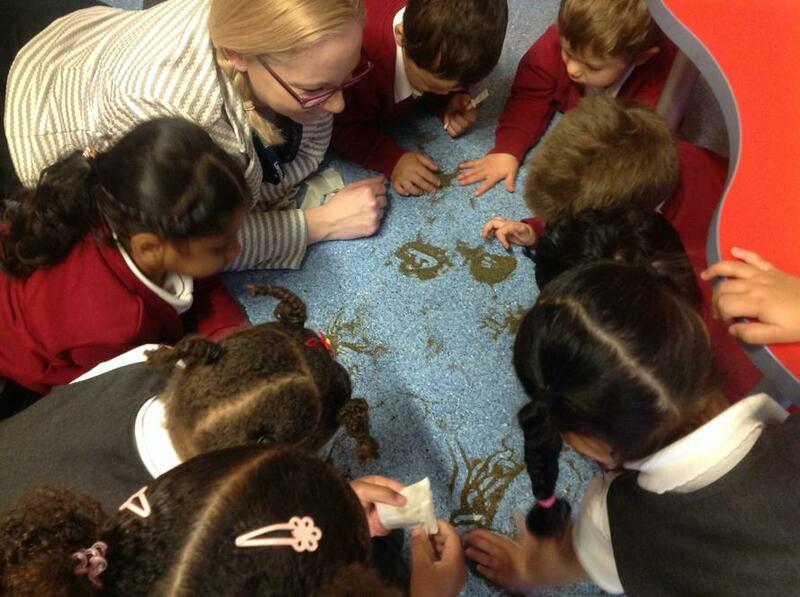 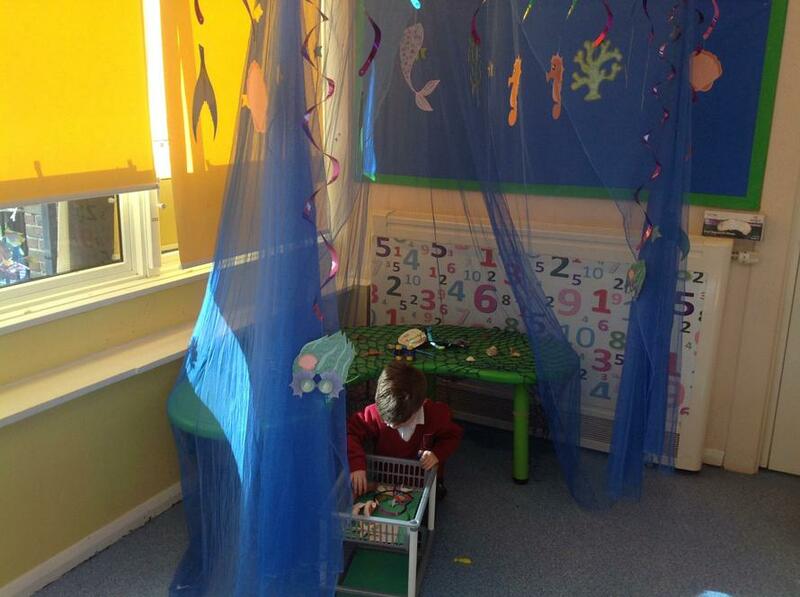 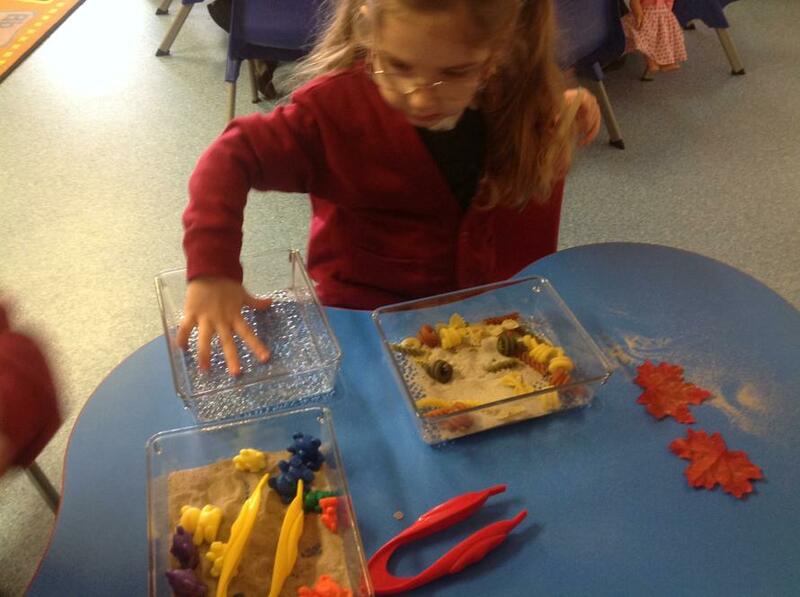 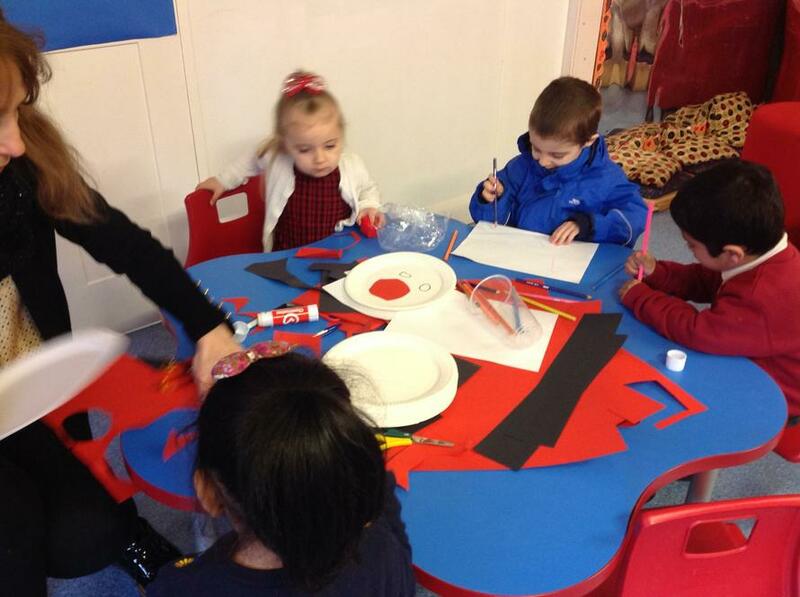 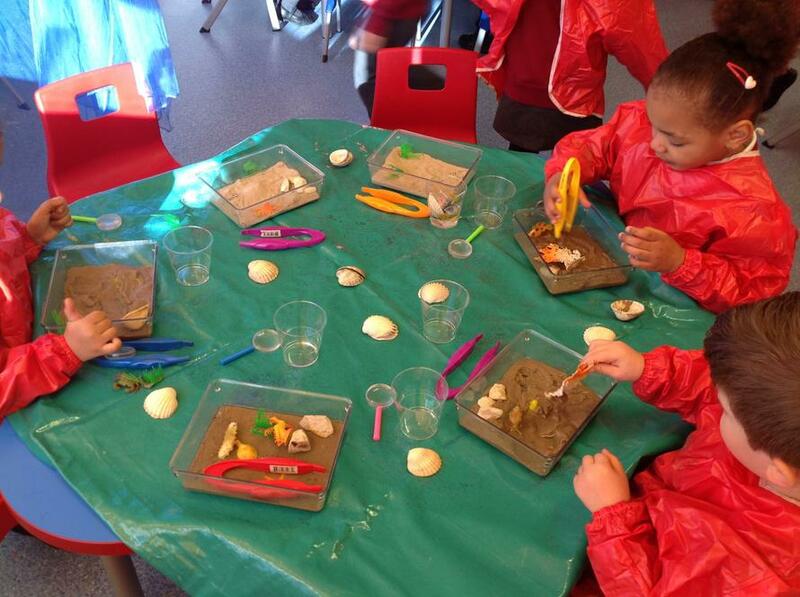 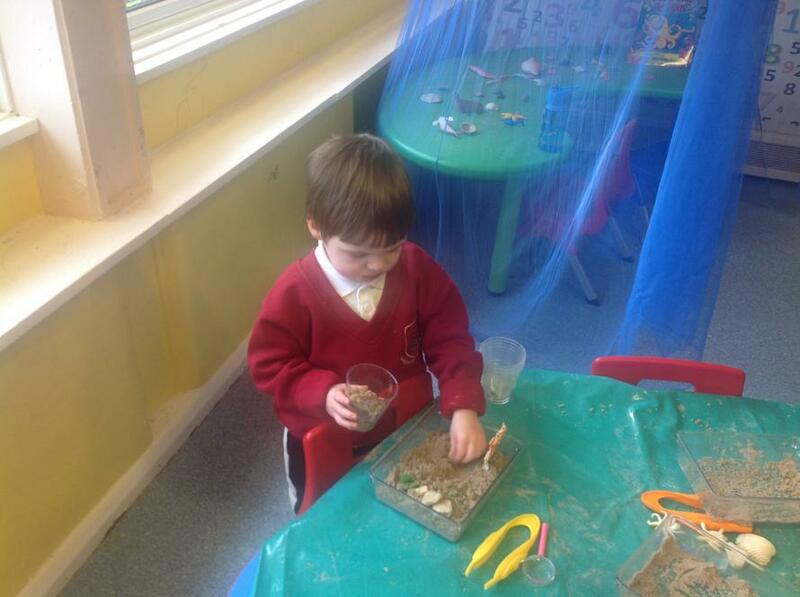 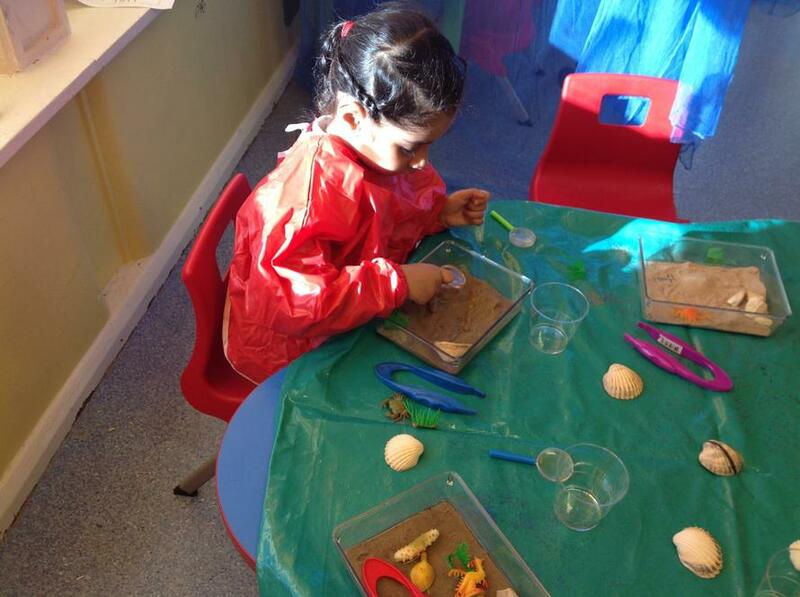 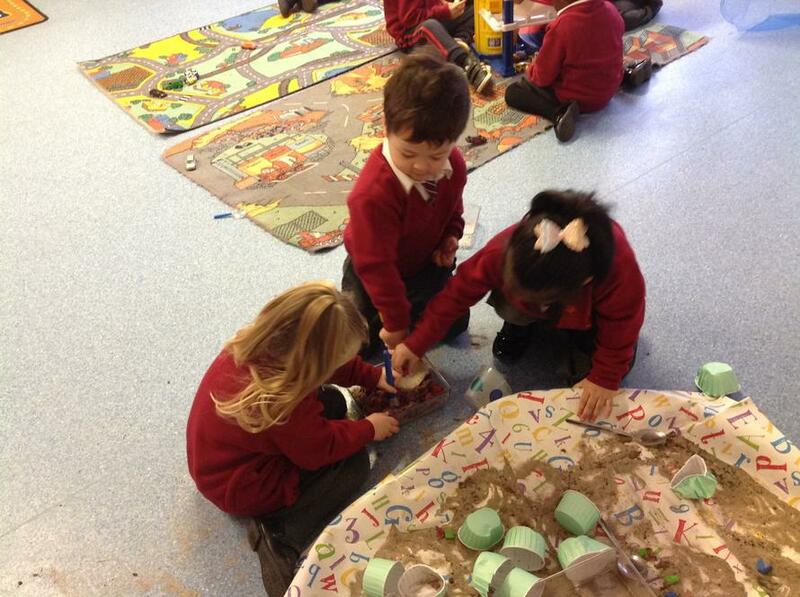 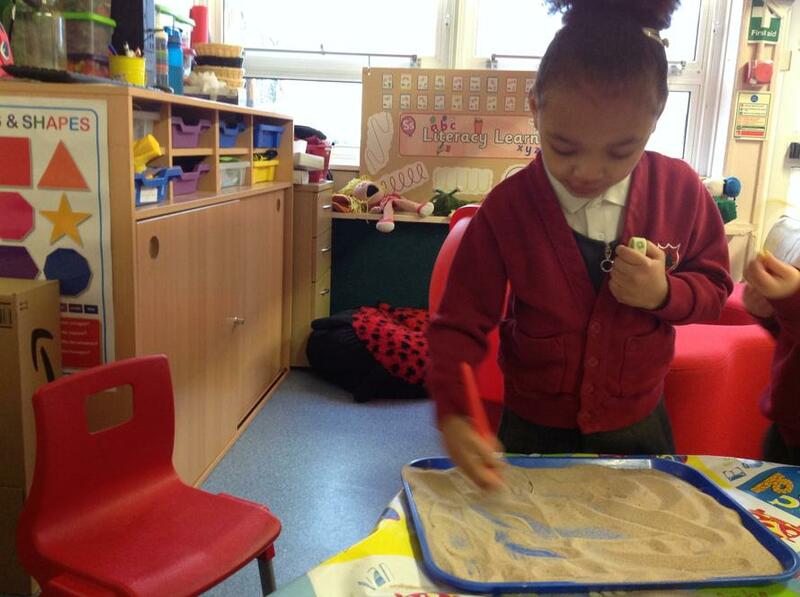 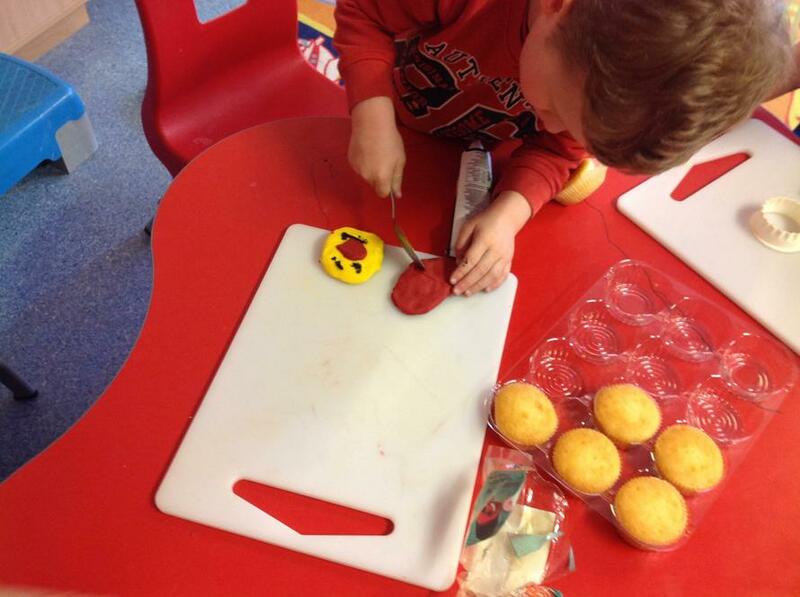 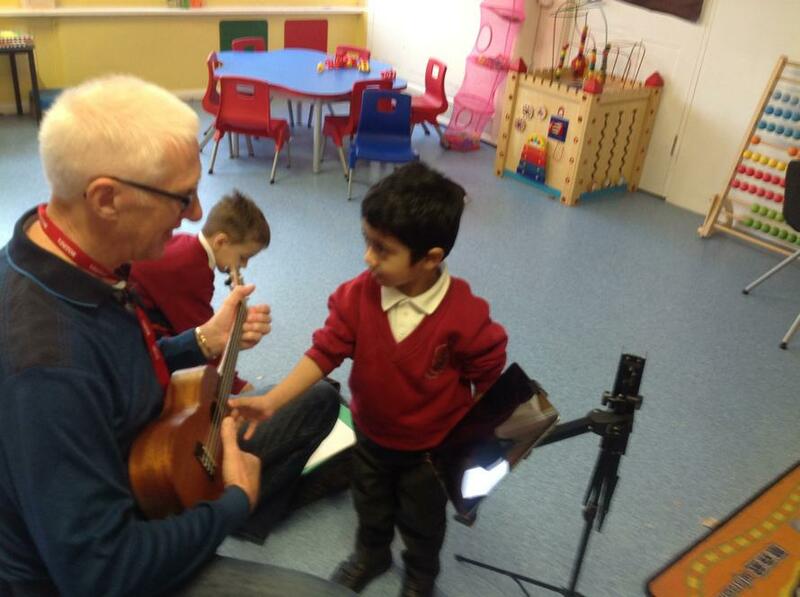 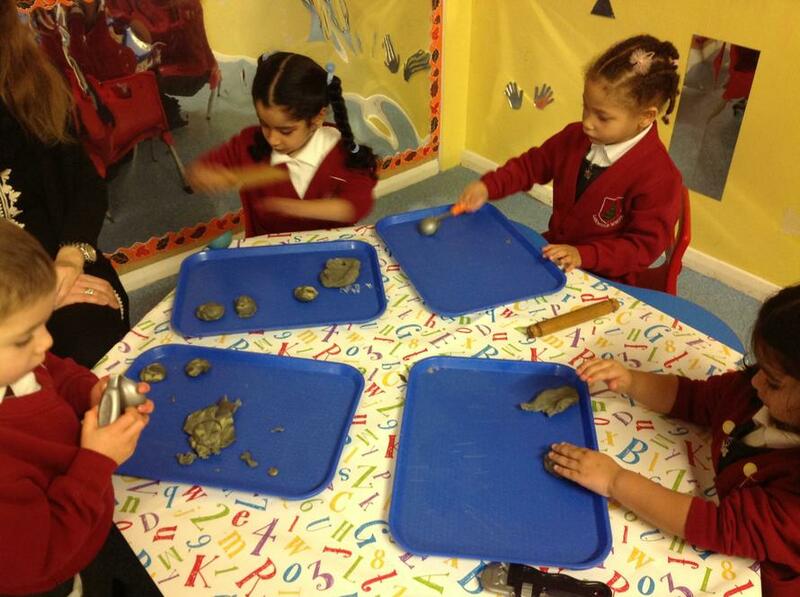 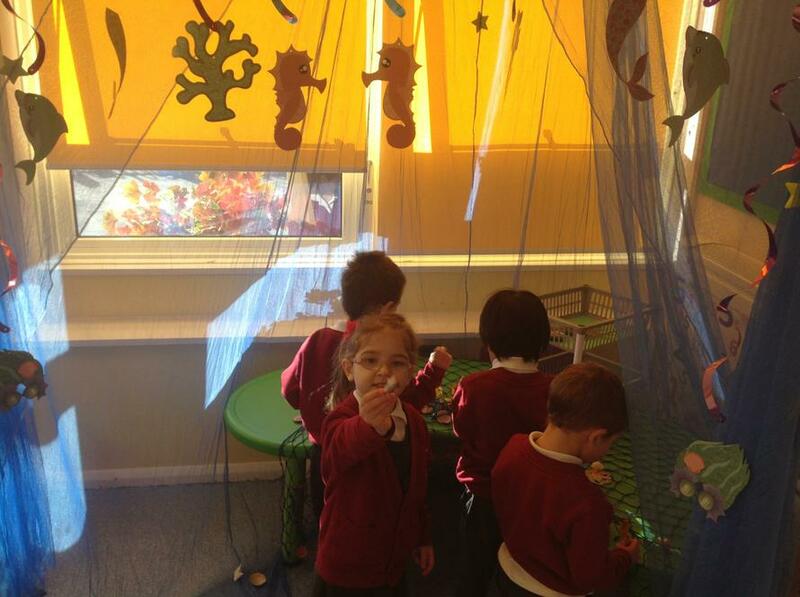 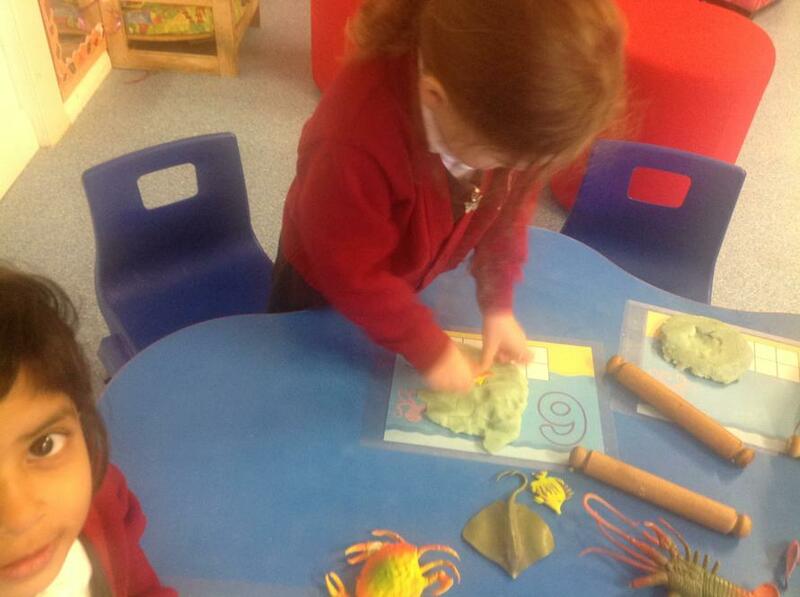 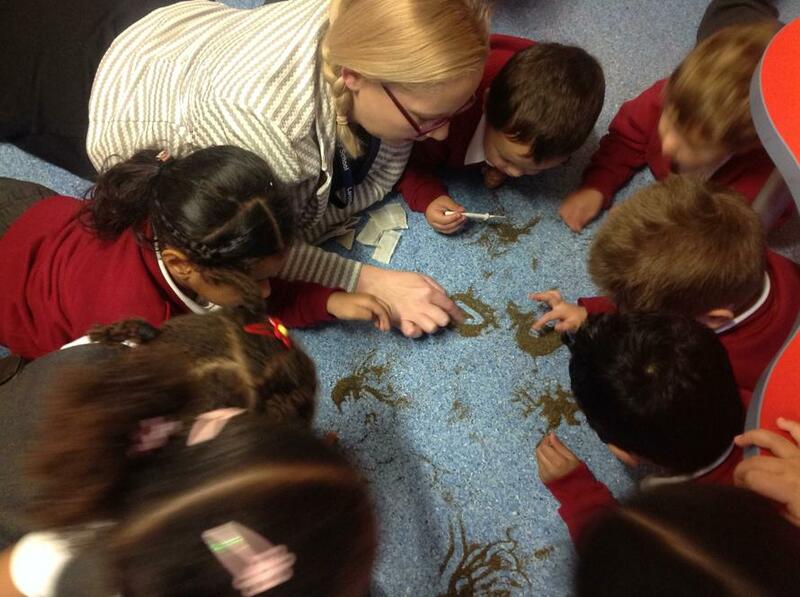 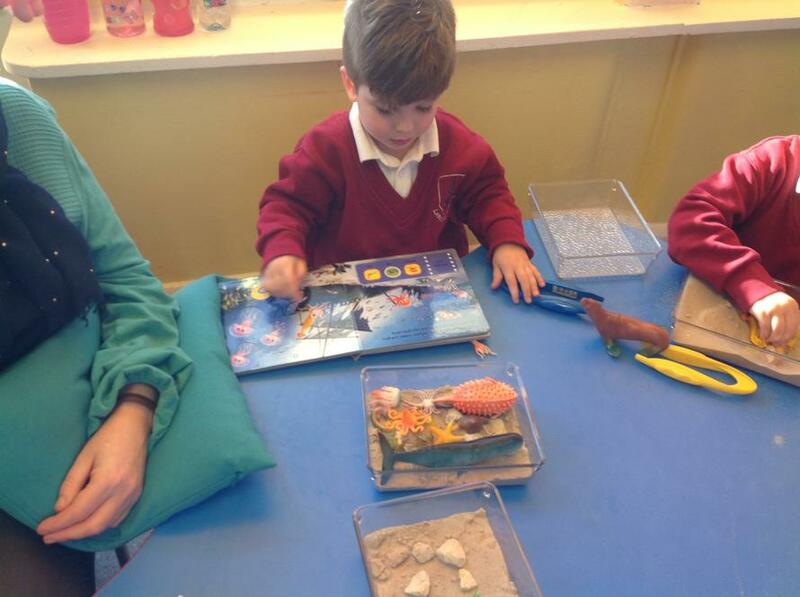 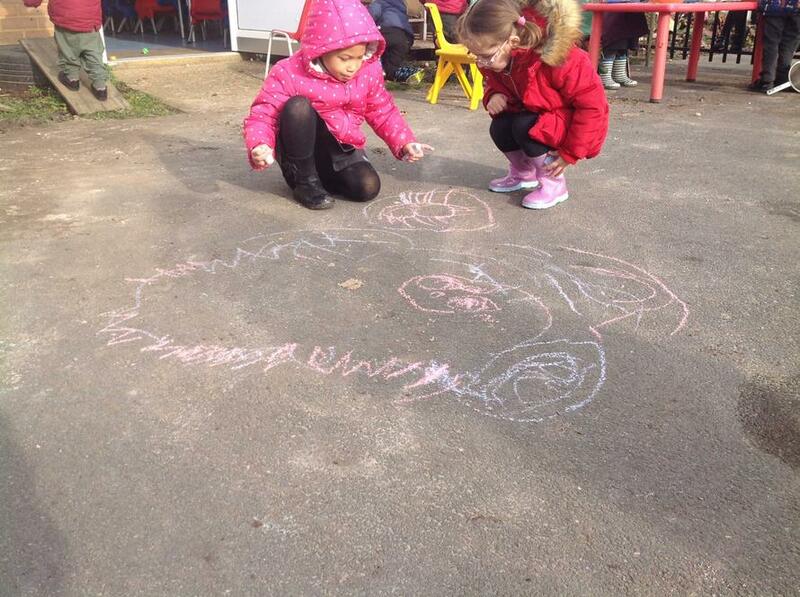 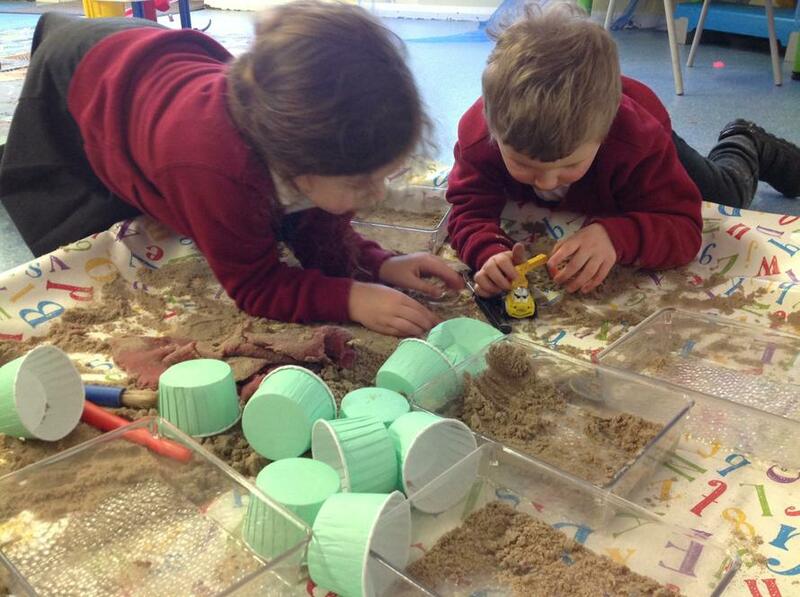 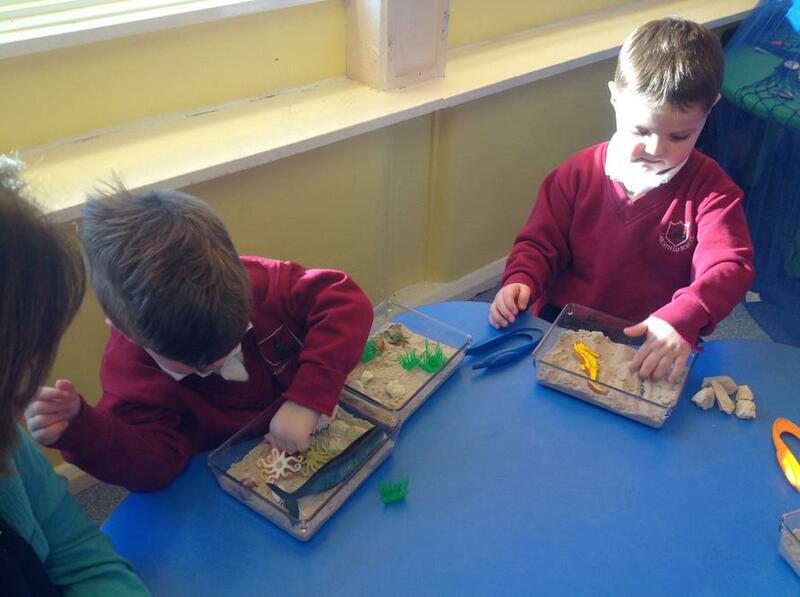 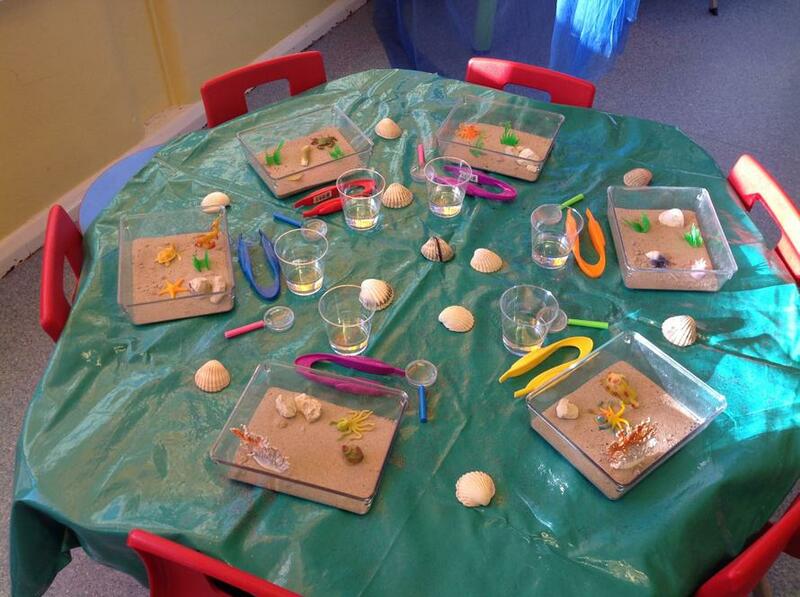 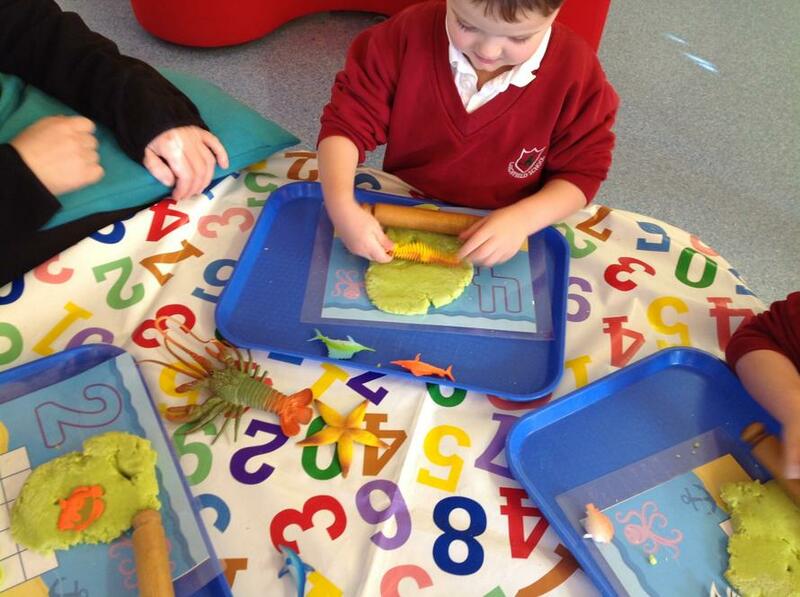 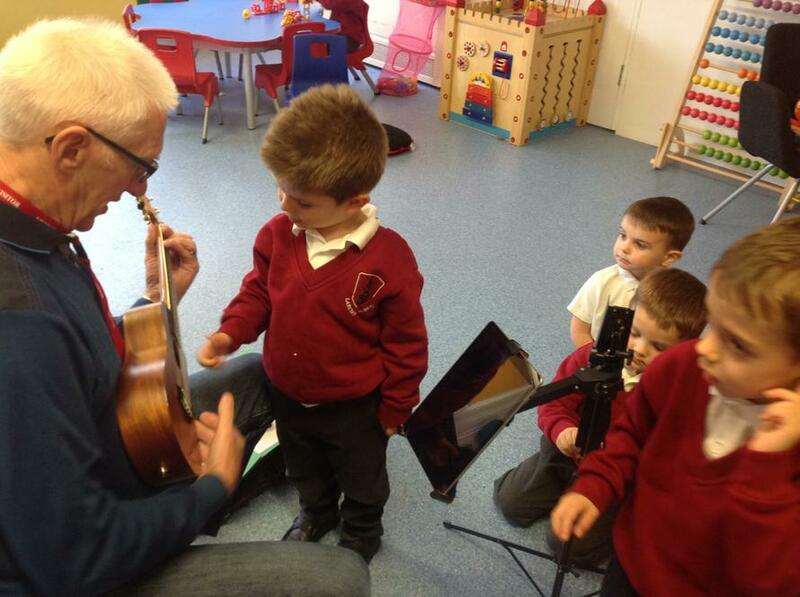 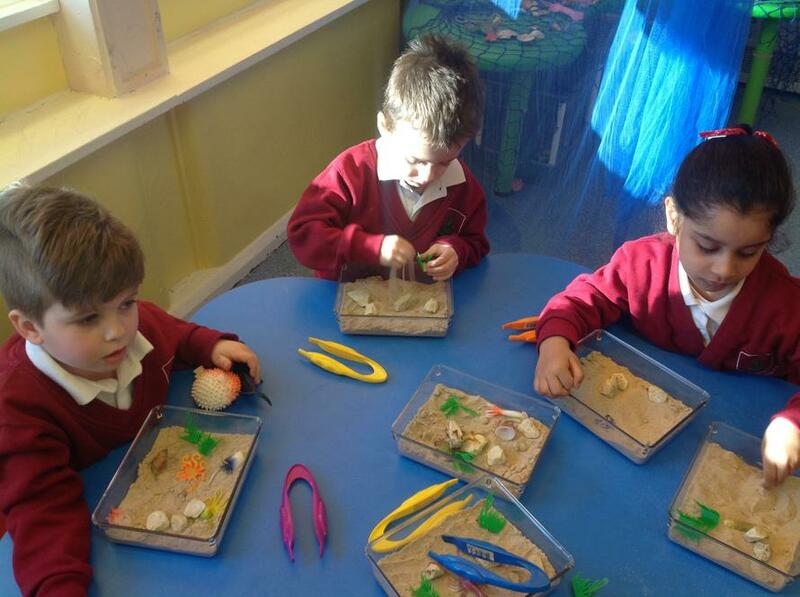 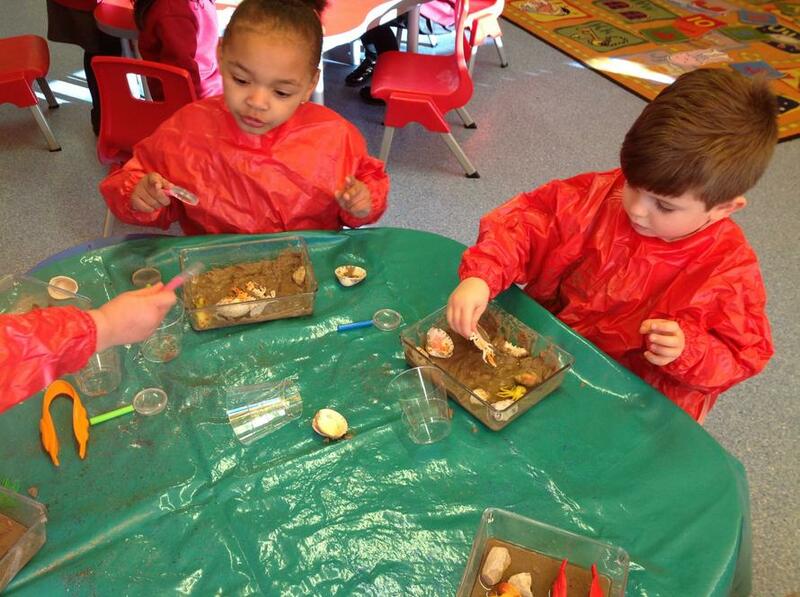 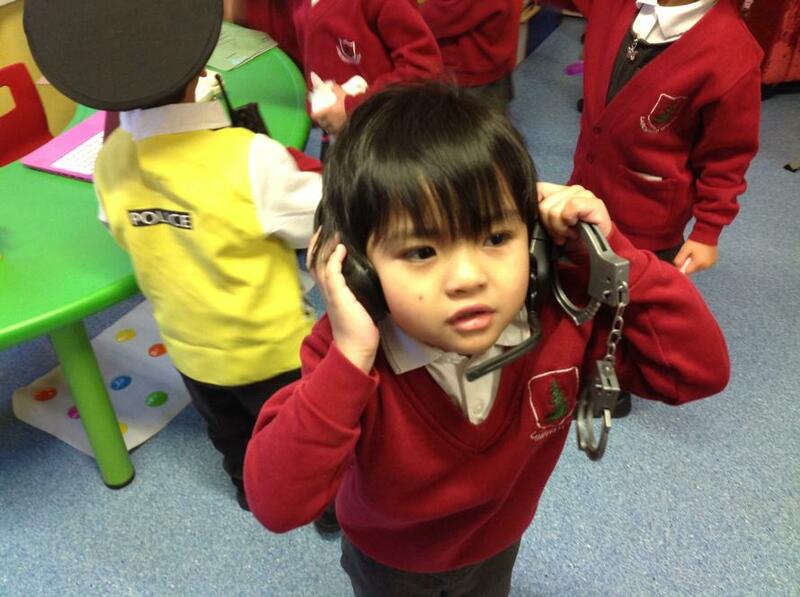 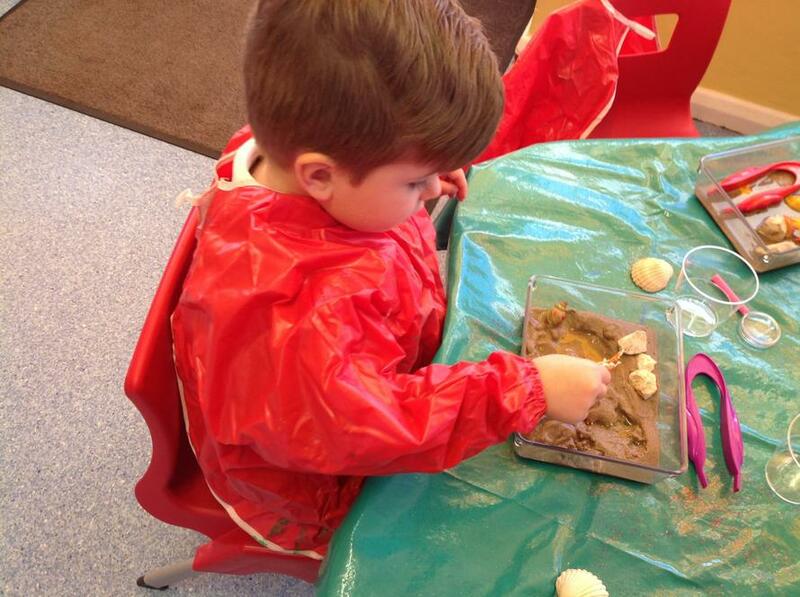 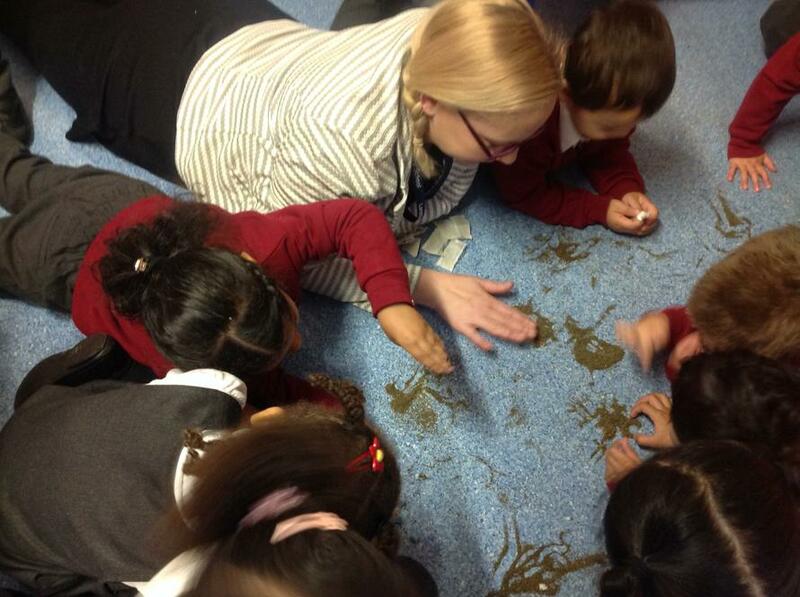 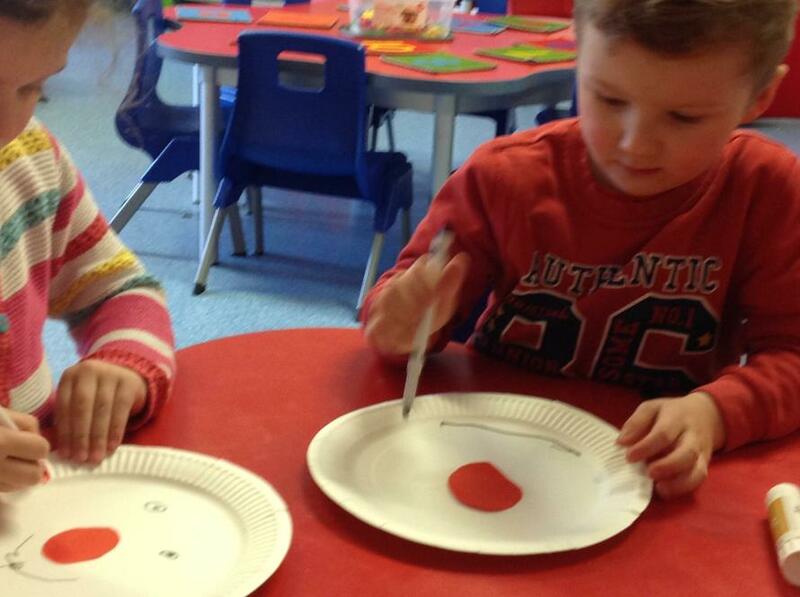 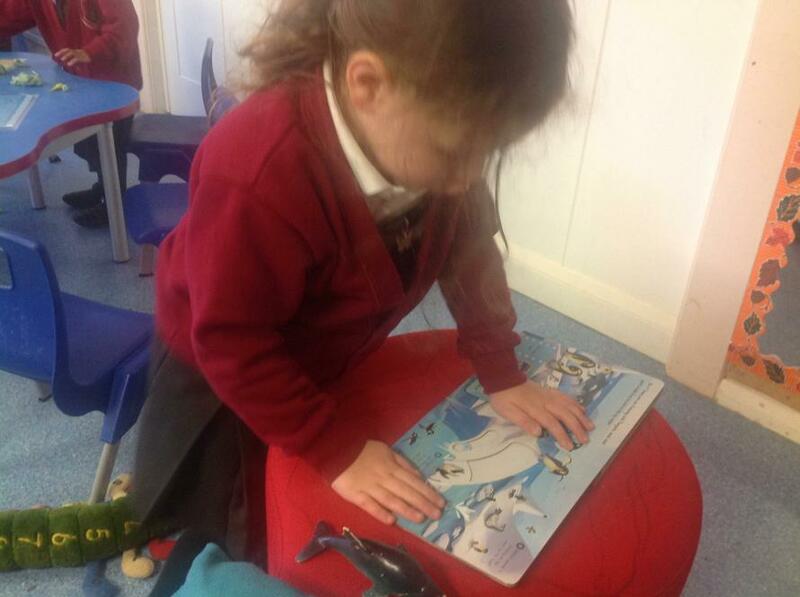 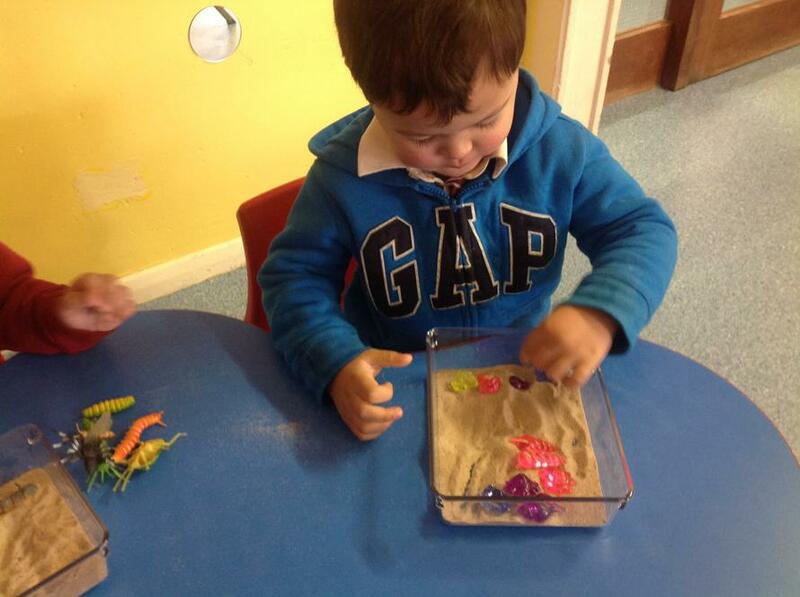 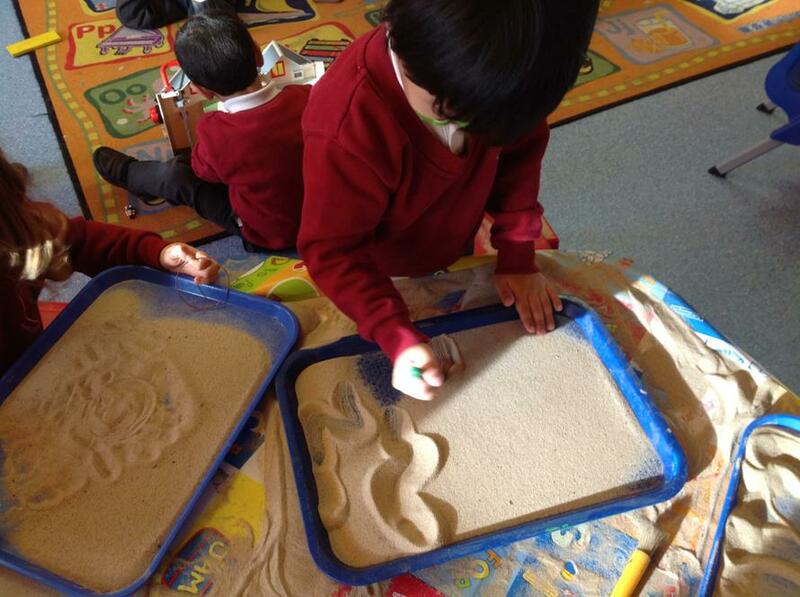 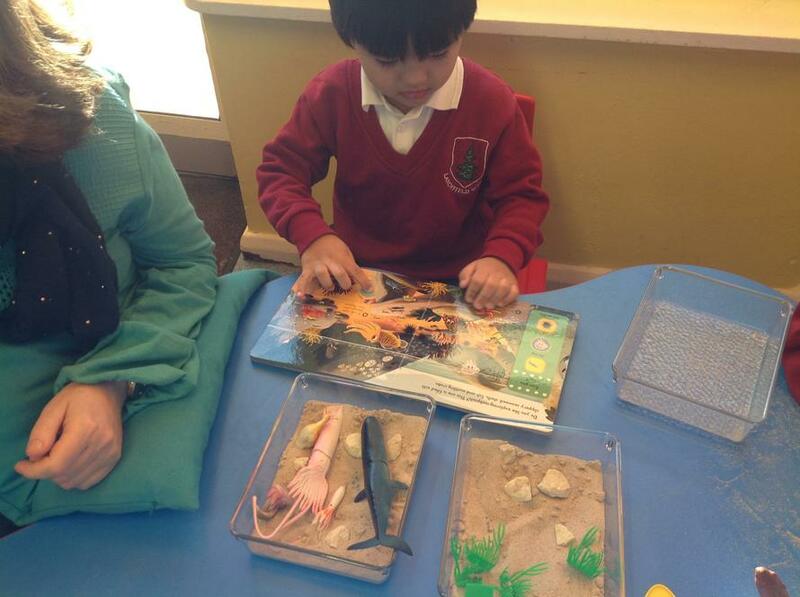 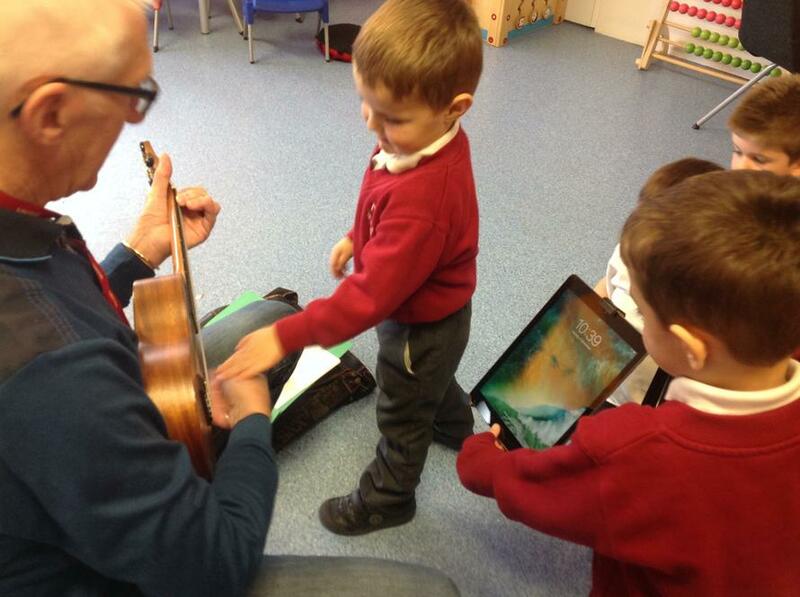 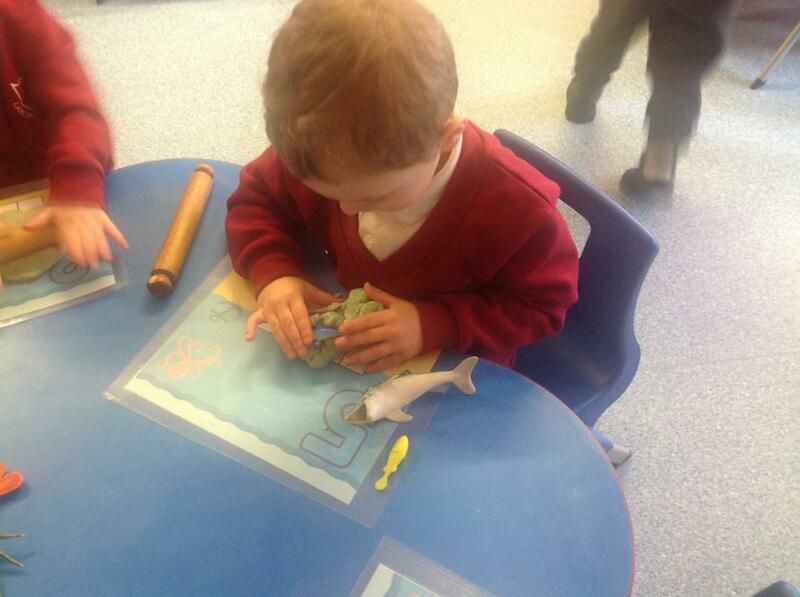 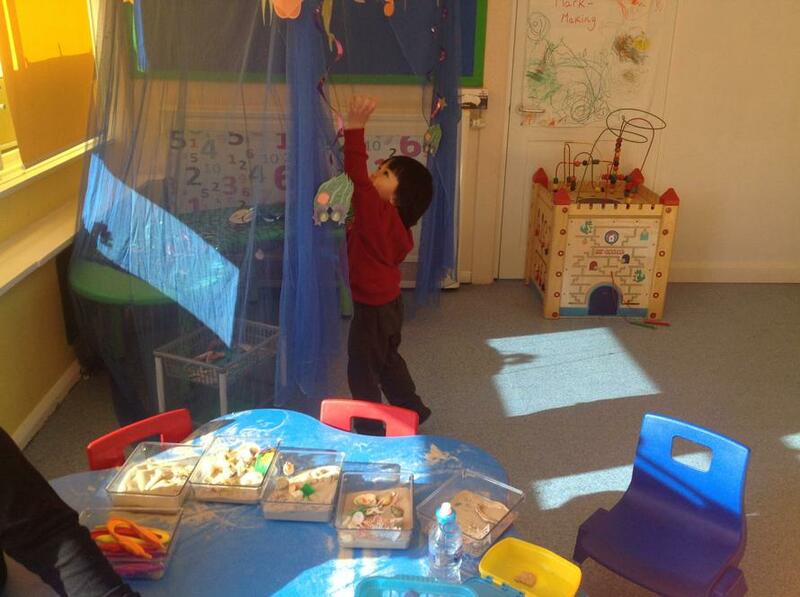 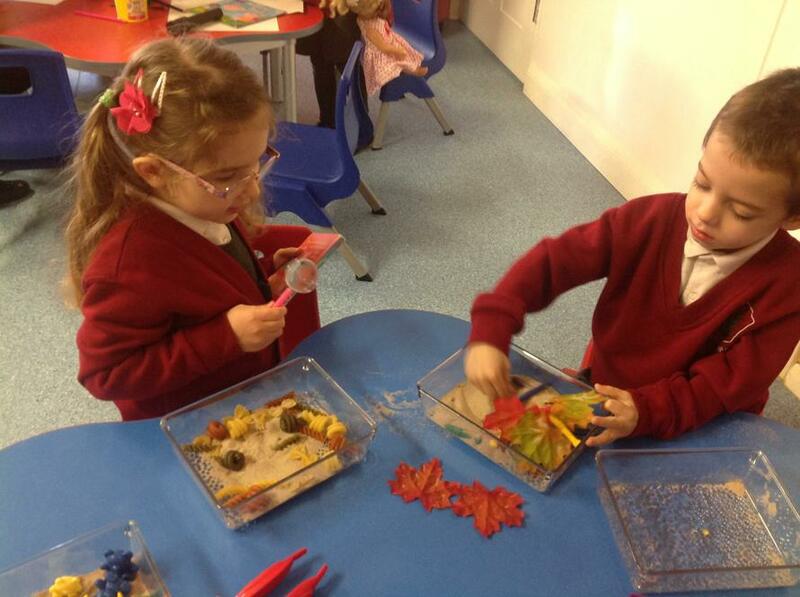 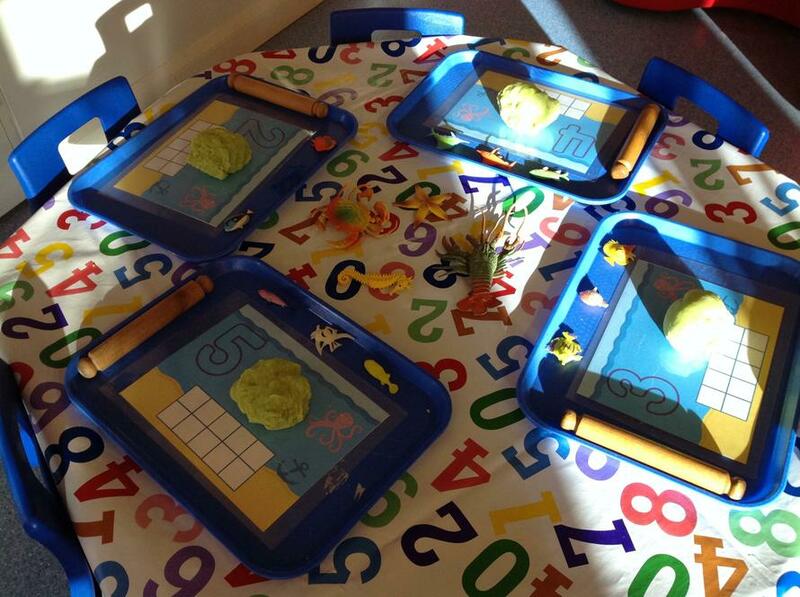 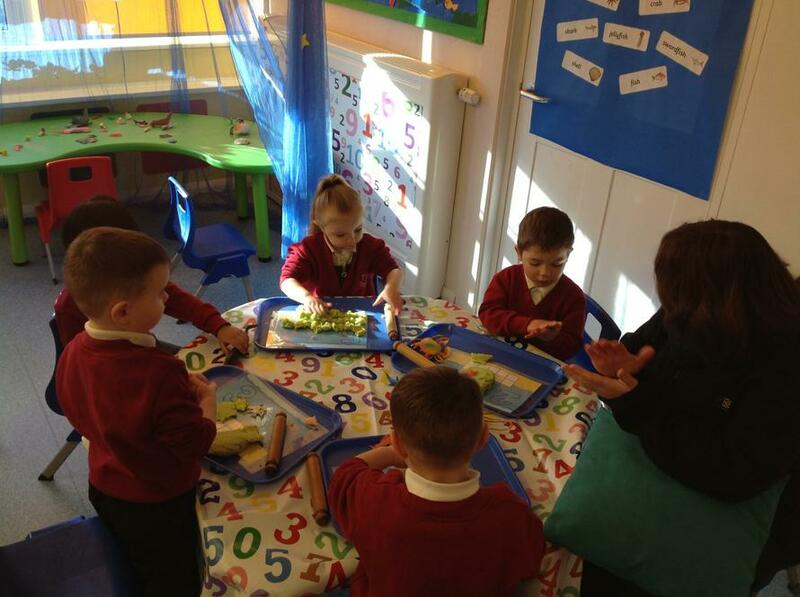 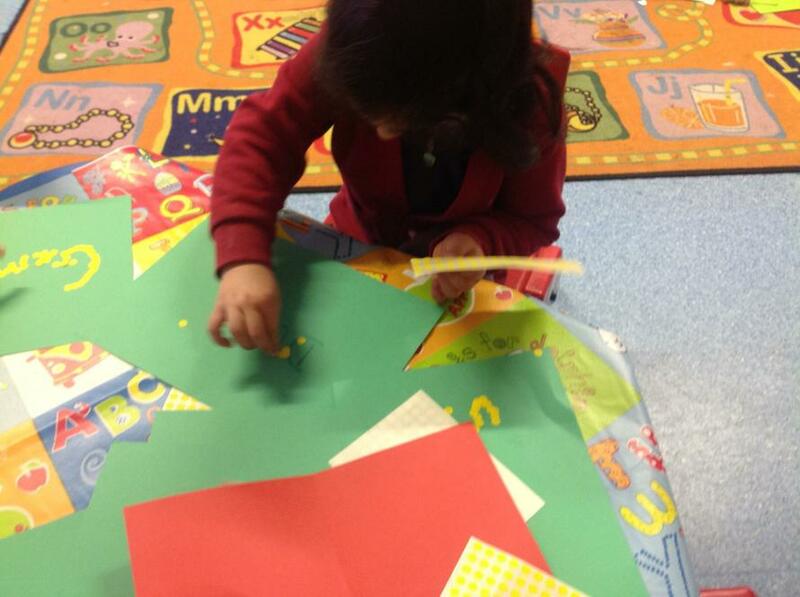 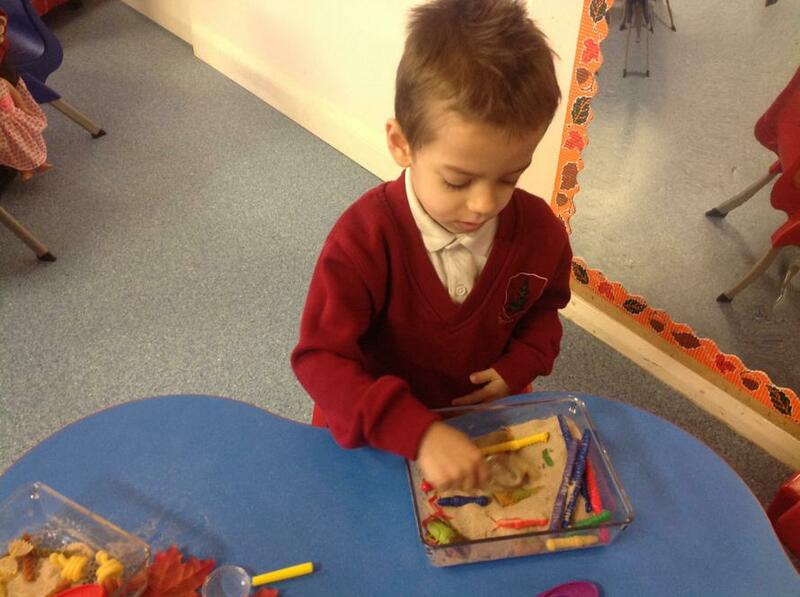 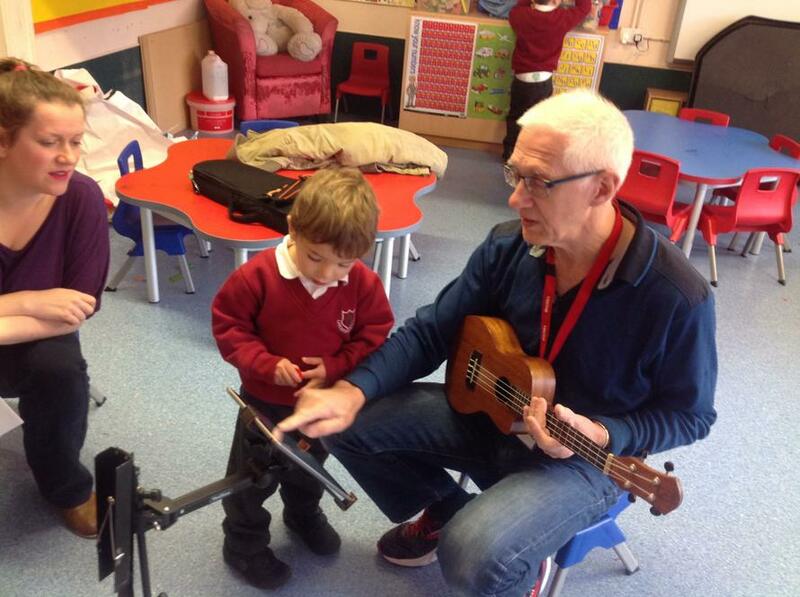 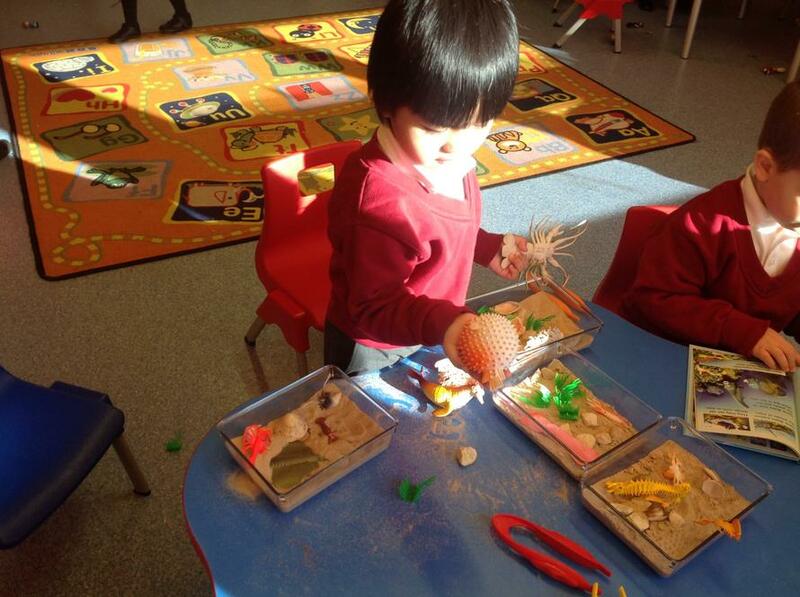 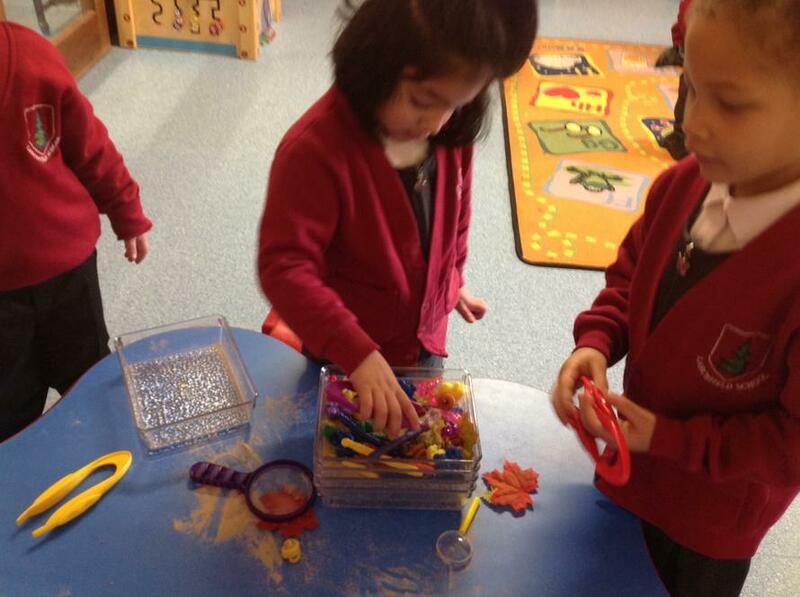 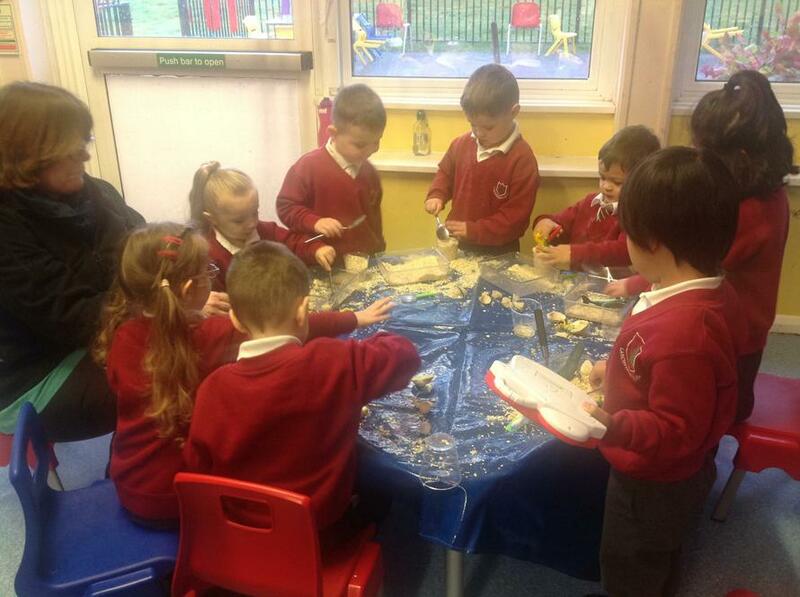 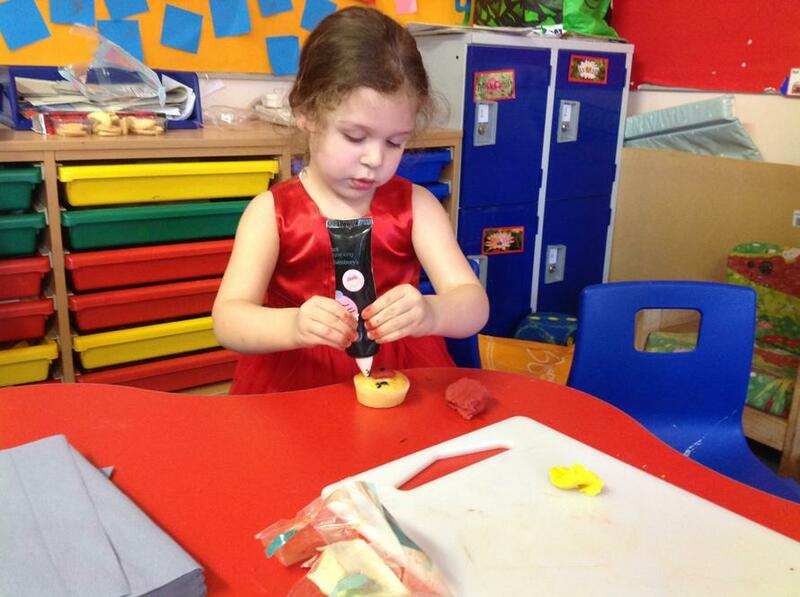 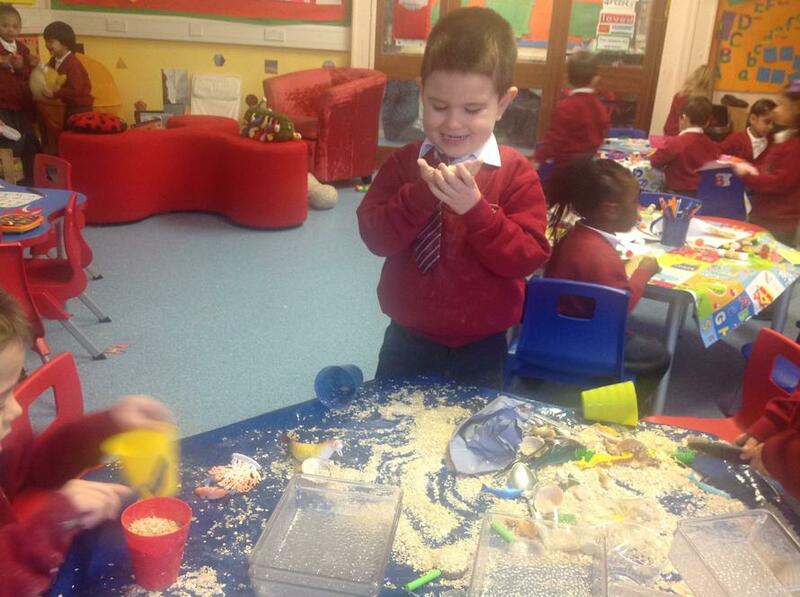 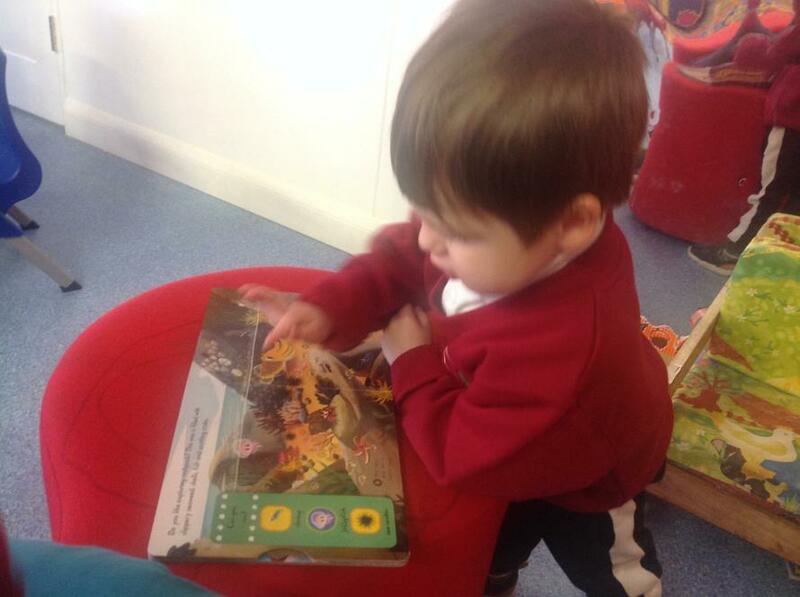 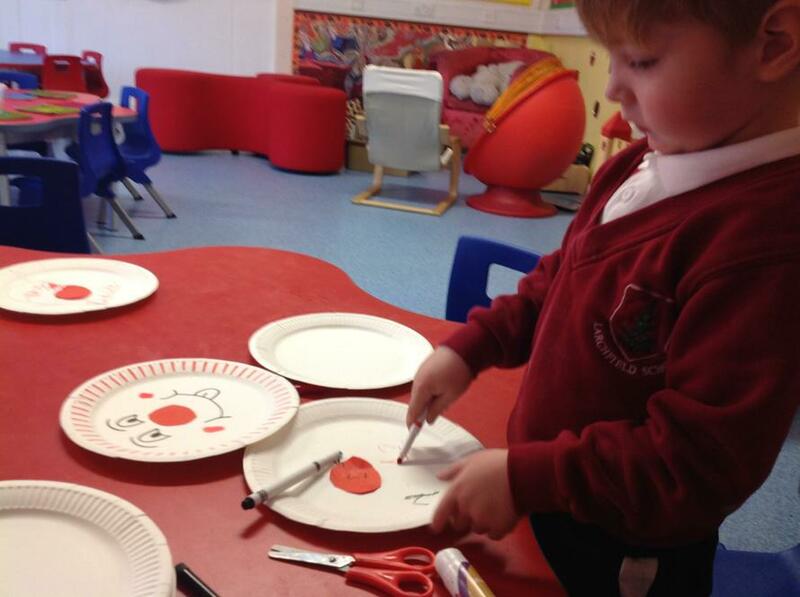 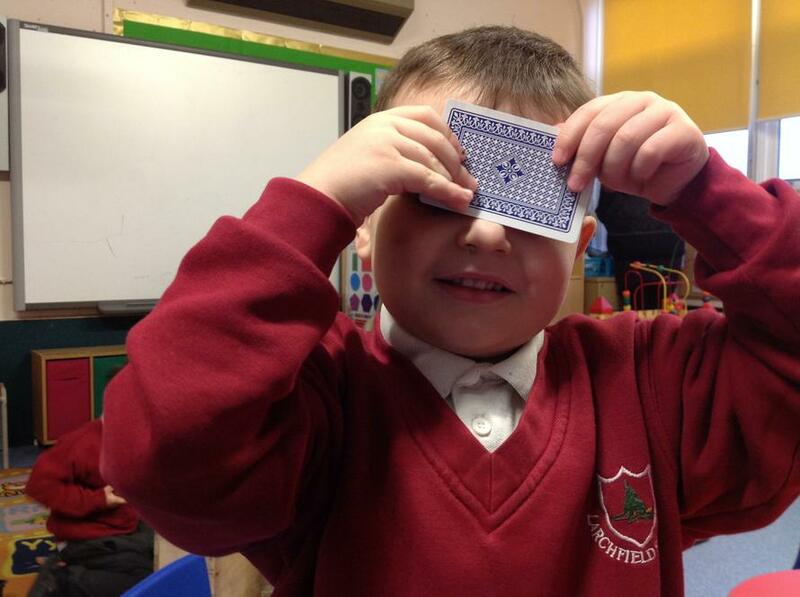 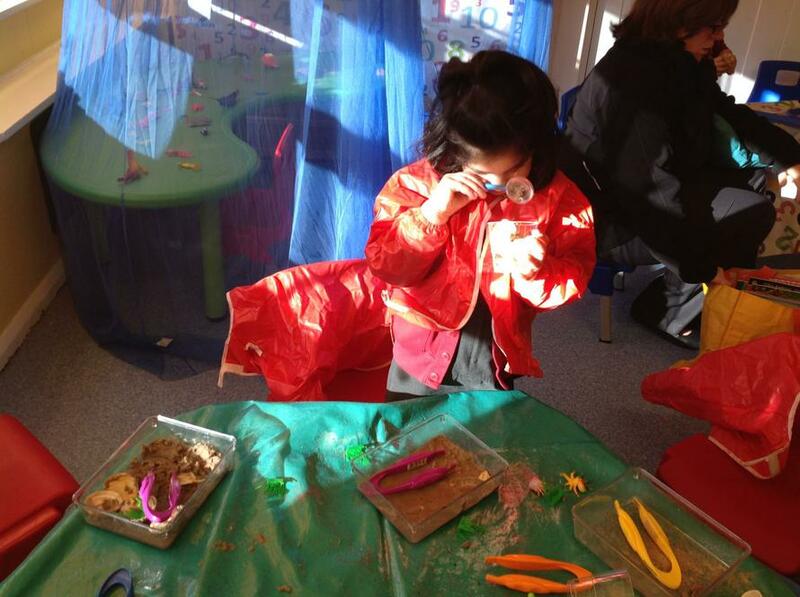 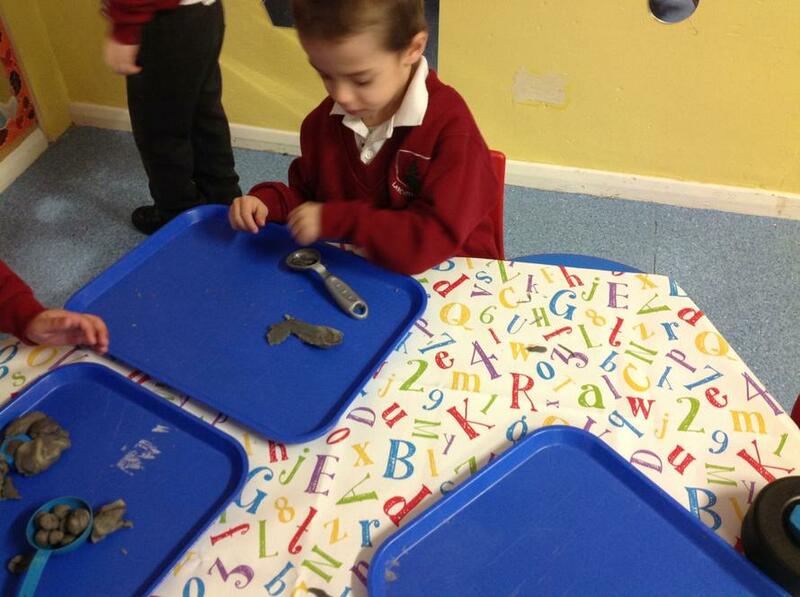 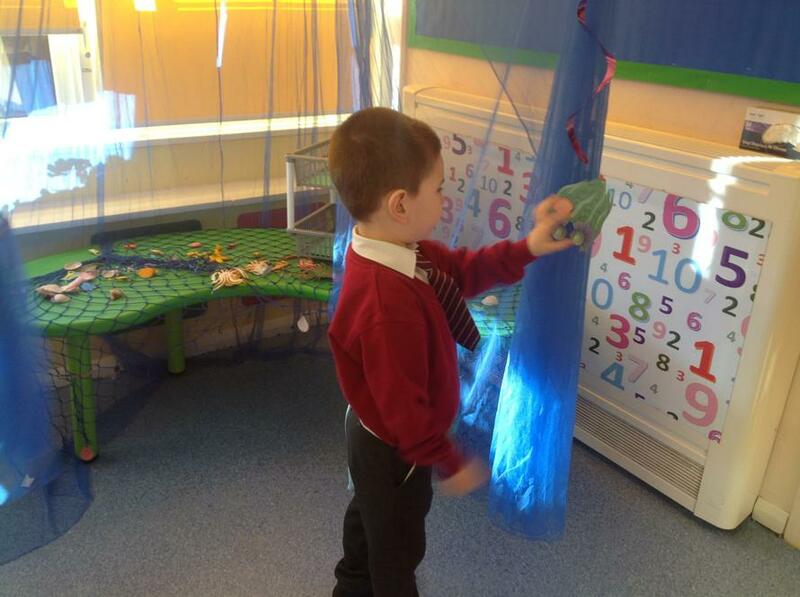 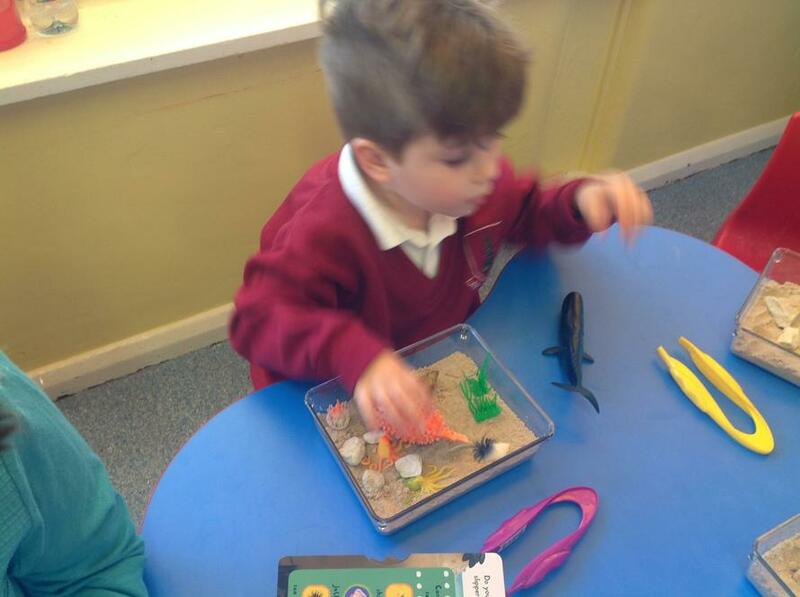 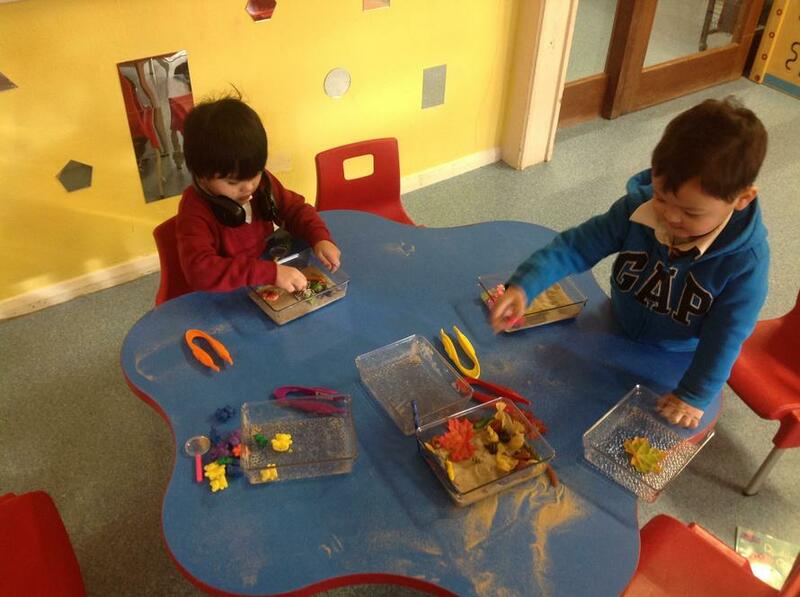 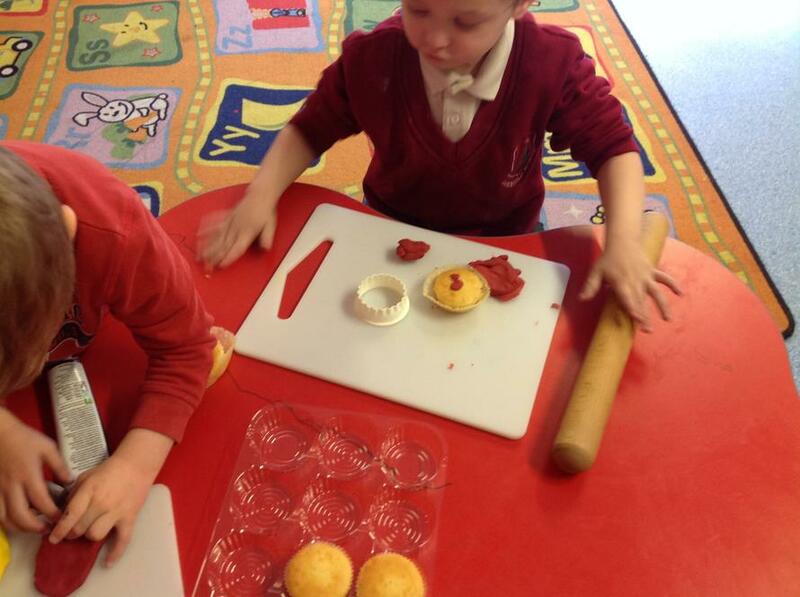 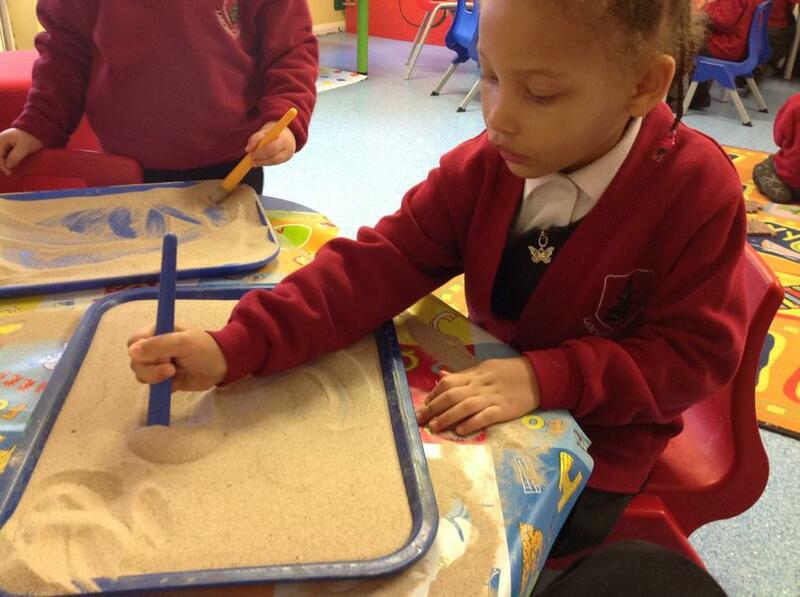 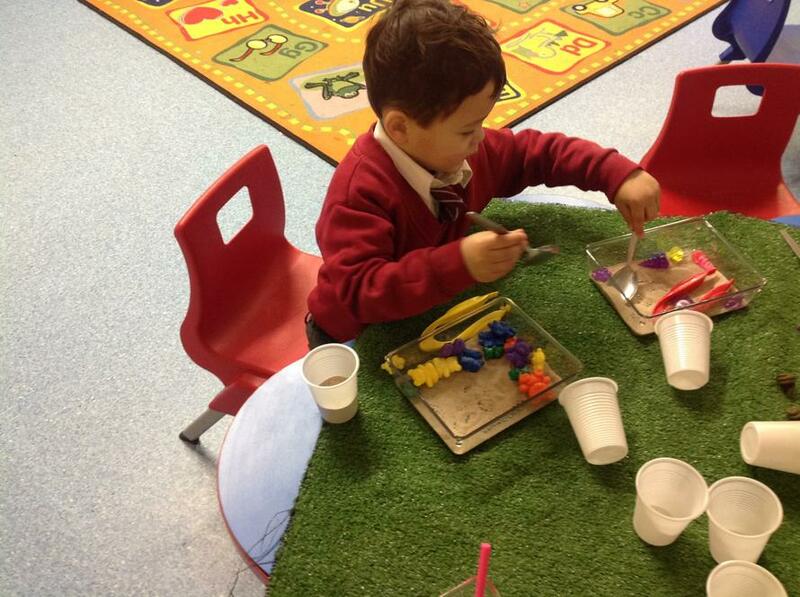 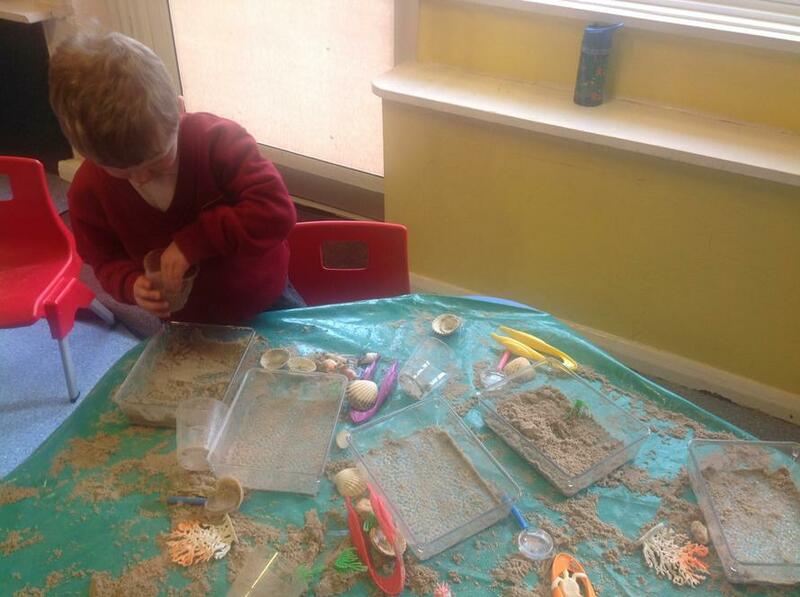 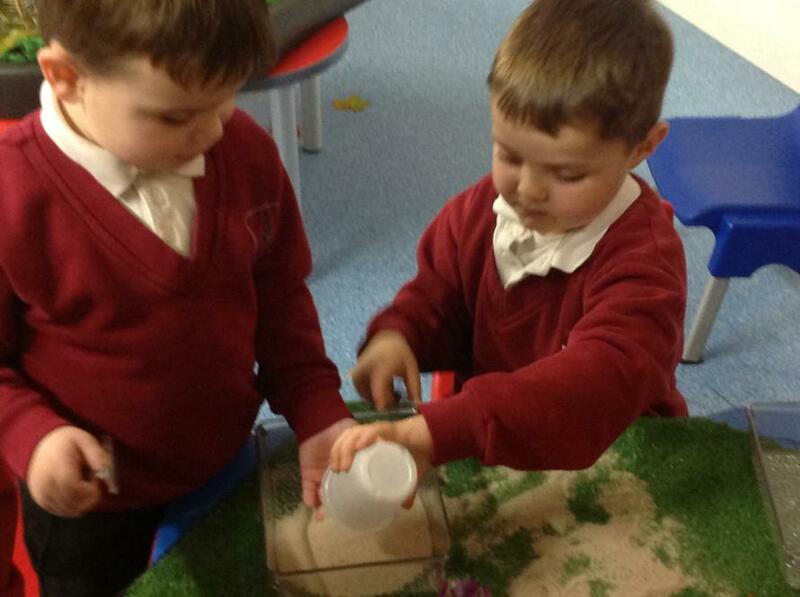 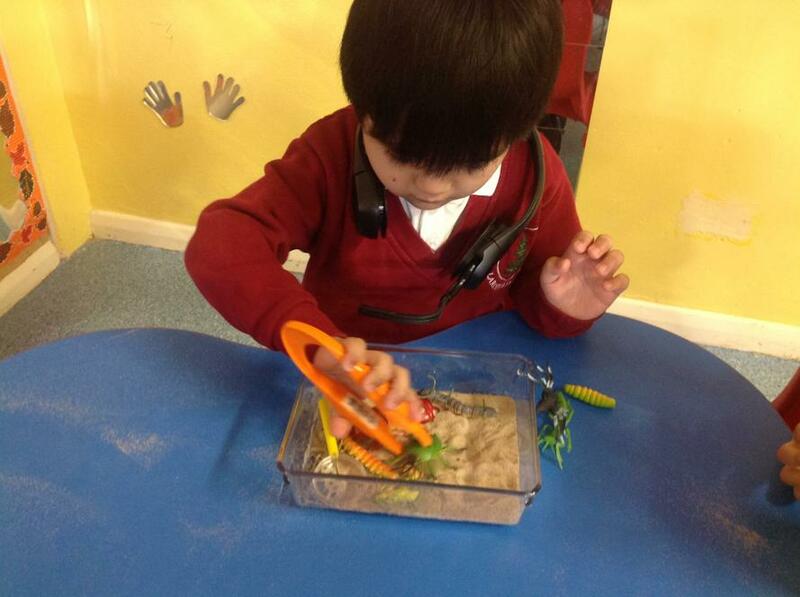 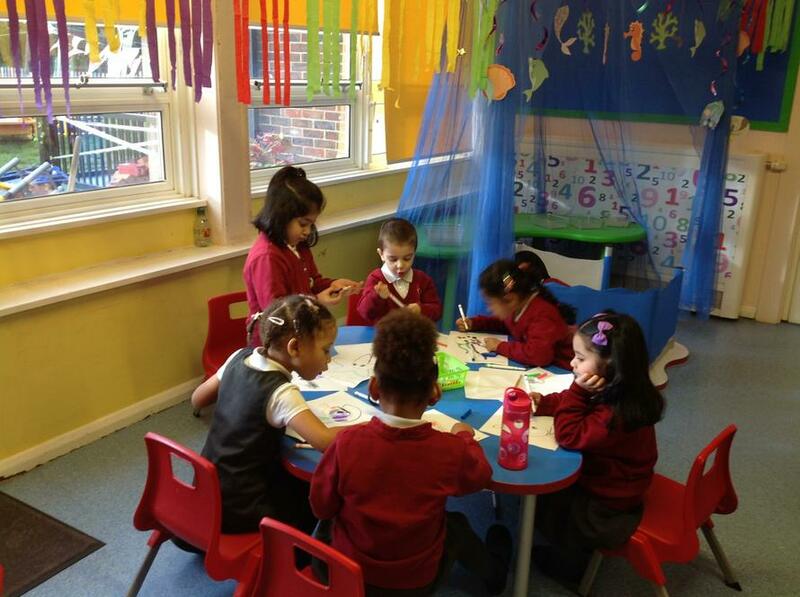 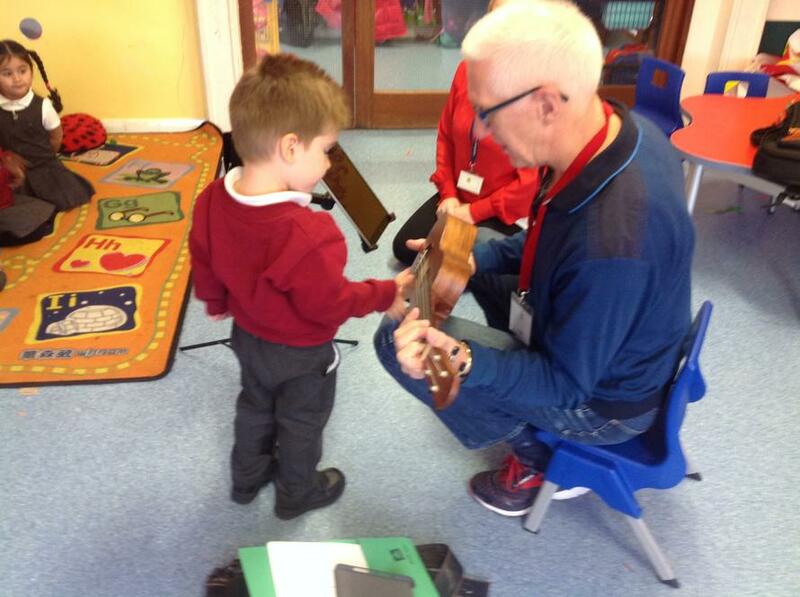 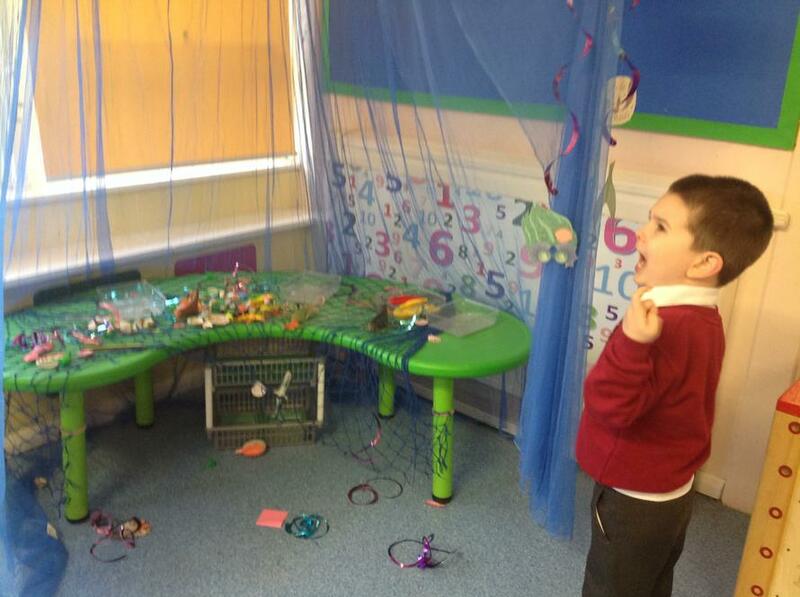 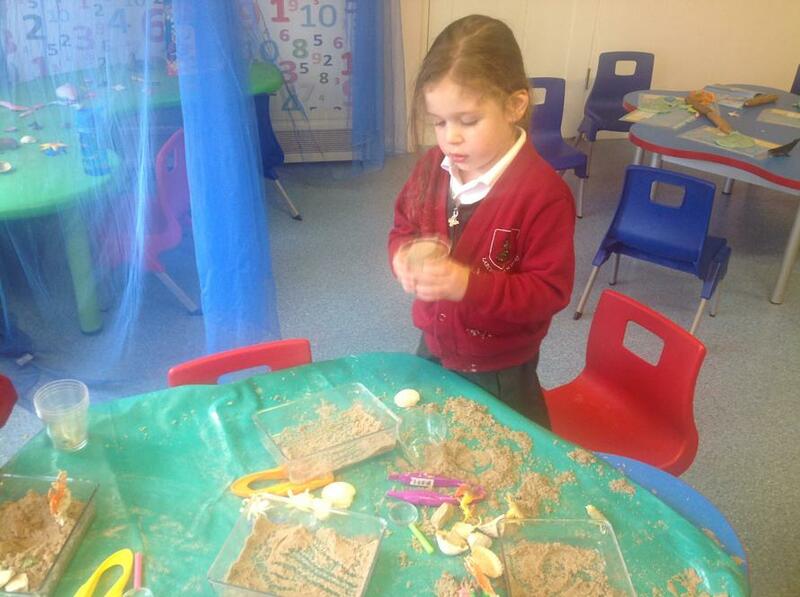 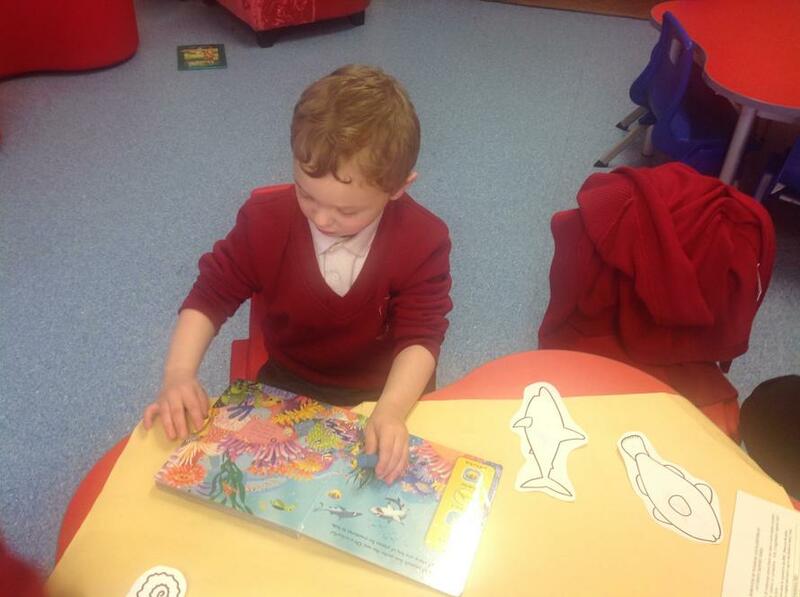 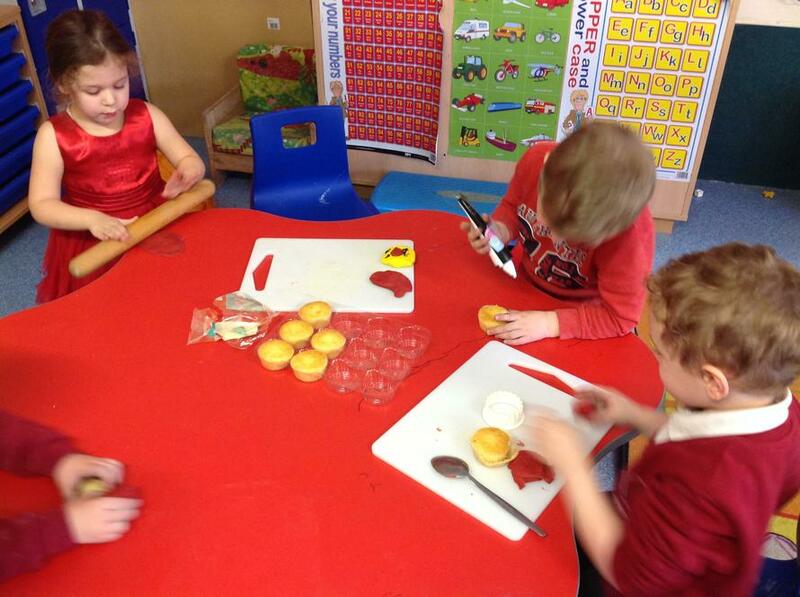 We have been learning more about 'Under the sea' in new activities this week. 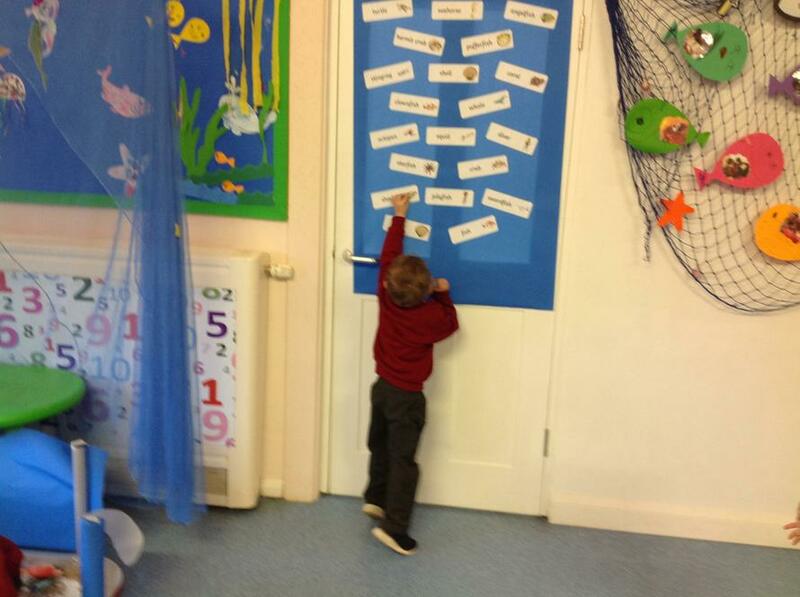 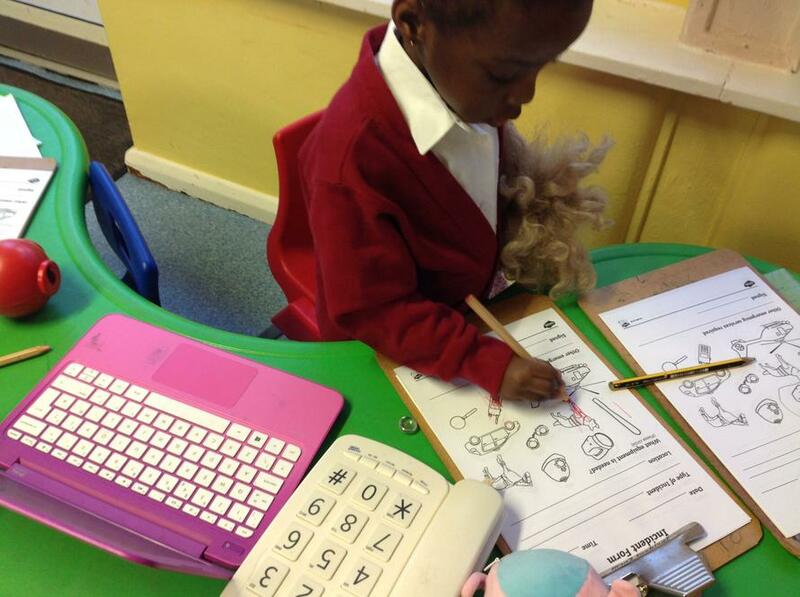 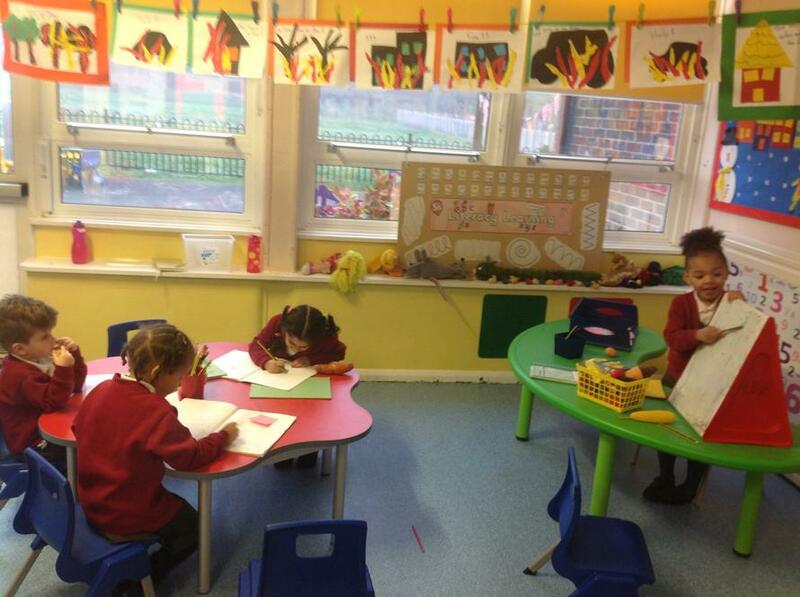 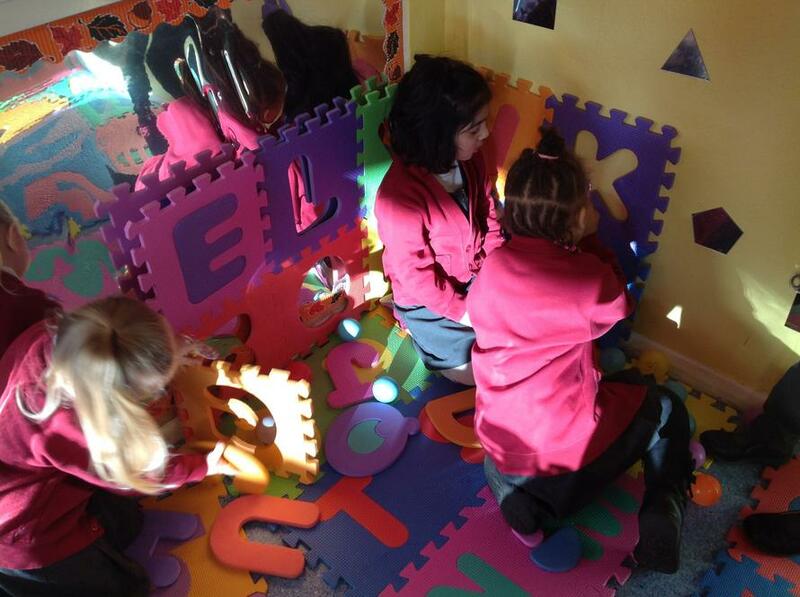 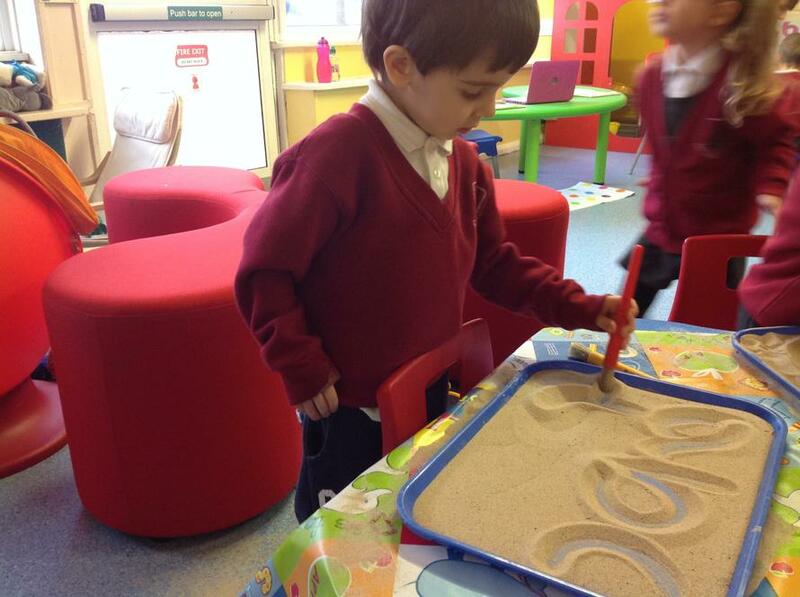 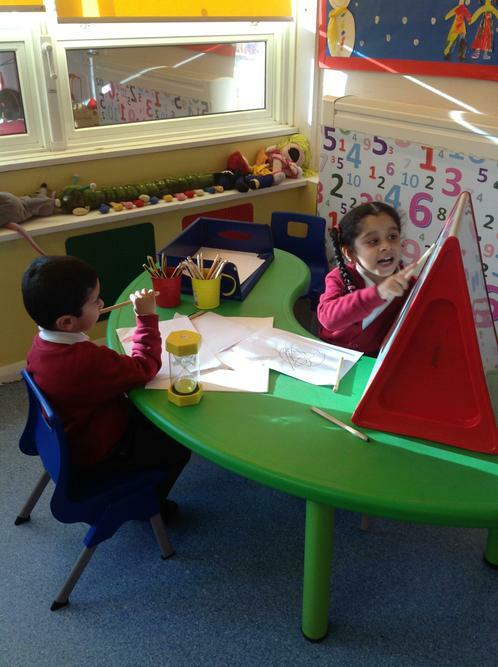 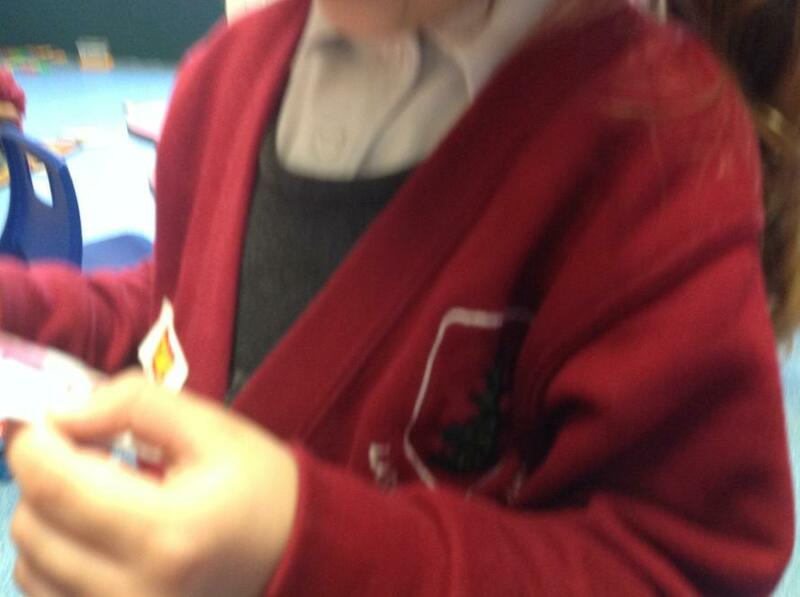 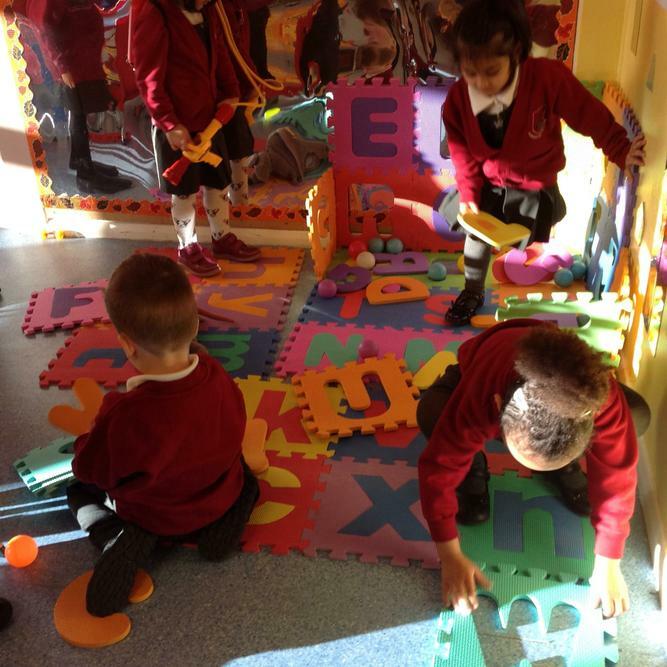 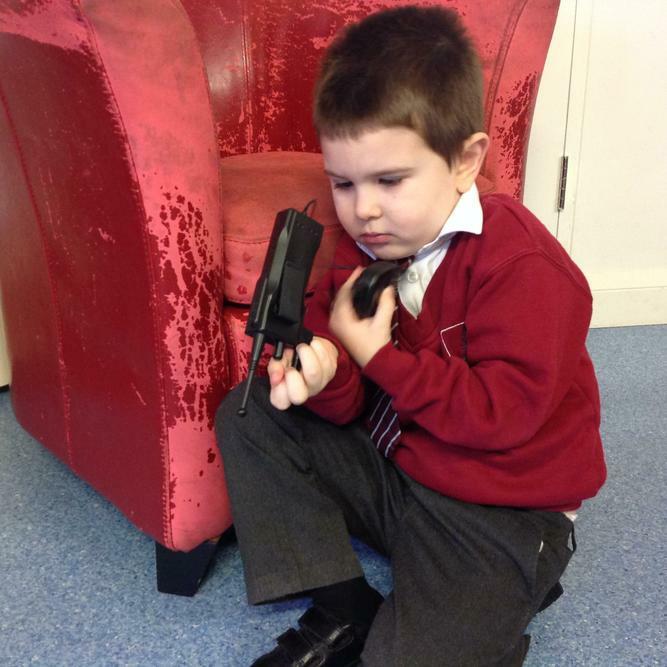 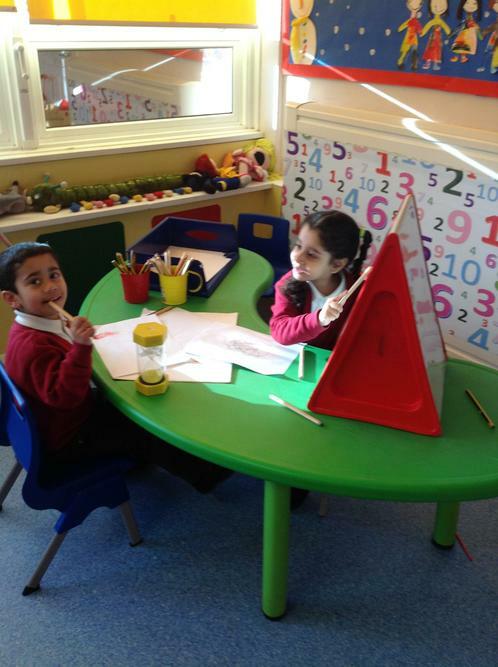 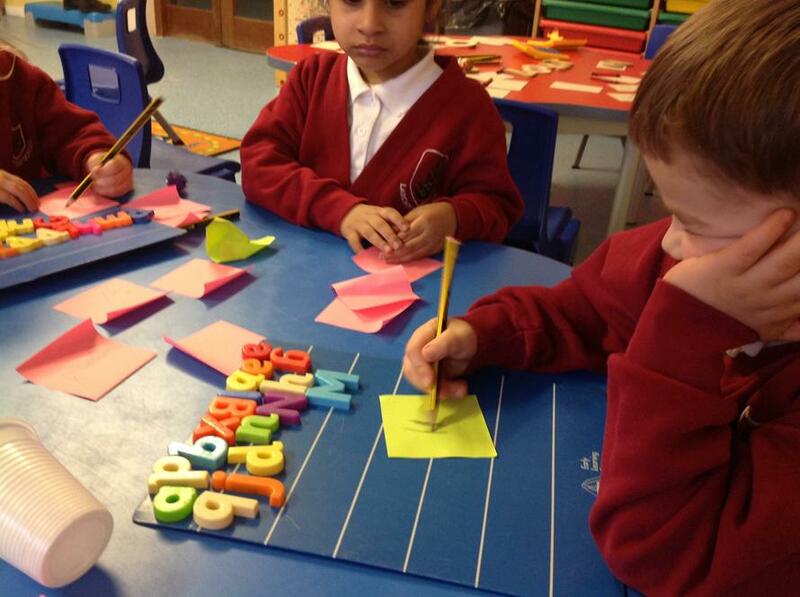 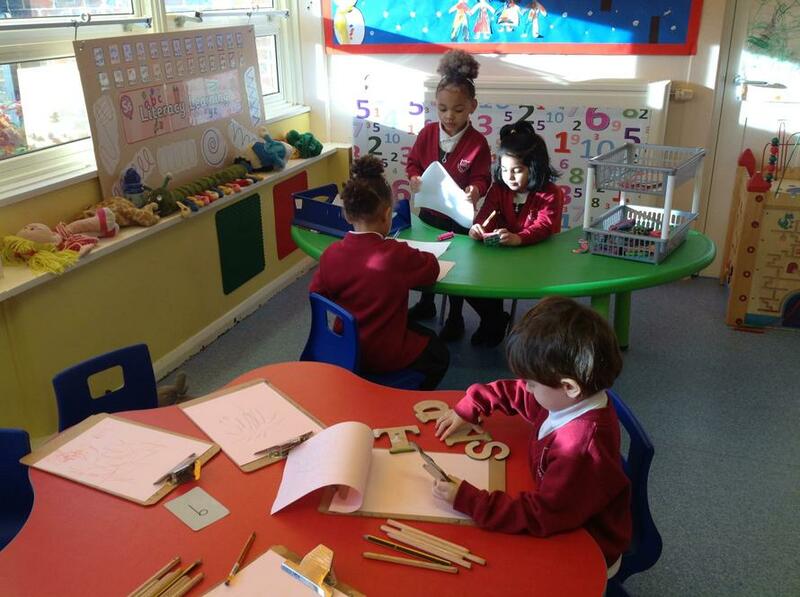 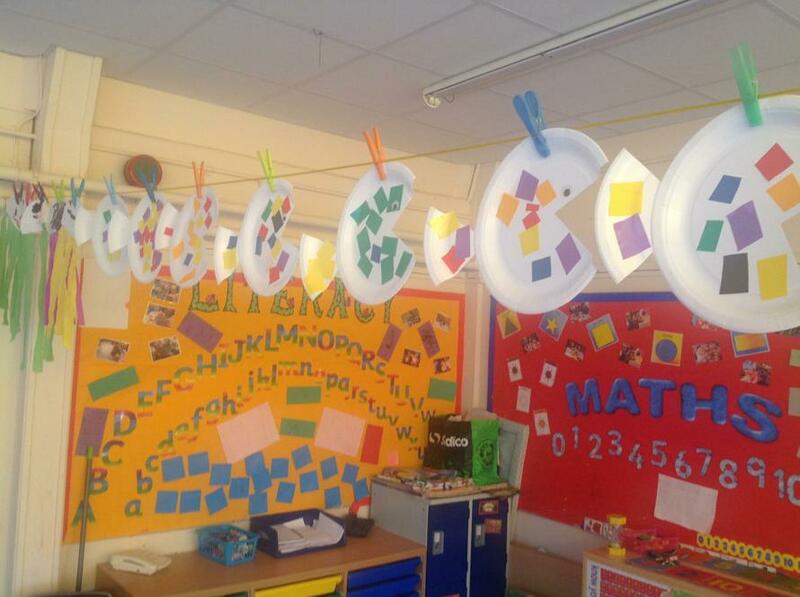 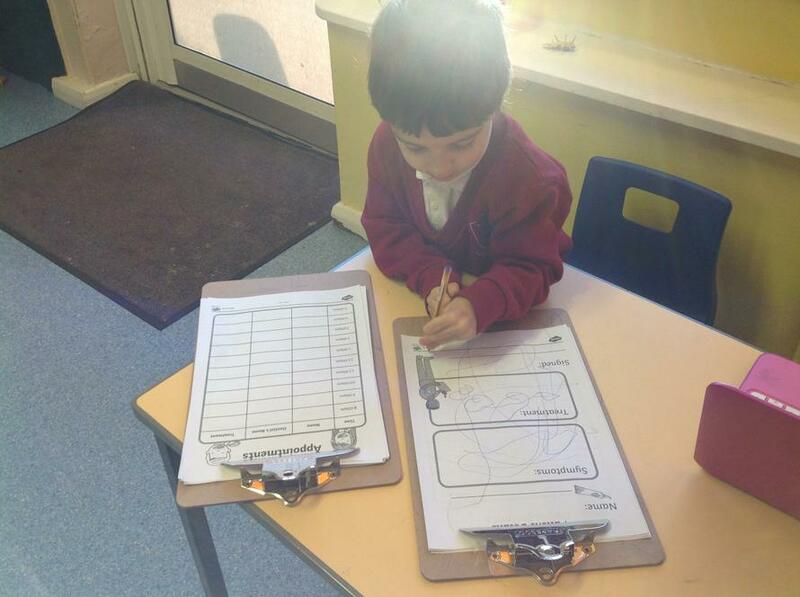 The children have been learning lots of new words and using them in their investigations. 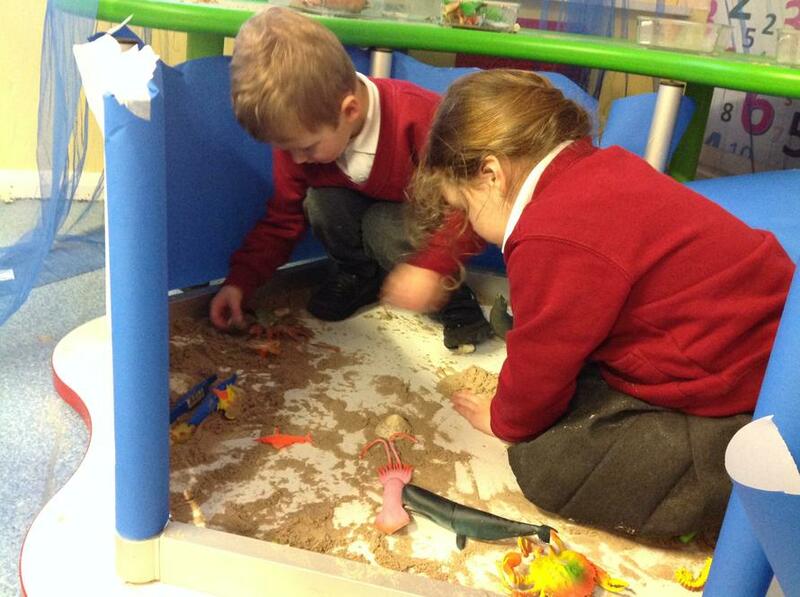 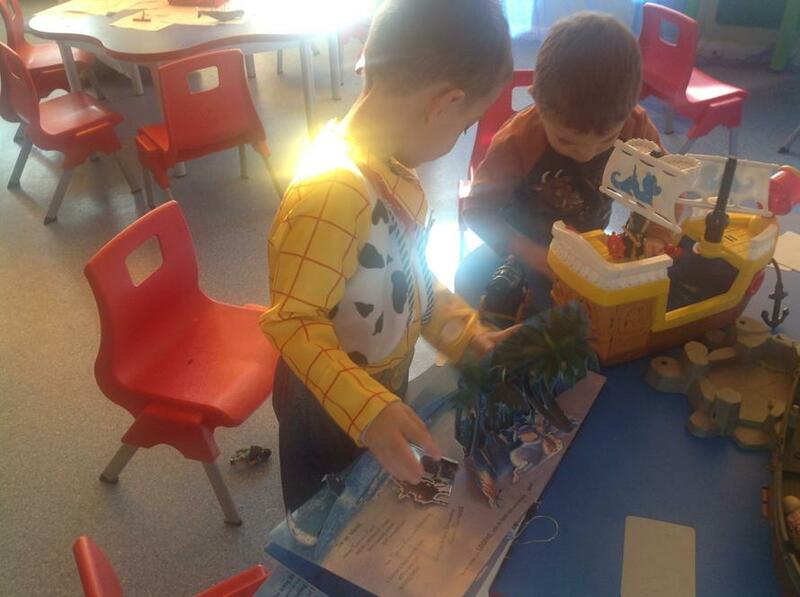 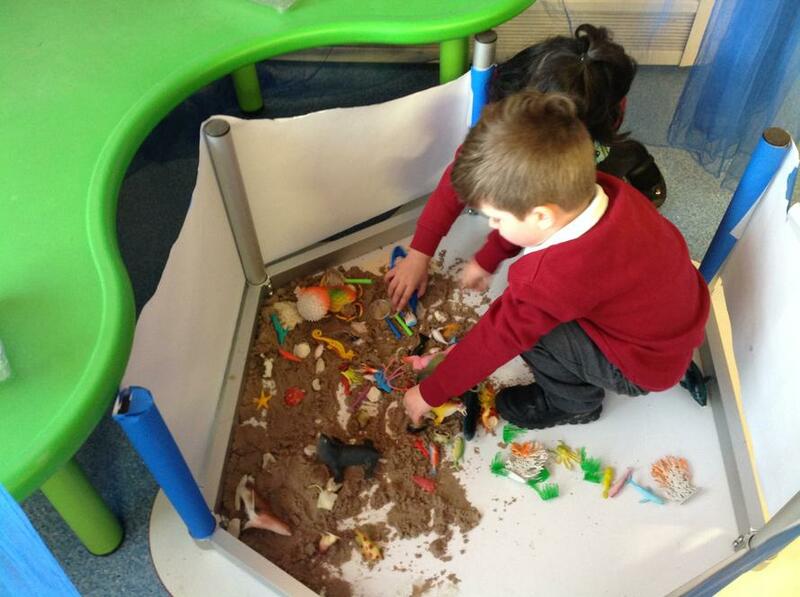 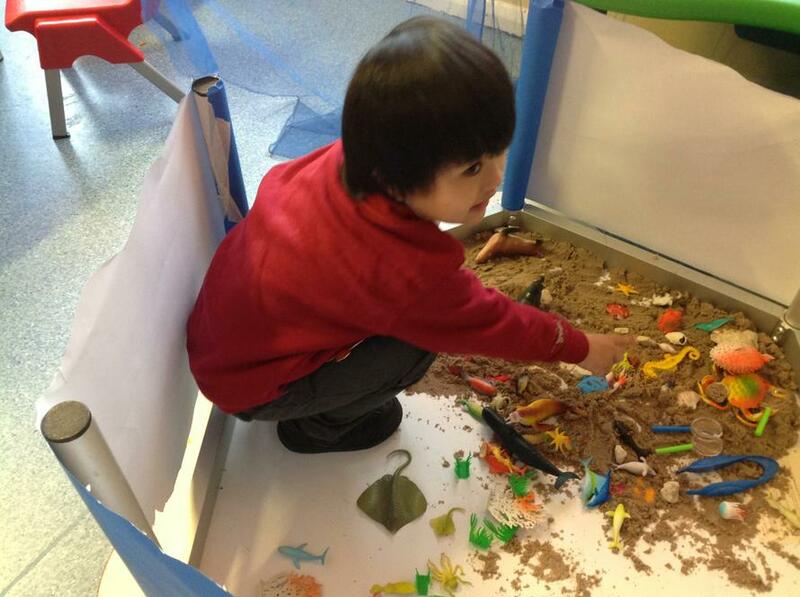 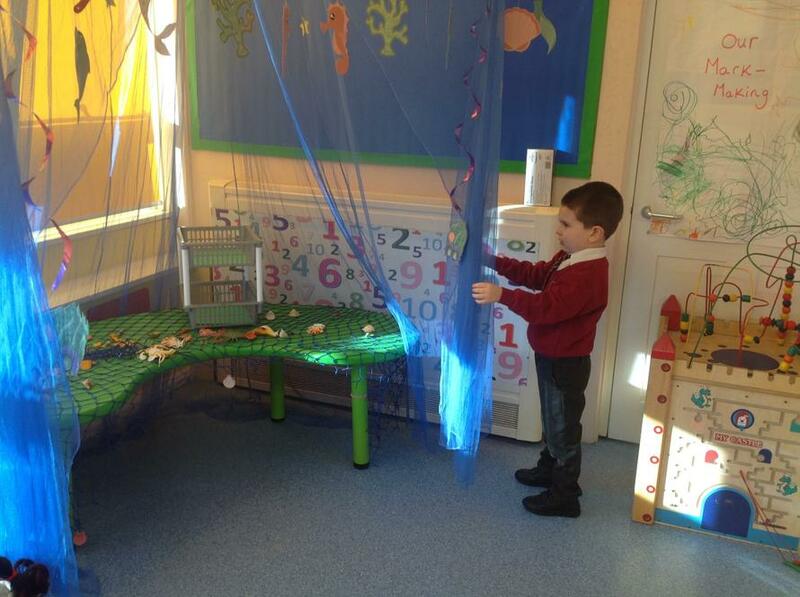 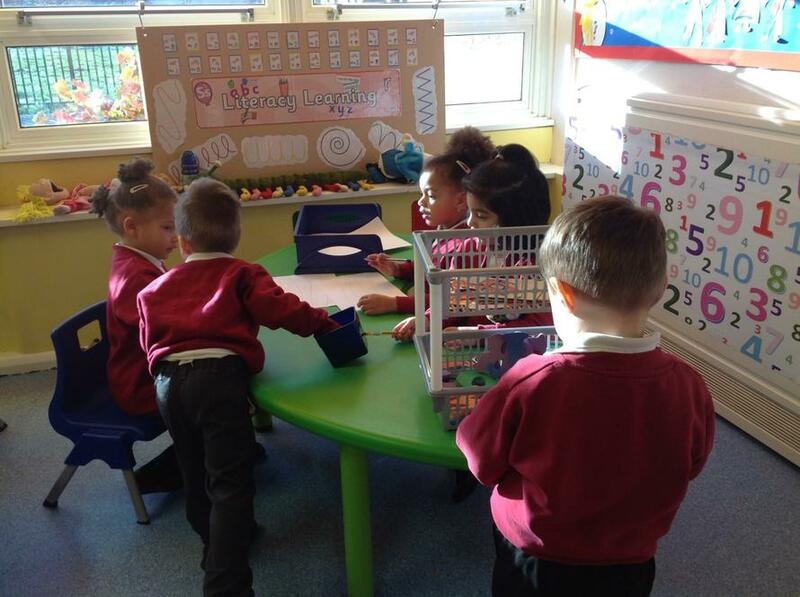 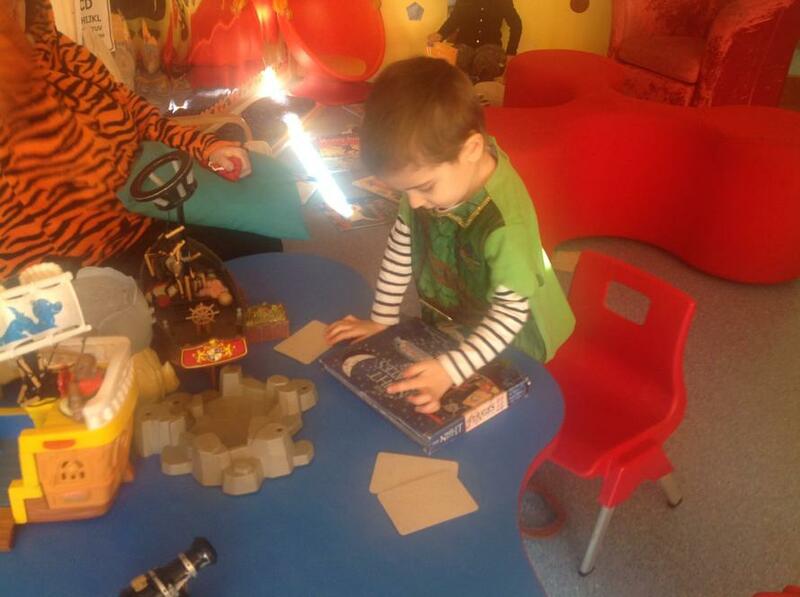 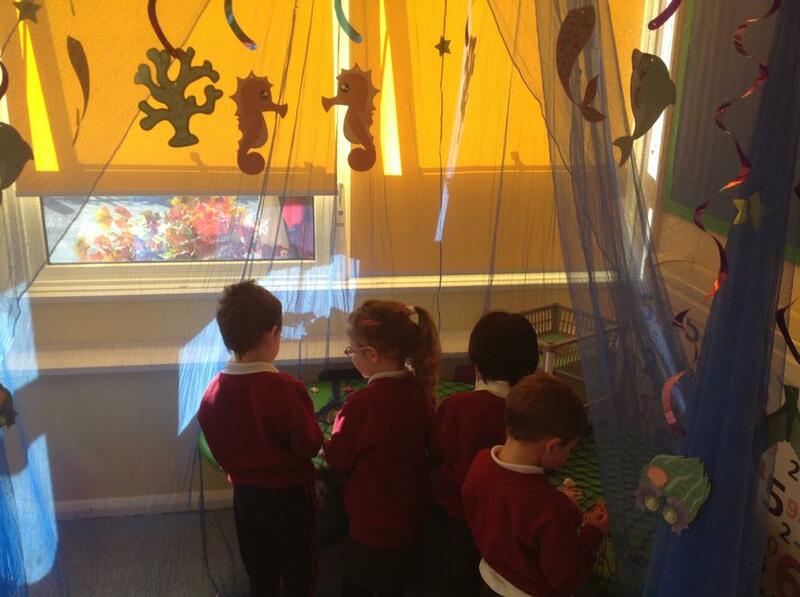 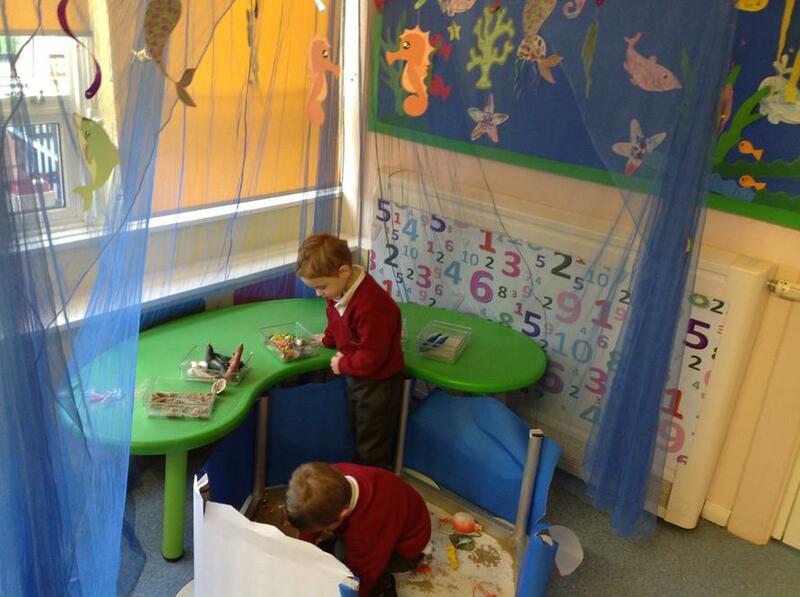 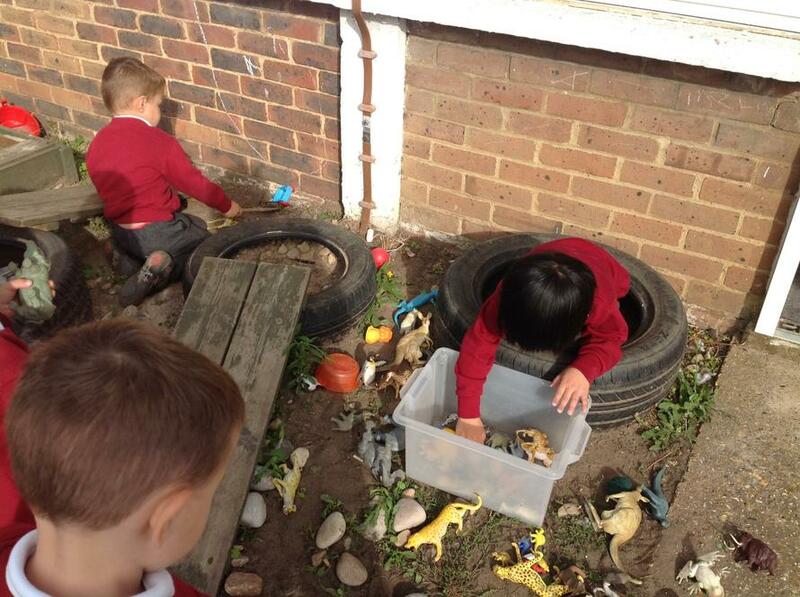 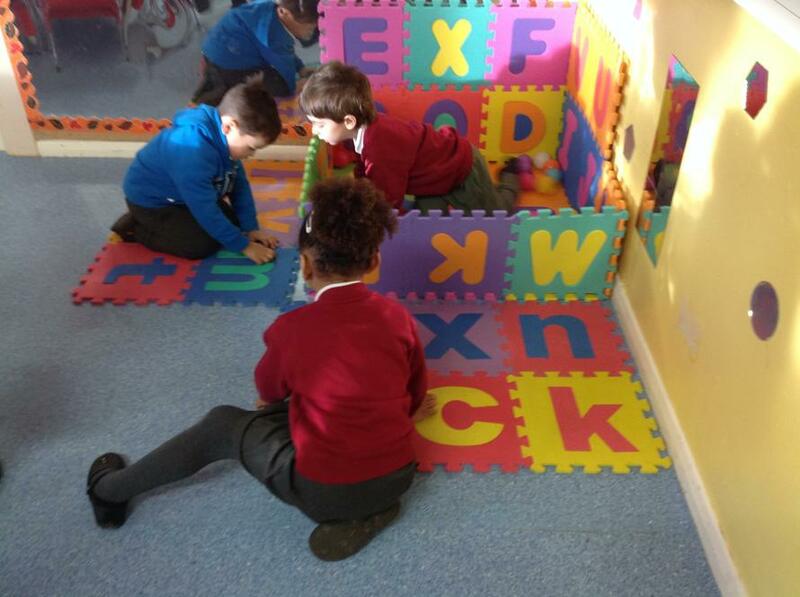 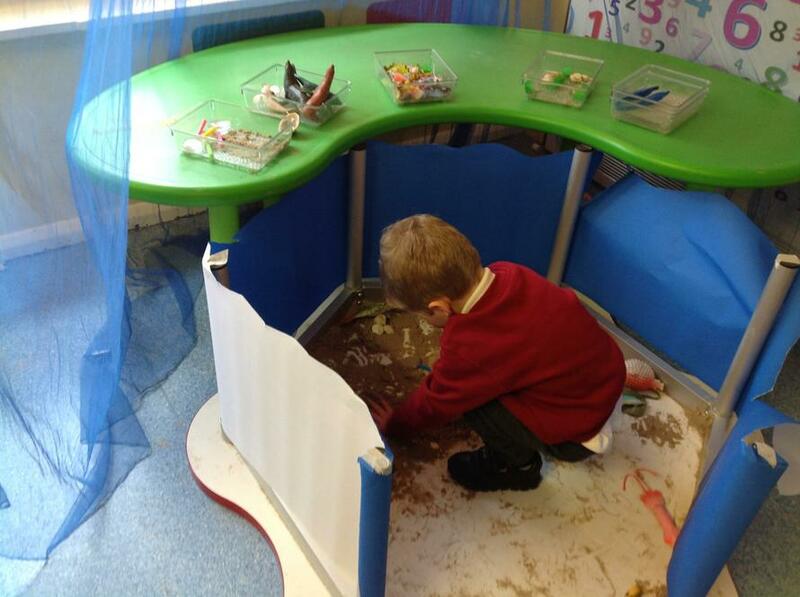 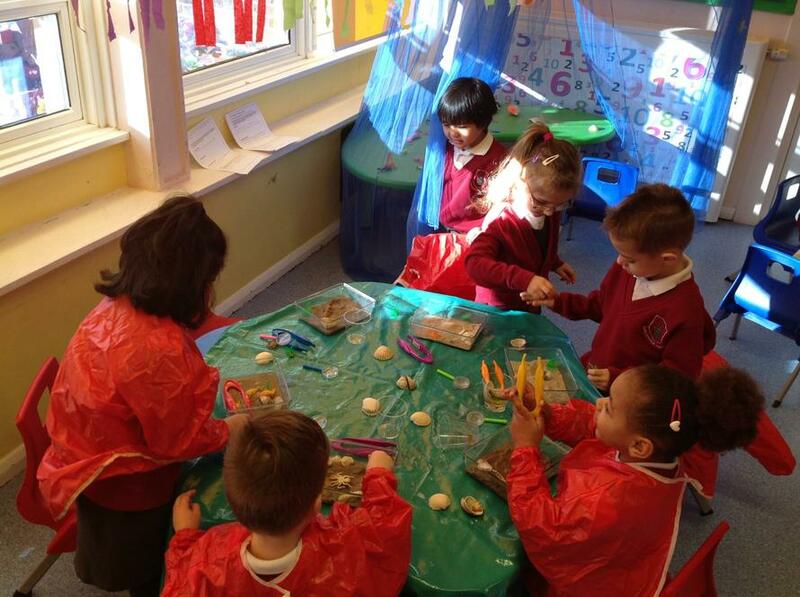 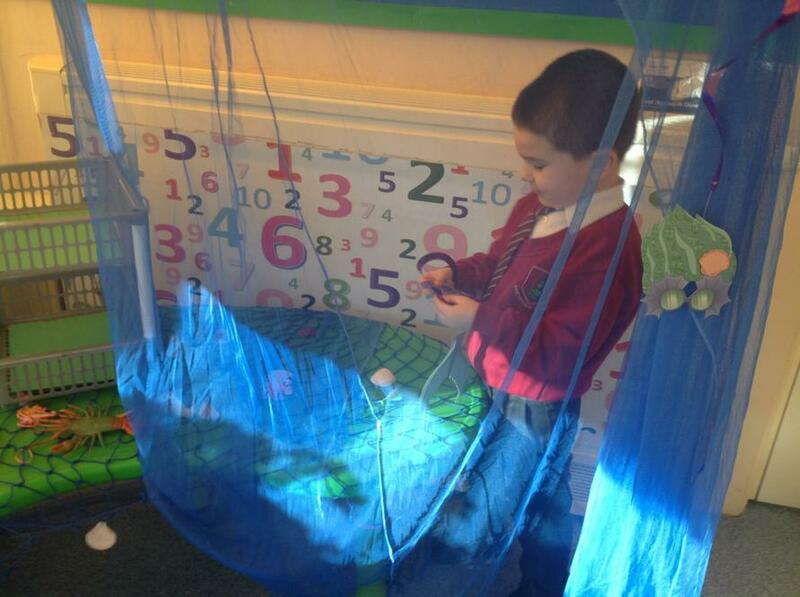 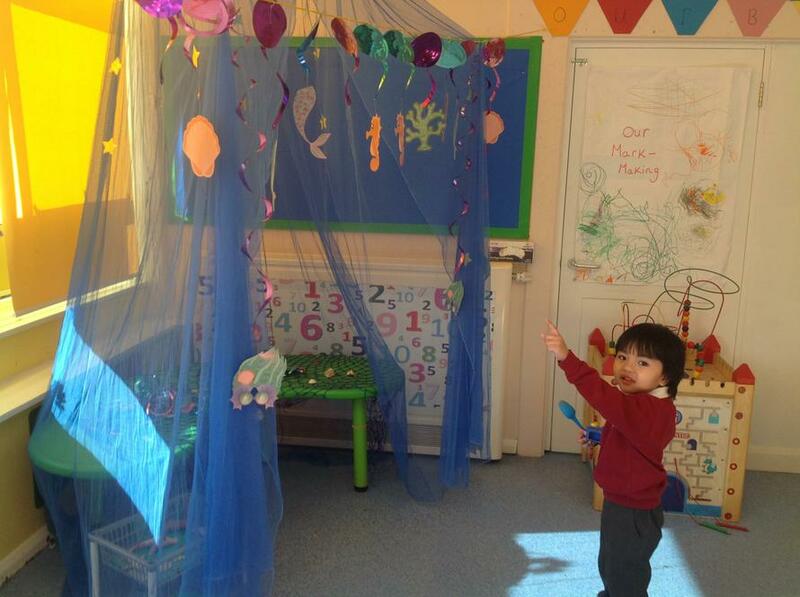 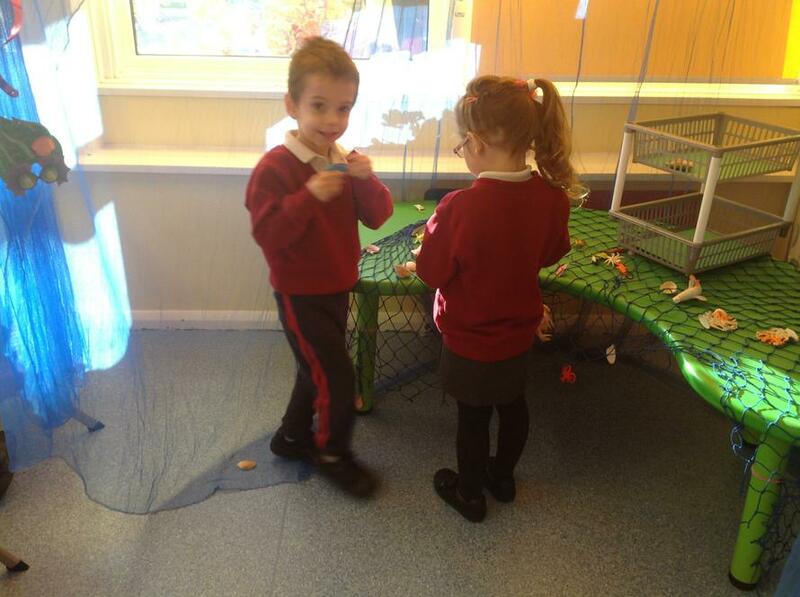 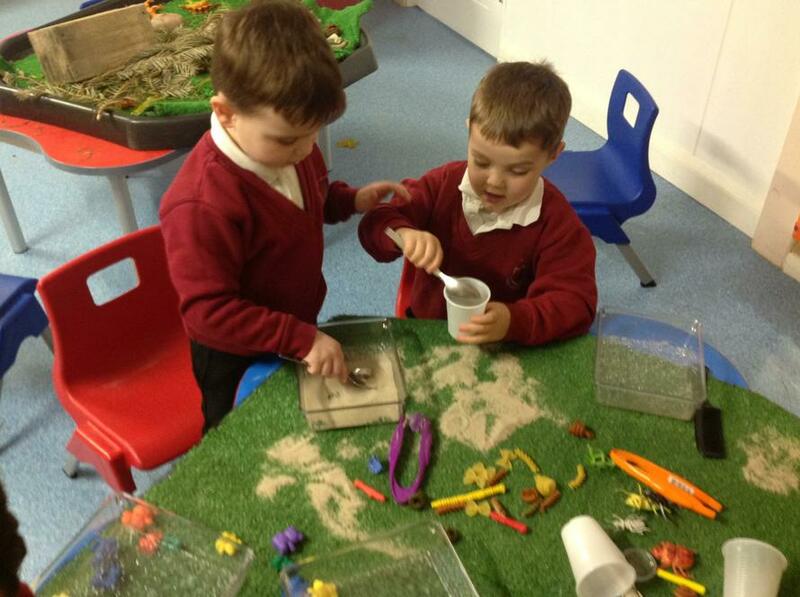 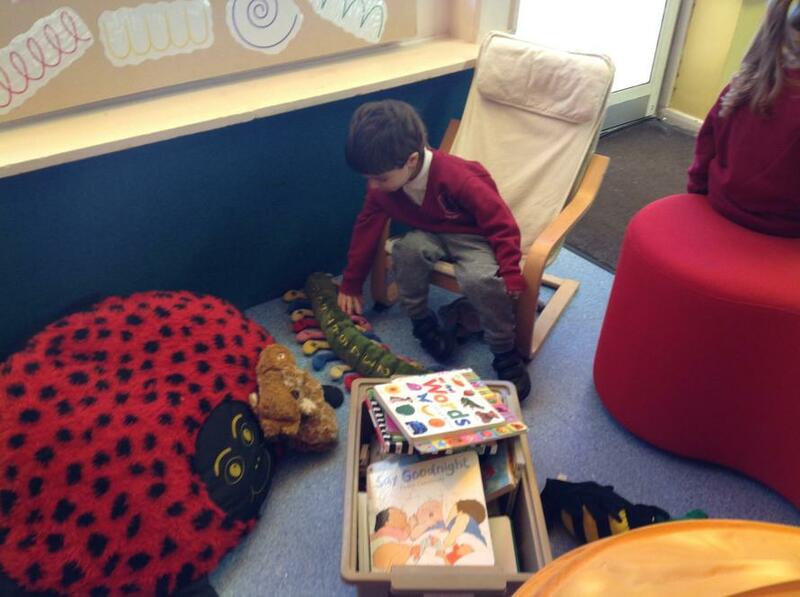 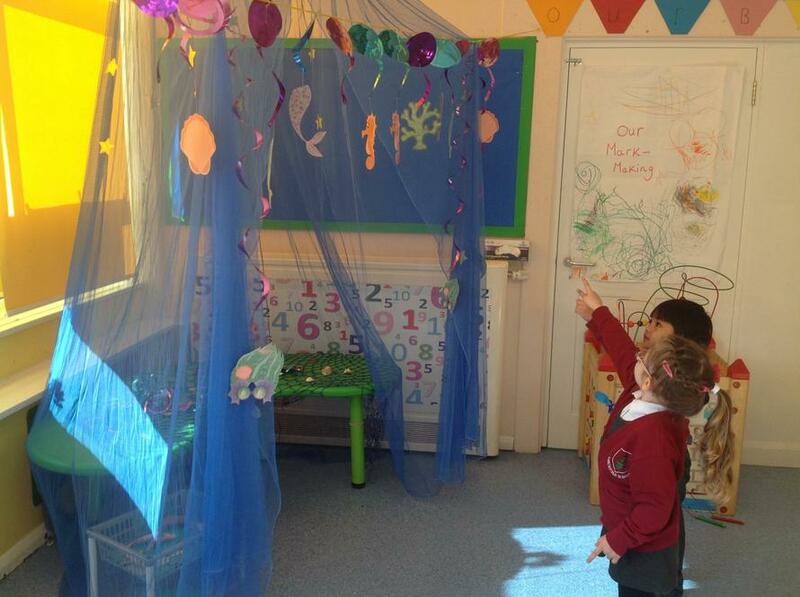 It is the start of our new topic 'Under the sea', the children have already started investigating all of the sea creatures in the Aquarian role-play area. 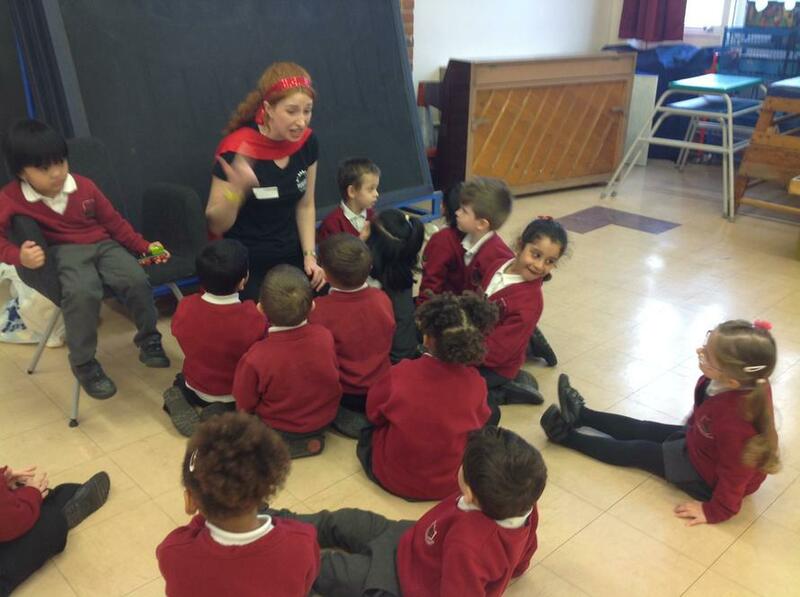 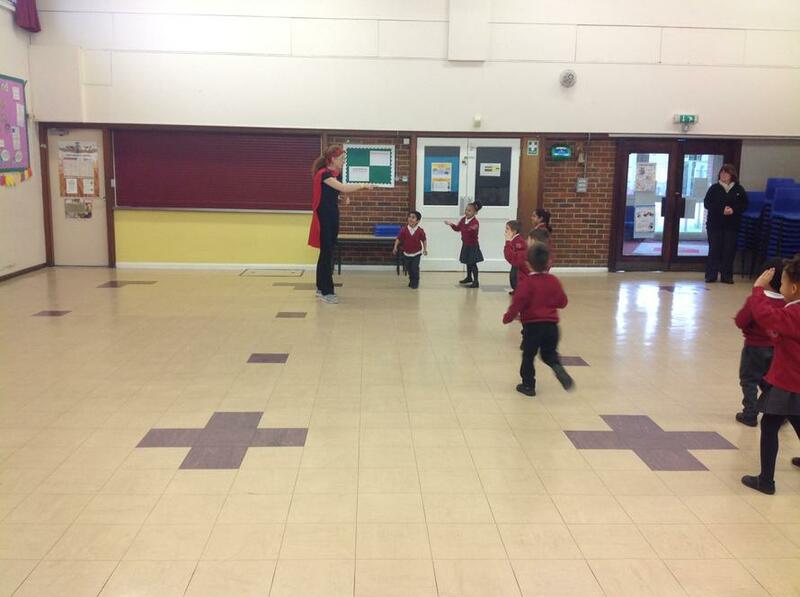 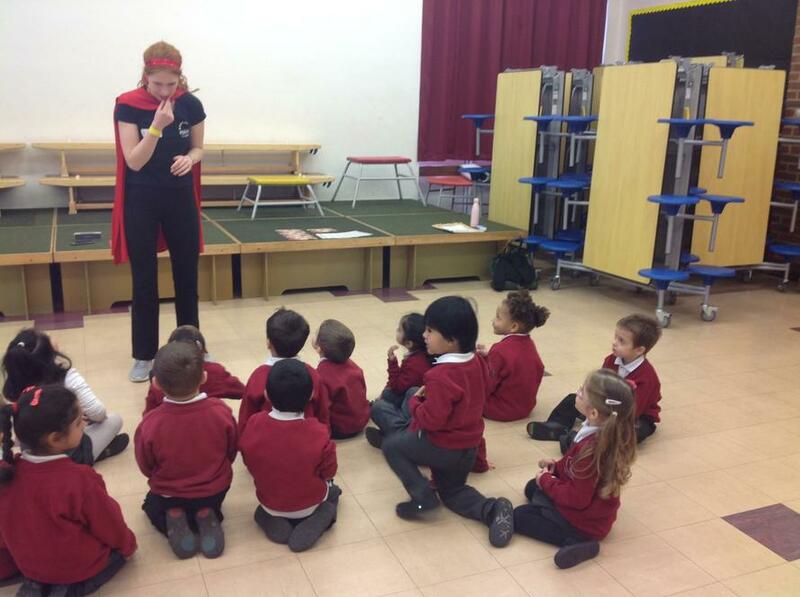 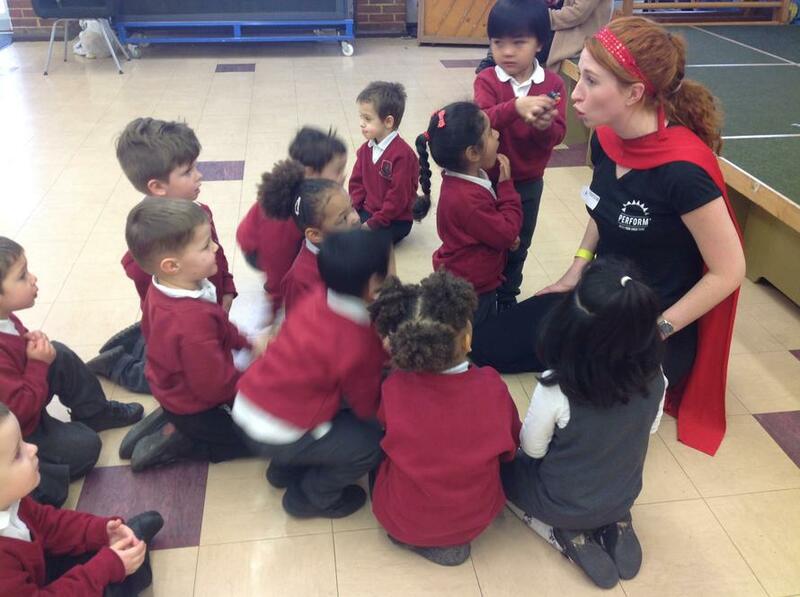 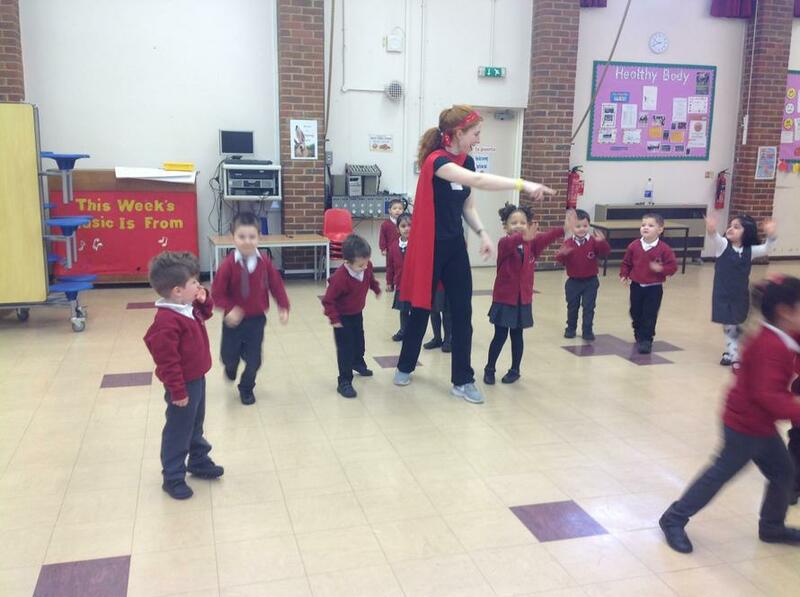 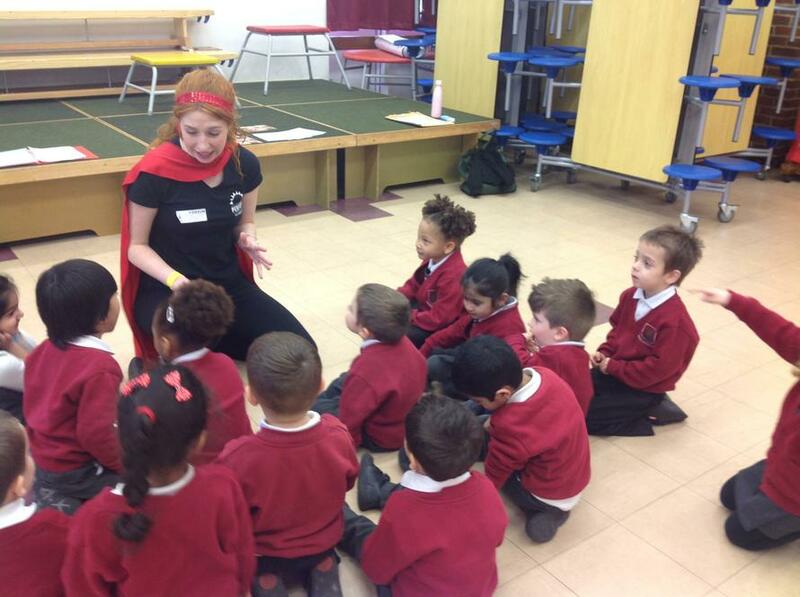 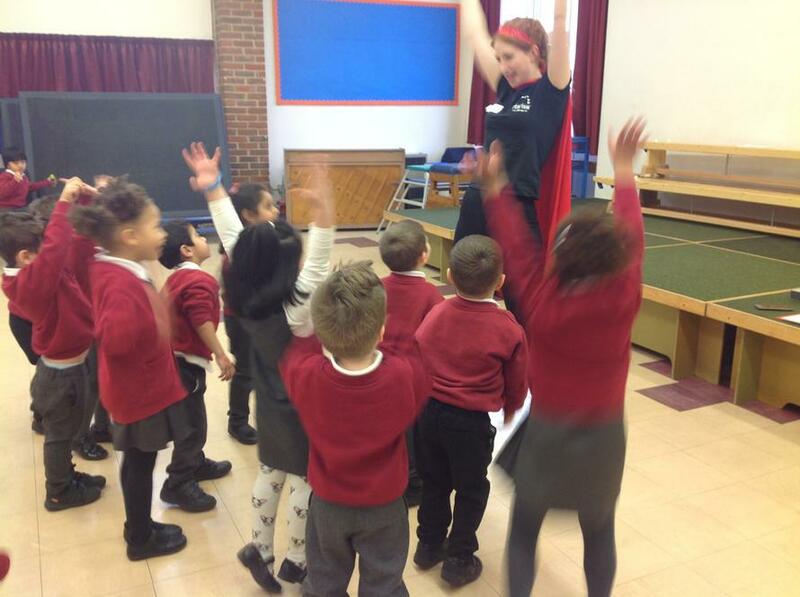 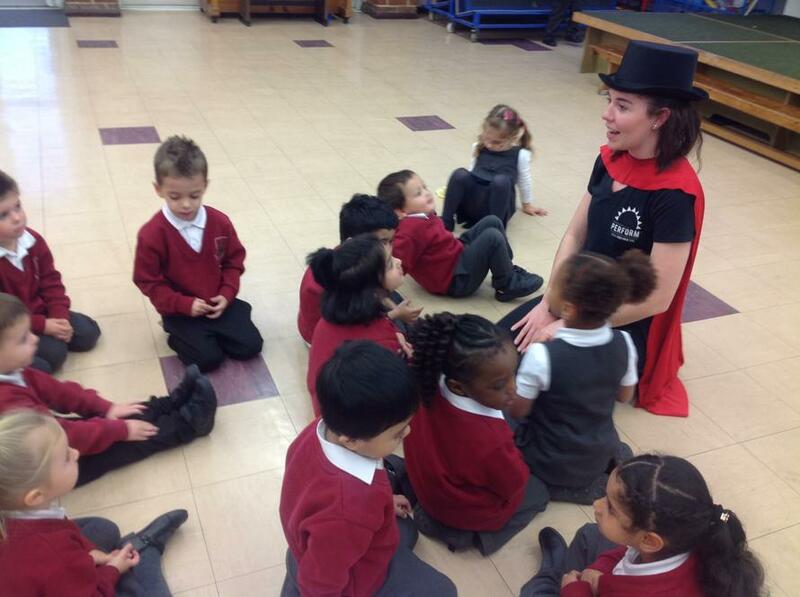 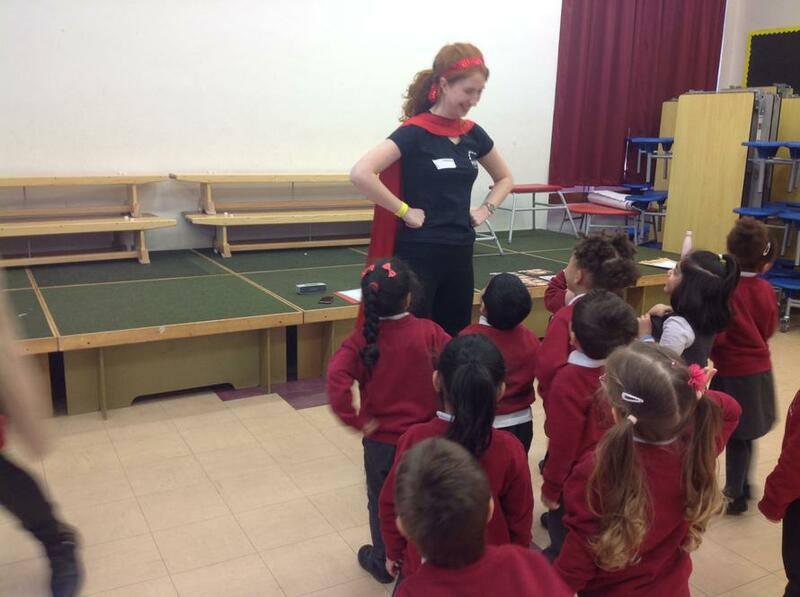 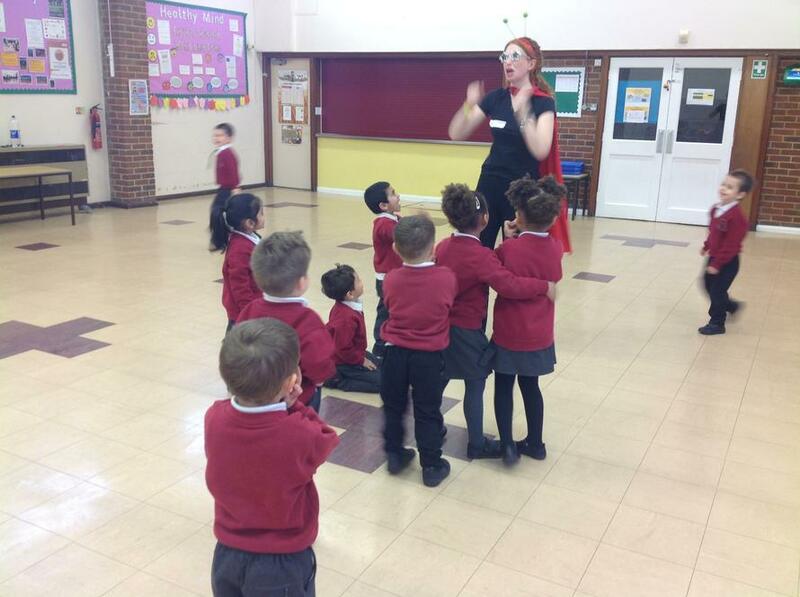 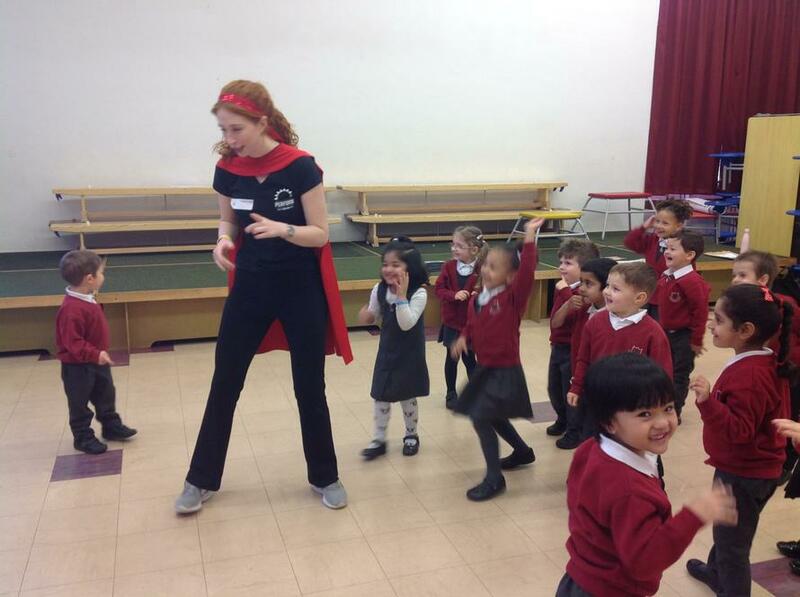 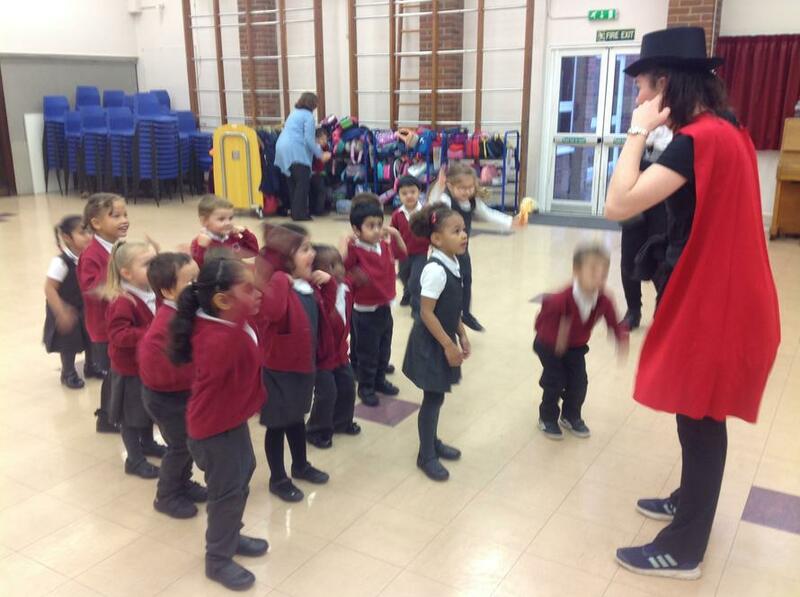 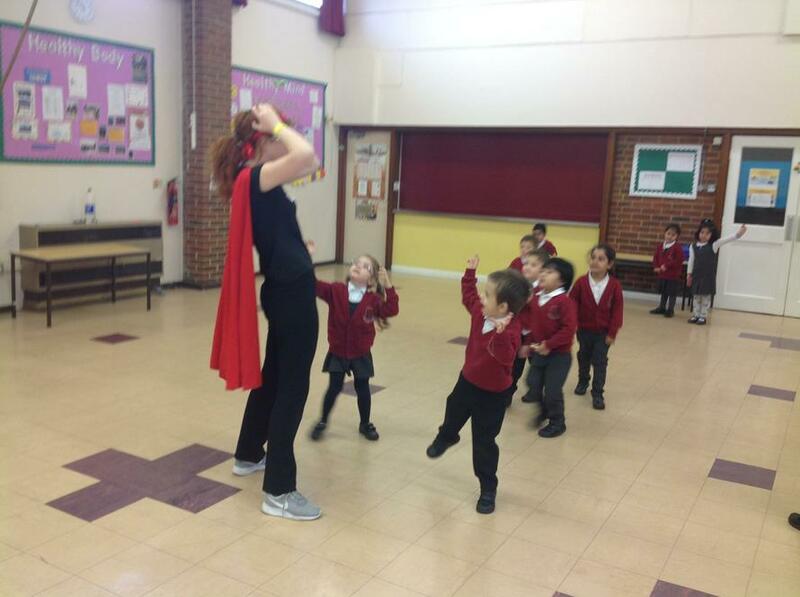 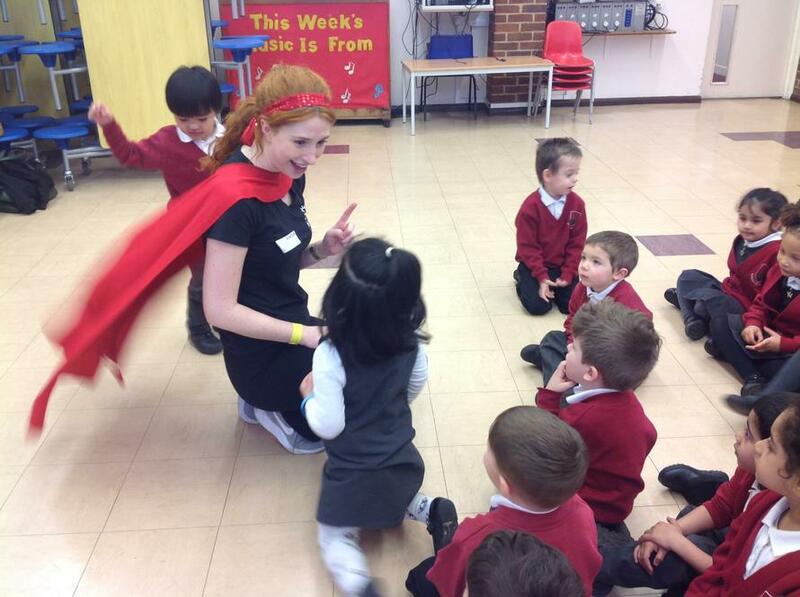 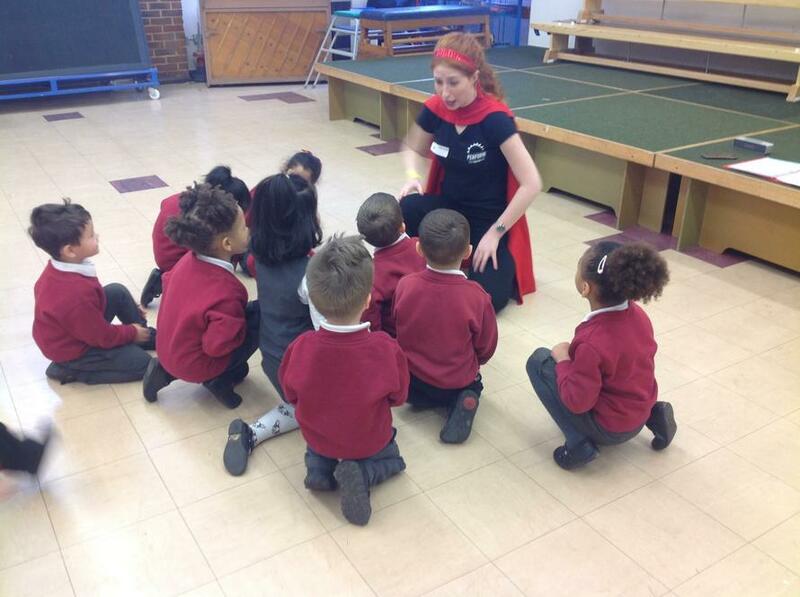 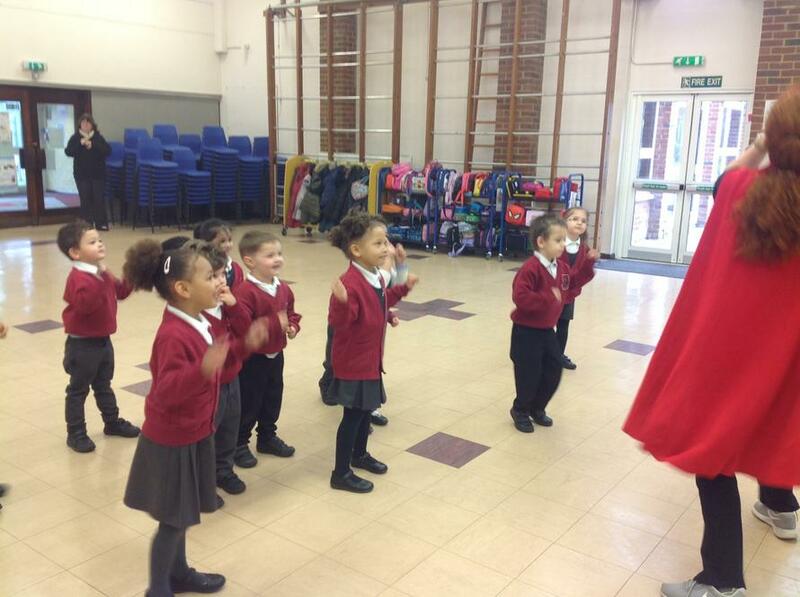 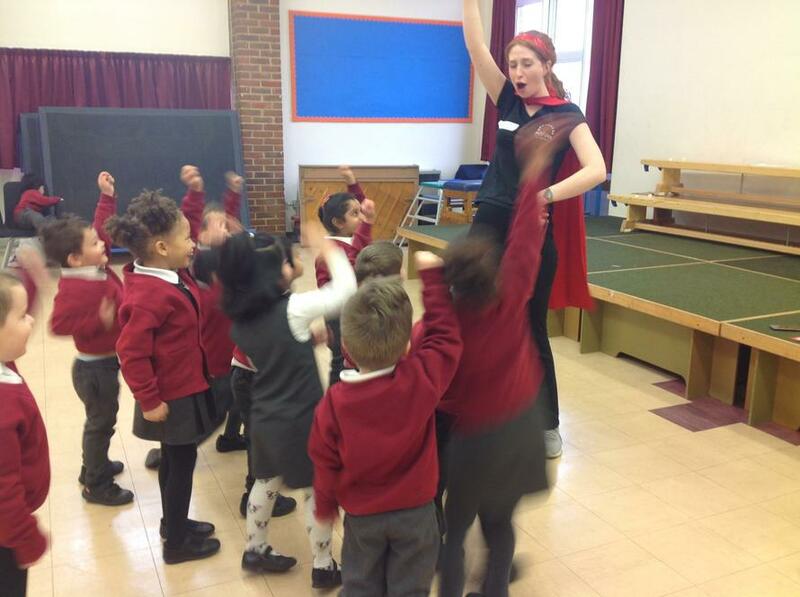 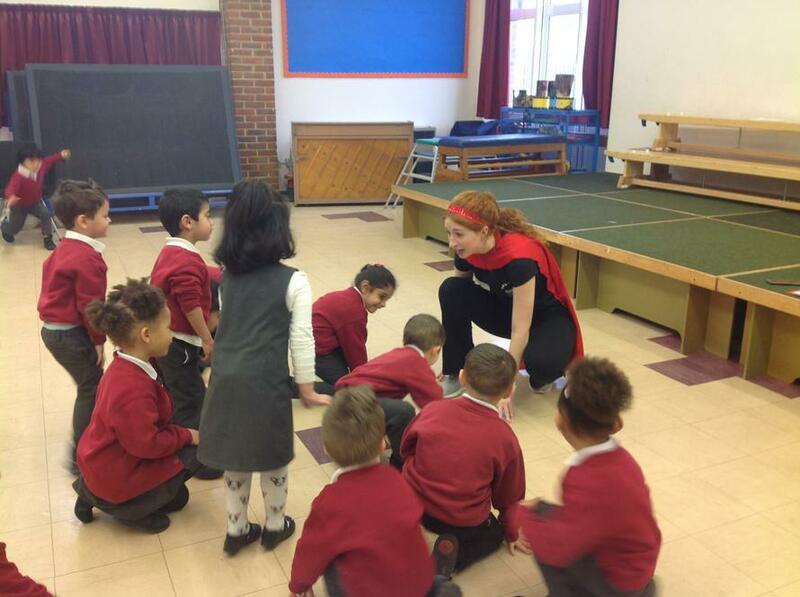 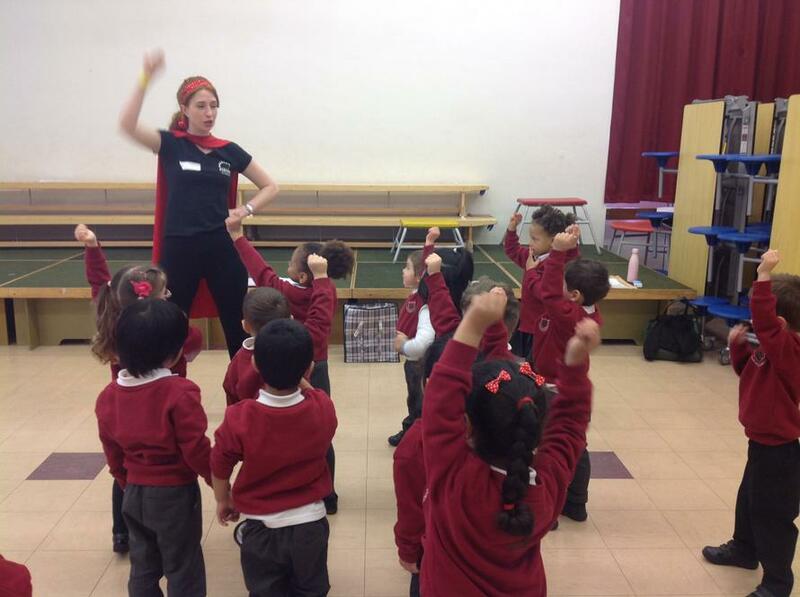 We have had the drama workshop in again and the children absolutely loved being superheroes! 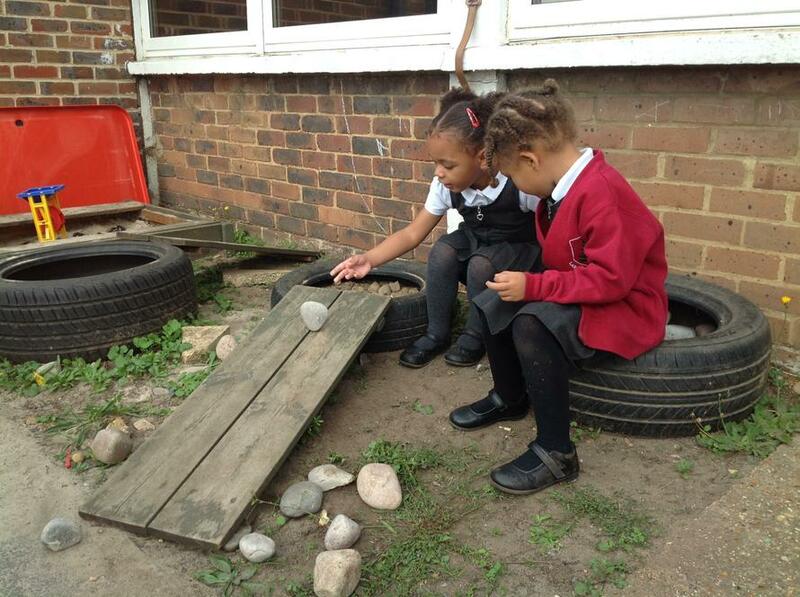 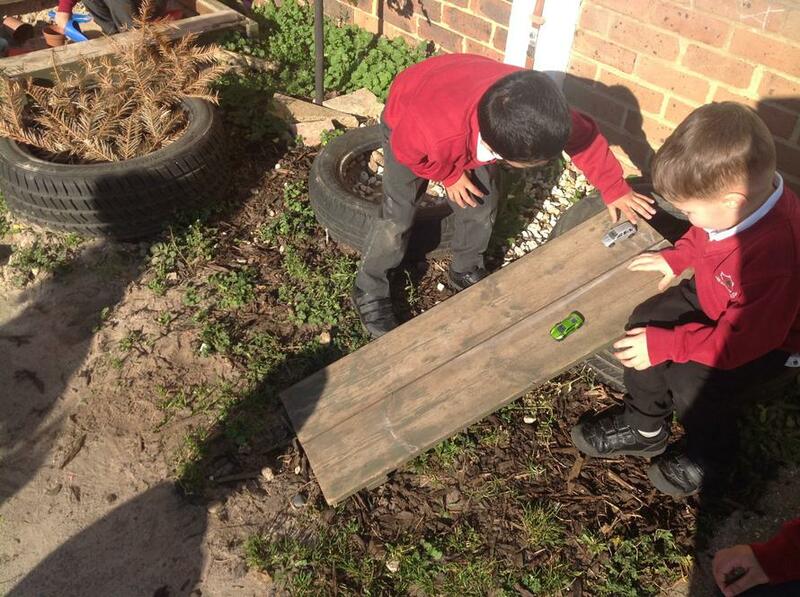 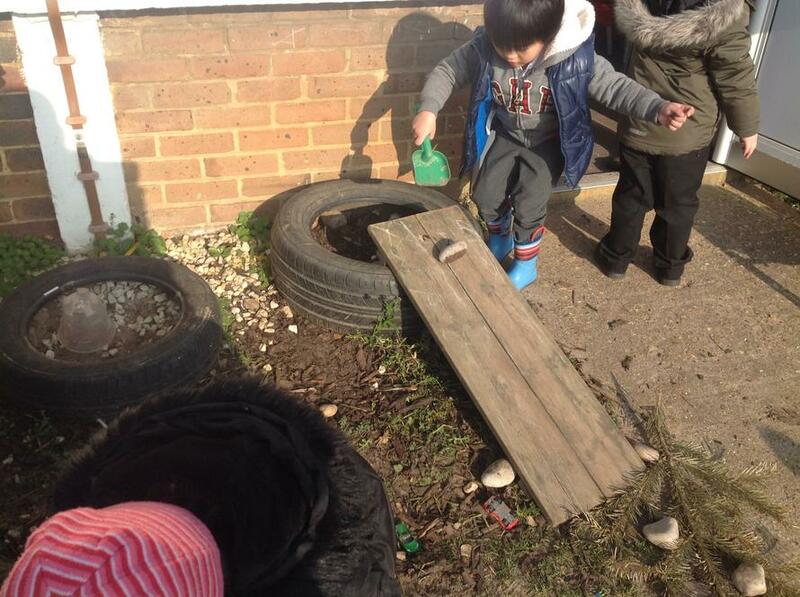 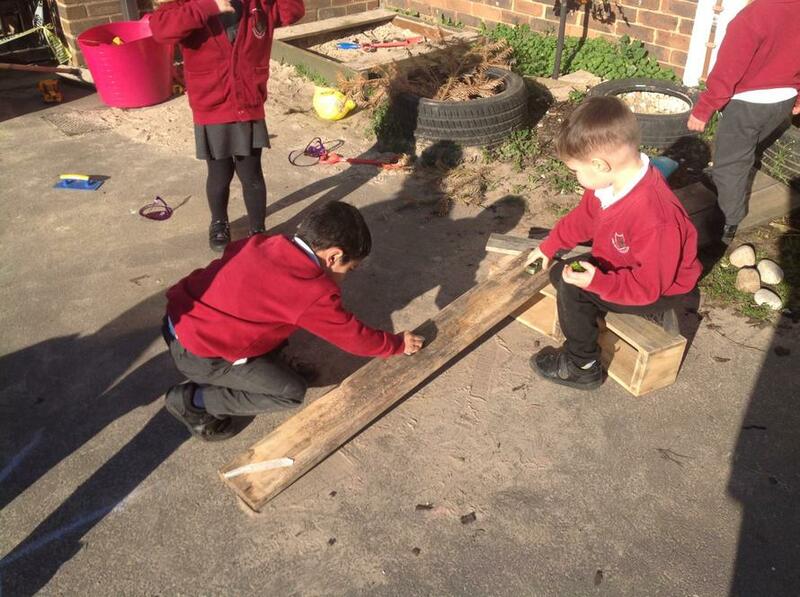 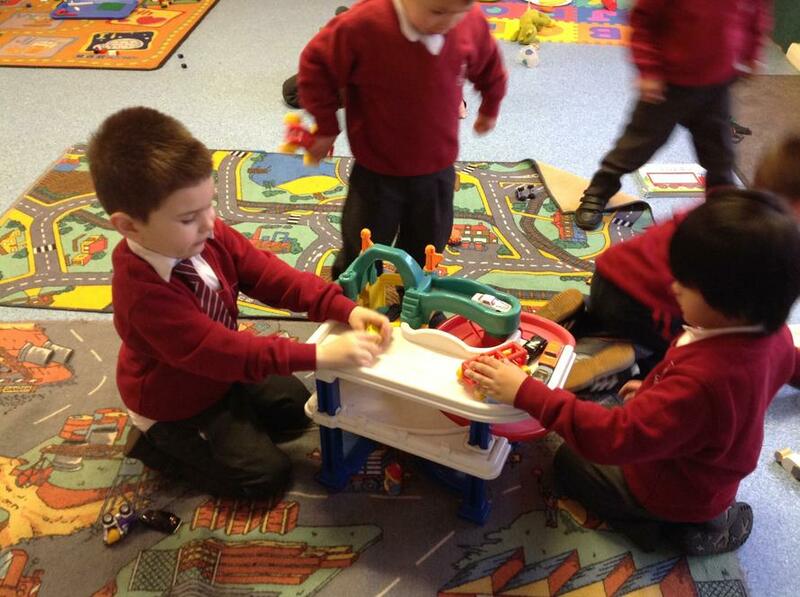 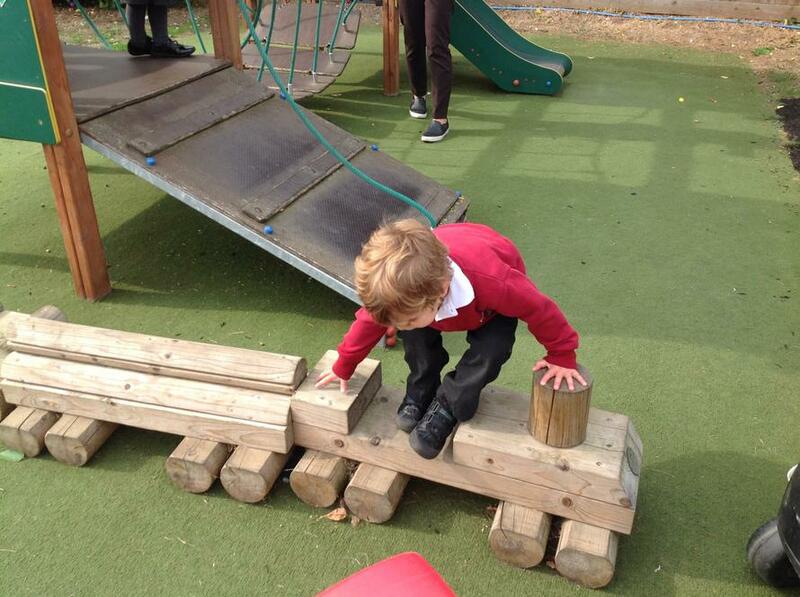 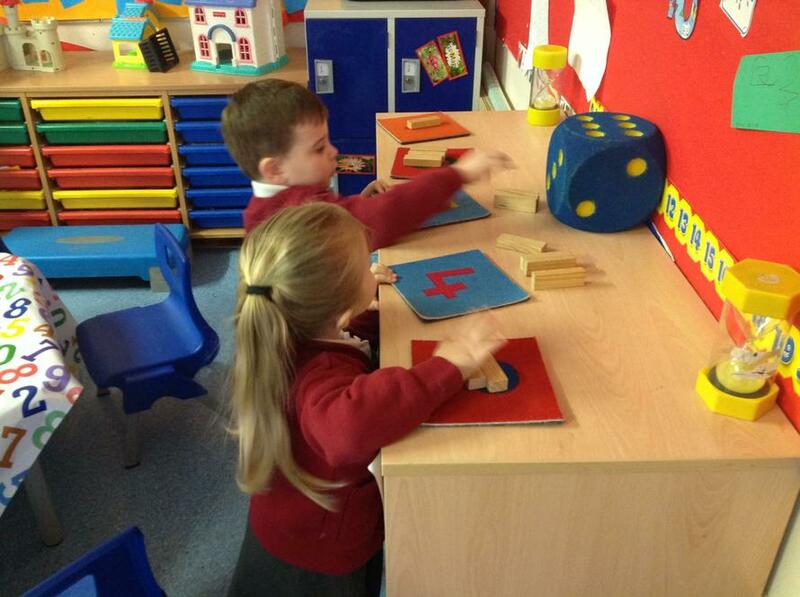 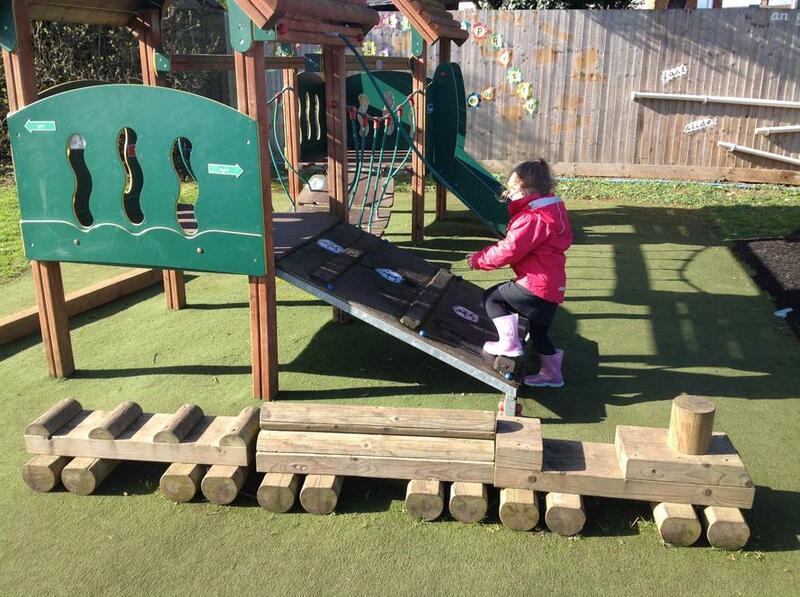 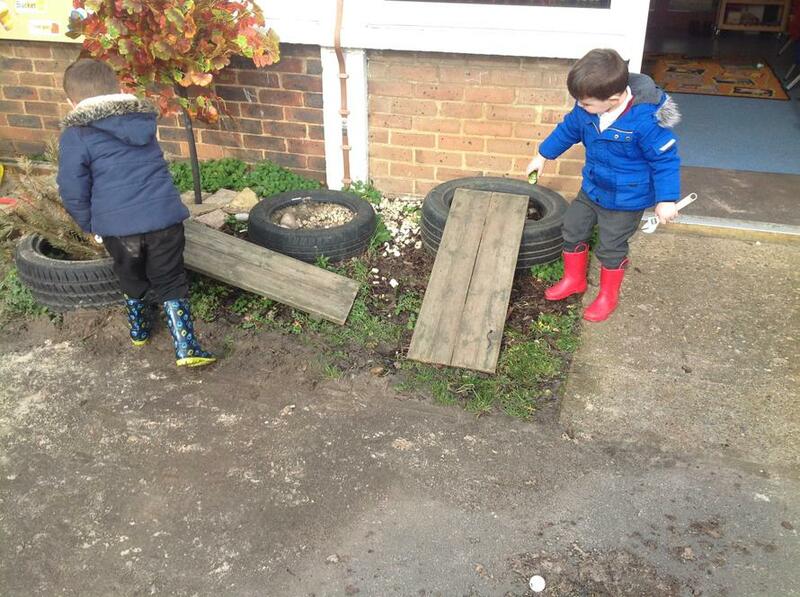 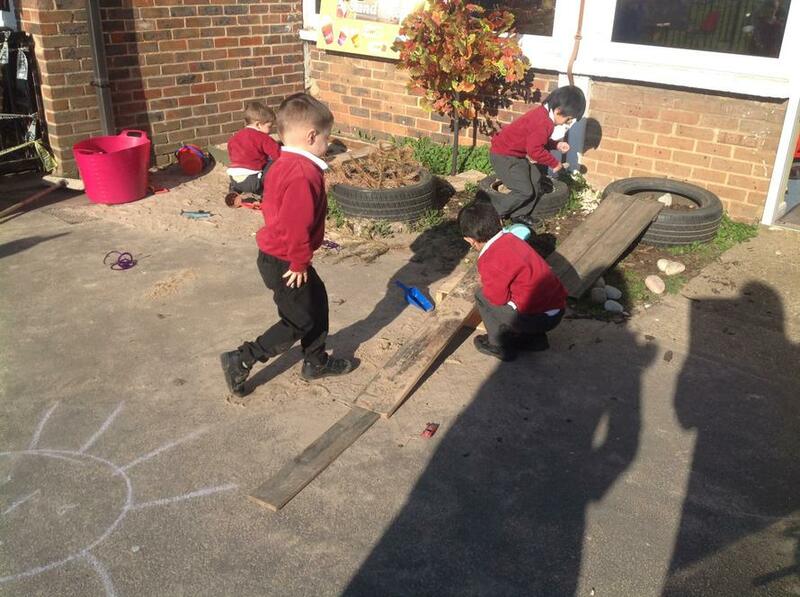 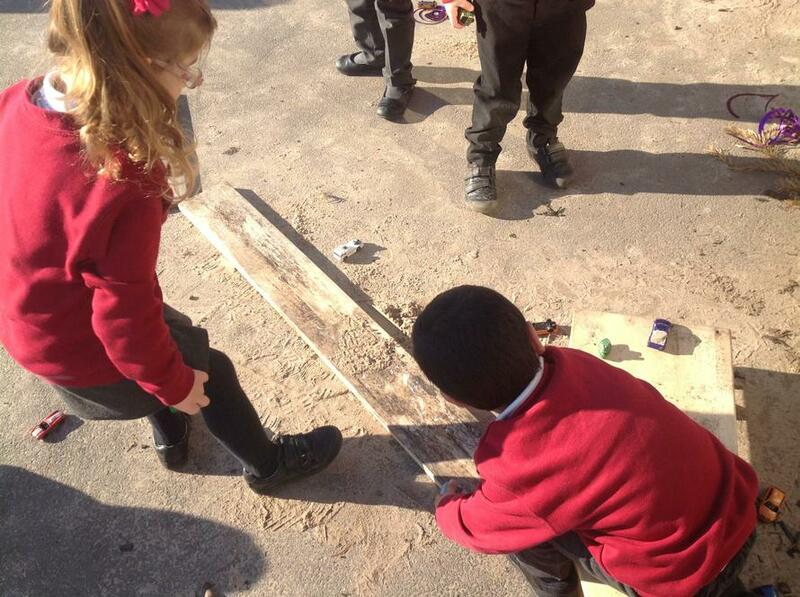 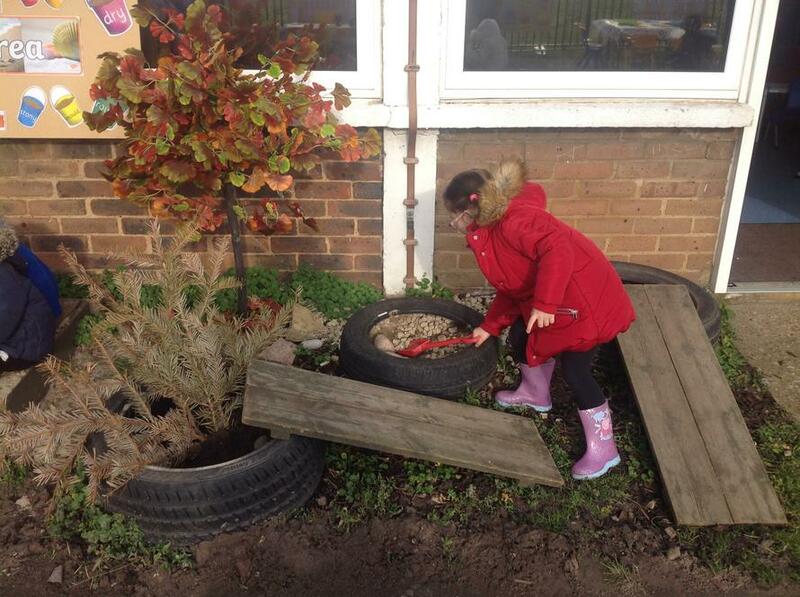 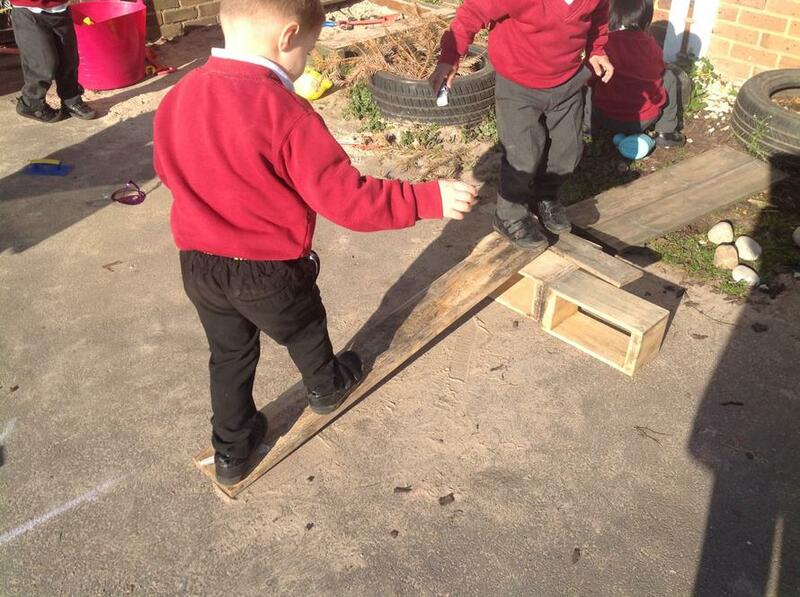 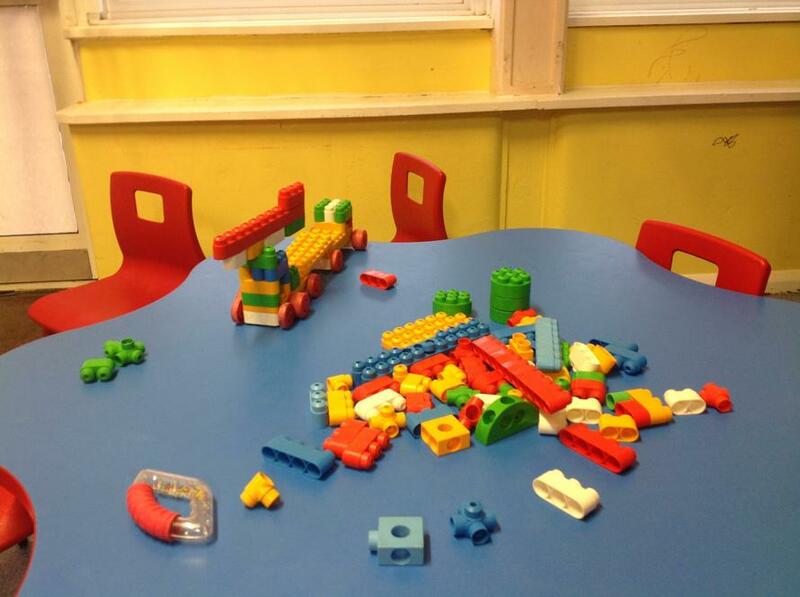 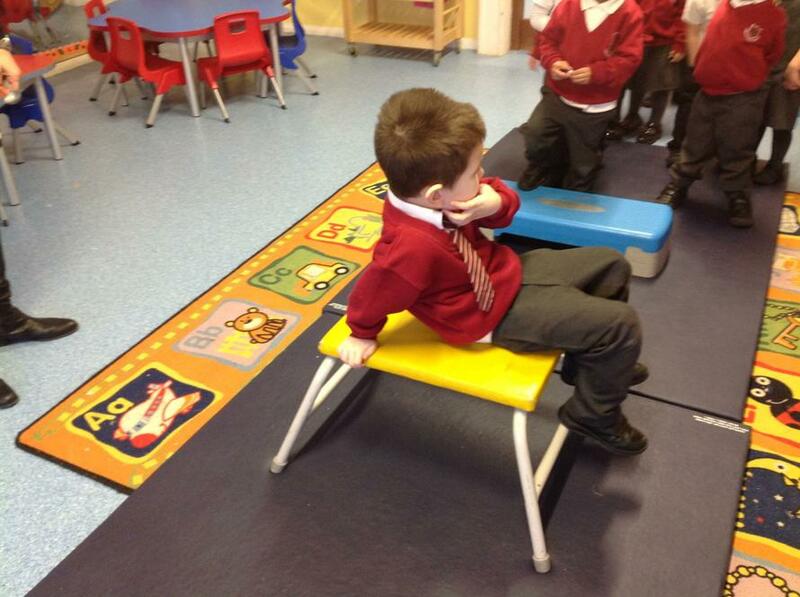 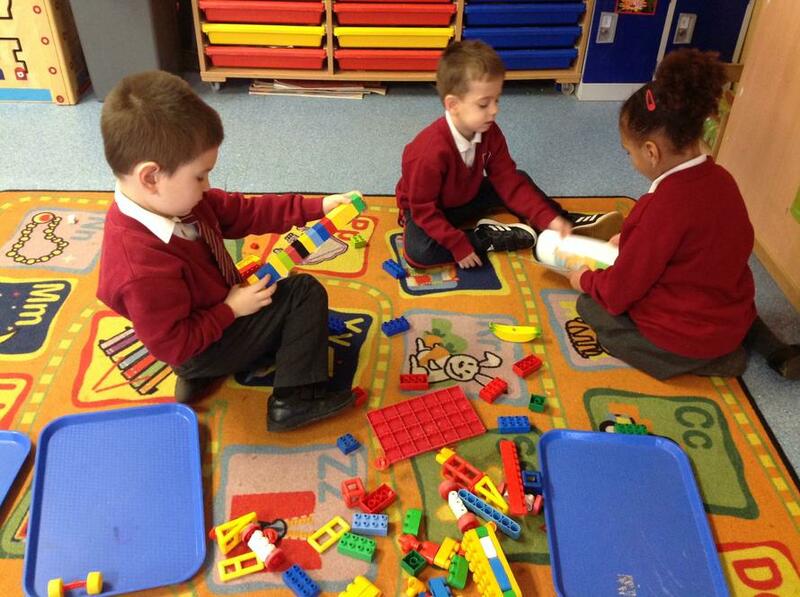 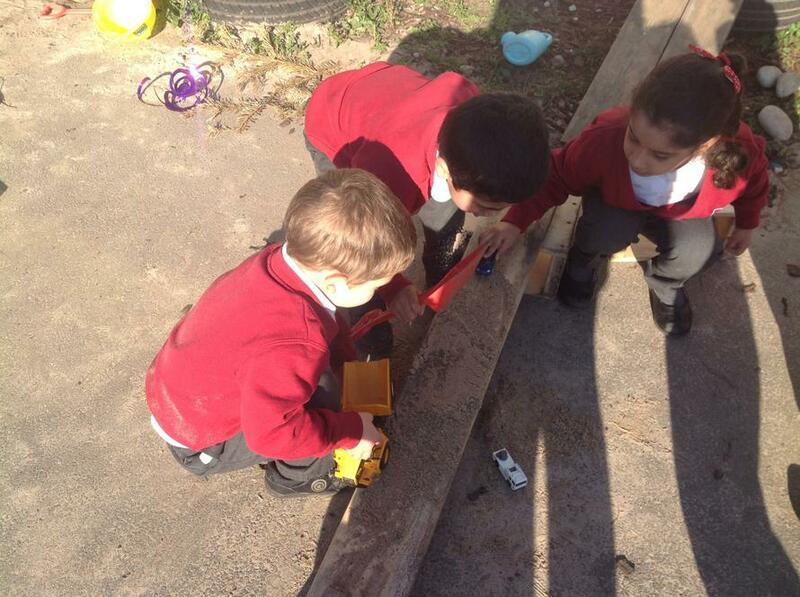 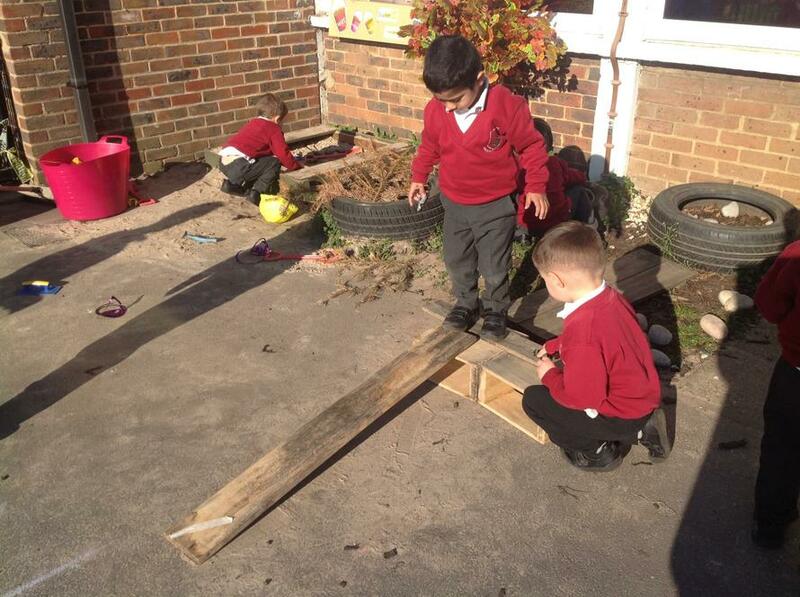 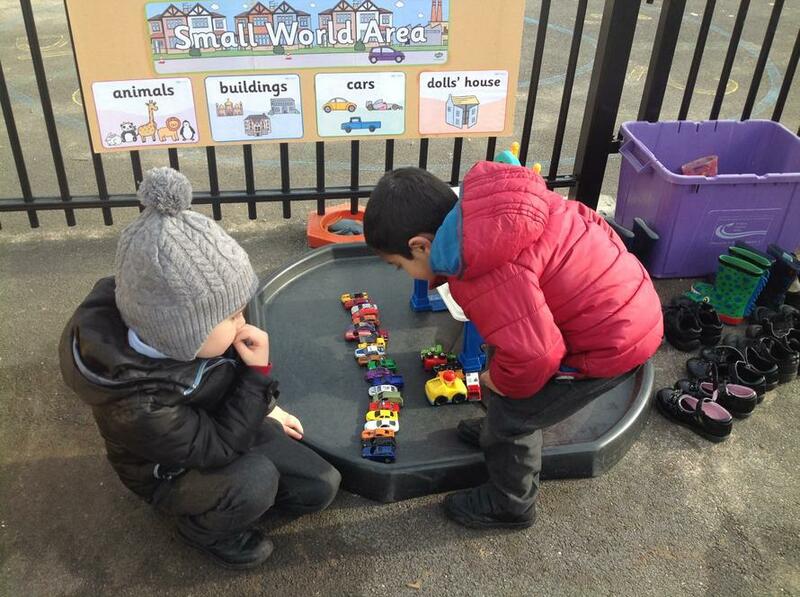 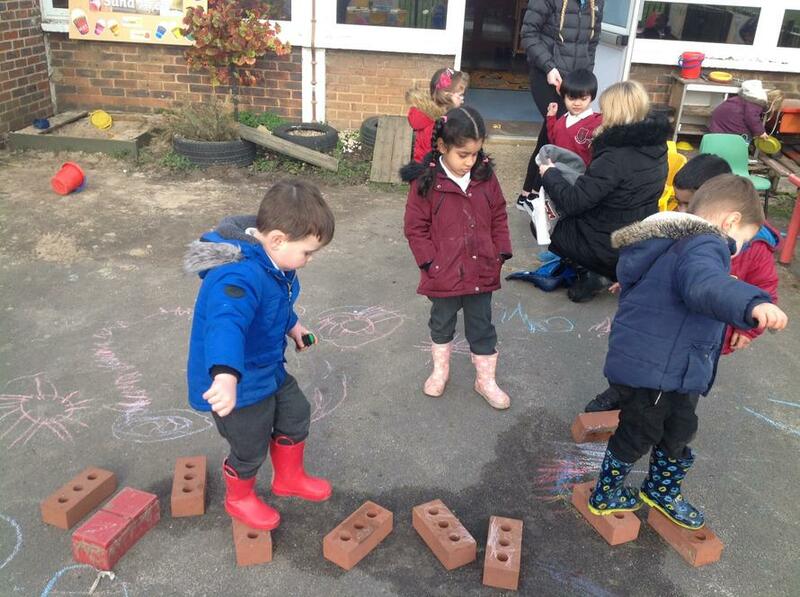 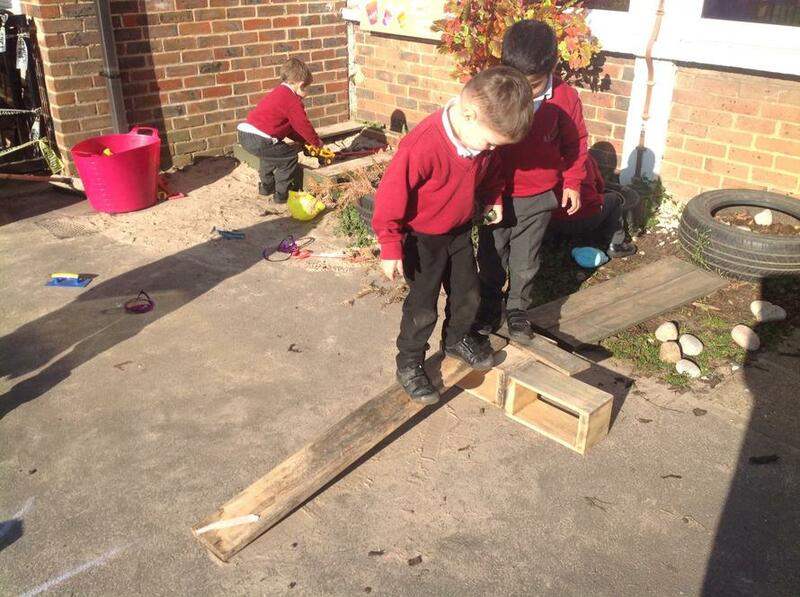 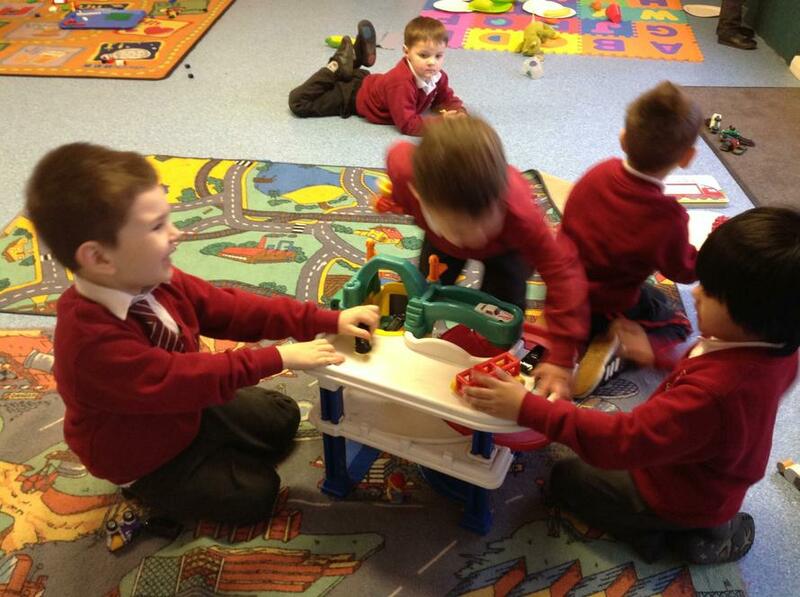 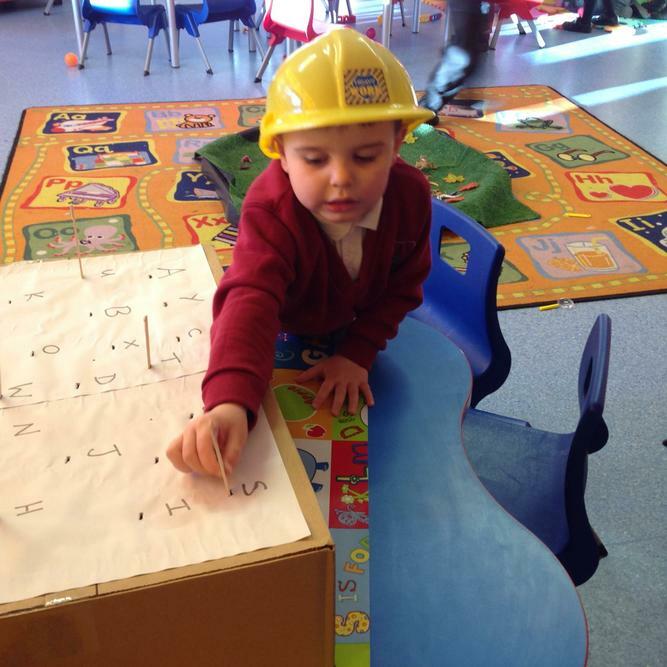 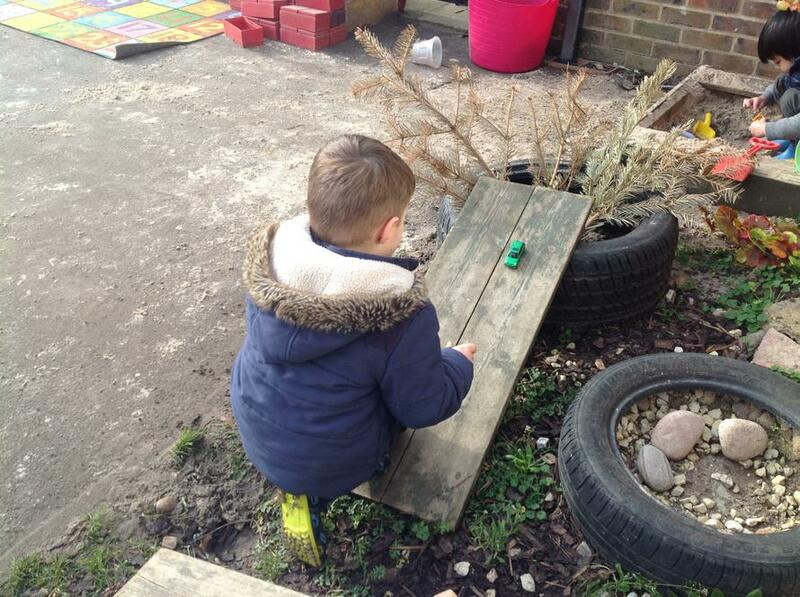 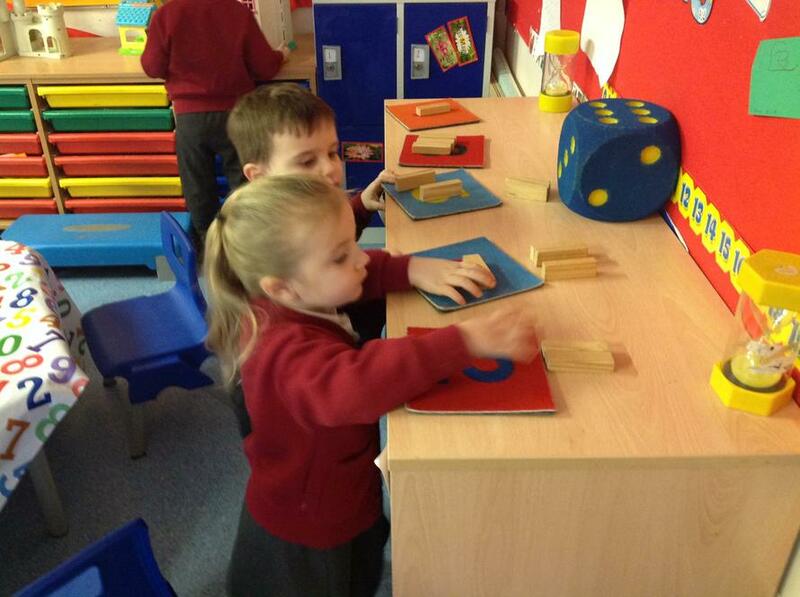 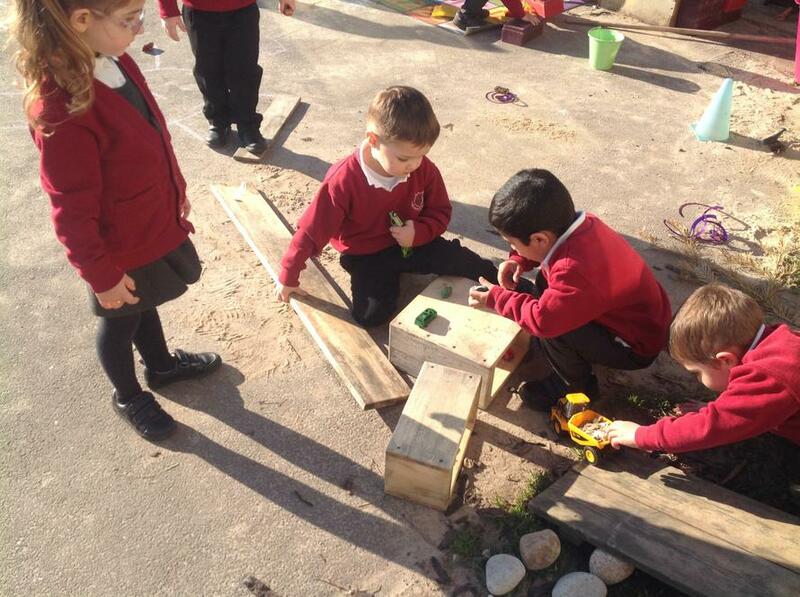 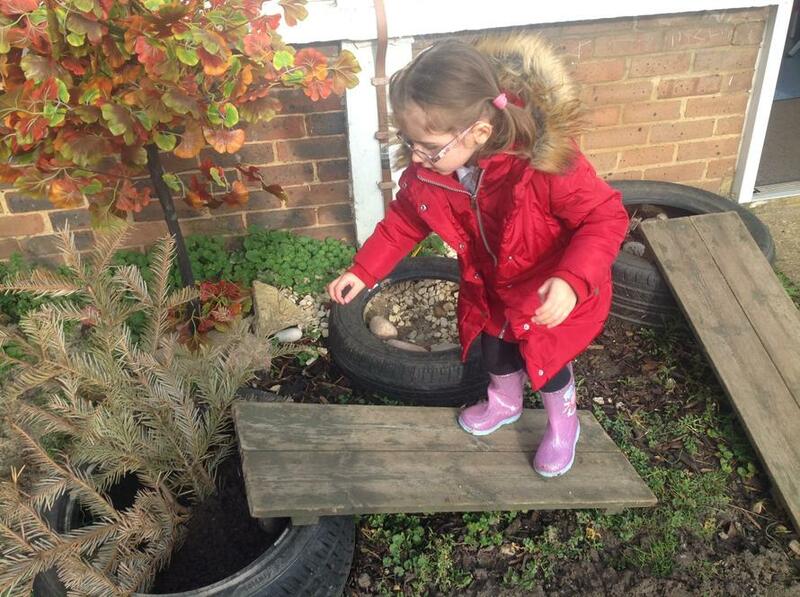 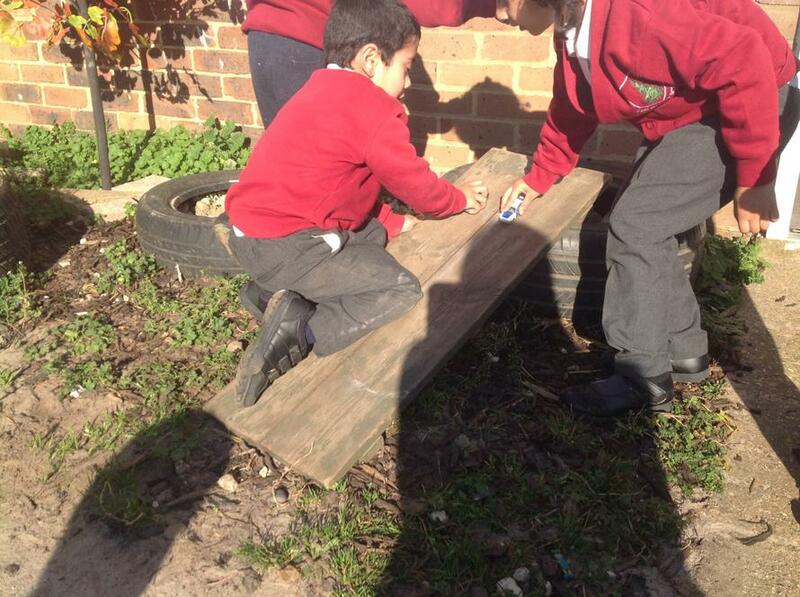 The children have been getting creative with building ramps for their cars. 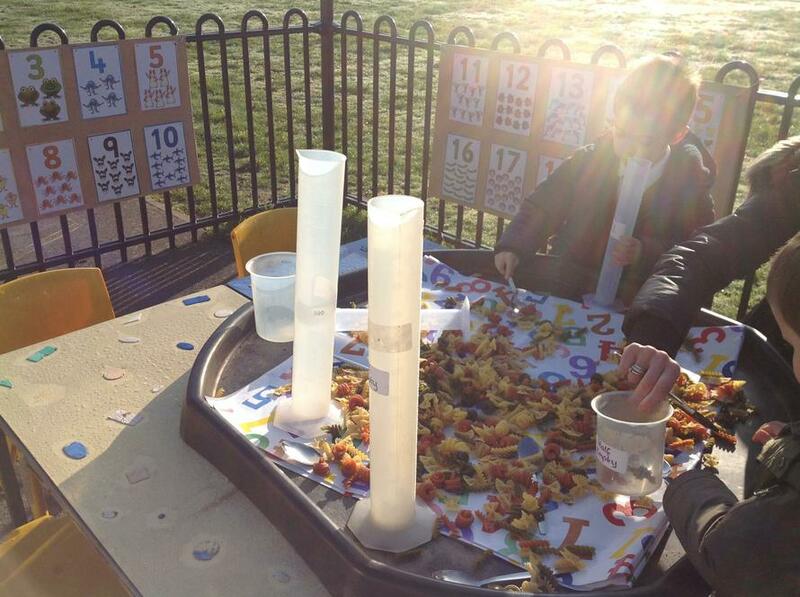 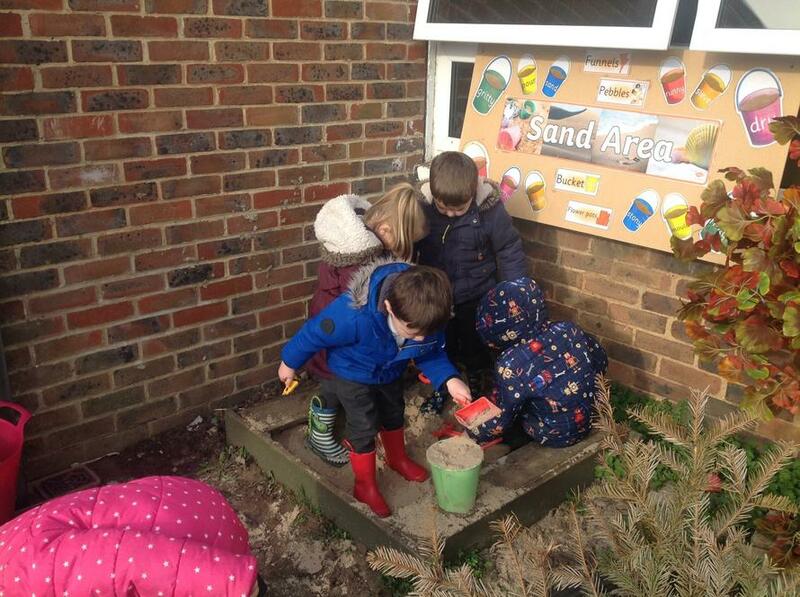 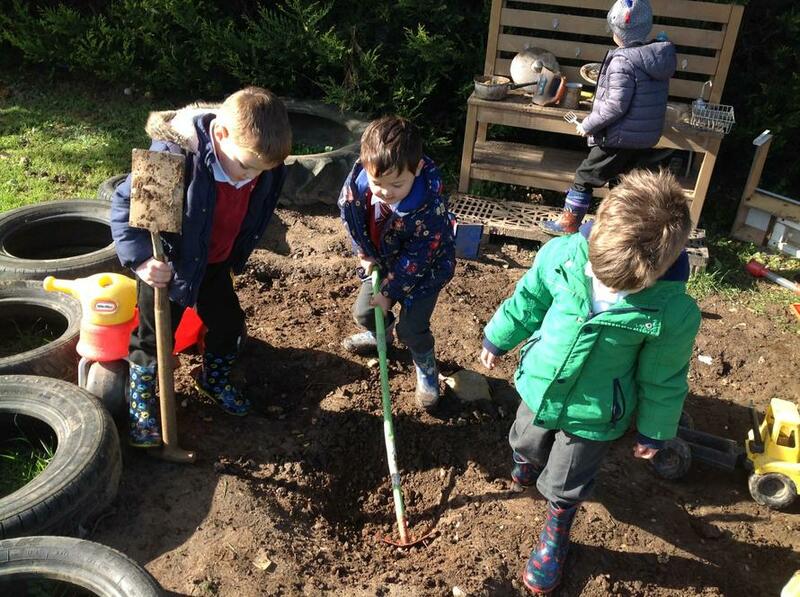 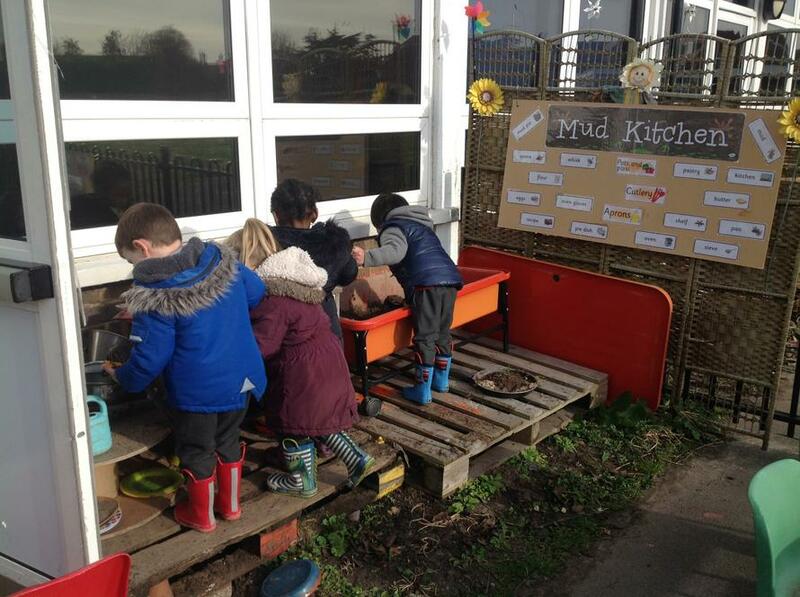 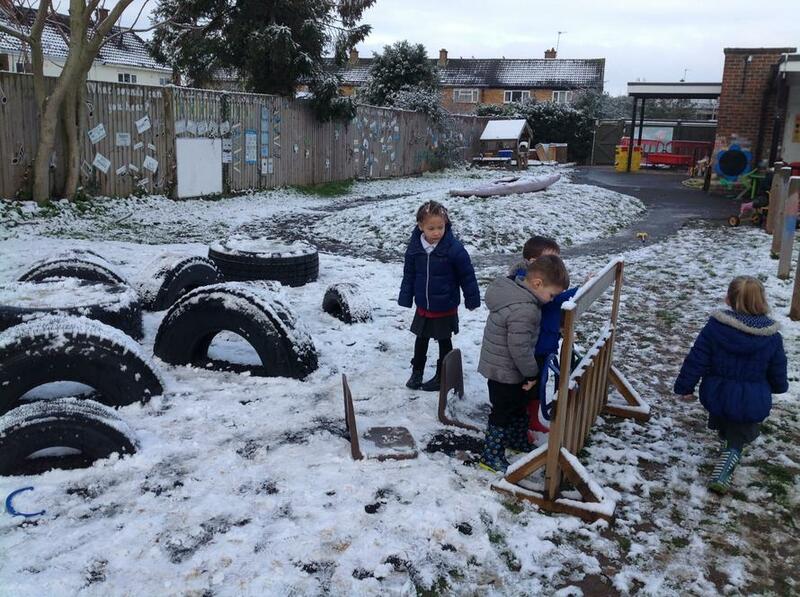 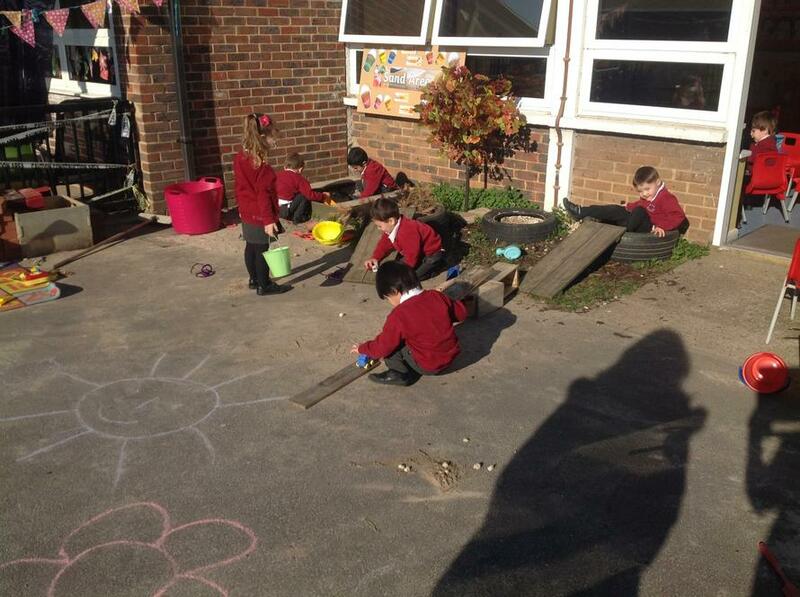 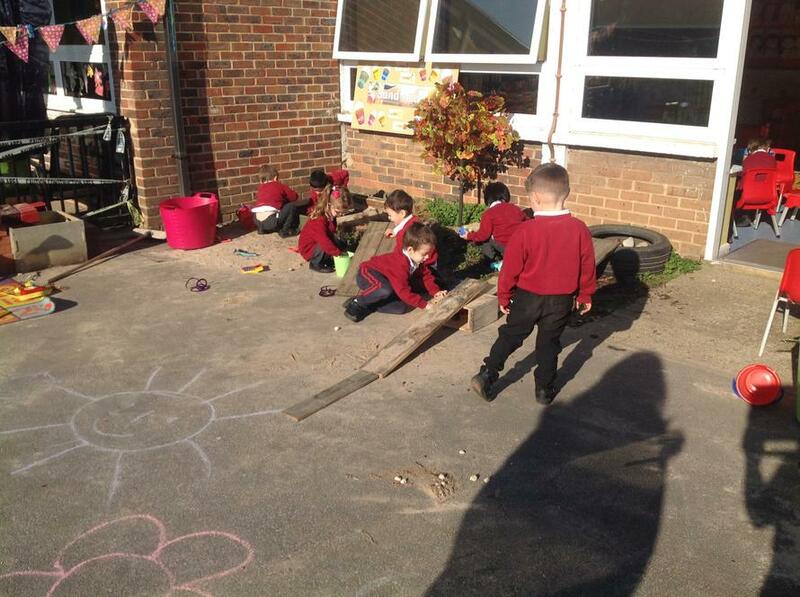 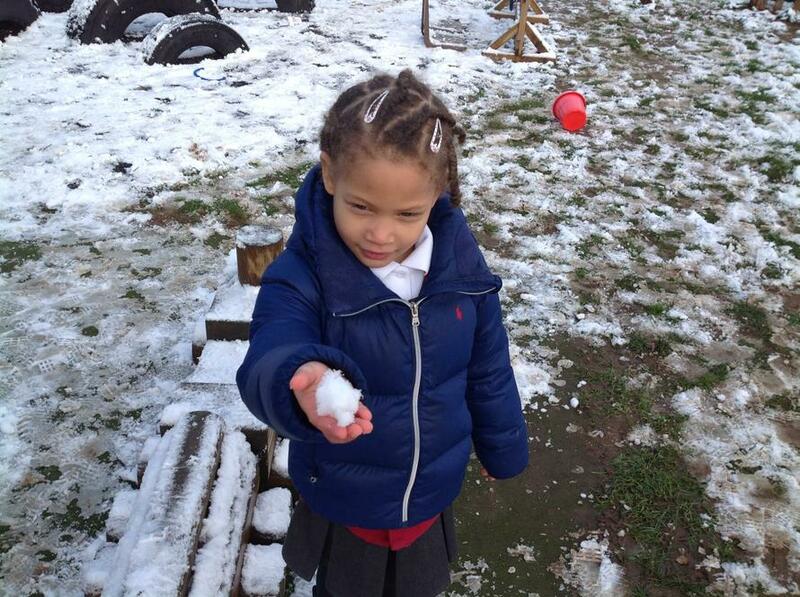 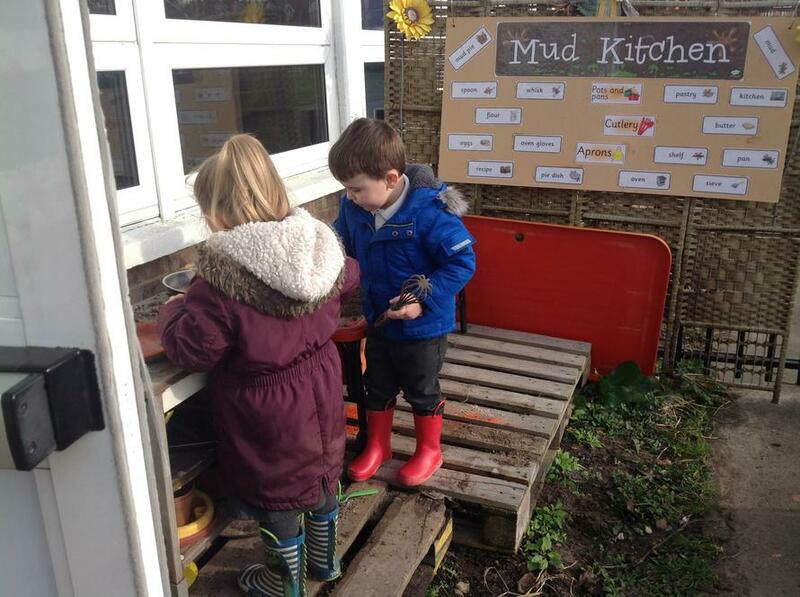 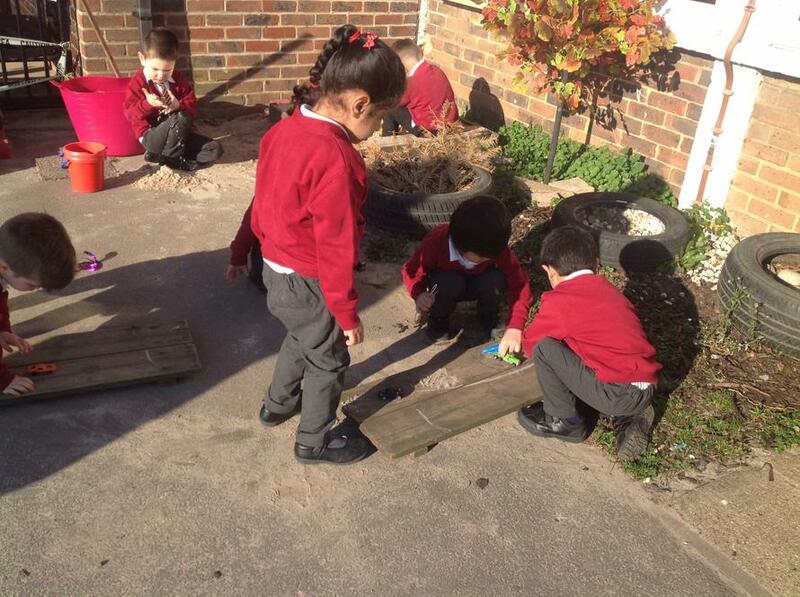 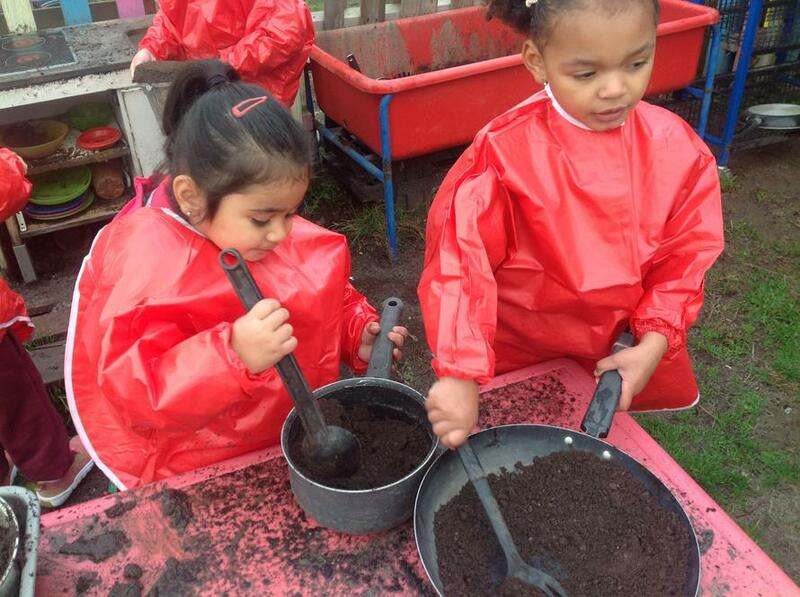 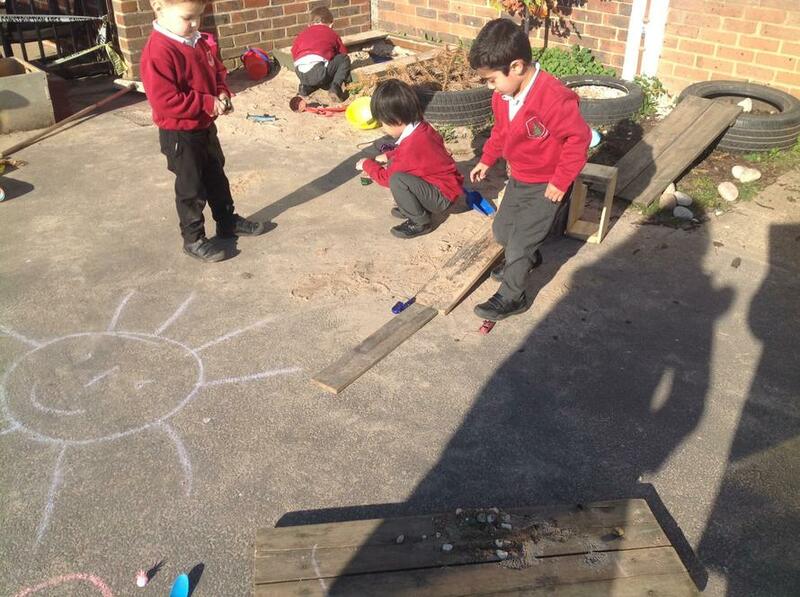 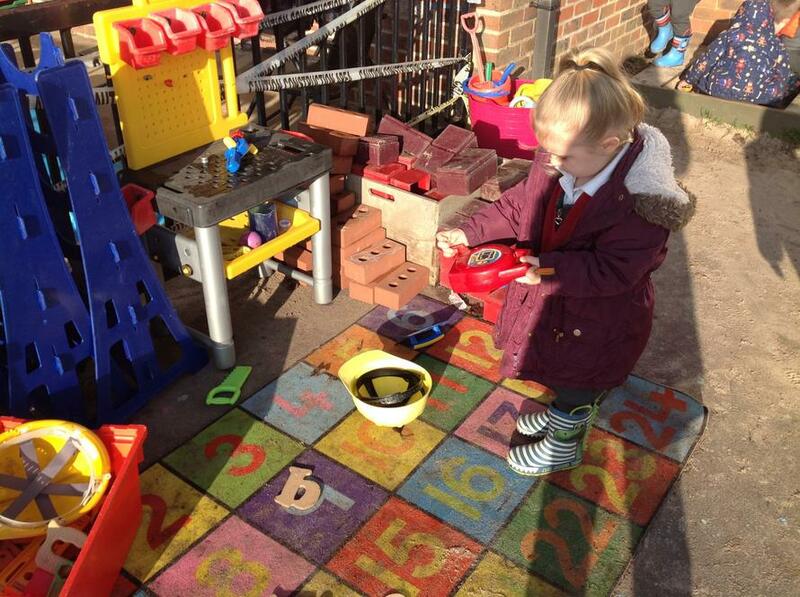 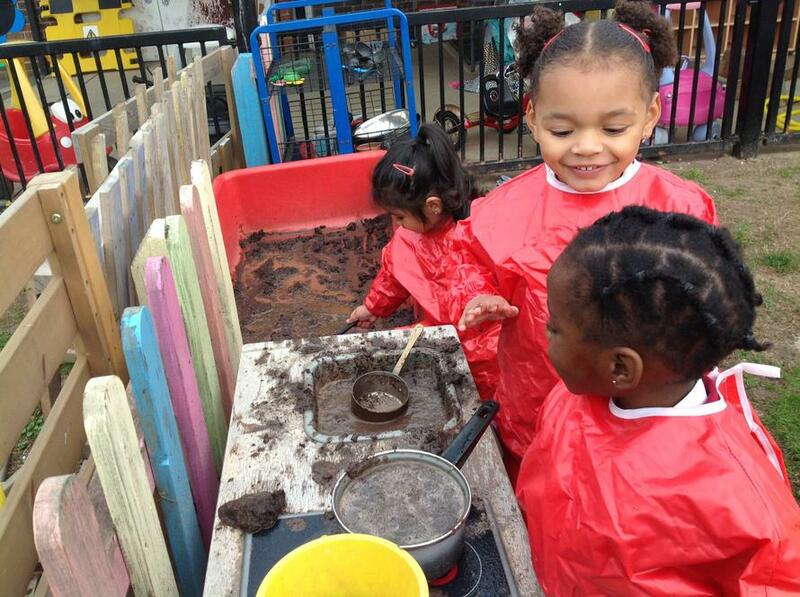 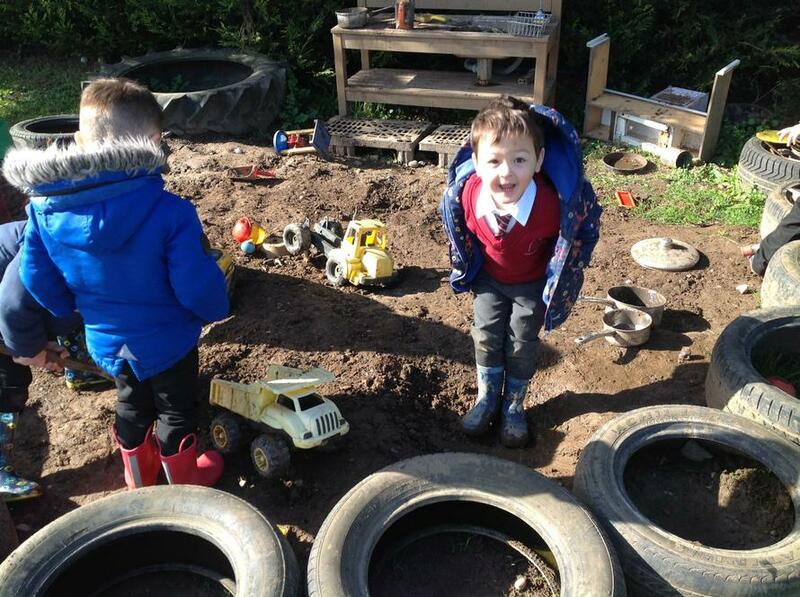 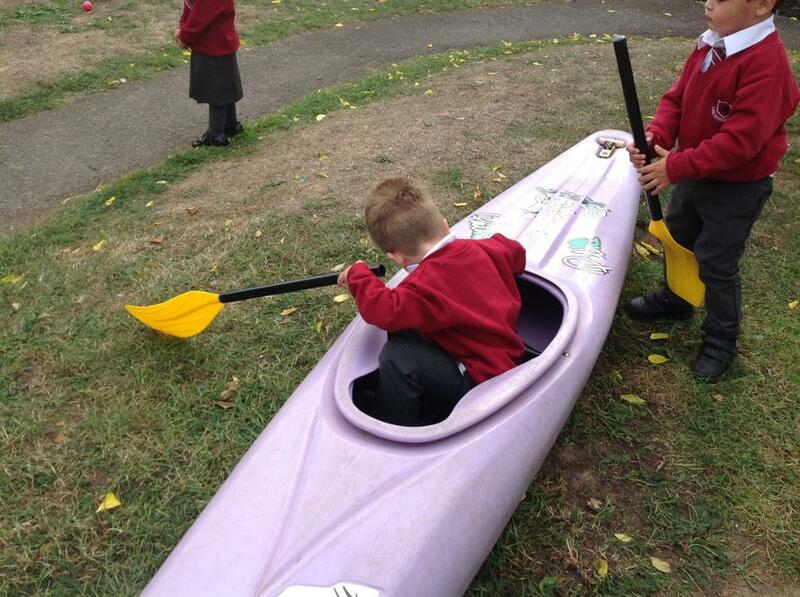 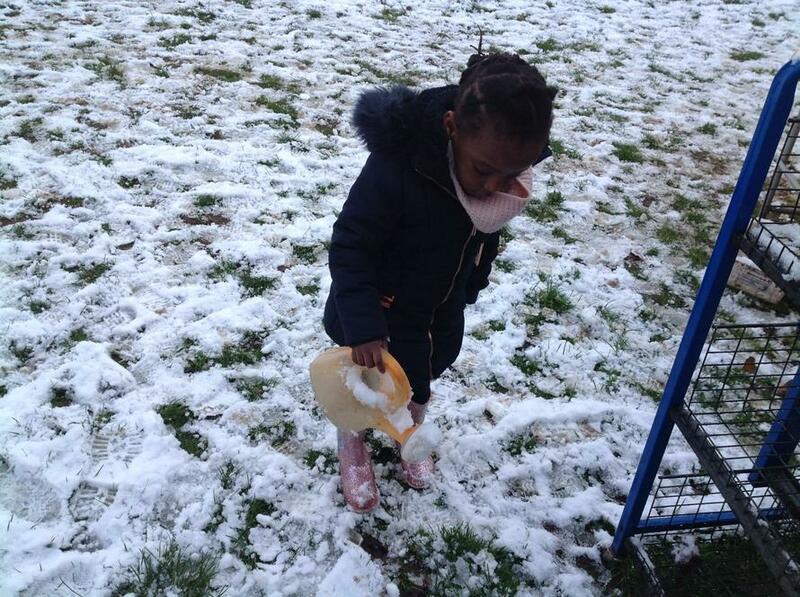 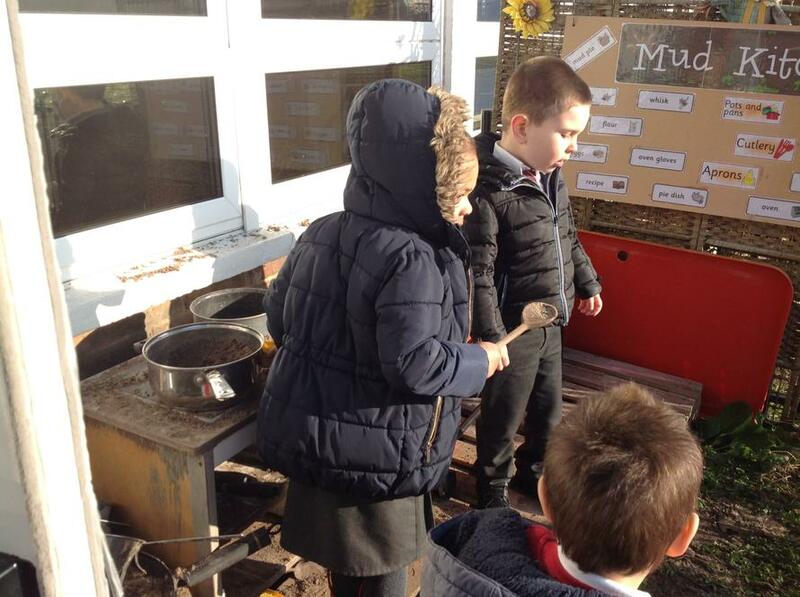 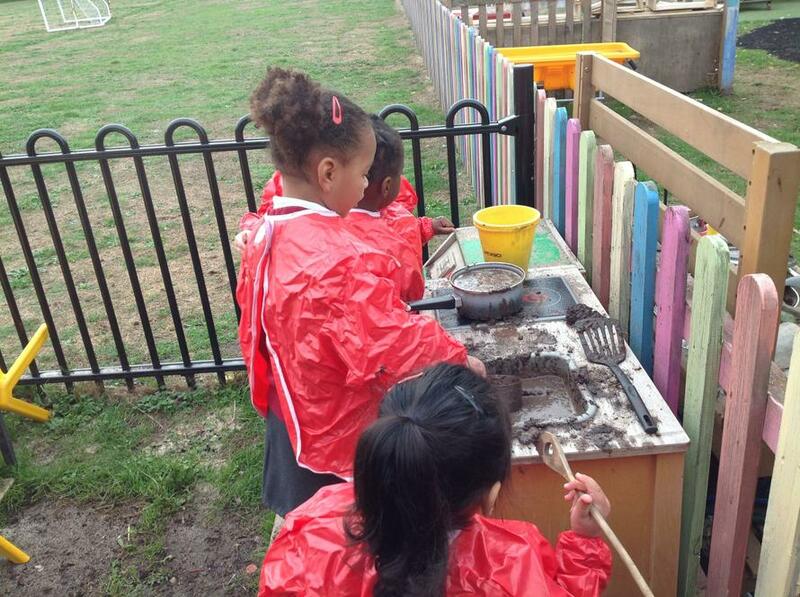 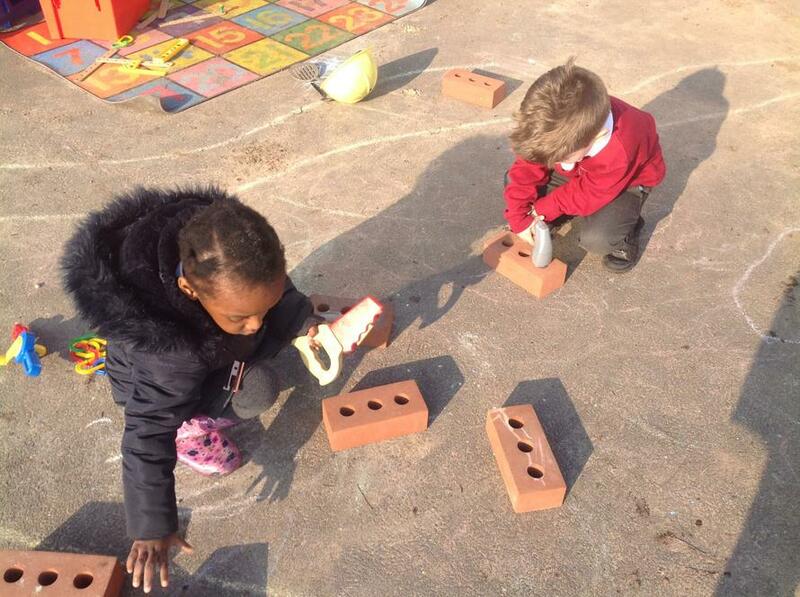 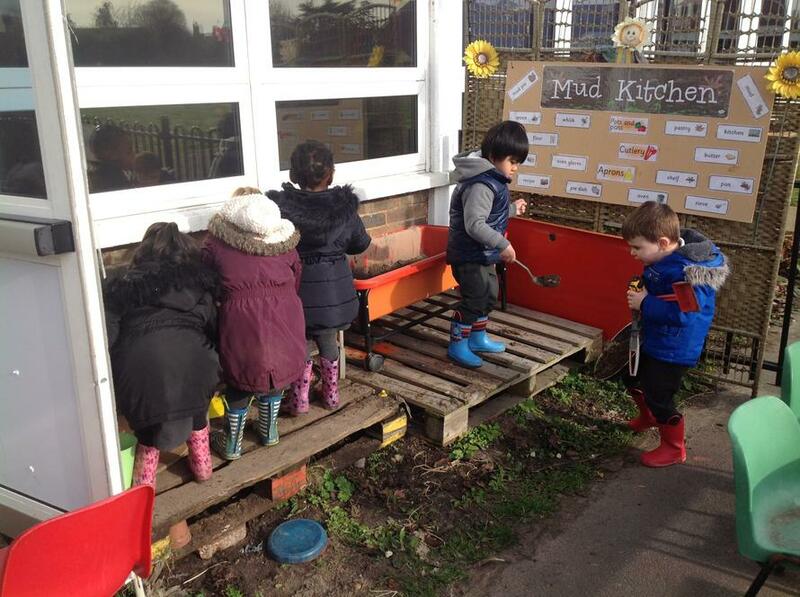 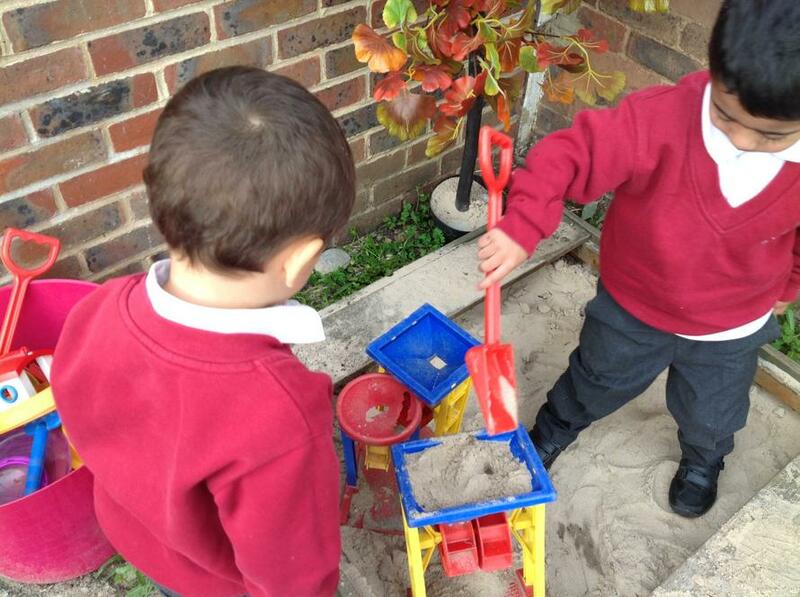 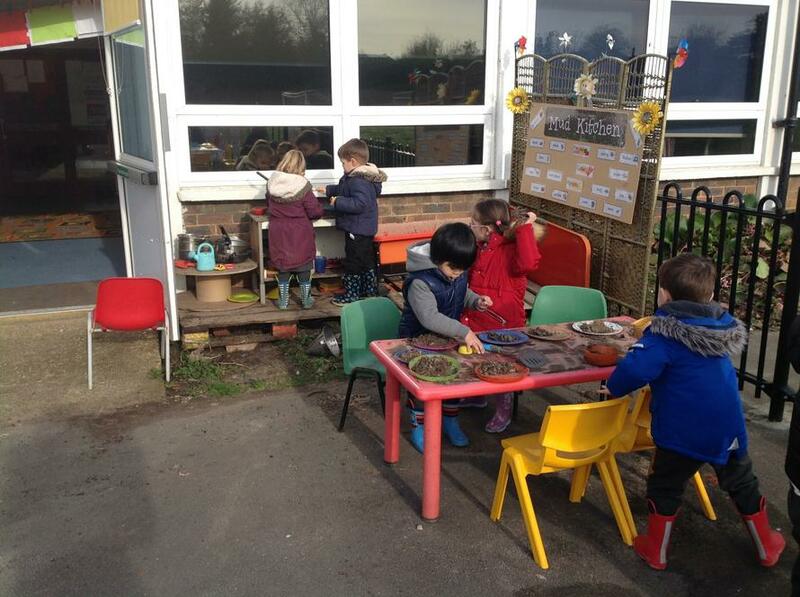 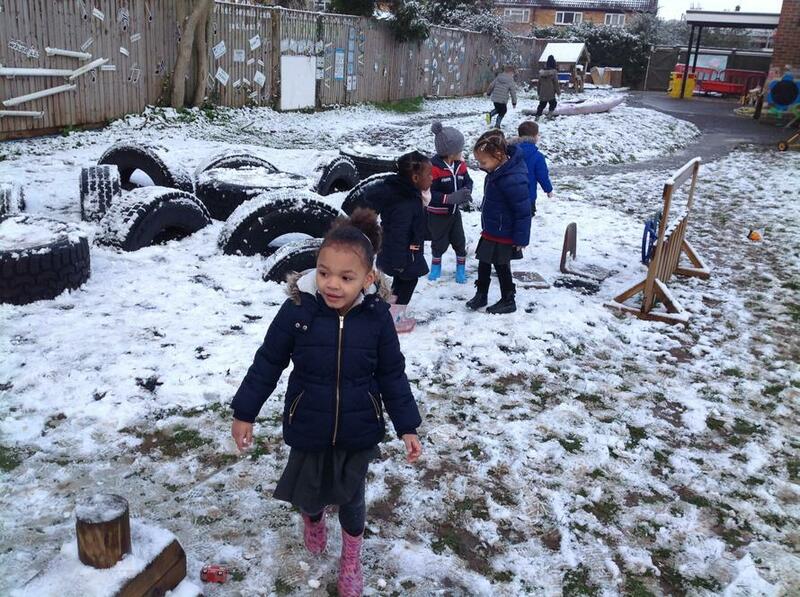 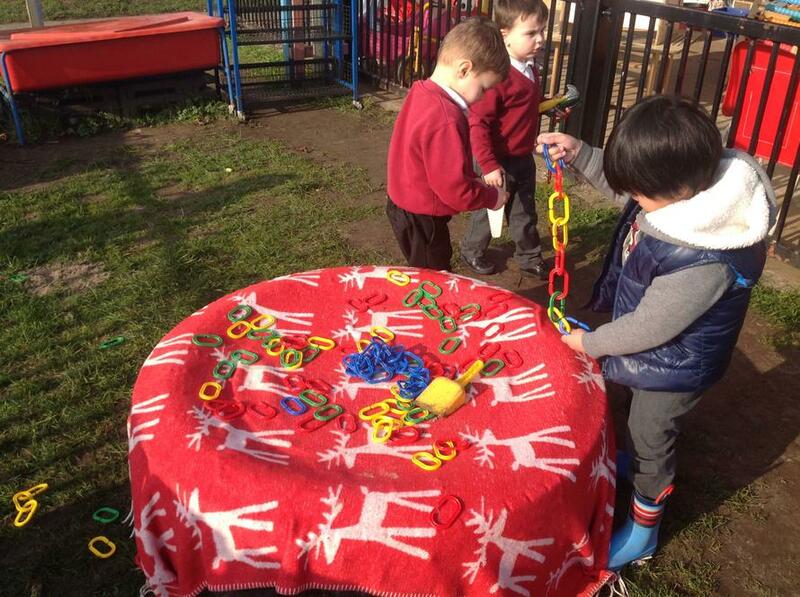 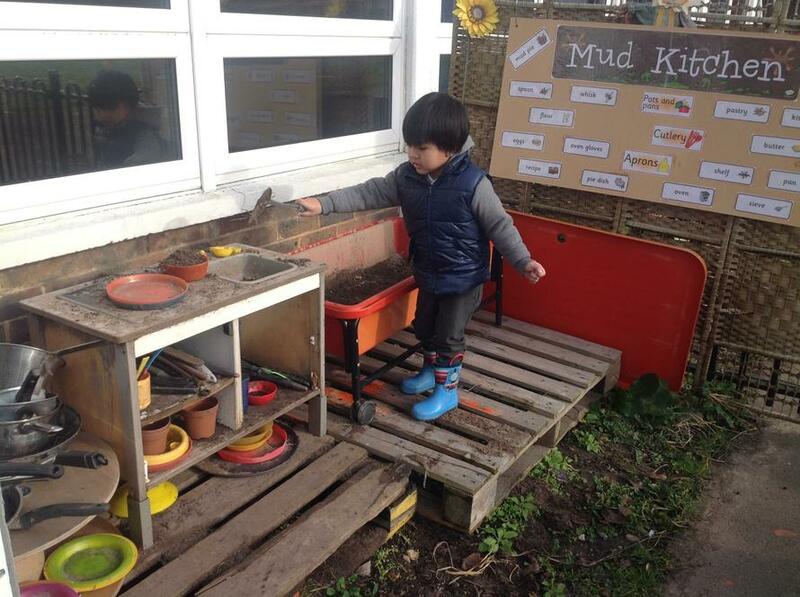 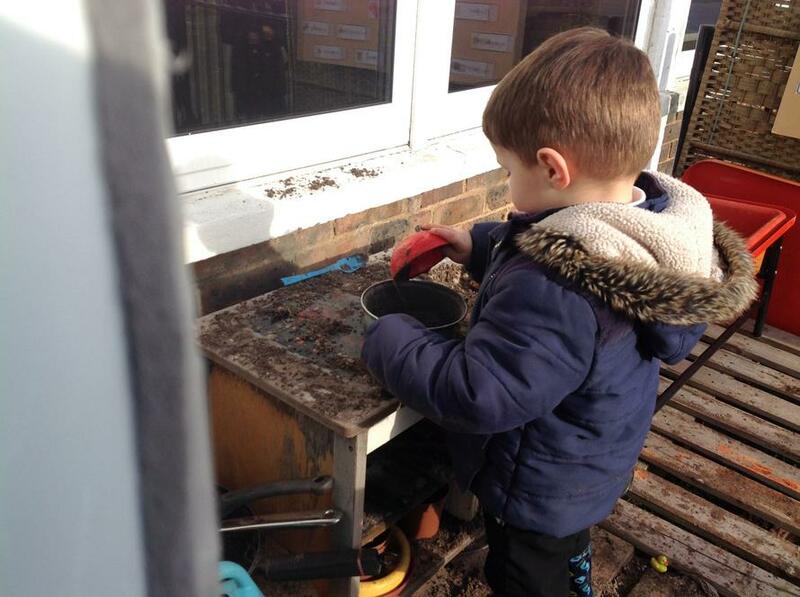 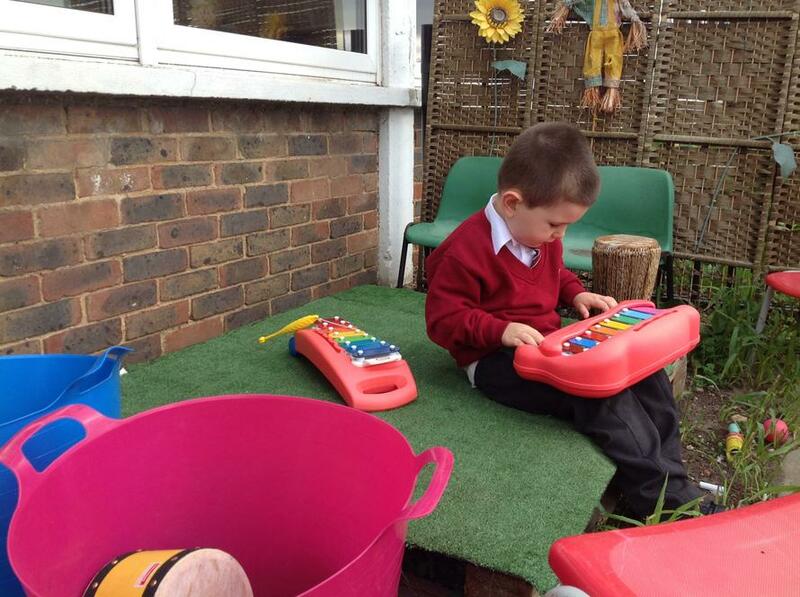 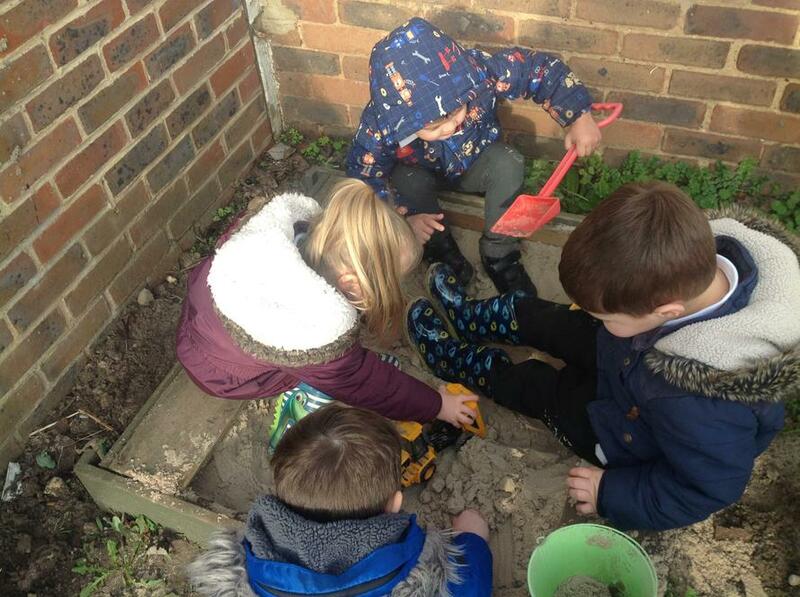 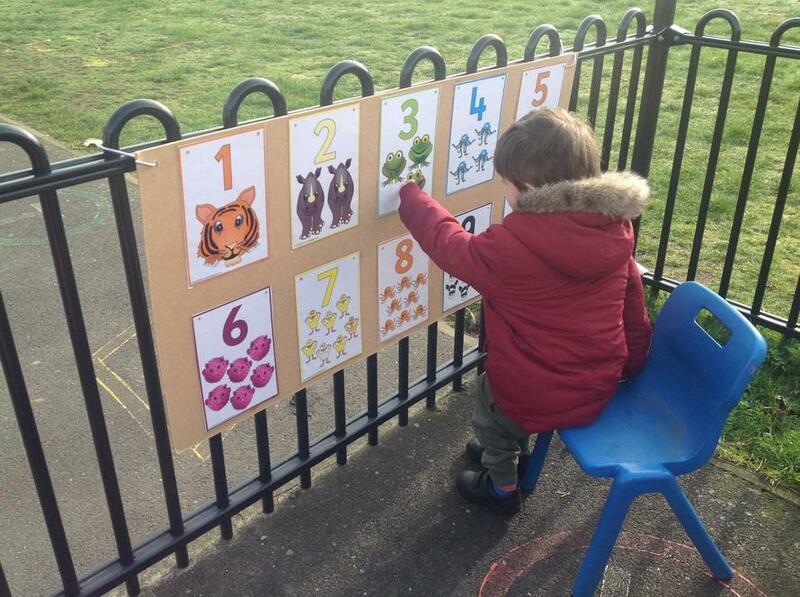 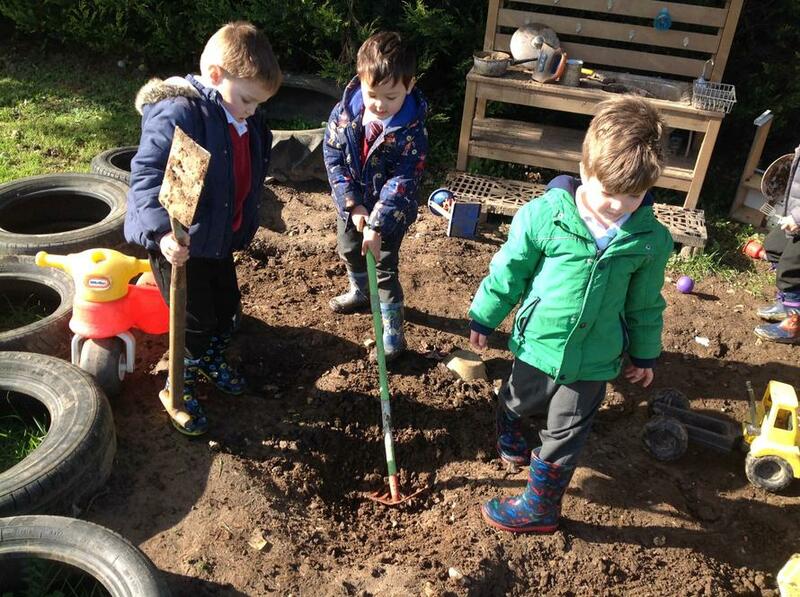 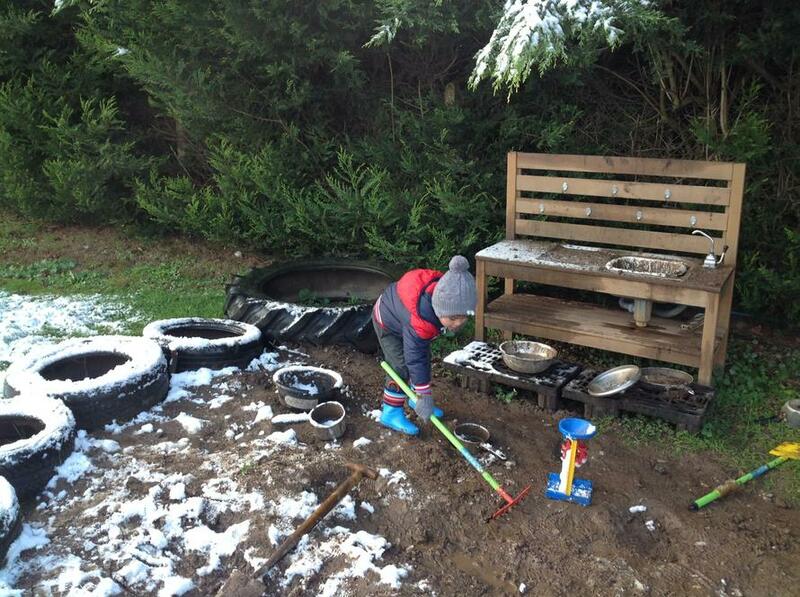 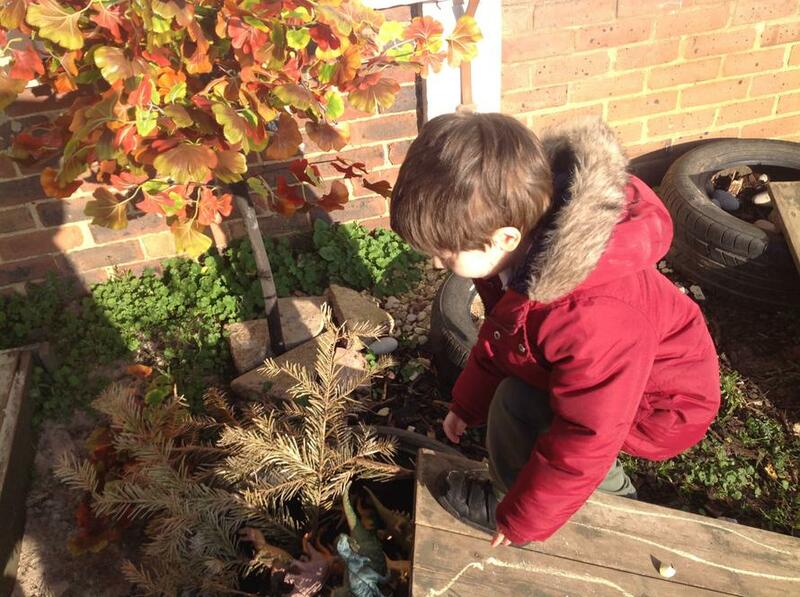 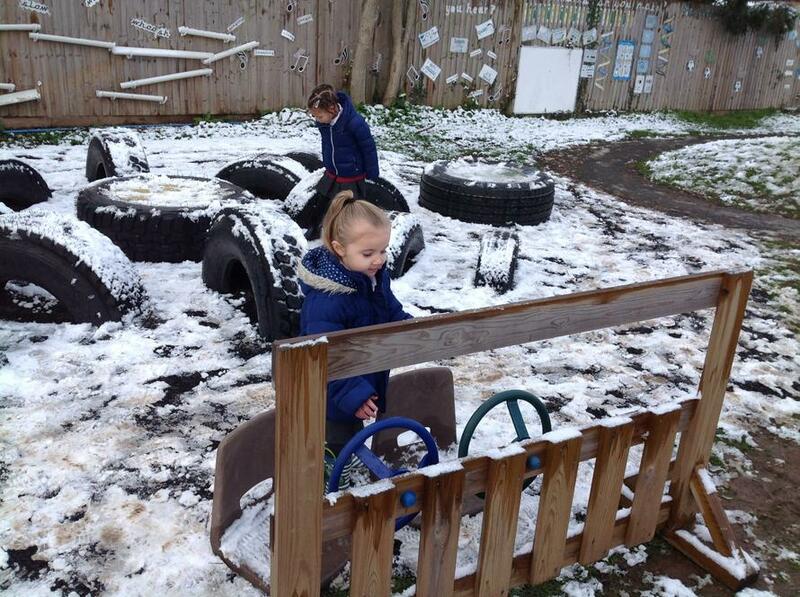 What lovely weather we had this week, the children have had great learning opportunities in all areas of their learning, they were so focused and investigated everything! 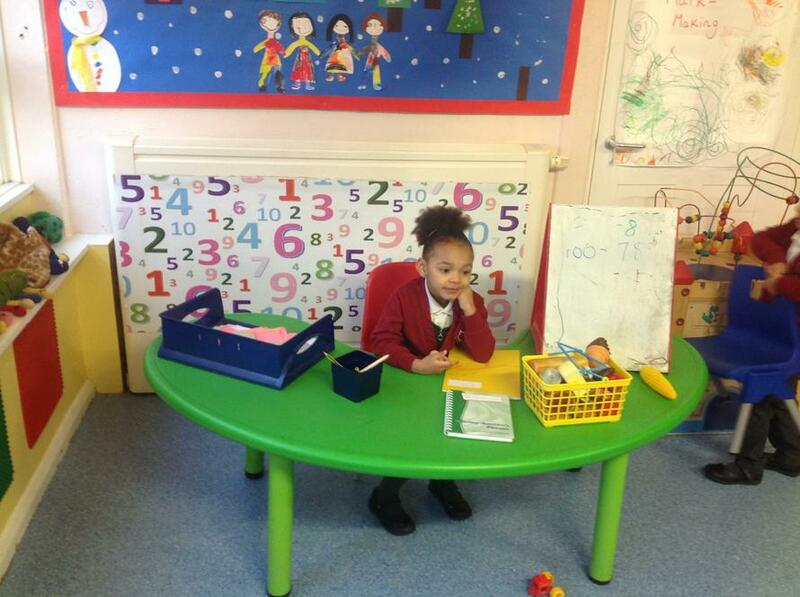 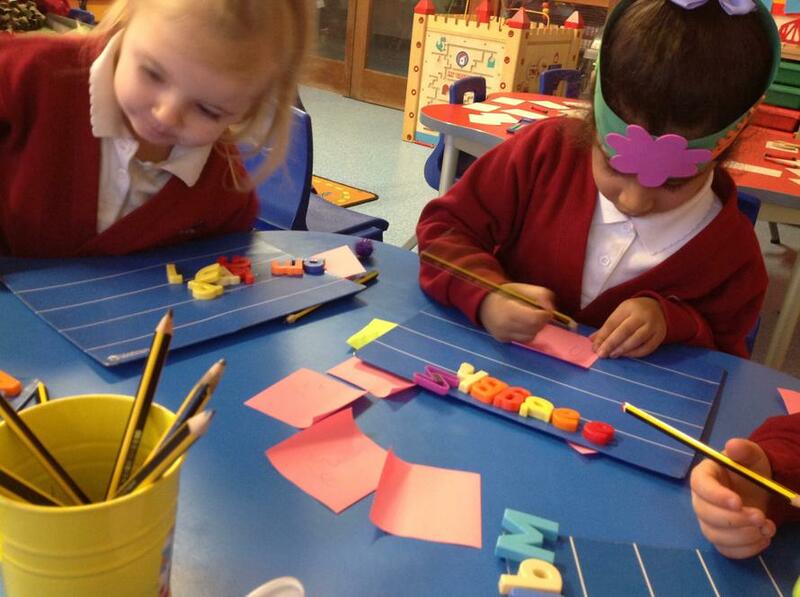 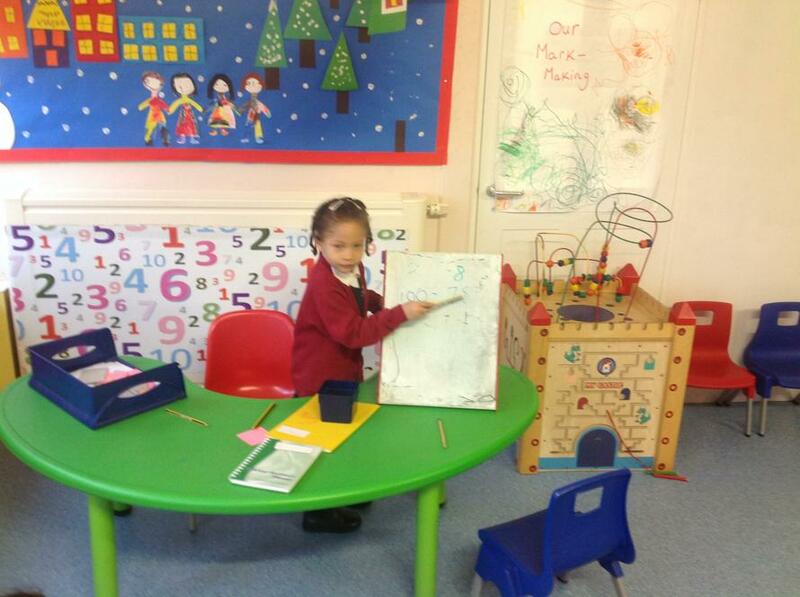 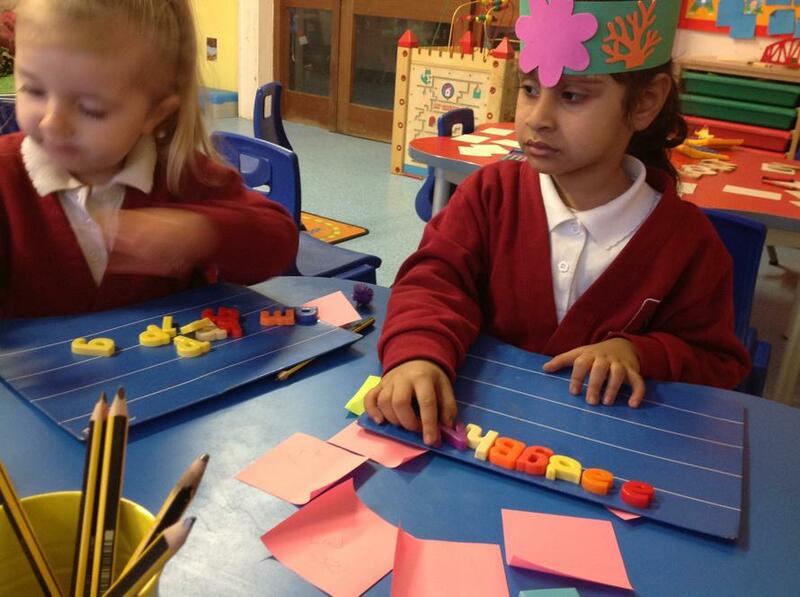 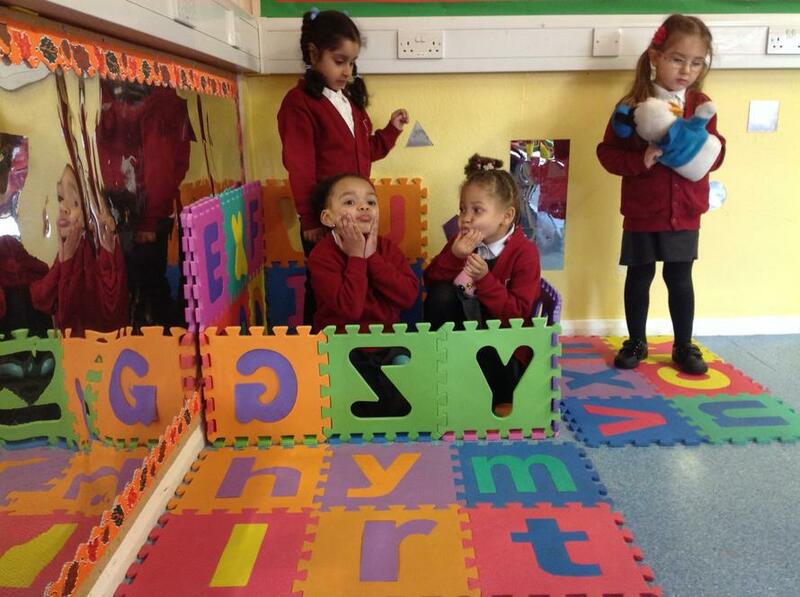 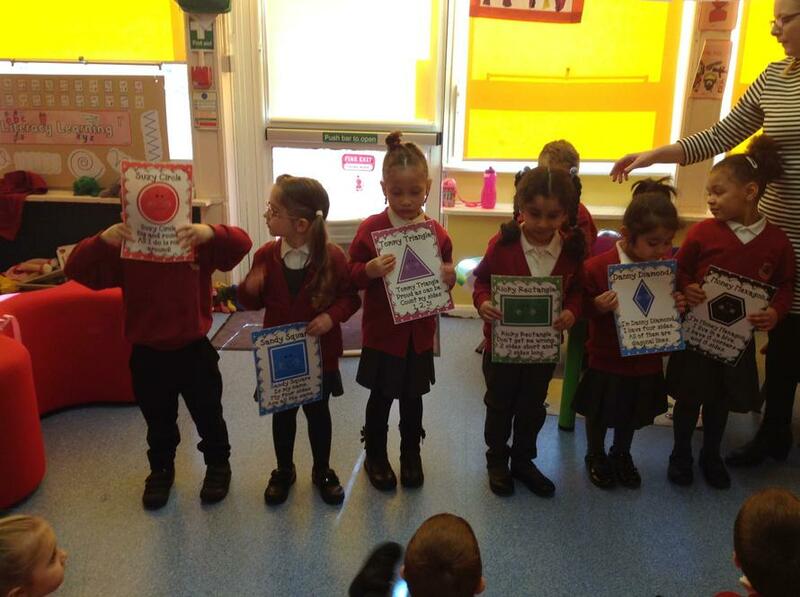 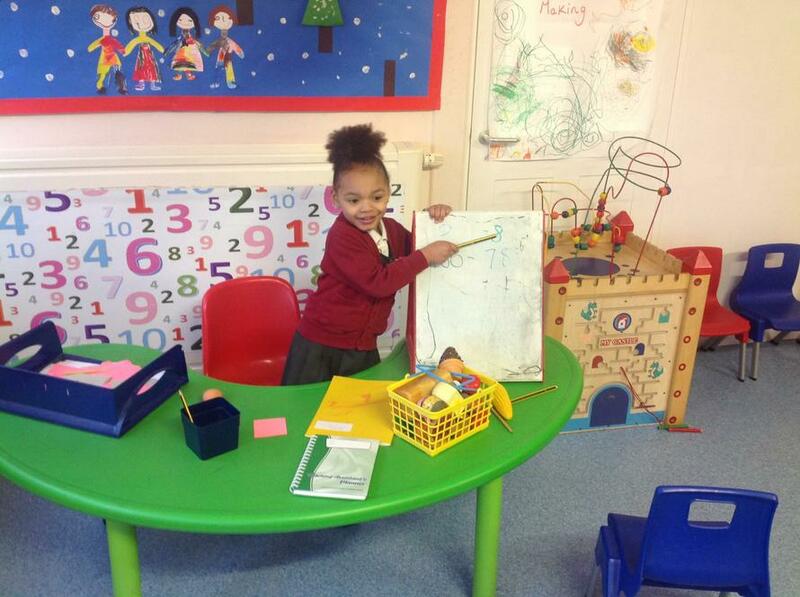 My little teachers have been helping me teach letters and numbers! 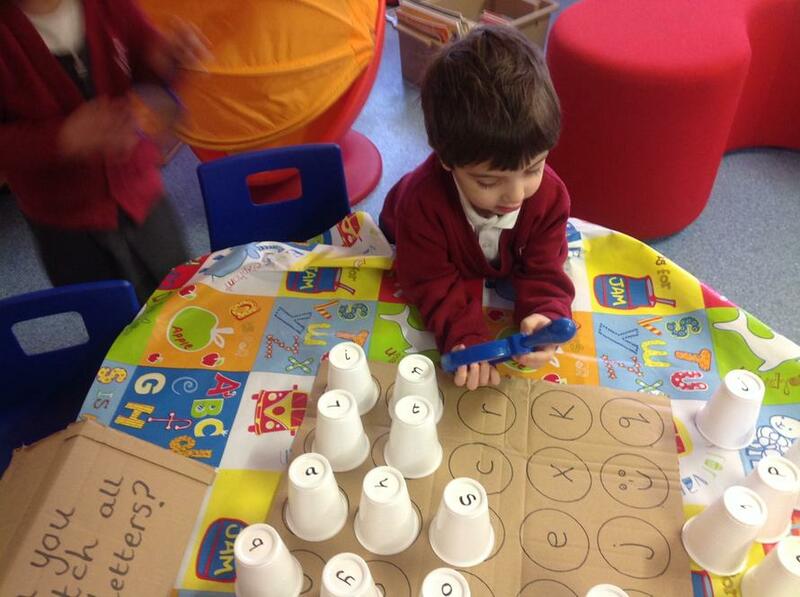 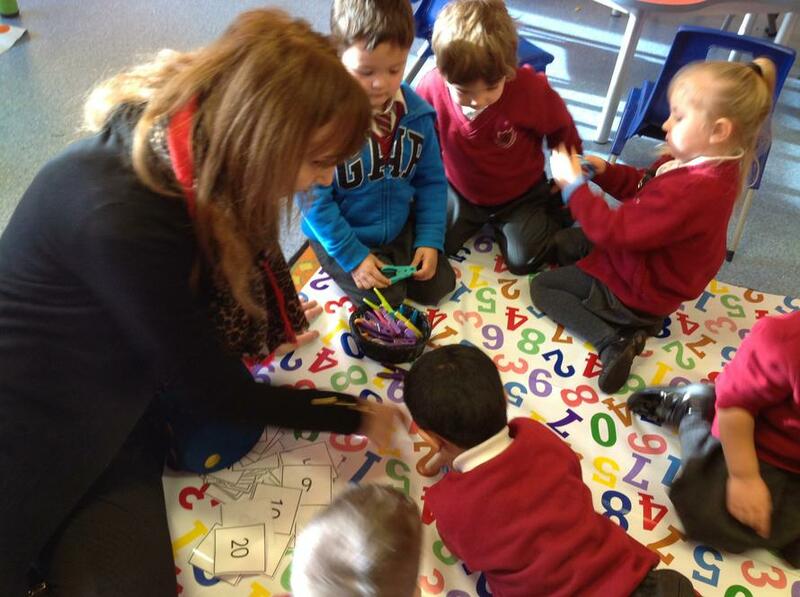 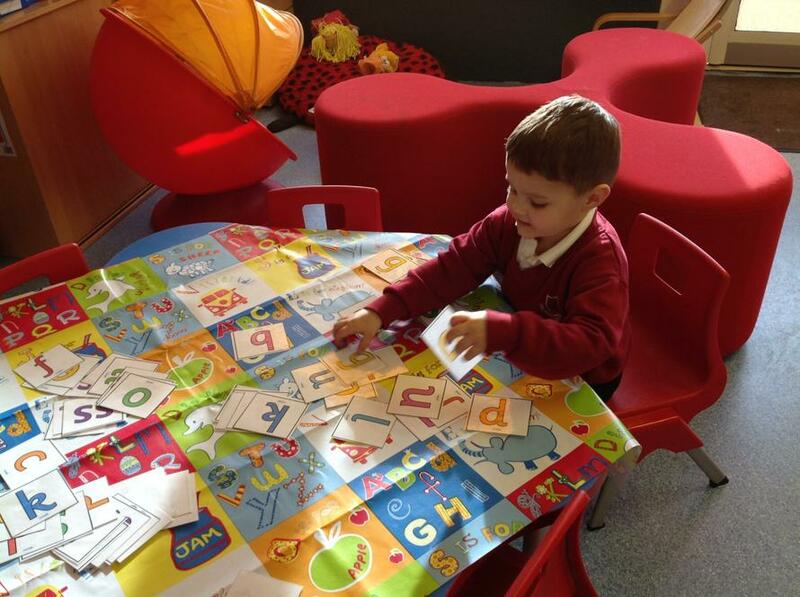 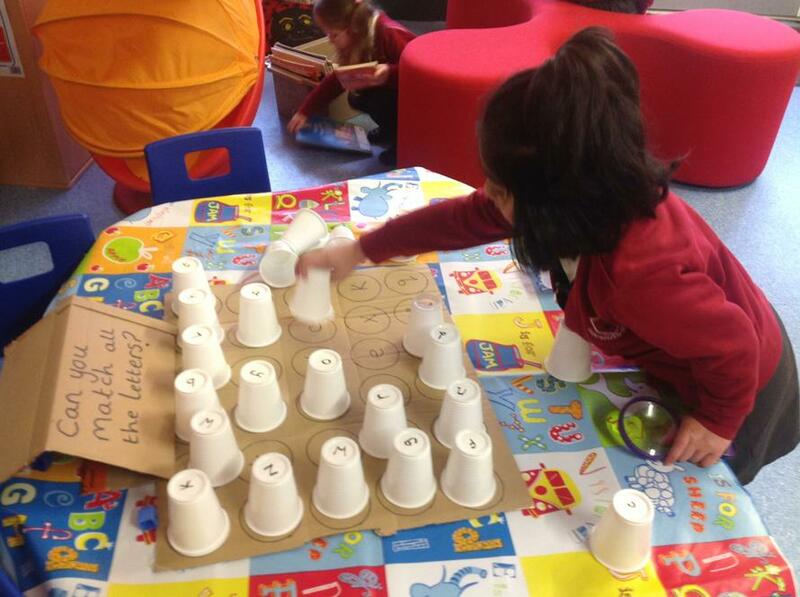 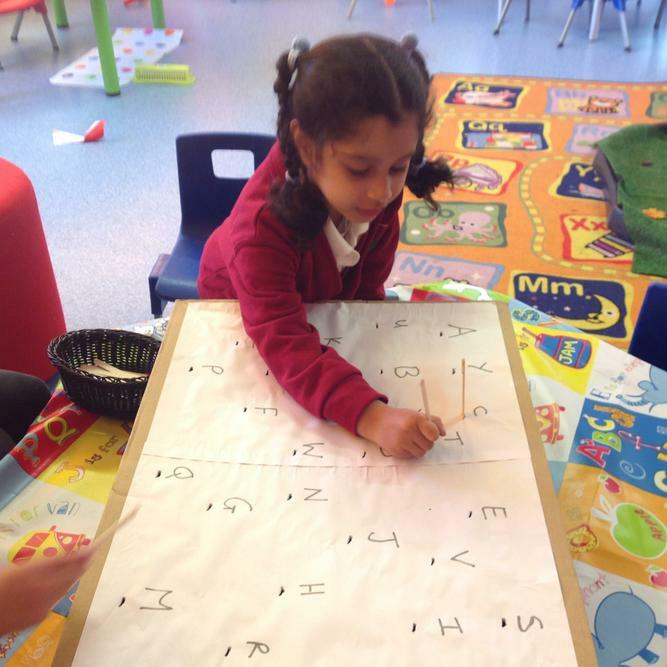 More Number and Letter matching! 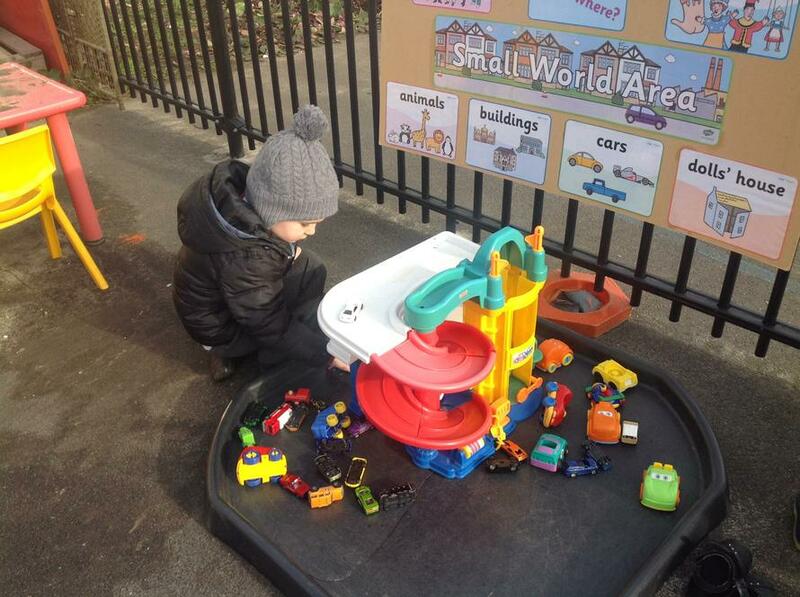 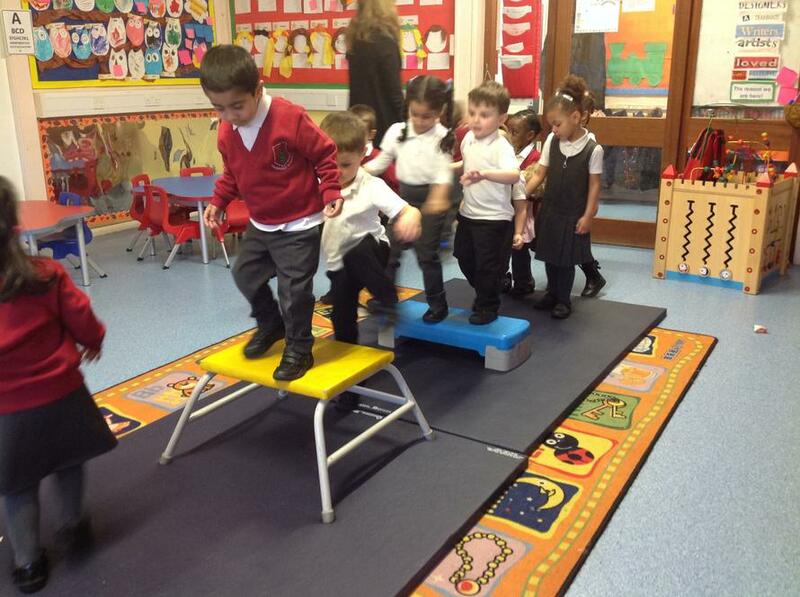 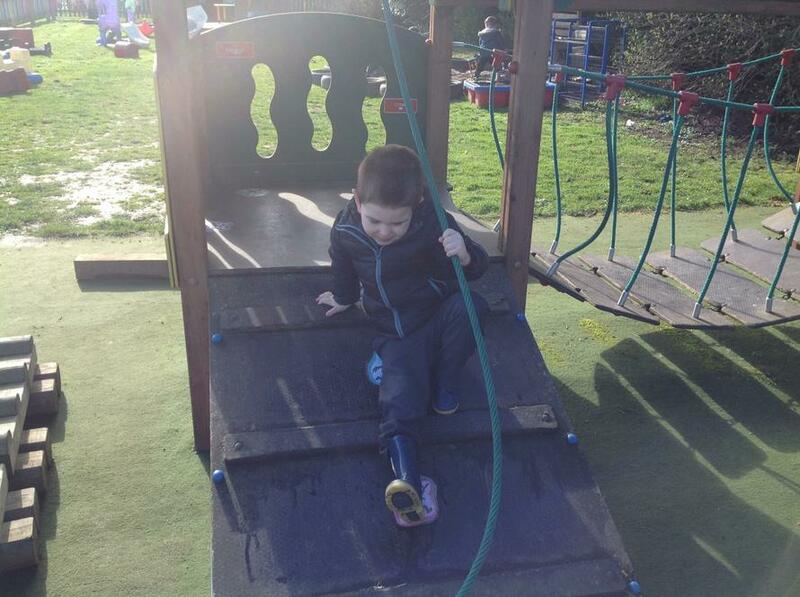 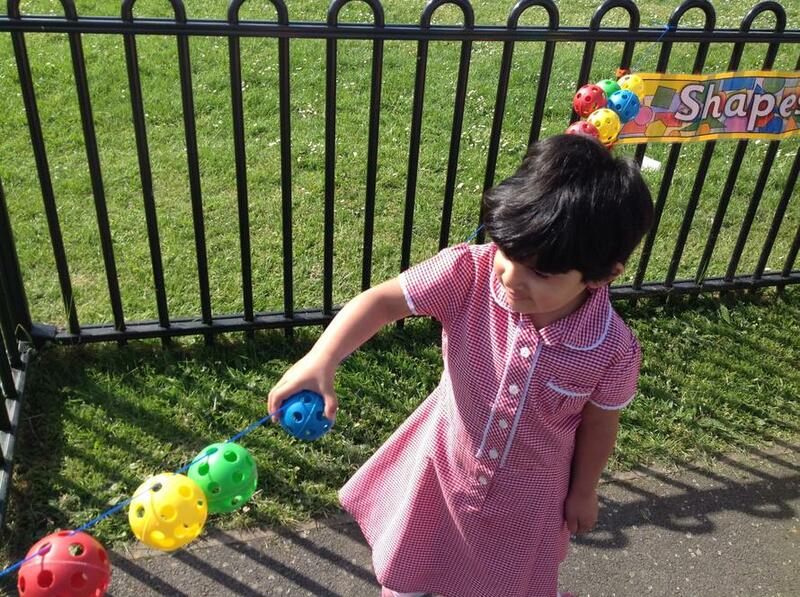 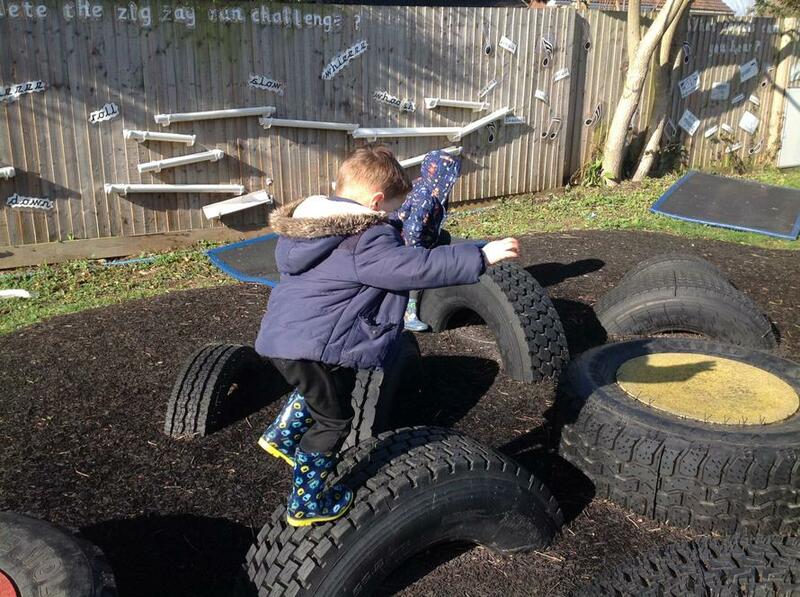 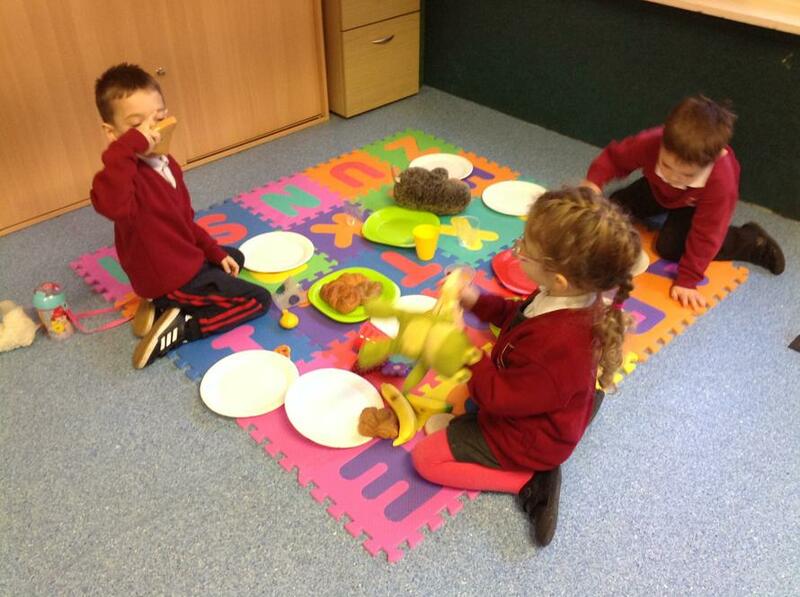 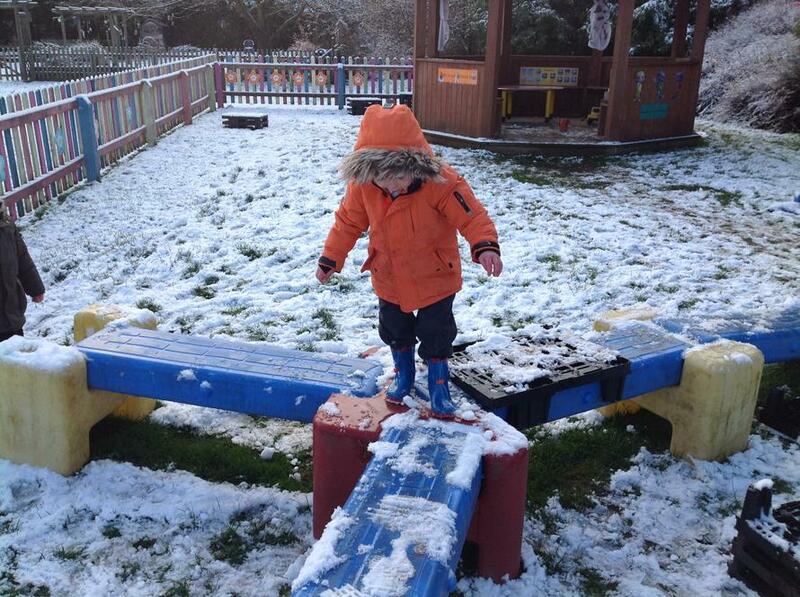 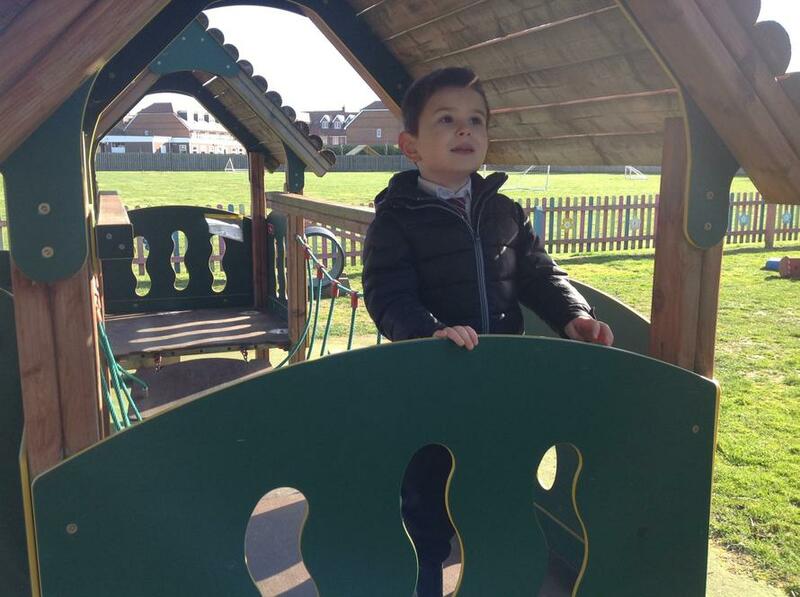 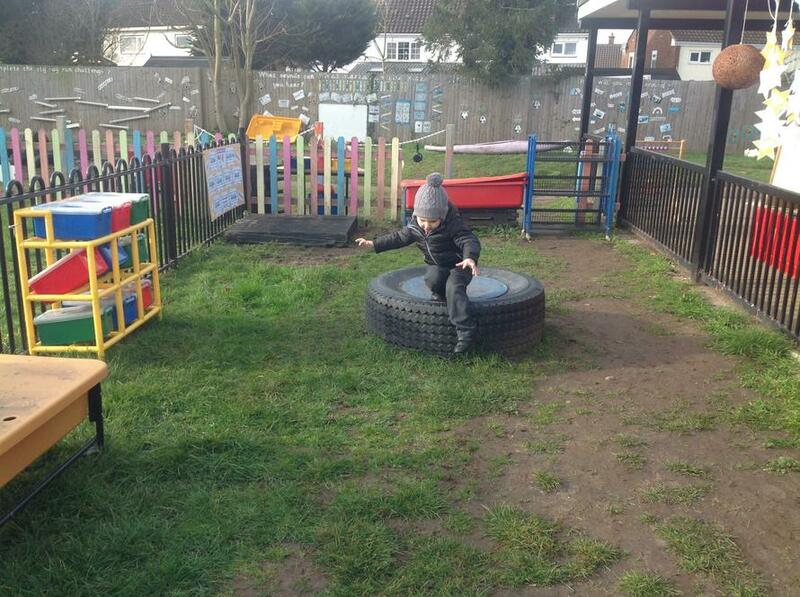 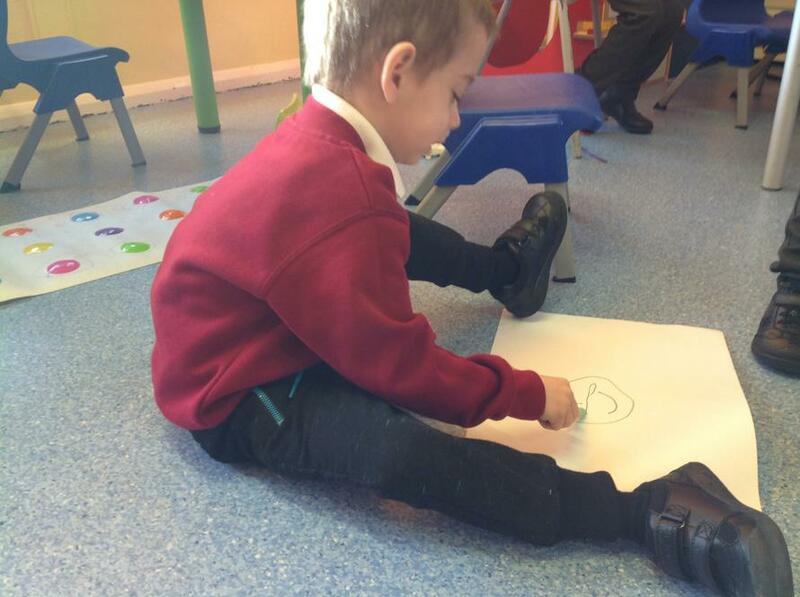 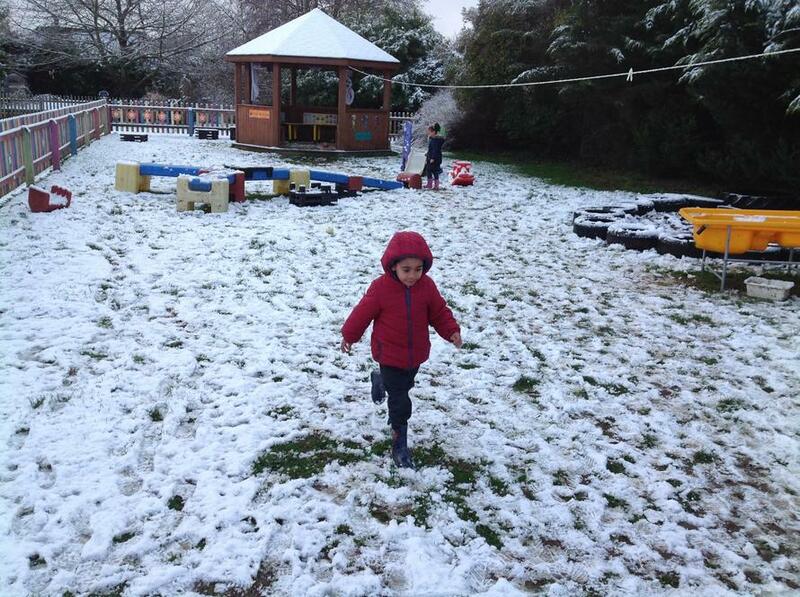 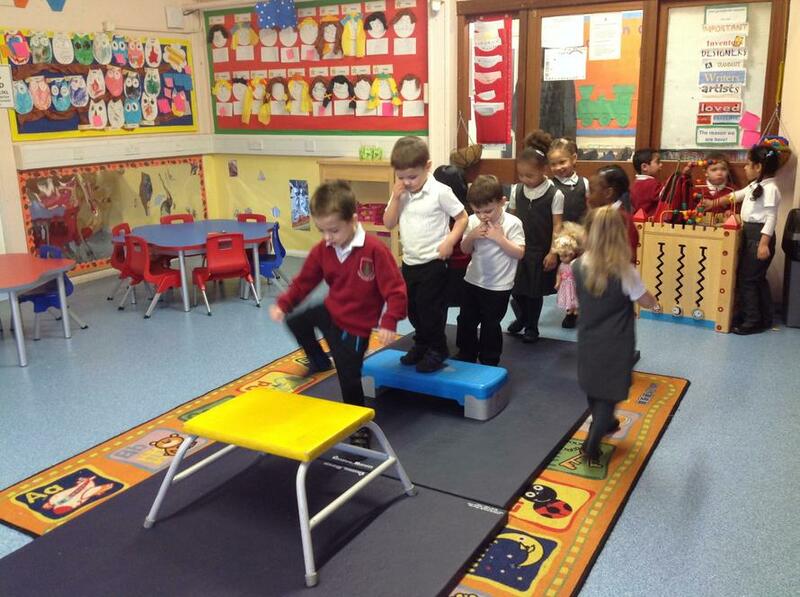 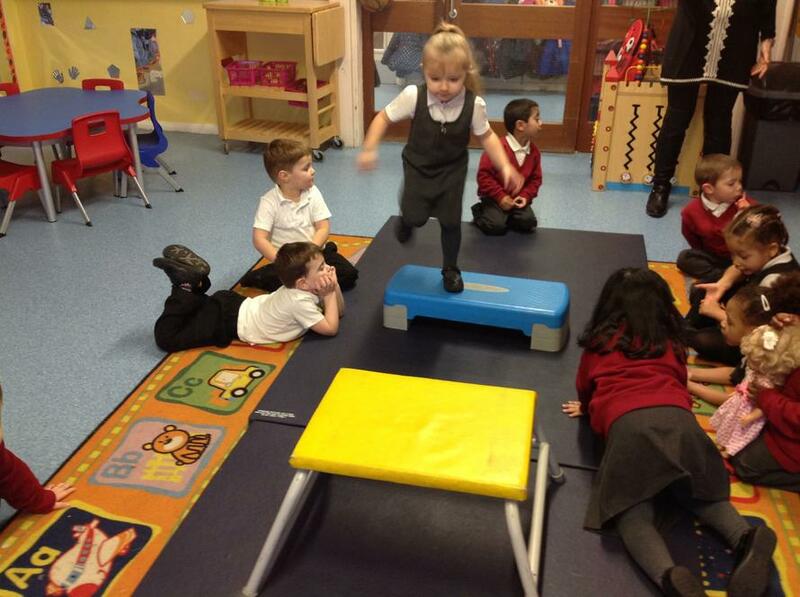 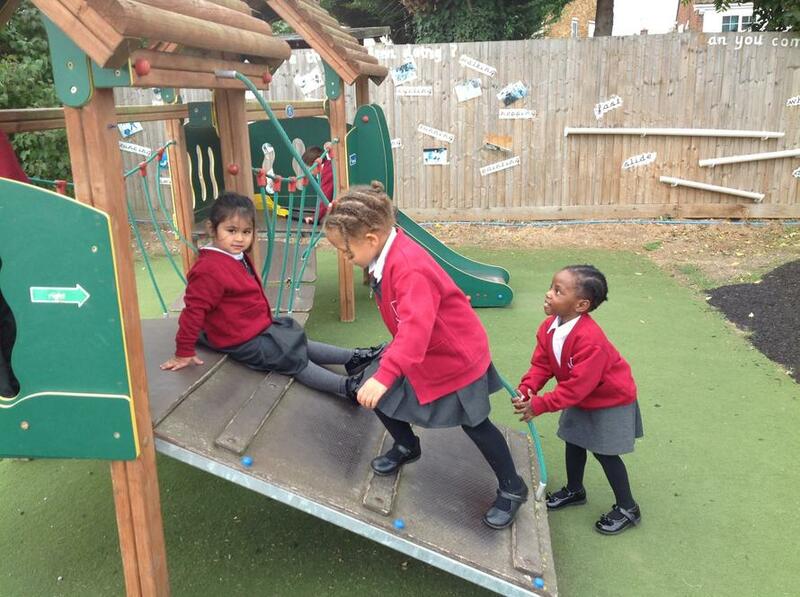 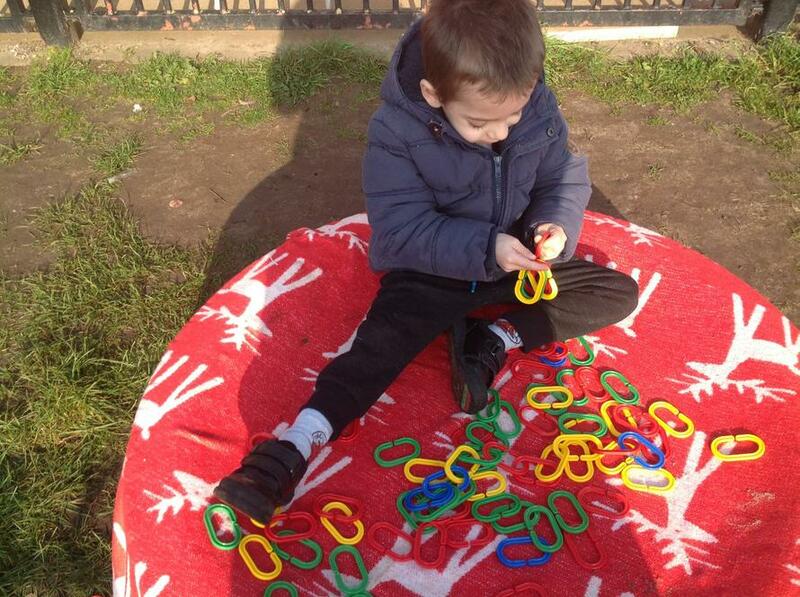 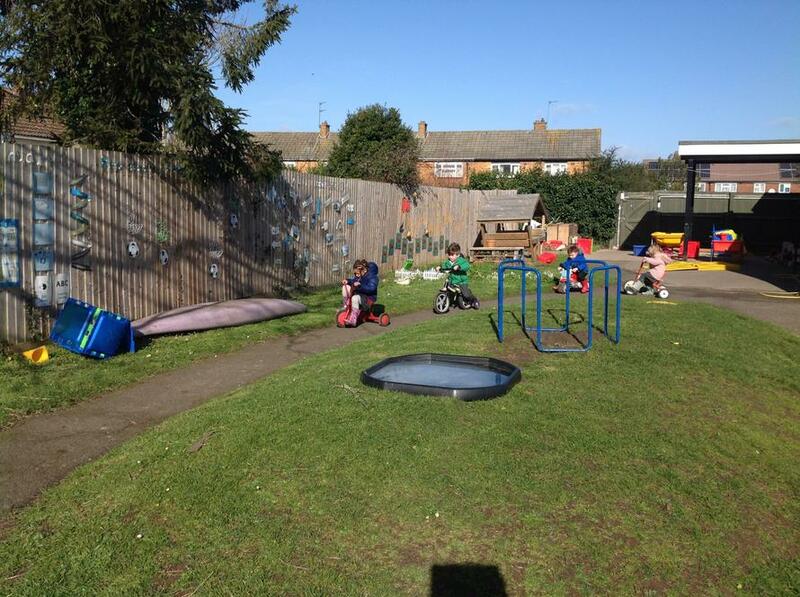 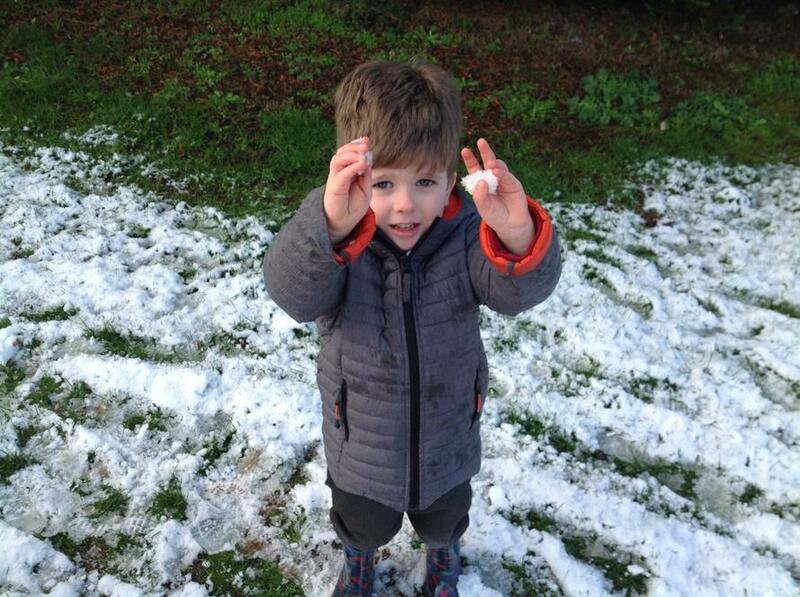 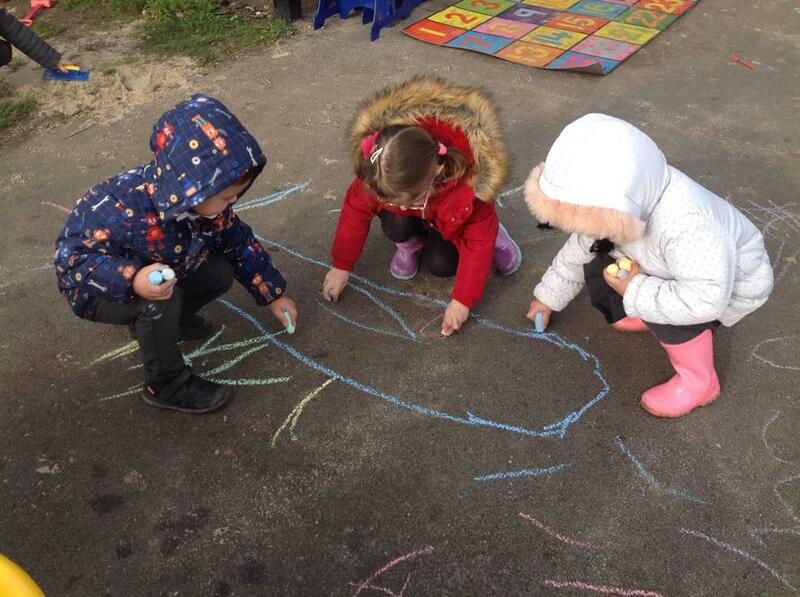 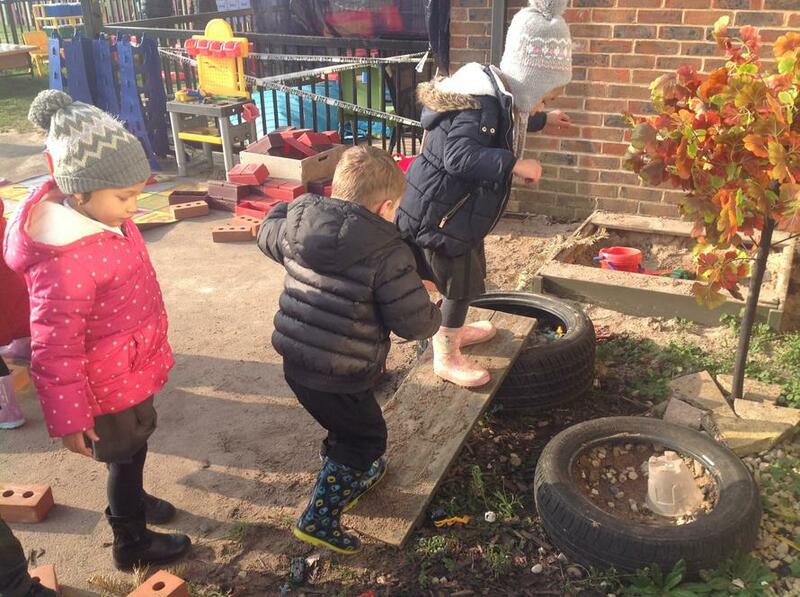 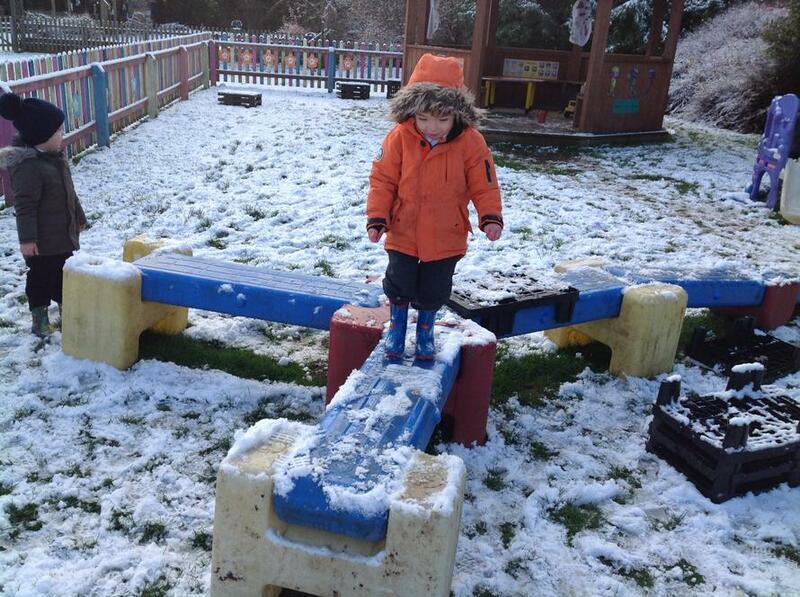 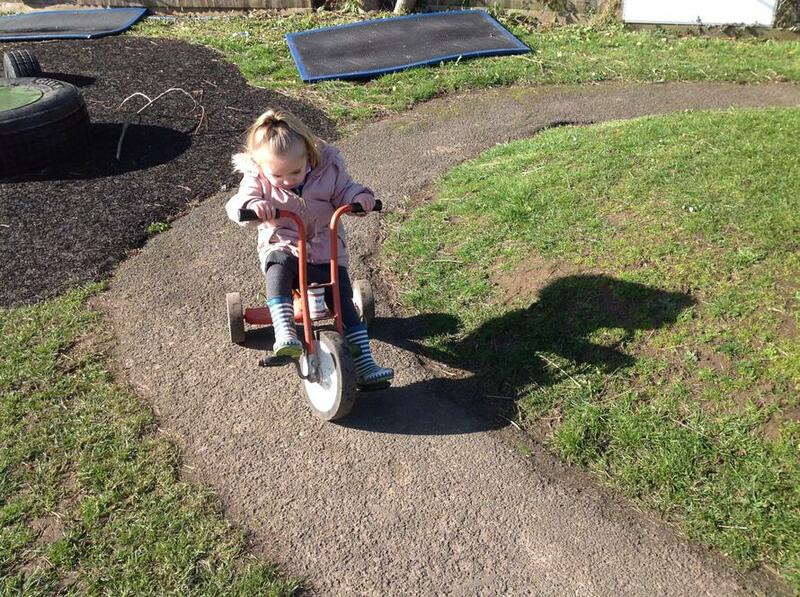 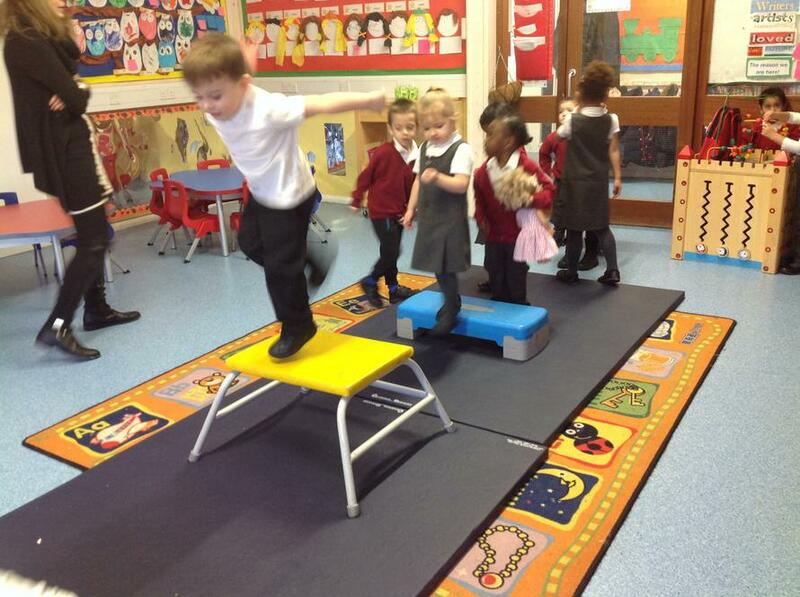 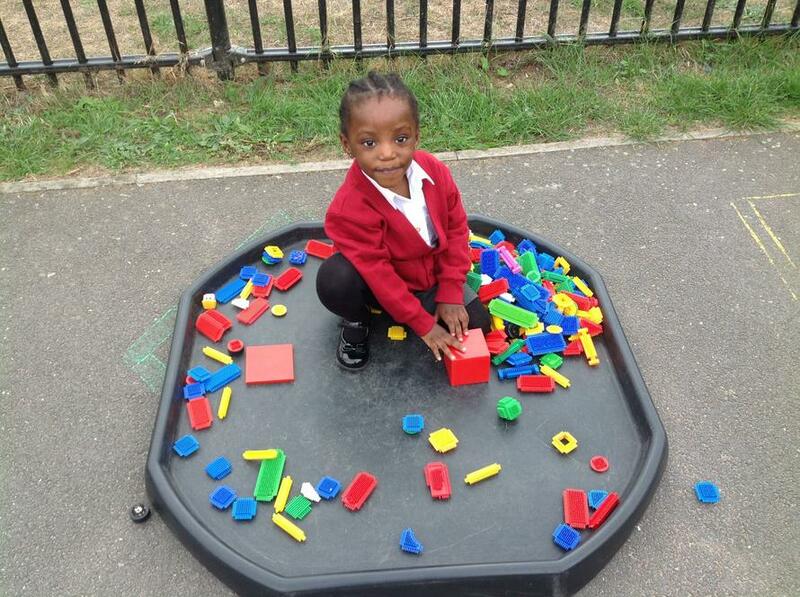 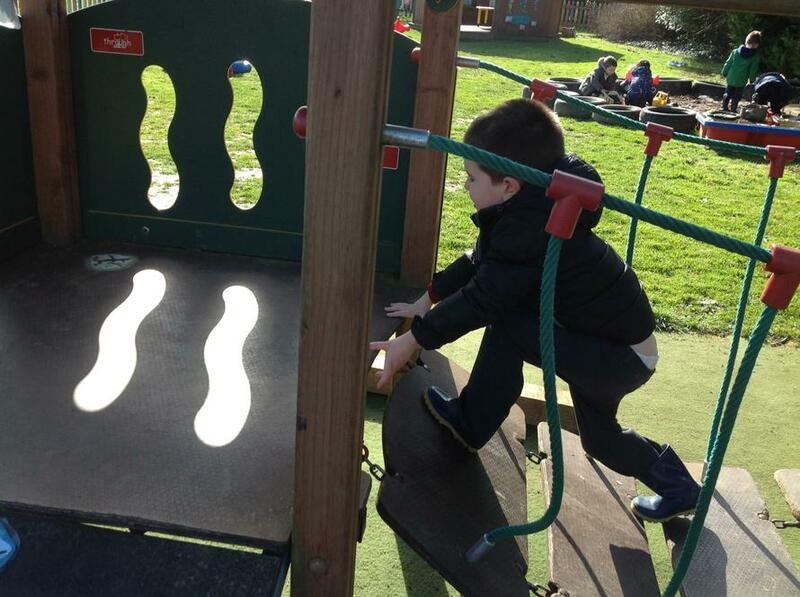 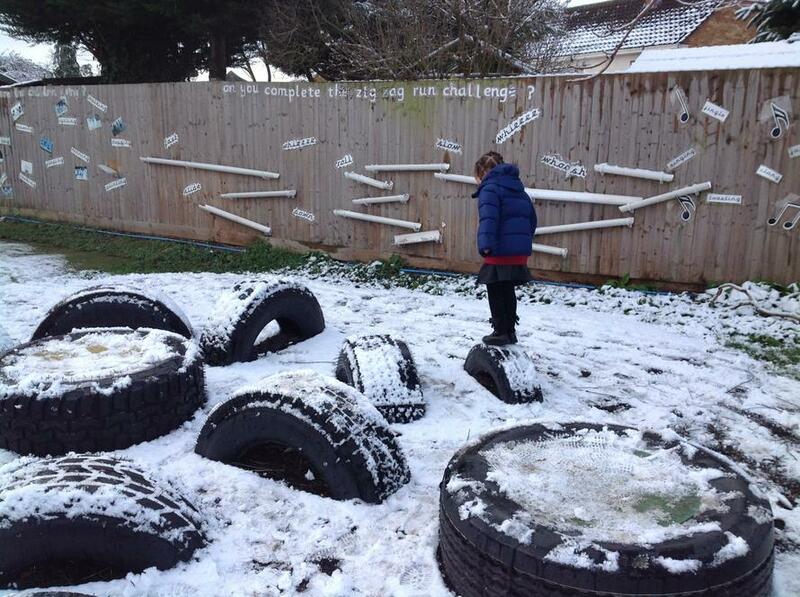 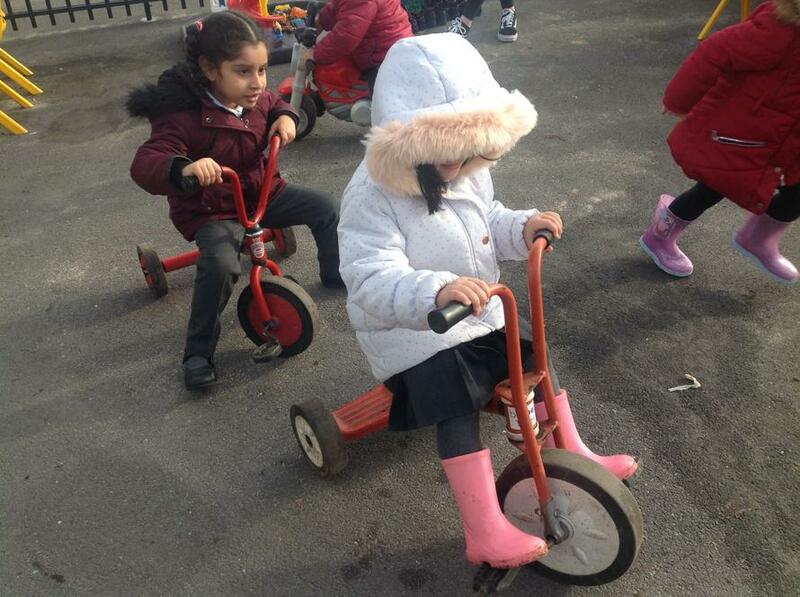 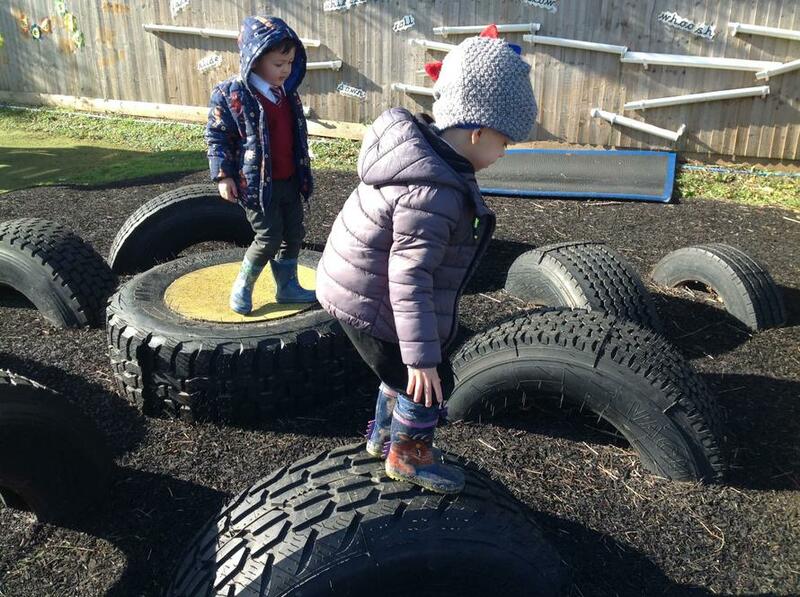 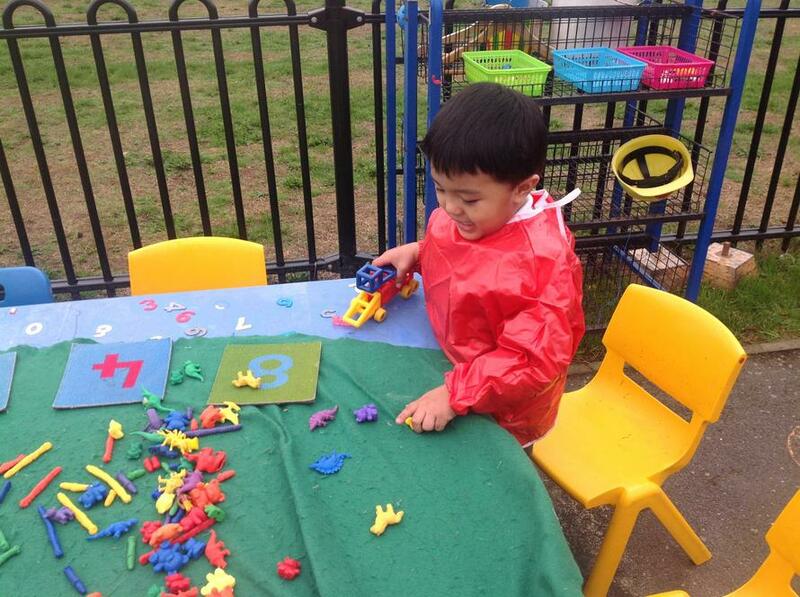 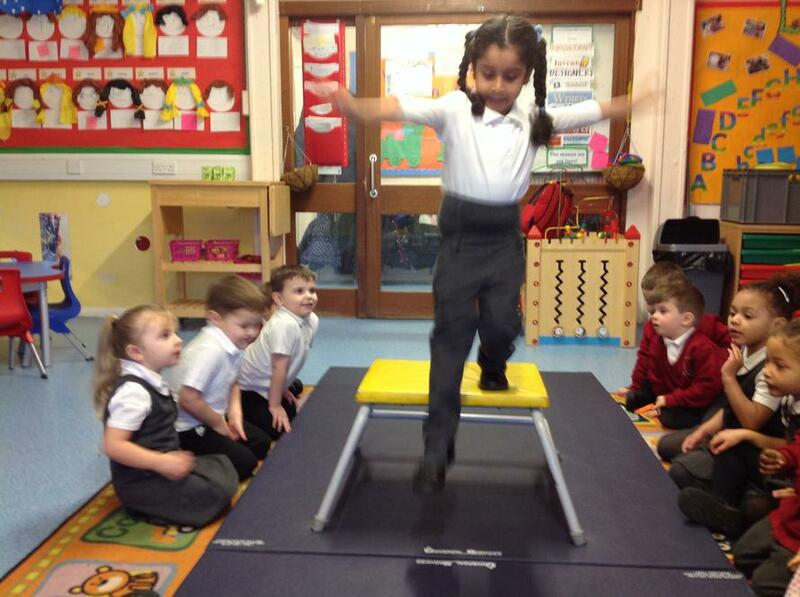 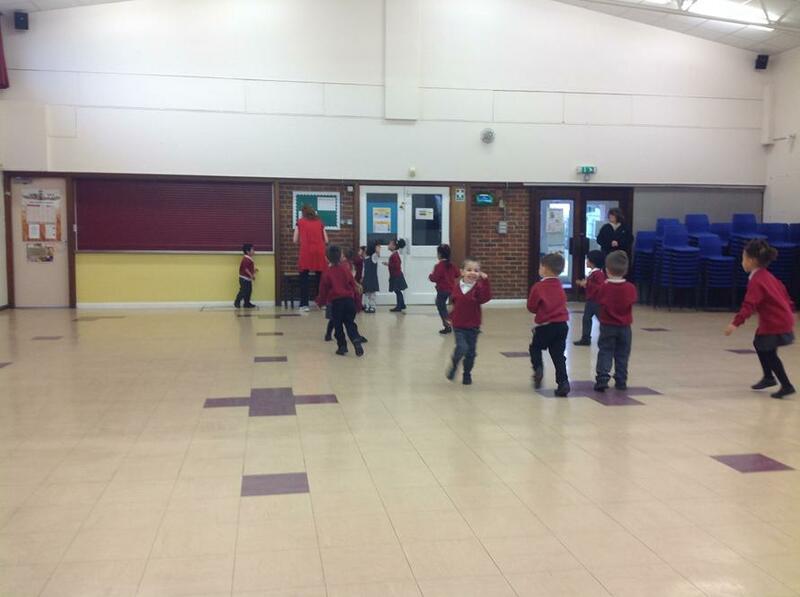 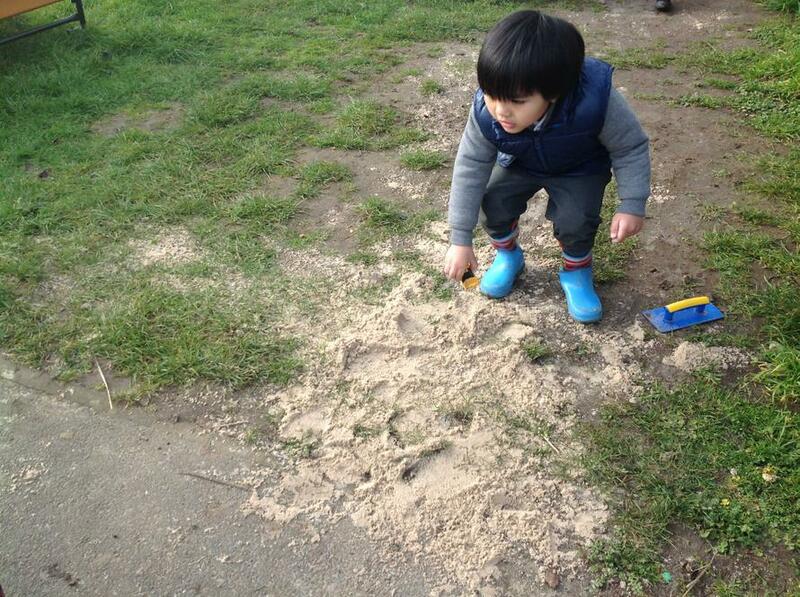 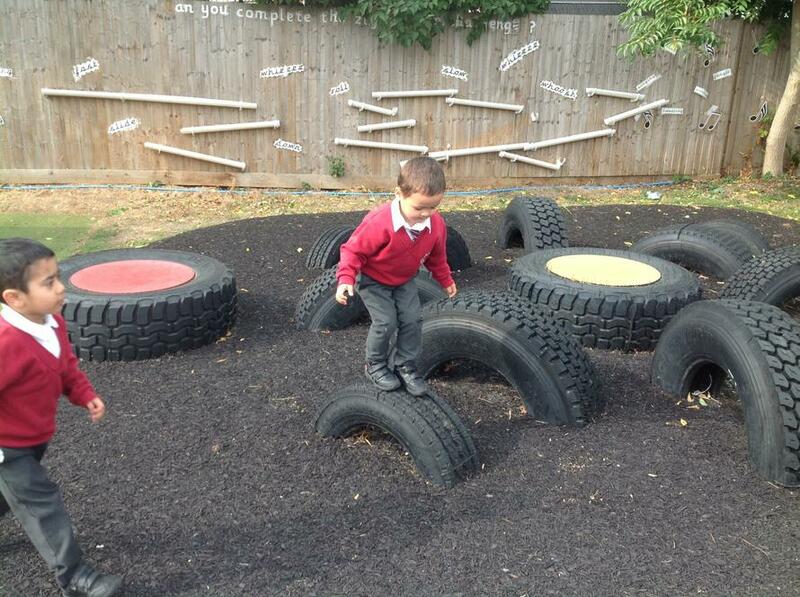 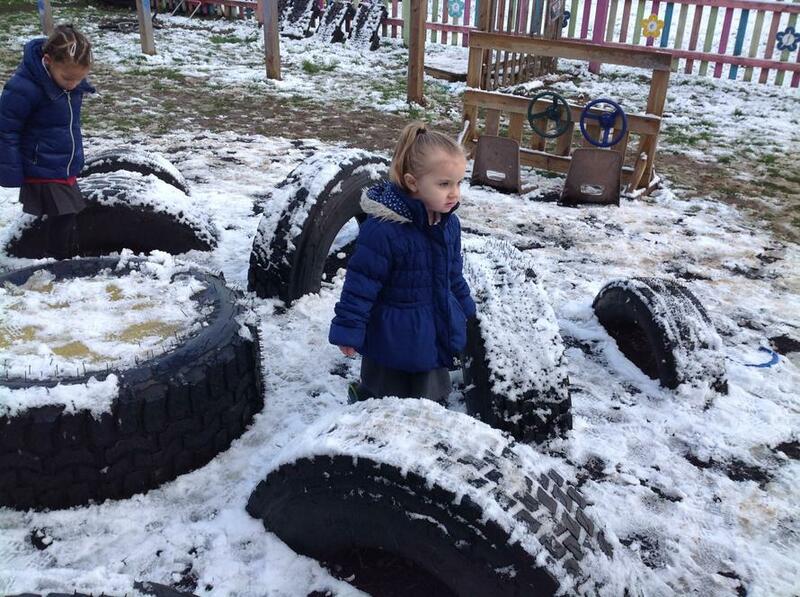 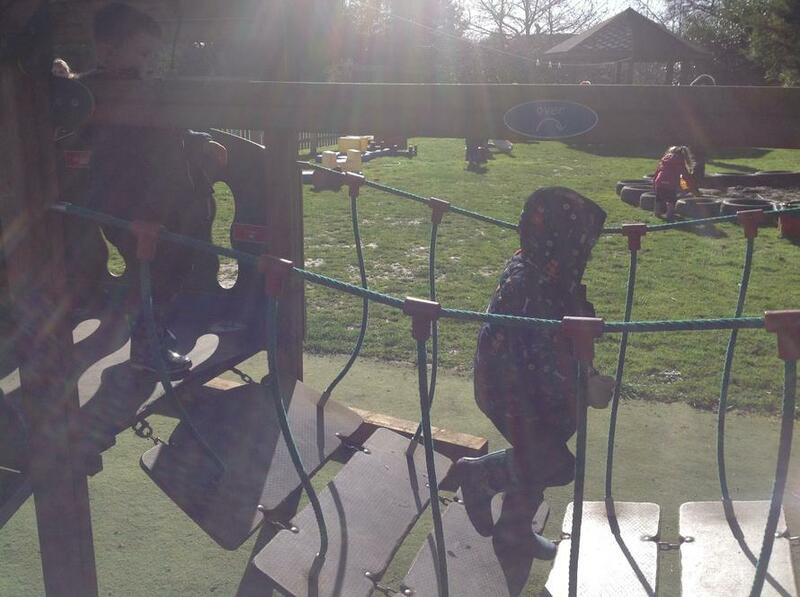 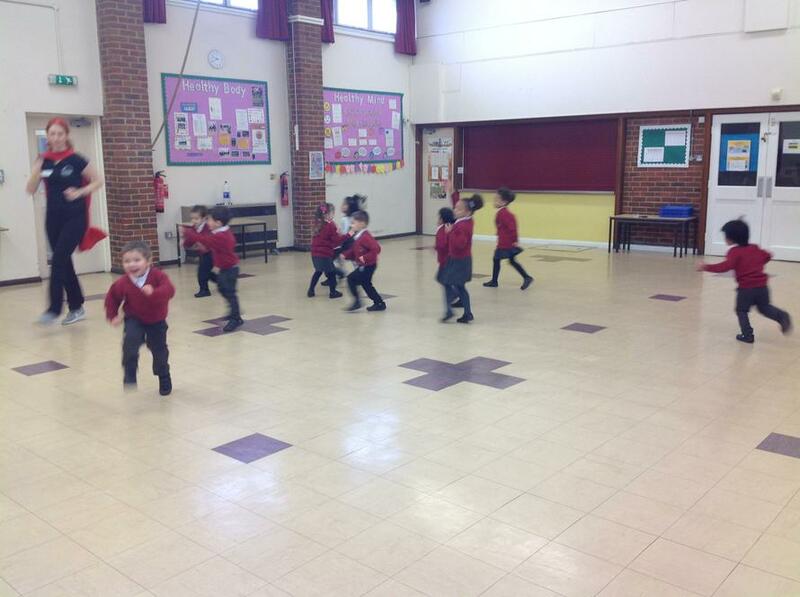 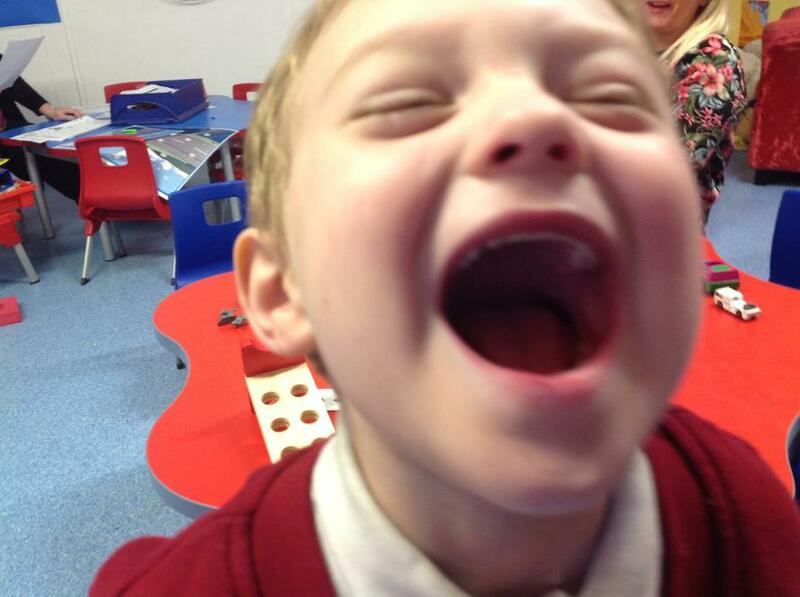 All the children had fun with the physical development activities, working on their fine and gross motor skills! 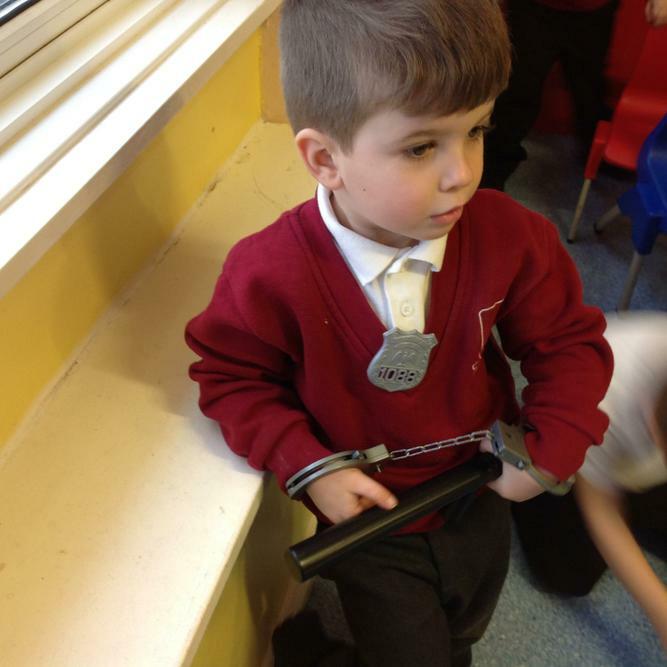 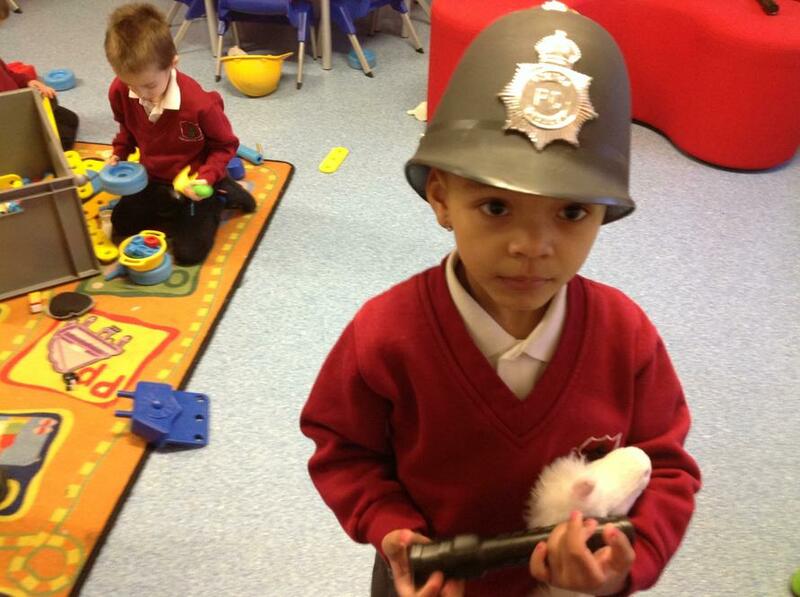 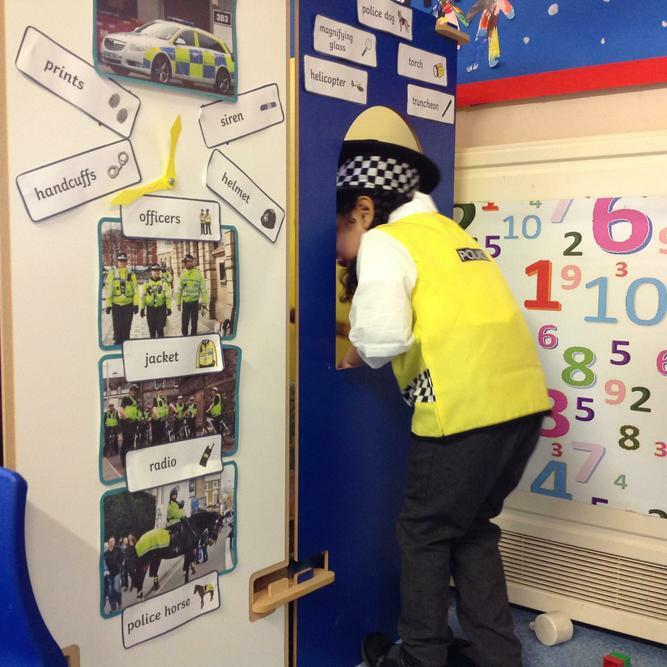 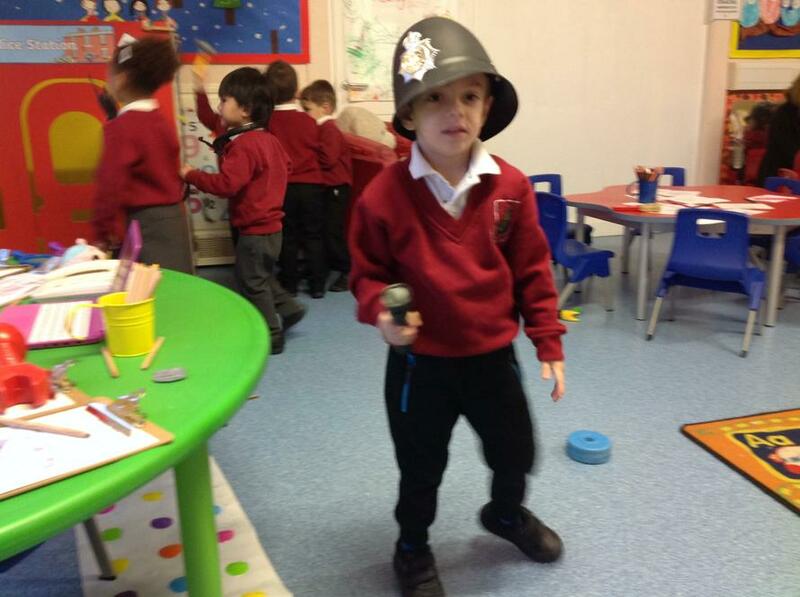 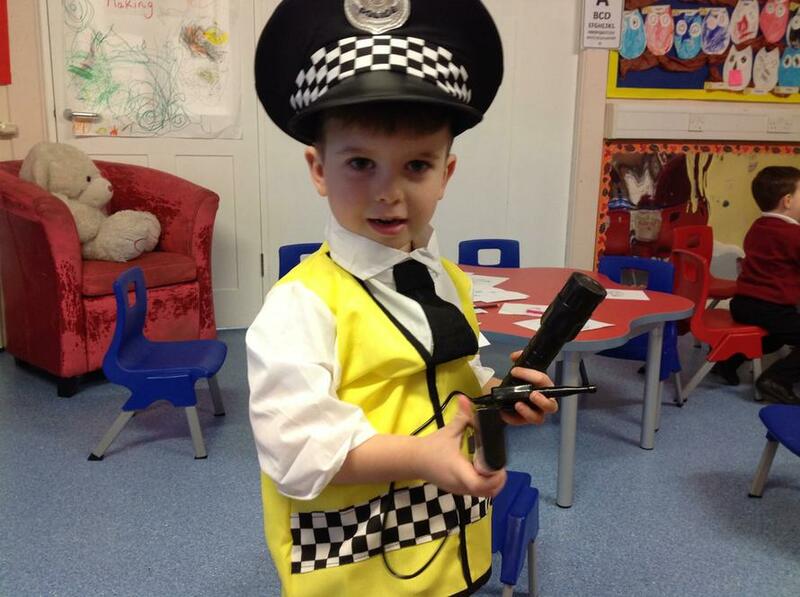 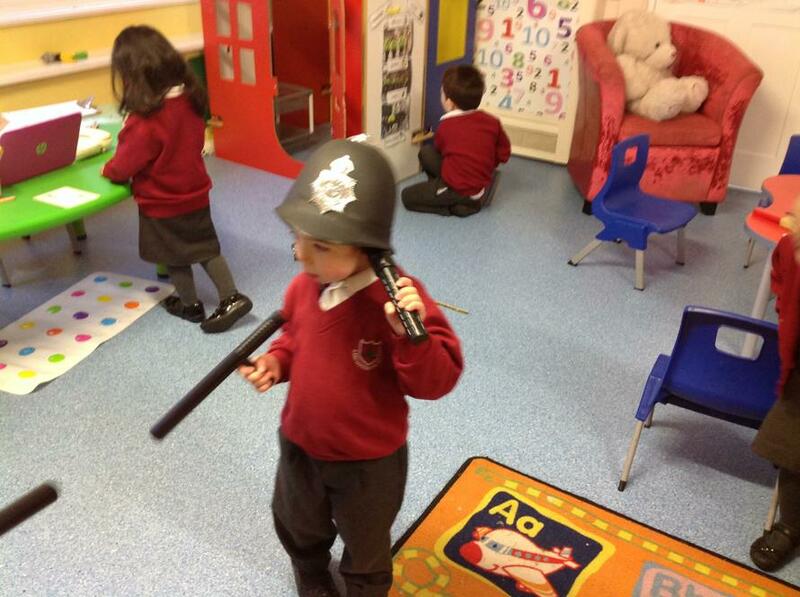 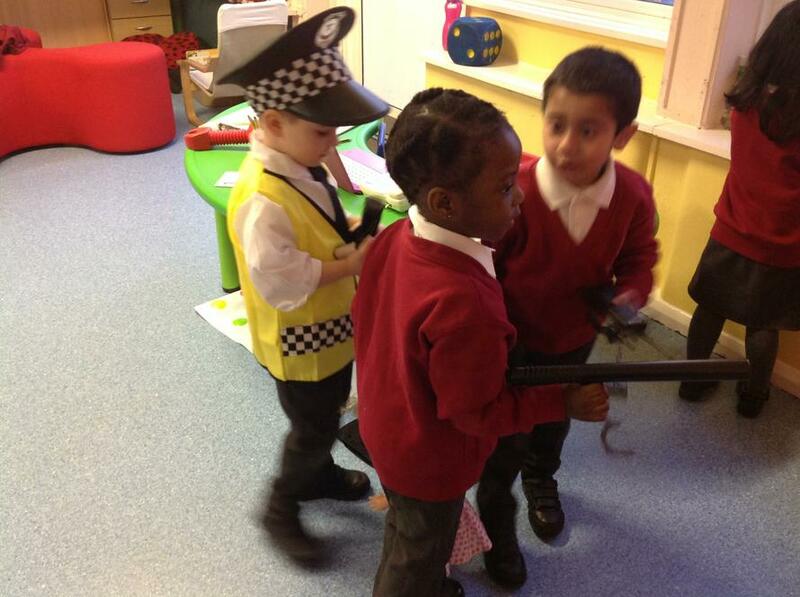 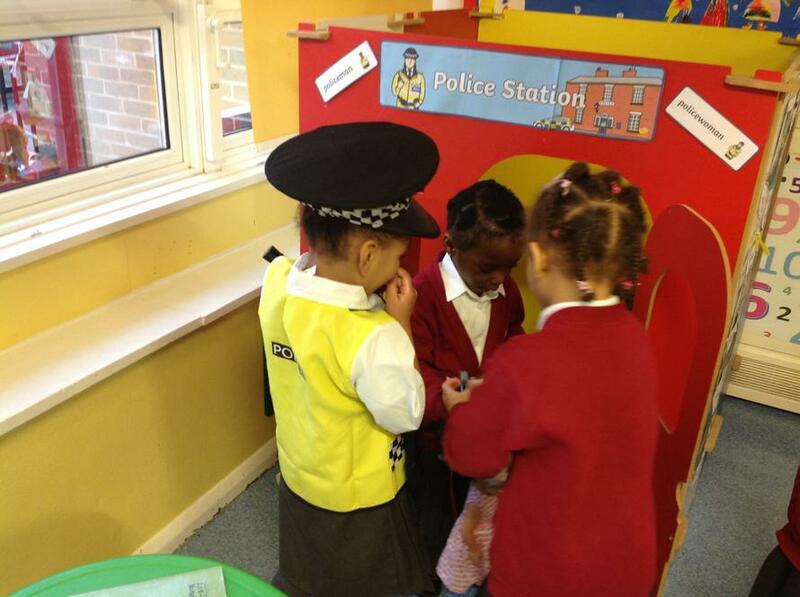 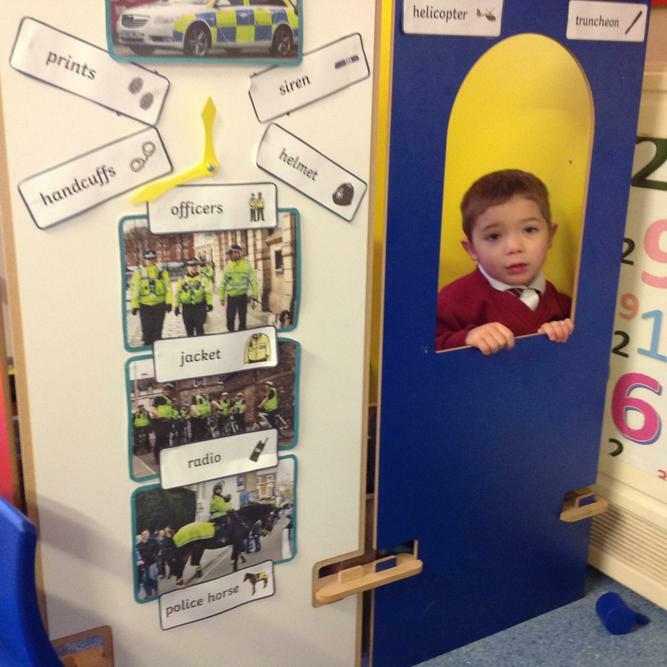 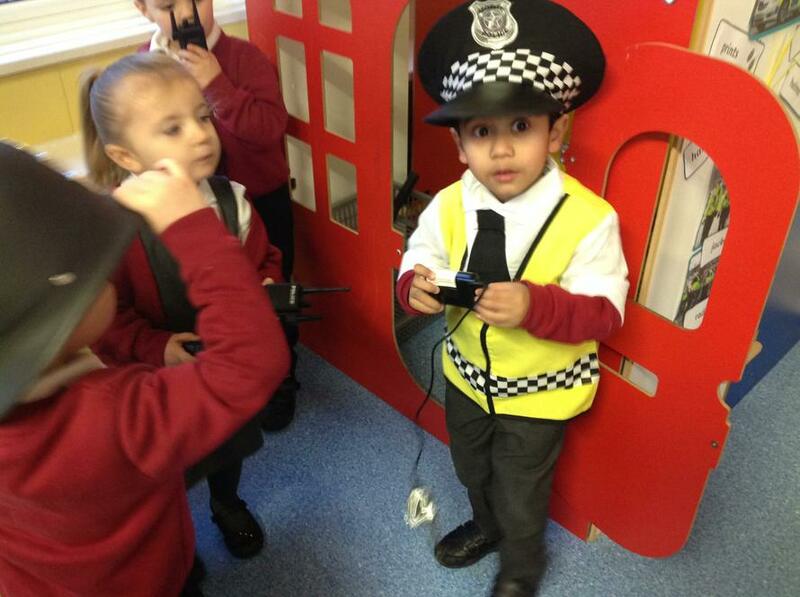 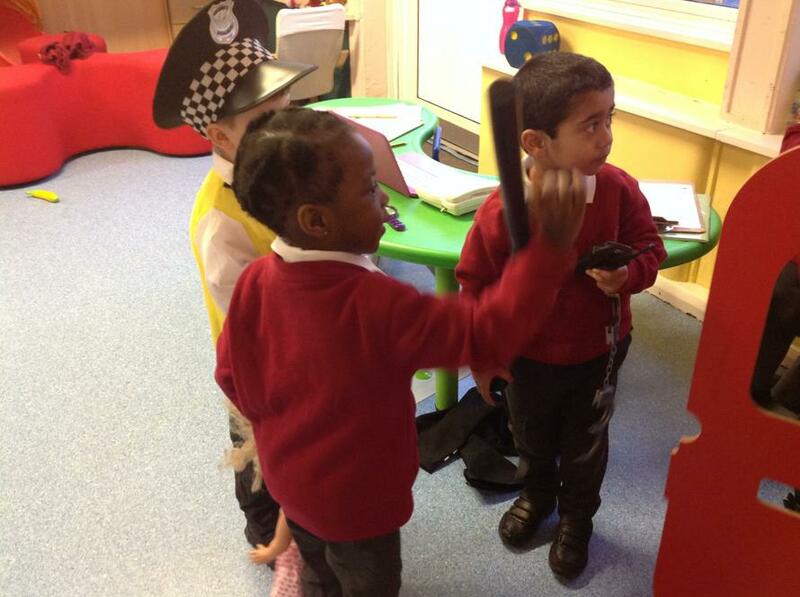 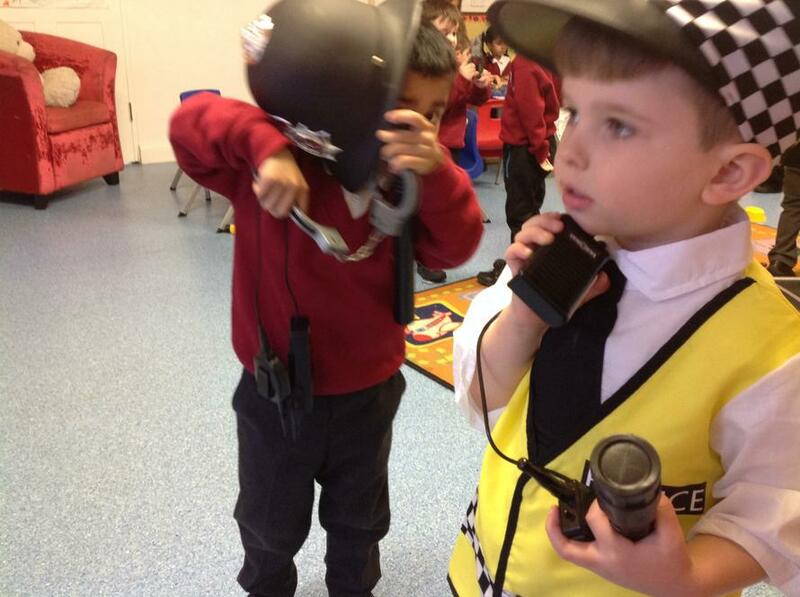 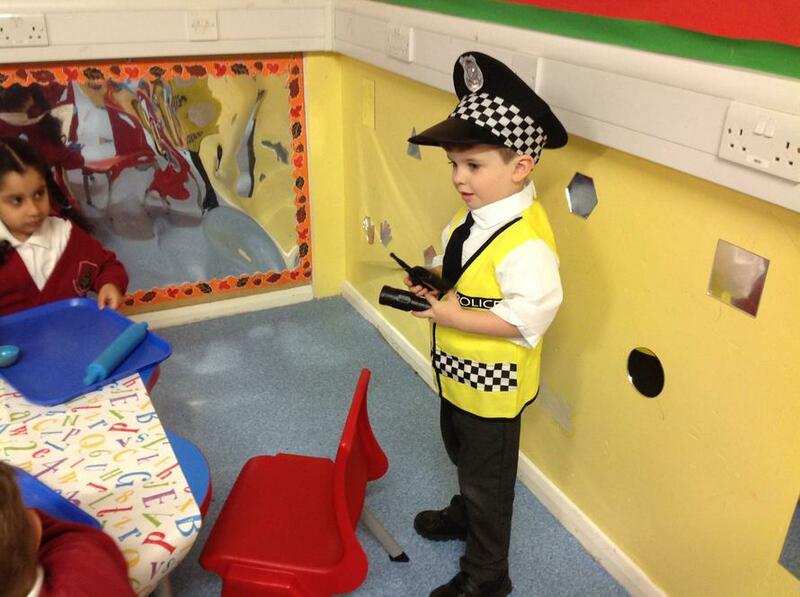 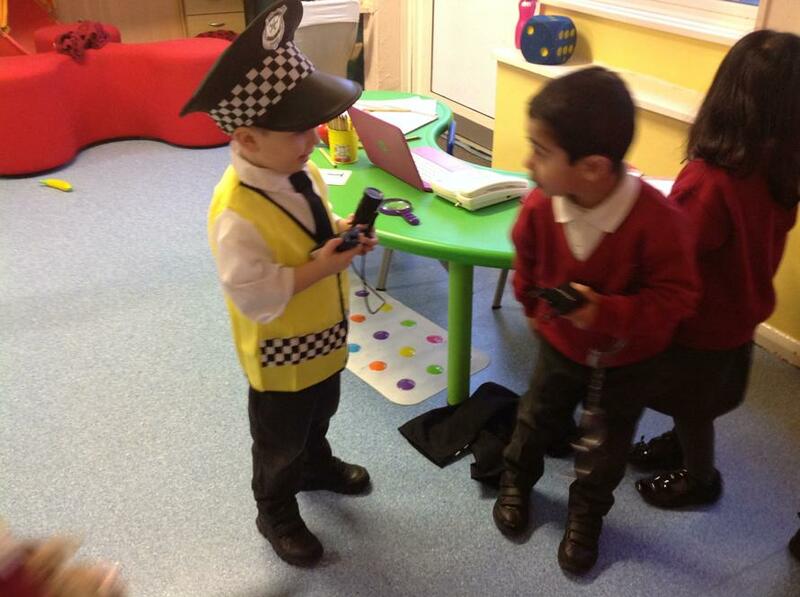 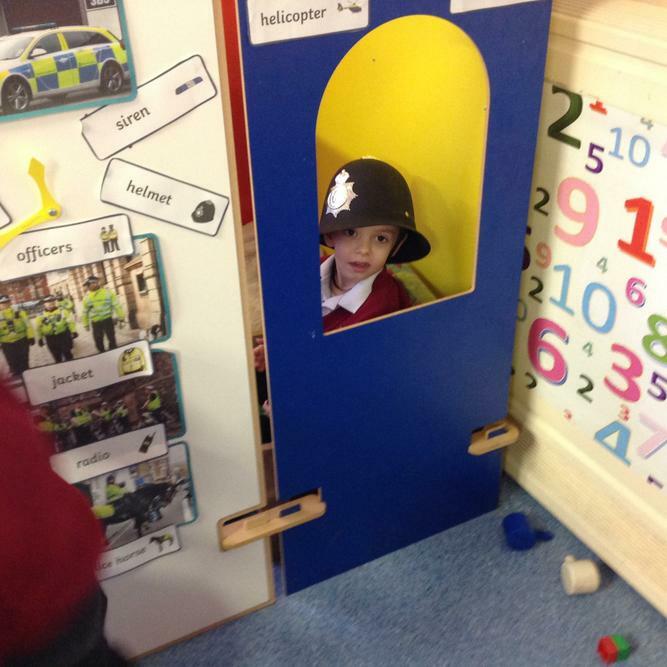 This was the children's favourite week of 'People who help us', they loved the police role-play area and have been investigating all week! 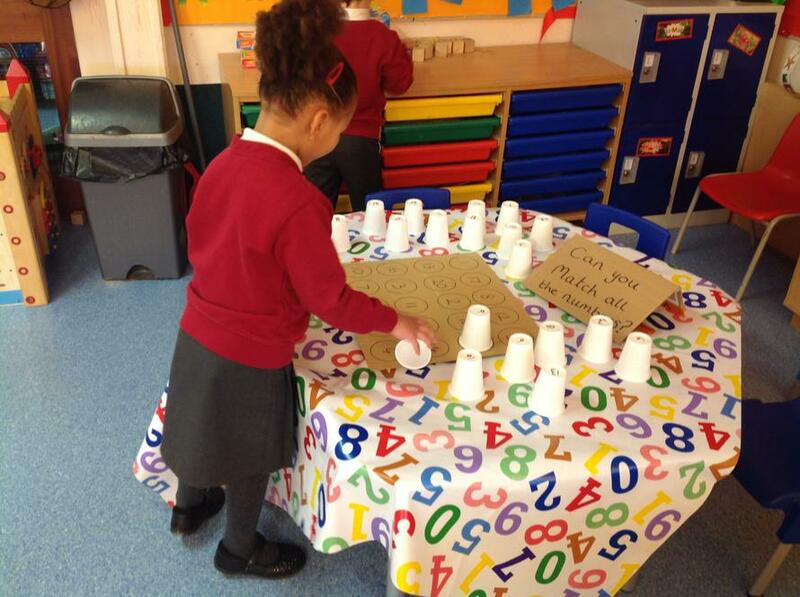 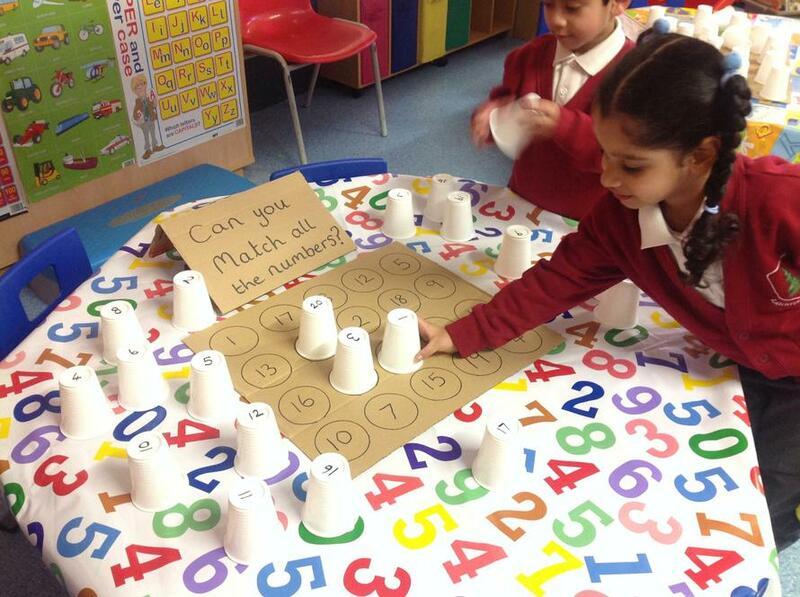 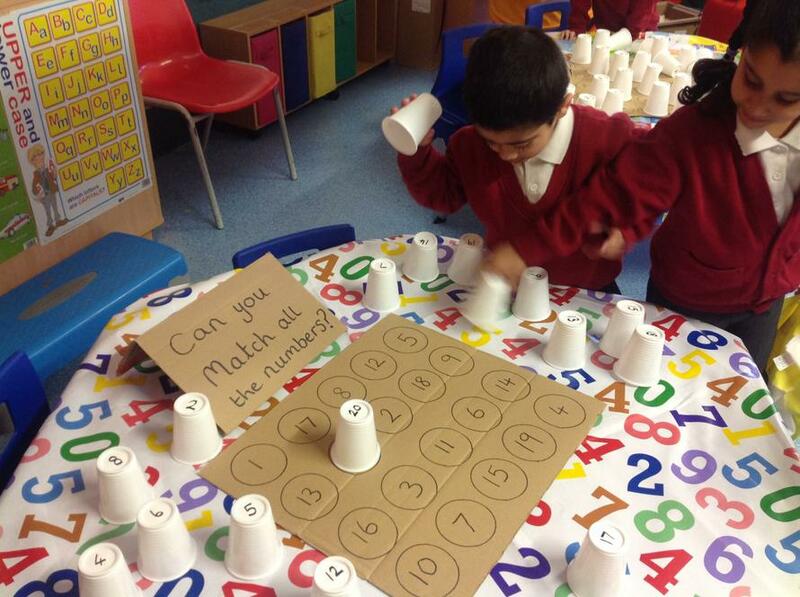 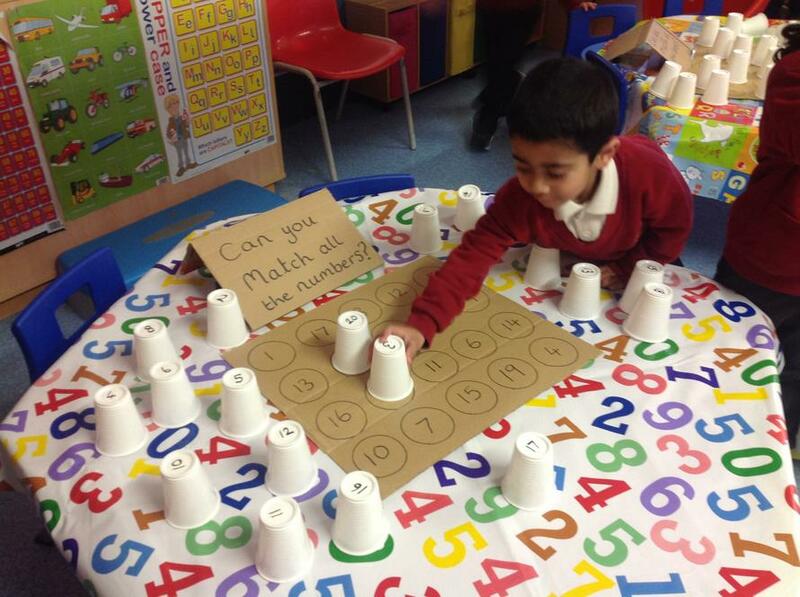 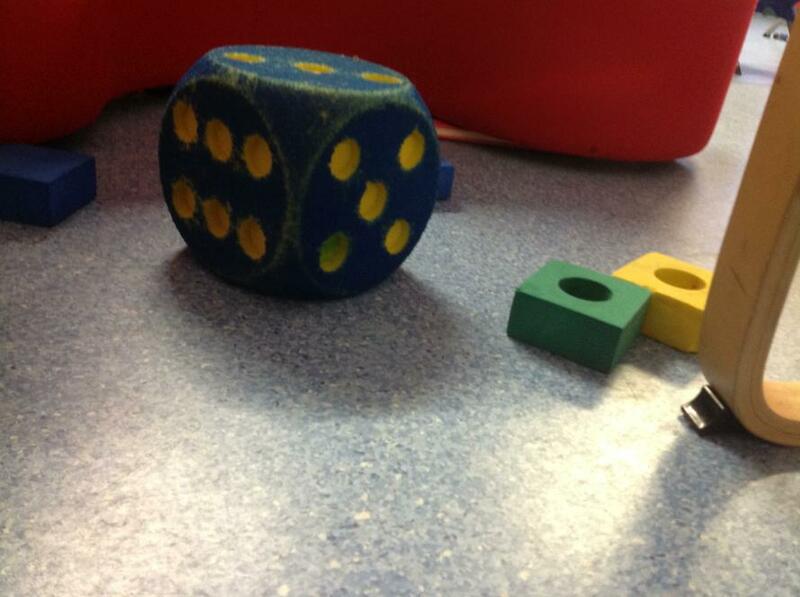 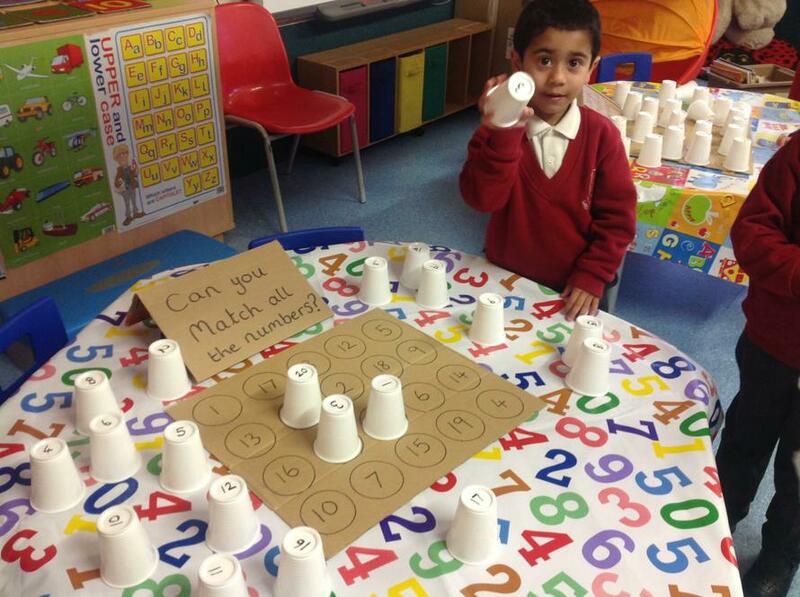 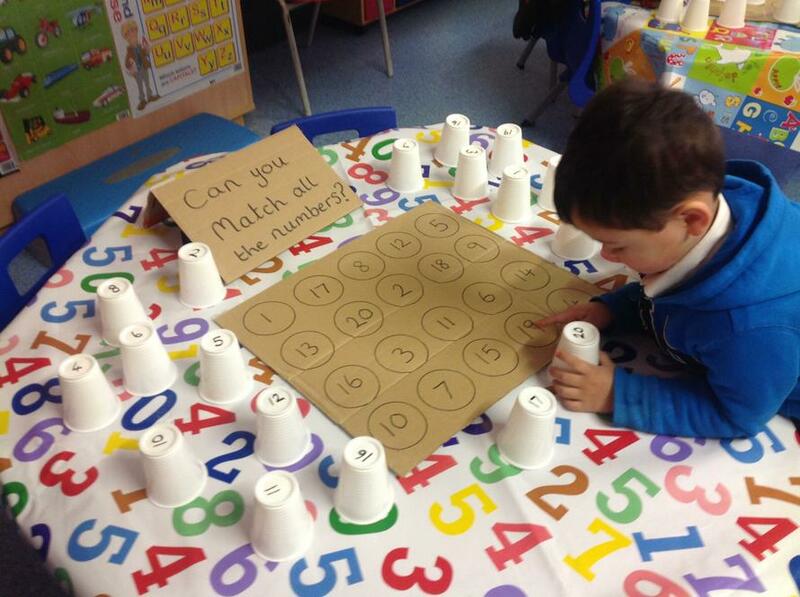 More challenges with number recognition and shapes! 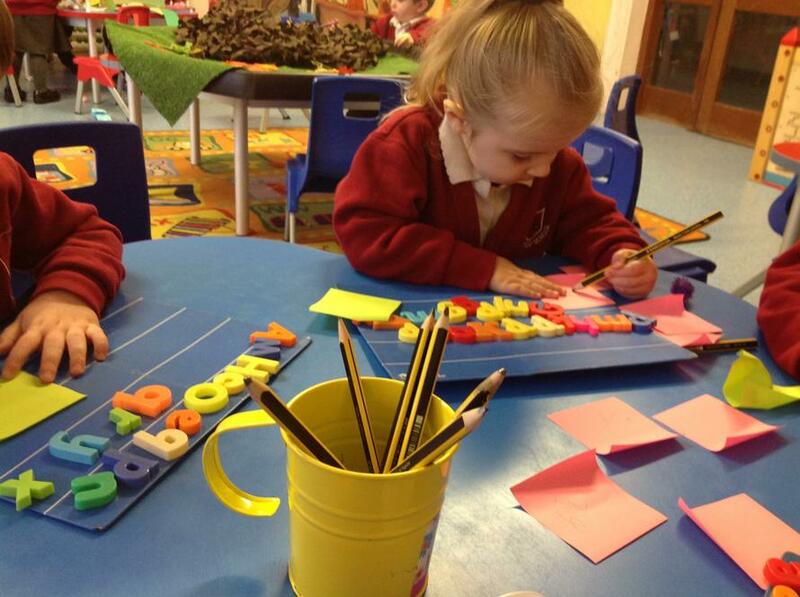 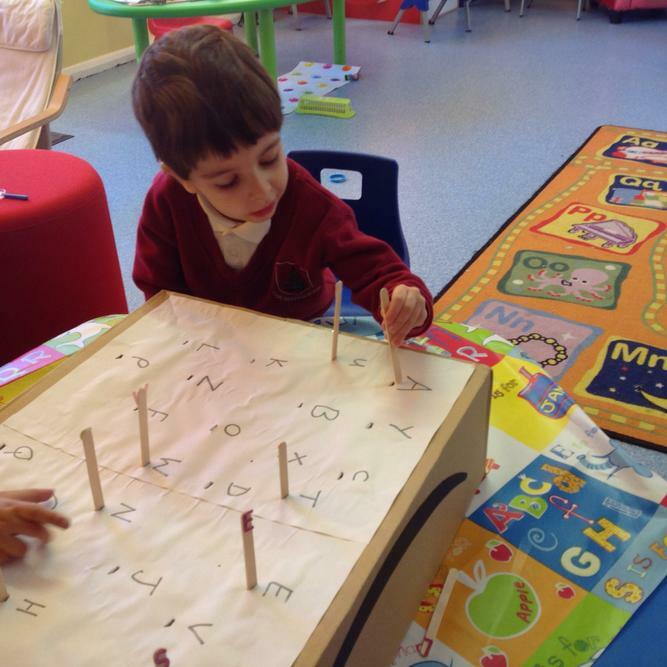 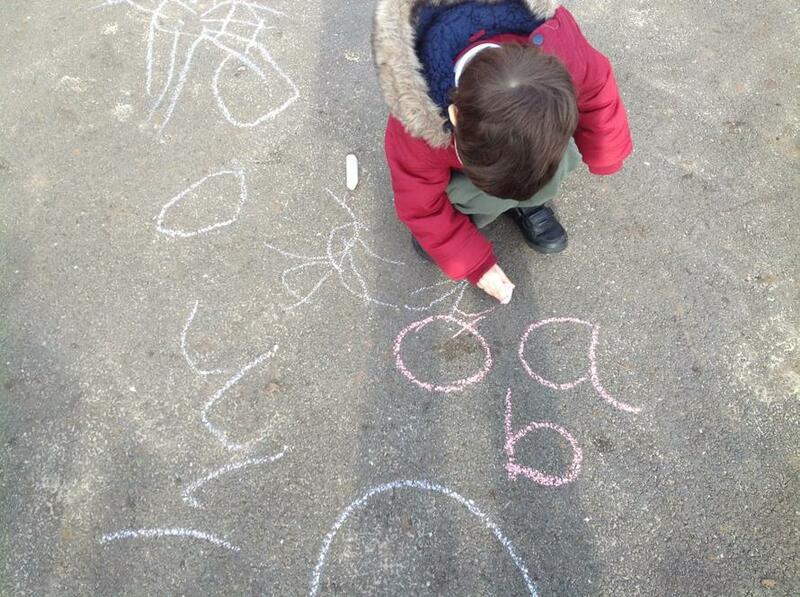 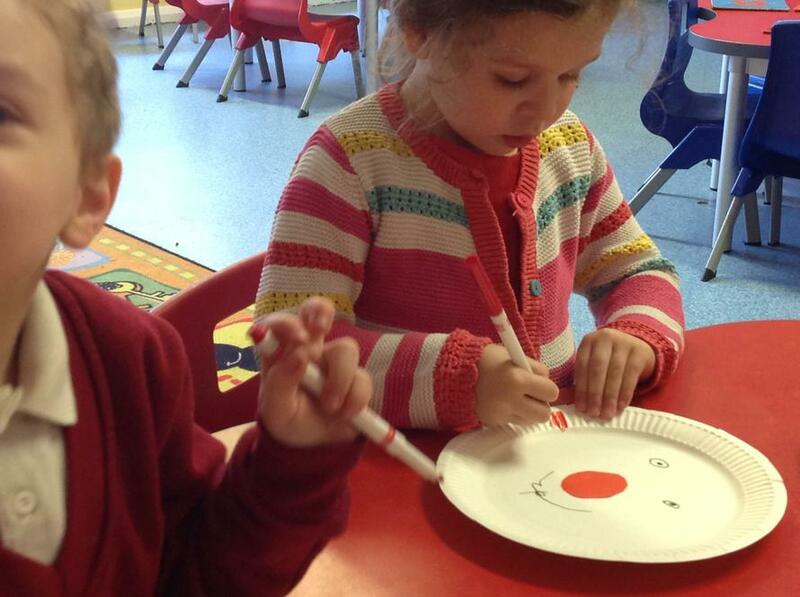 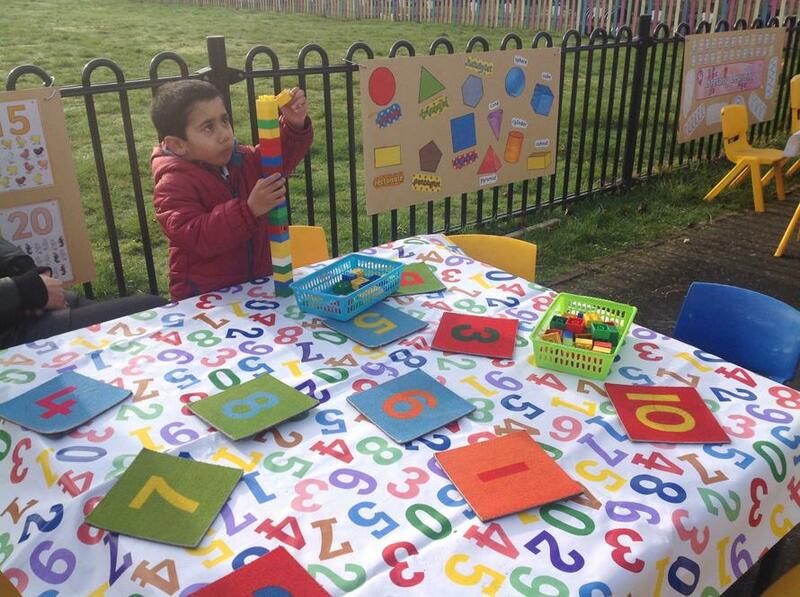 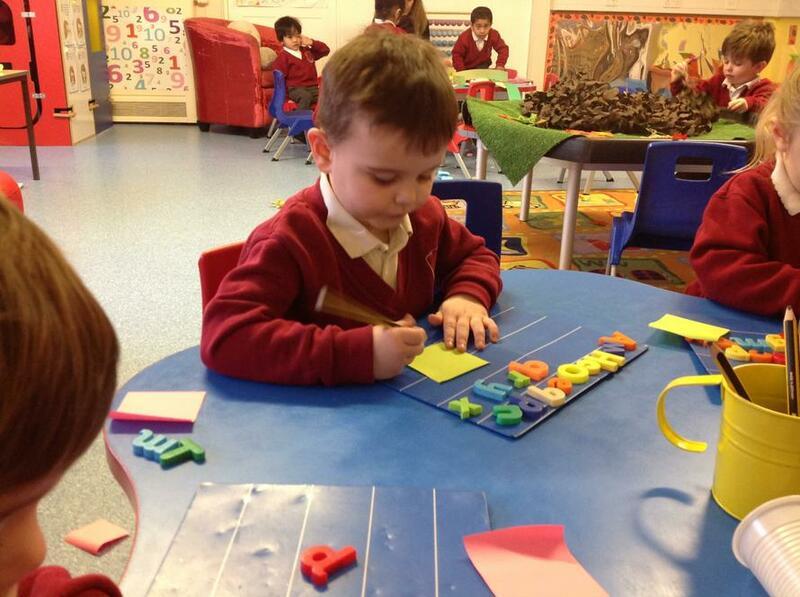 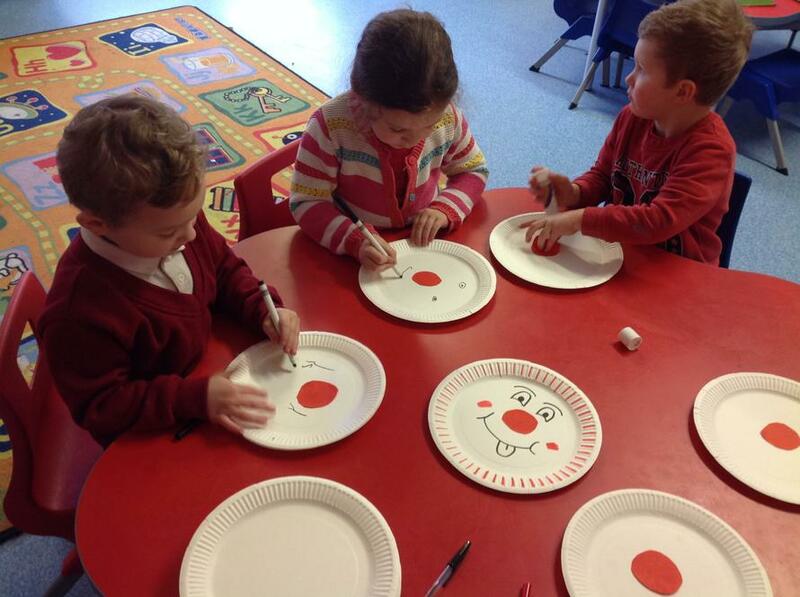 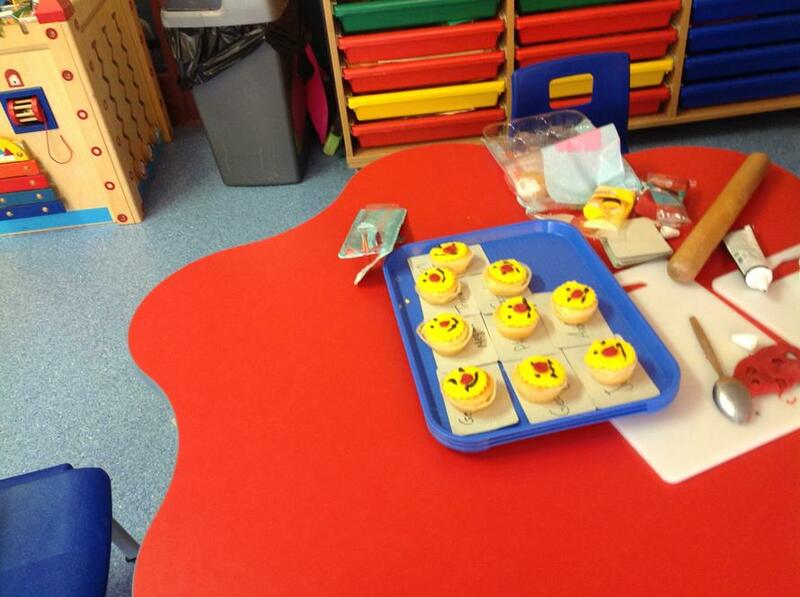 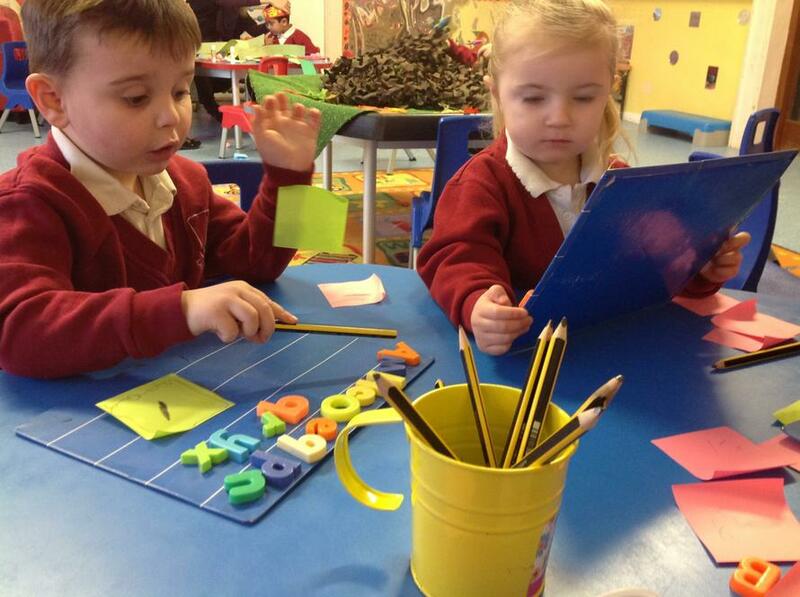 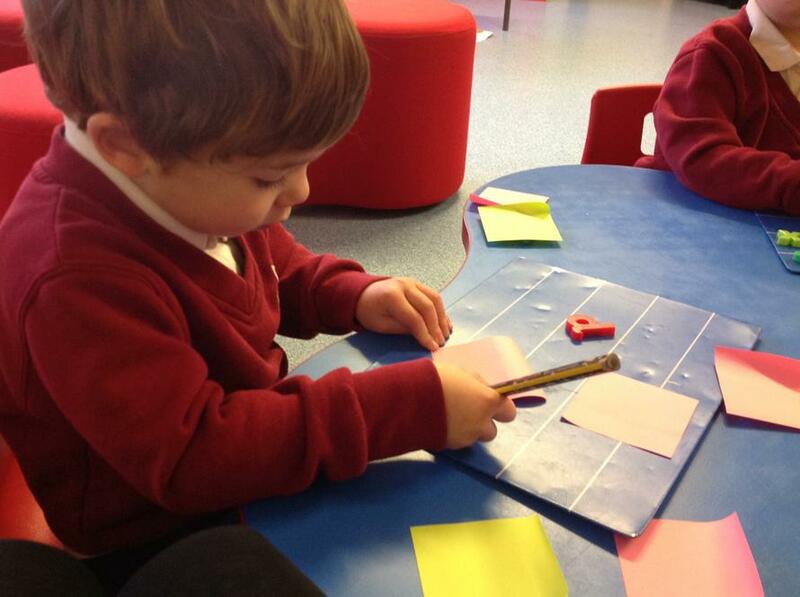 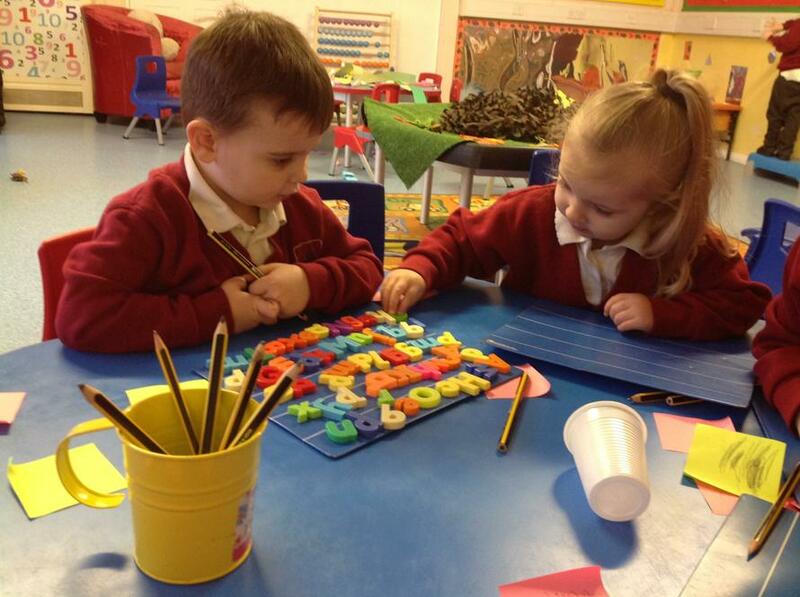 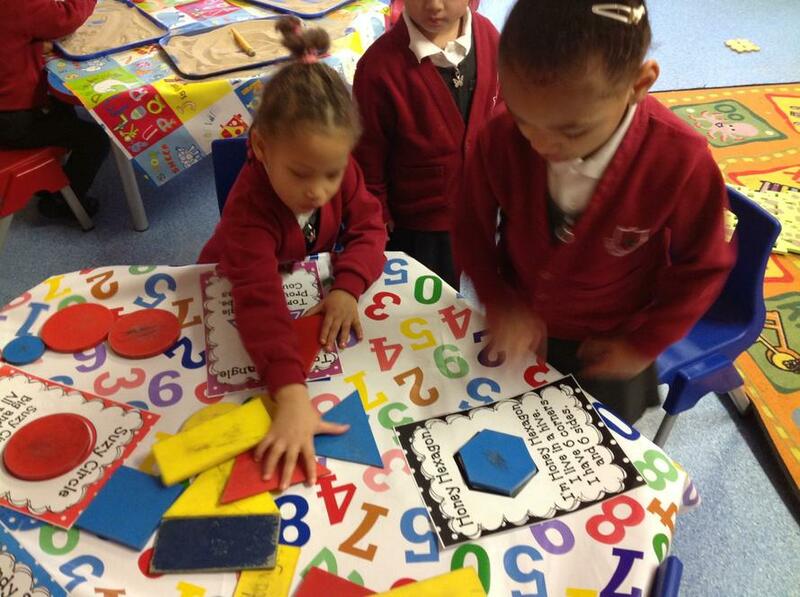 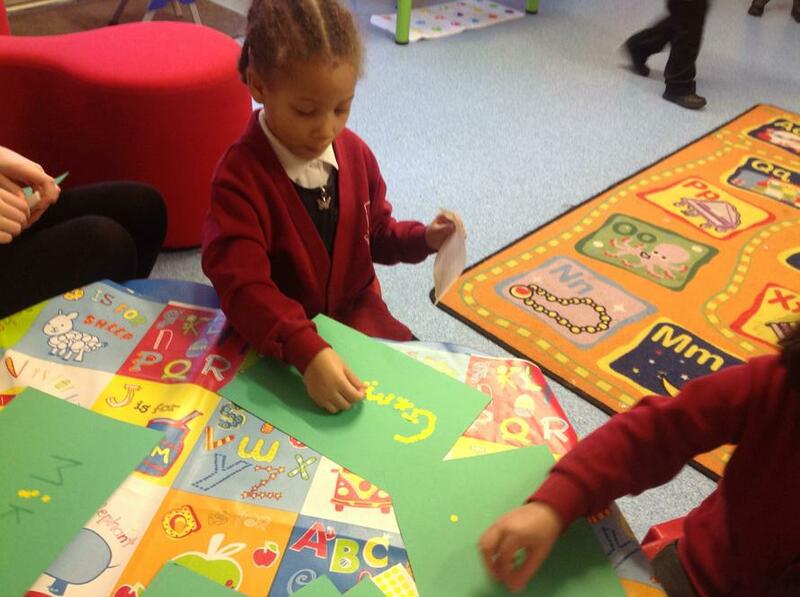 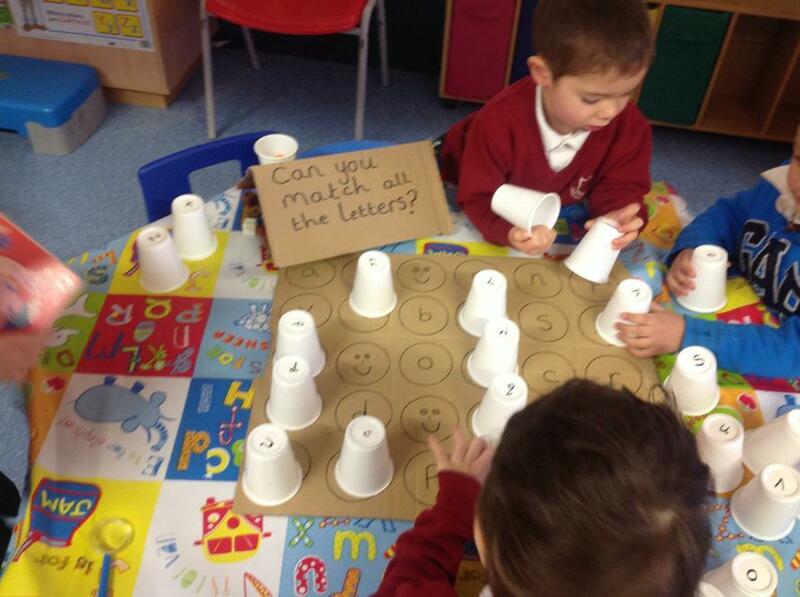 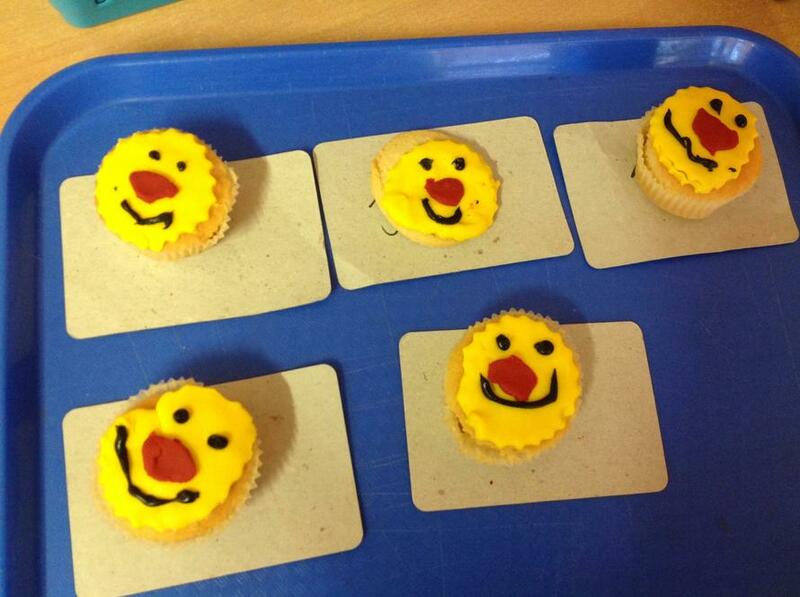 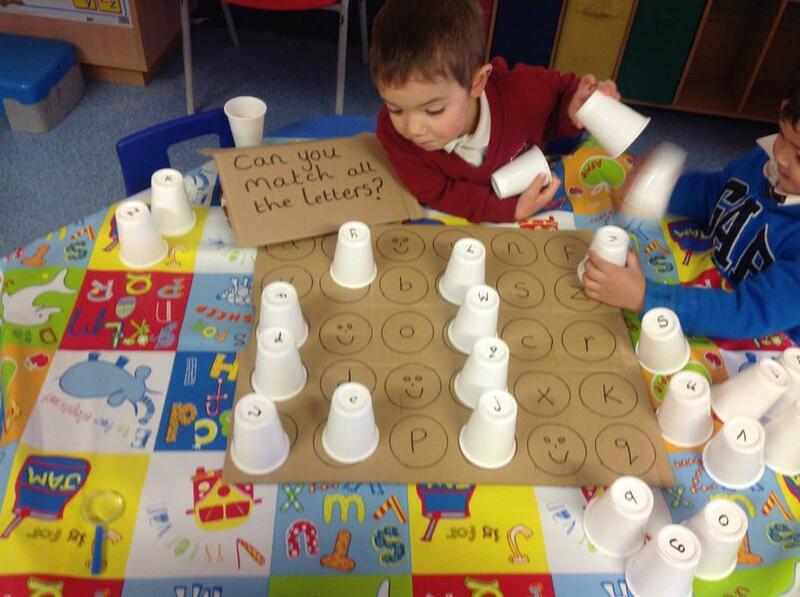 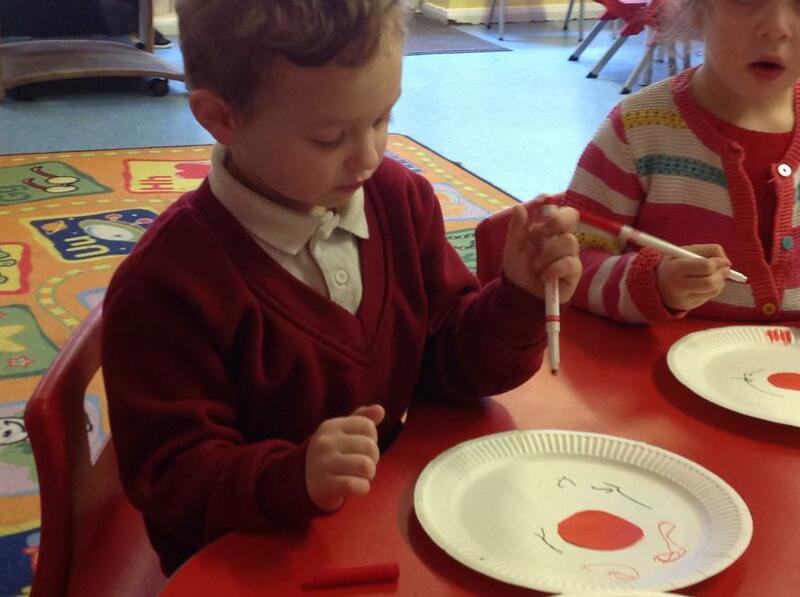 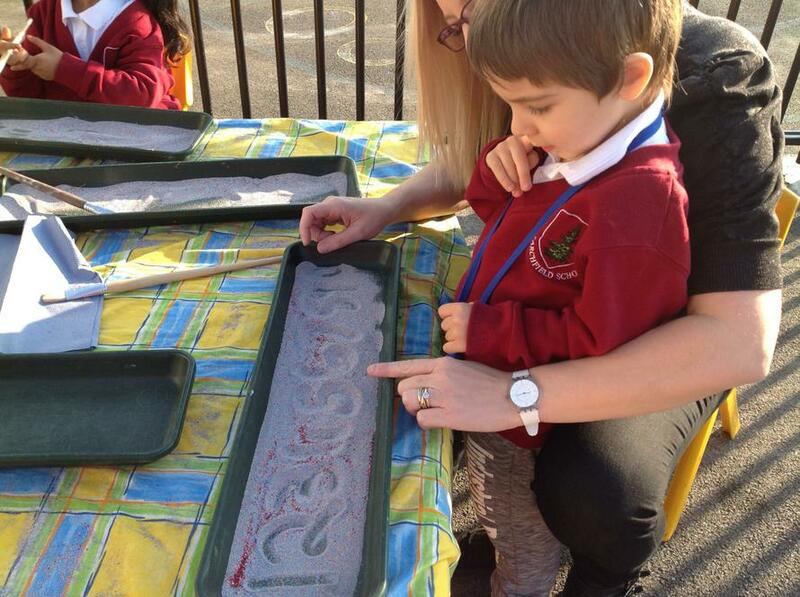 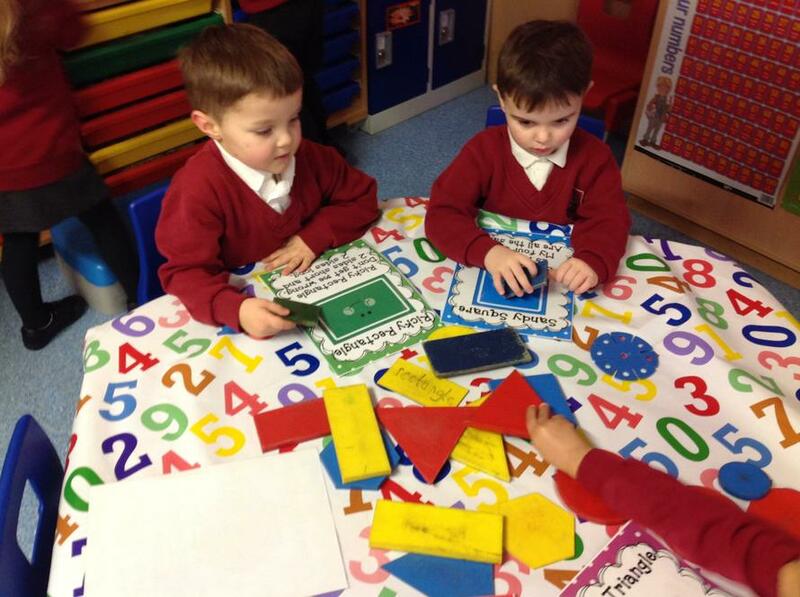 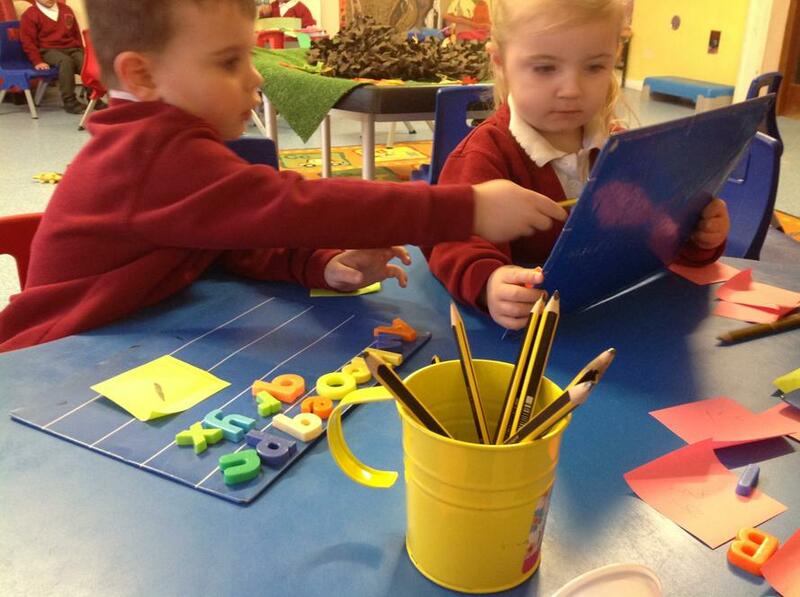 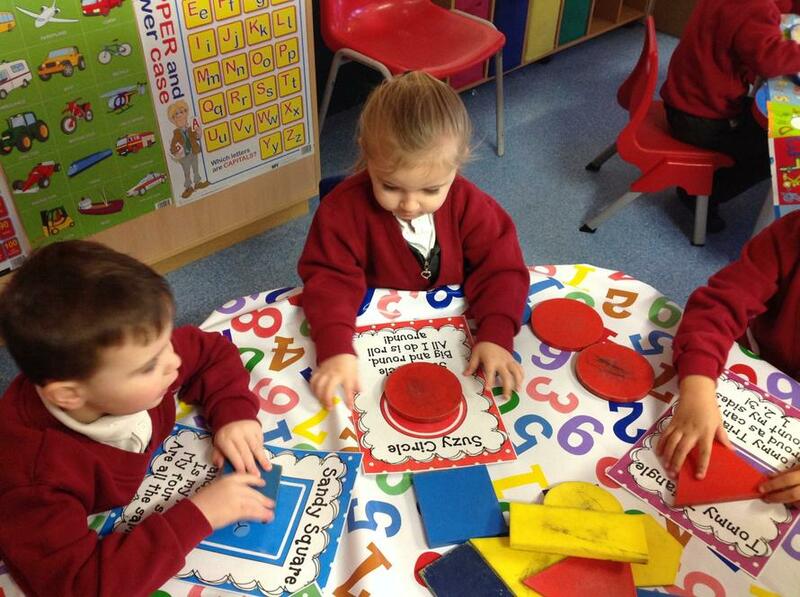 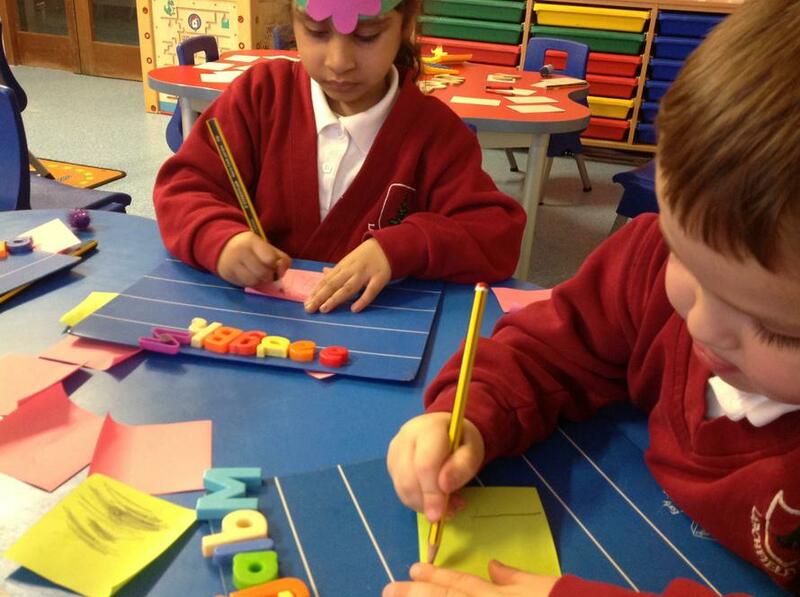 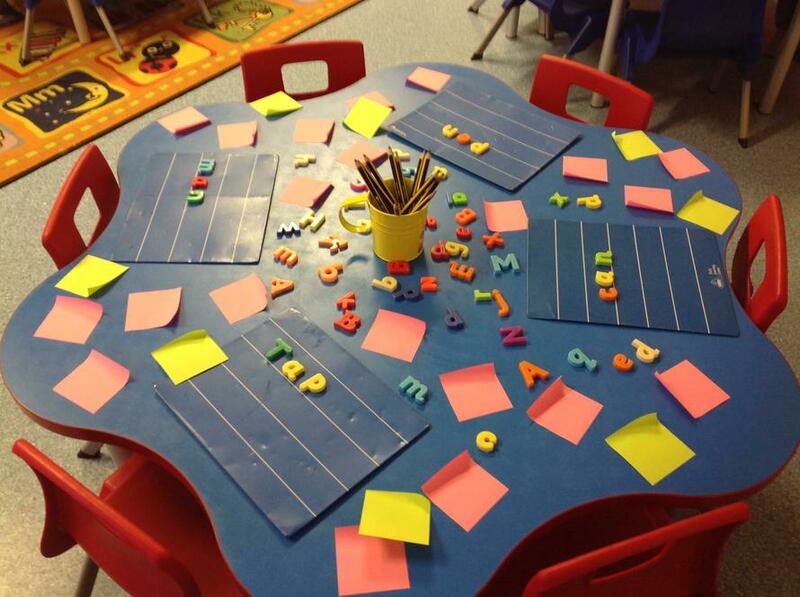 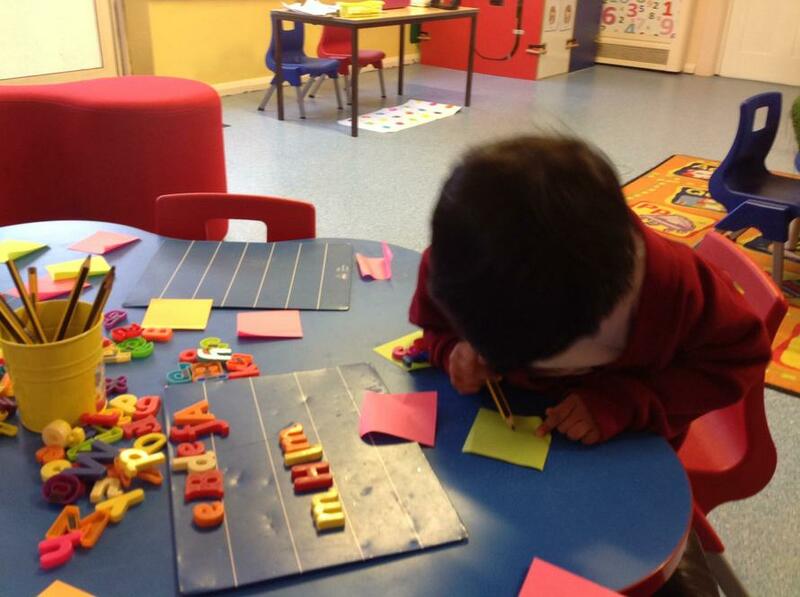 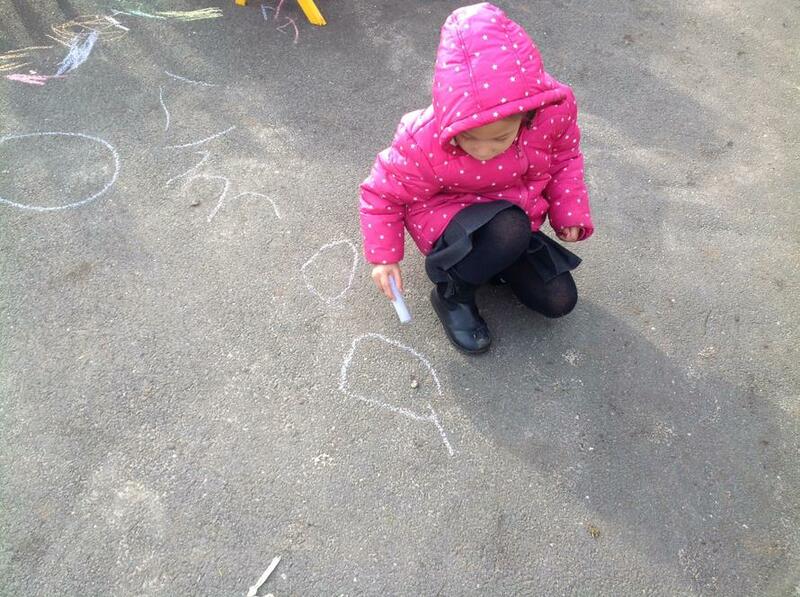 Letter matching and mark making, so proud of all the children, they really enjoyed the challenges! 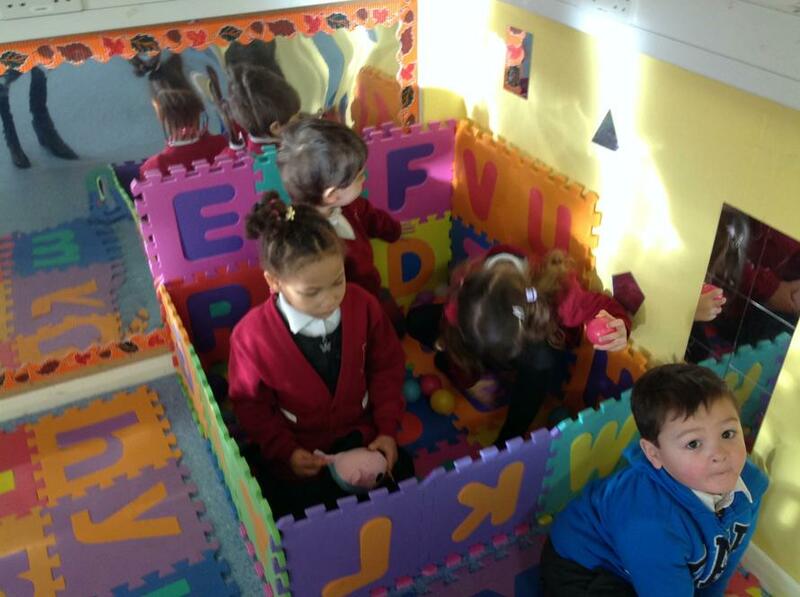 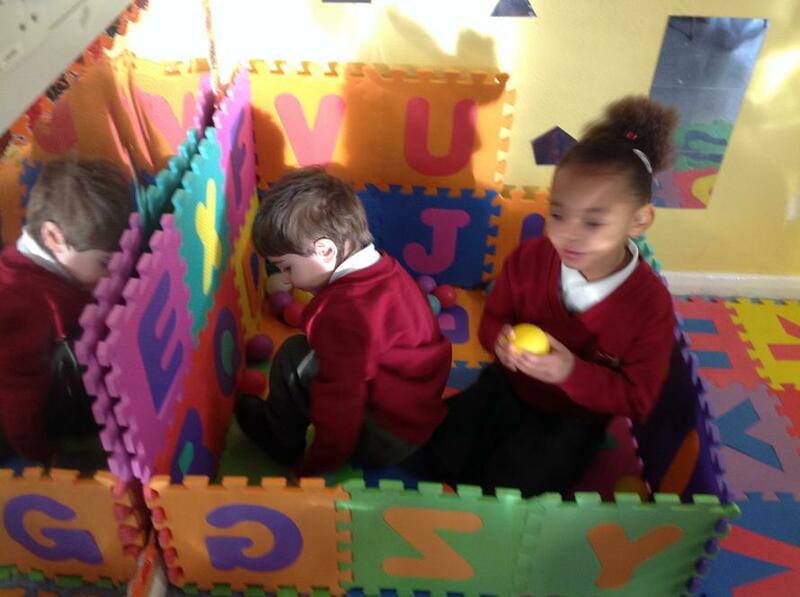 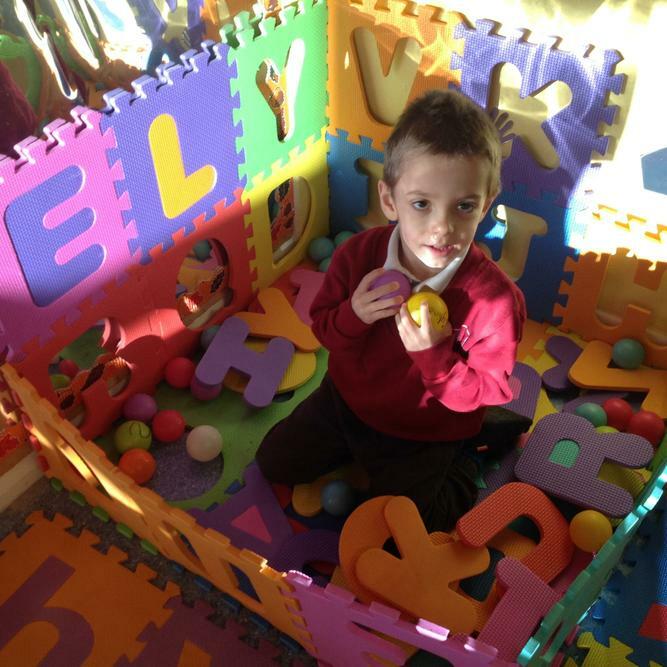 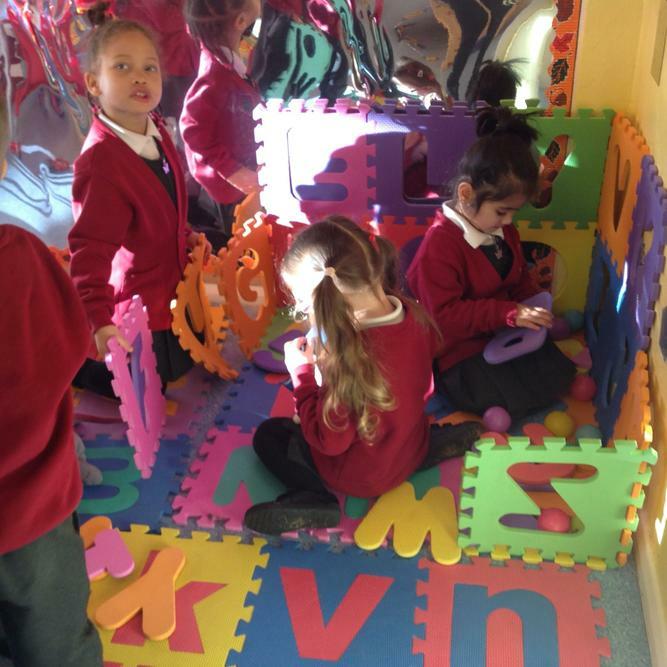 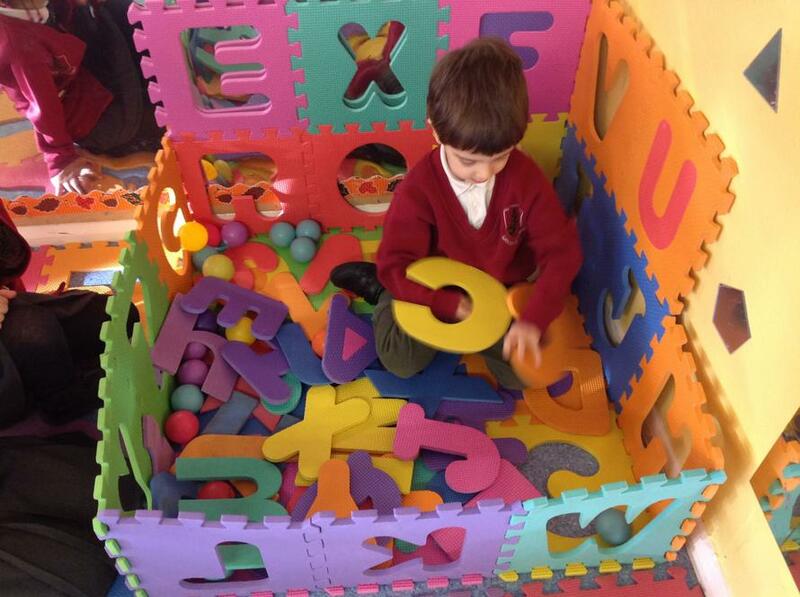 The children had a great time playing with the literacy ball pit! 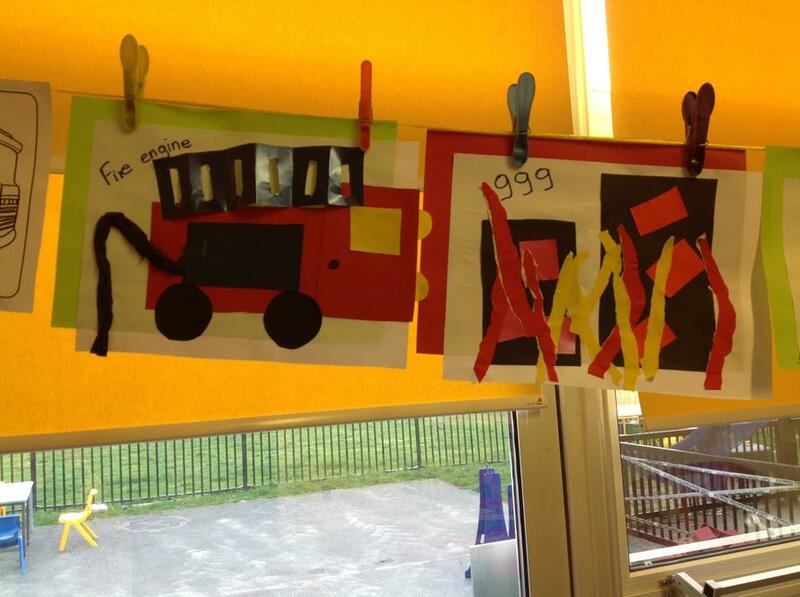 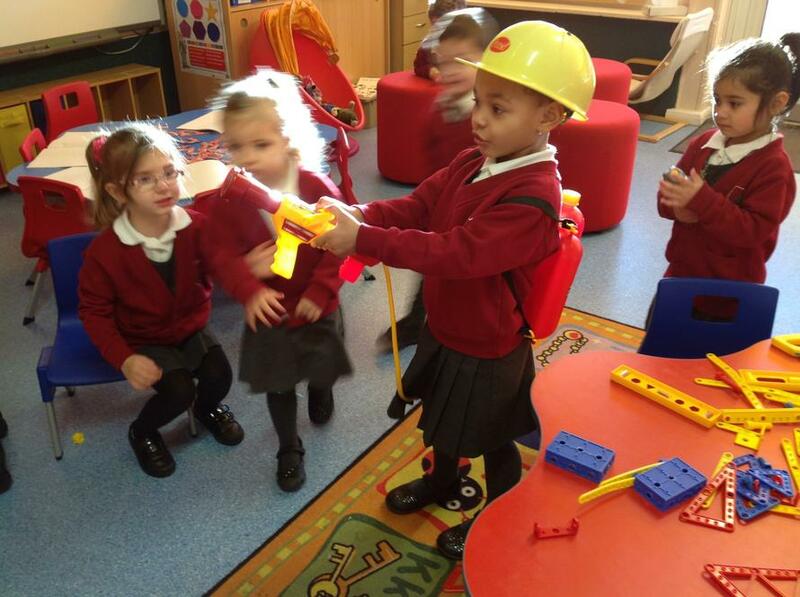 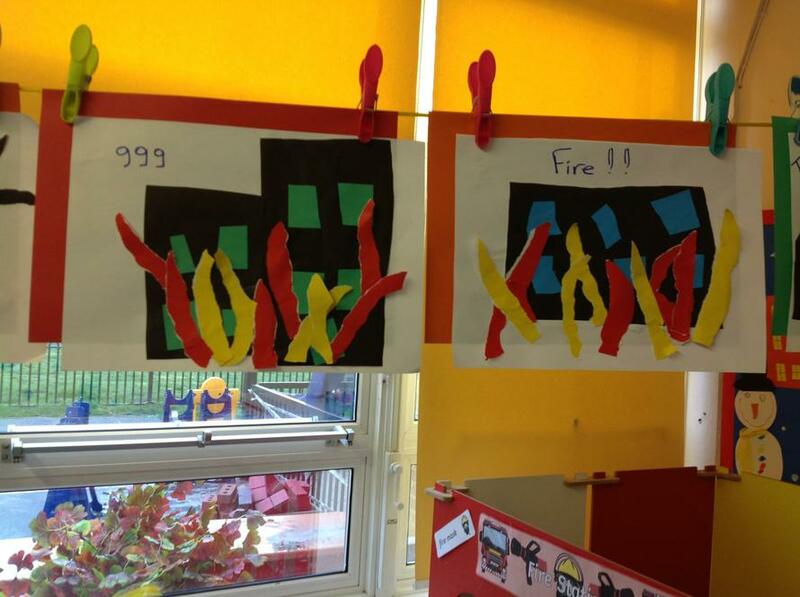 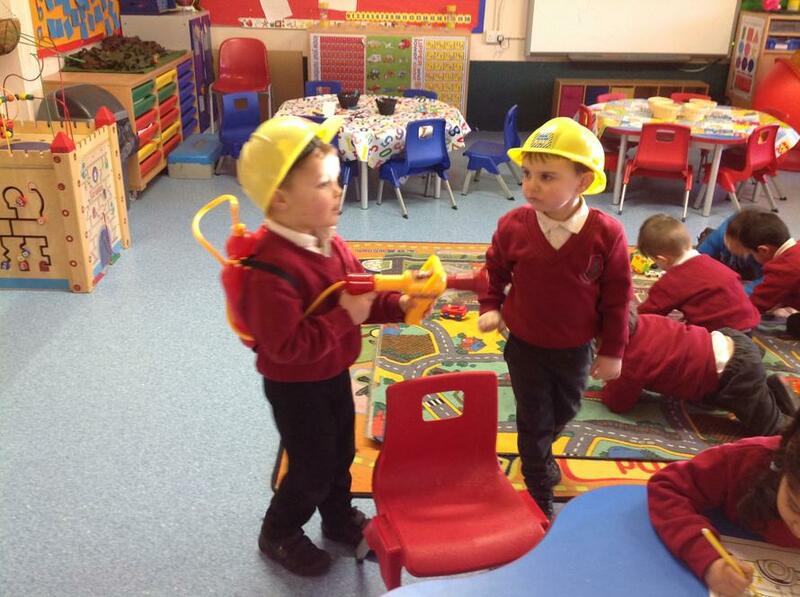 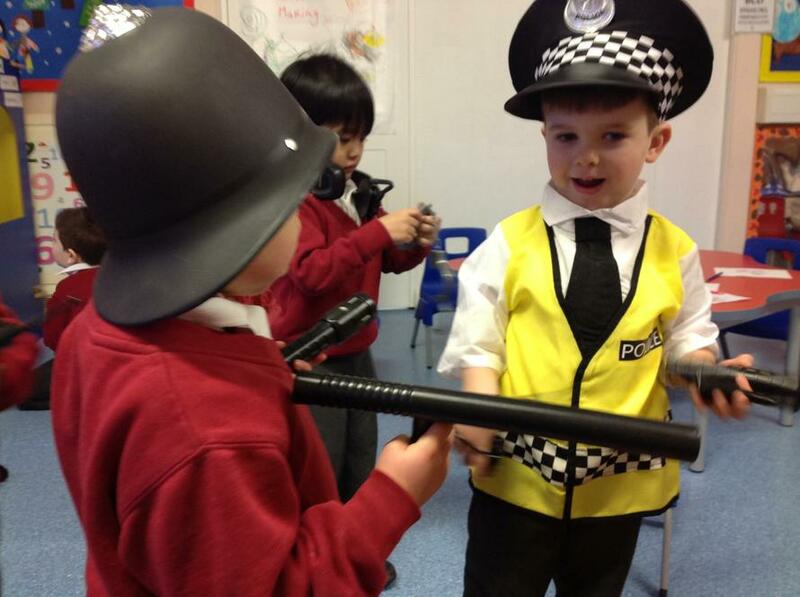 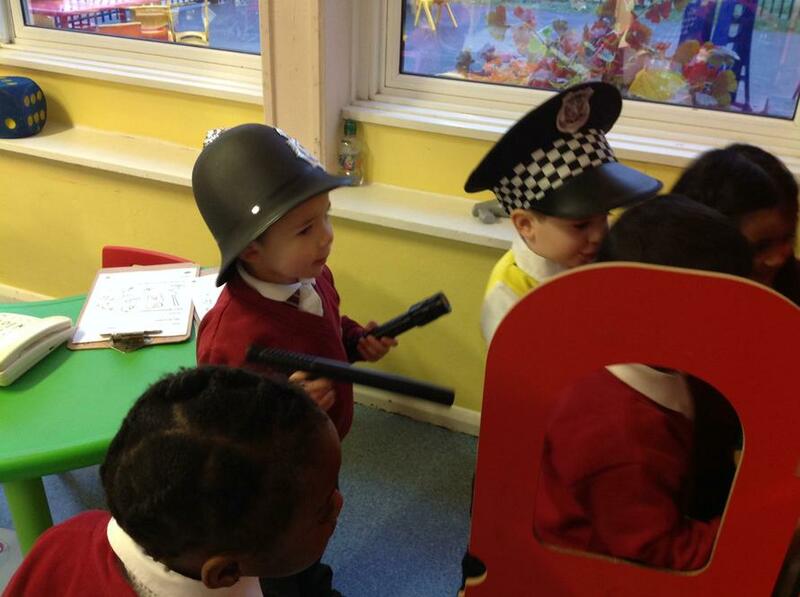 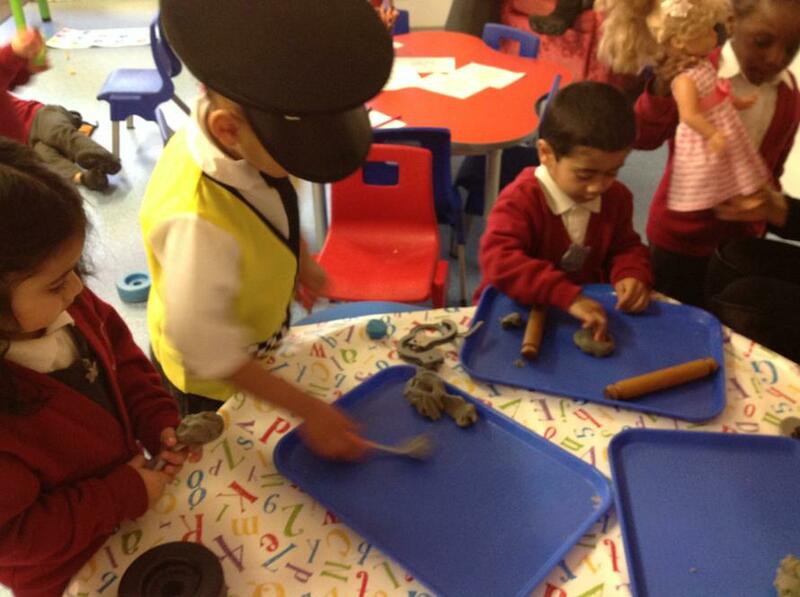 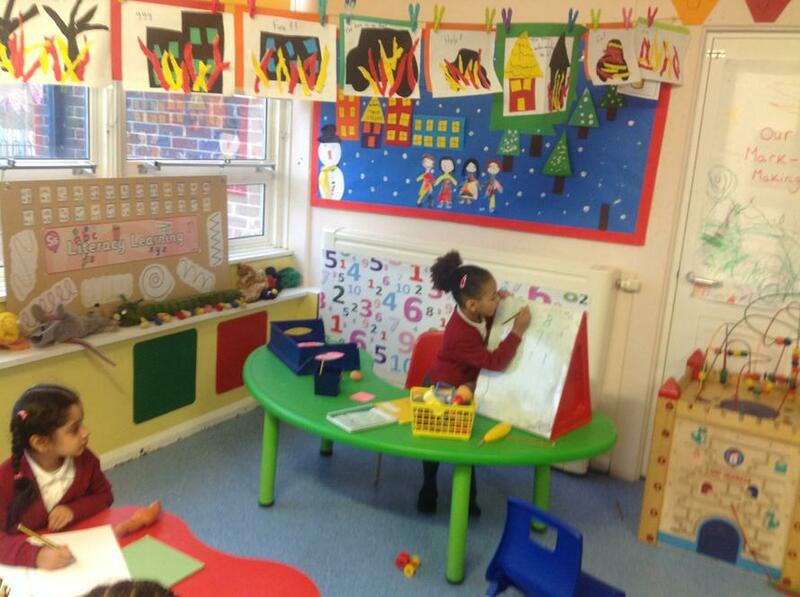 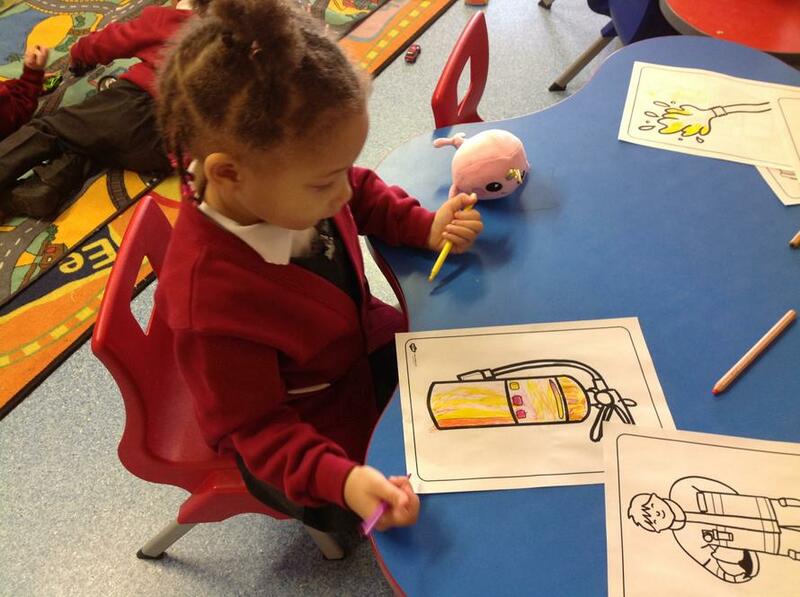 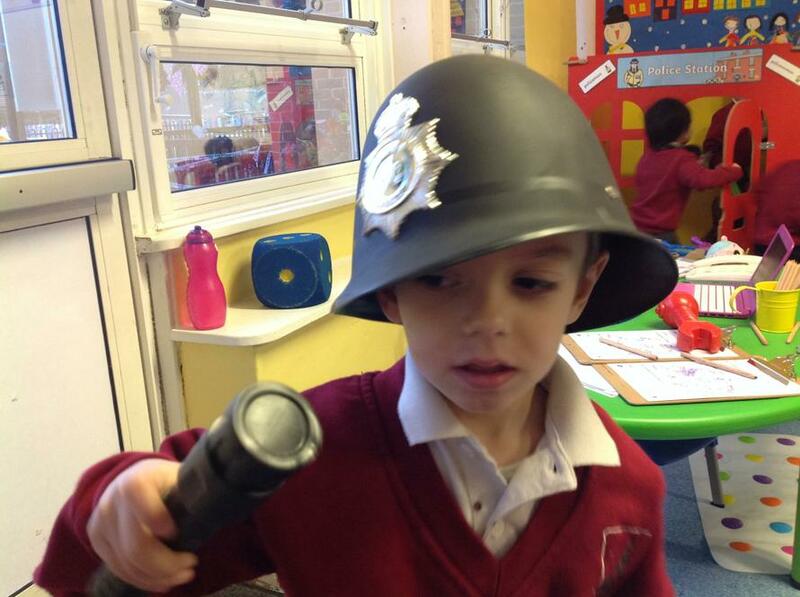 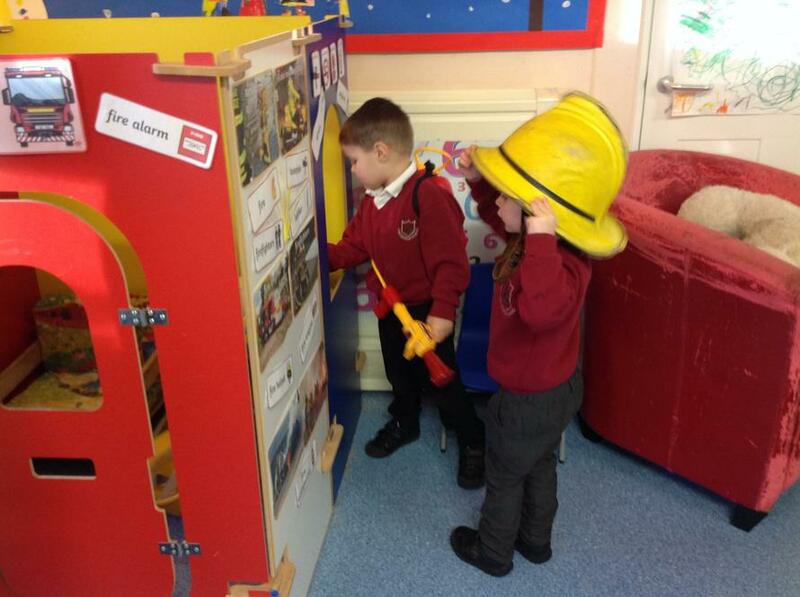 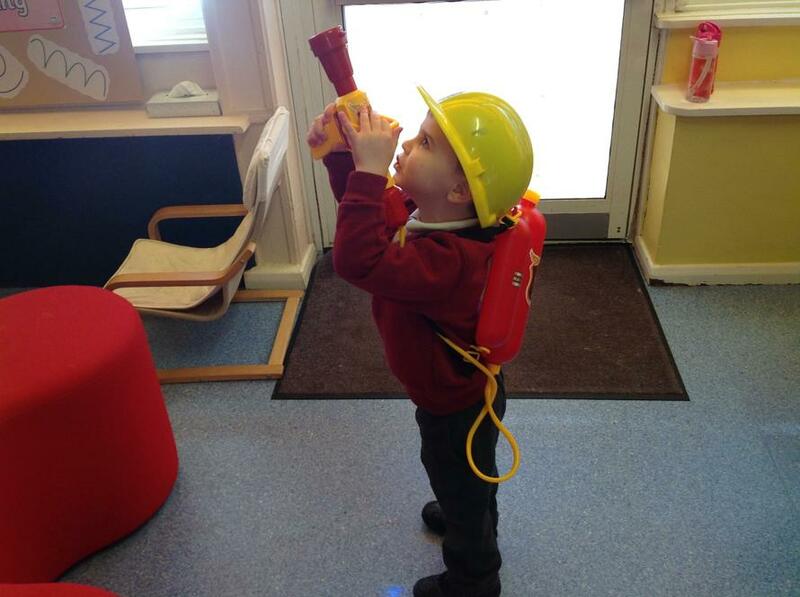 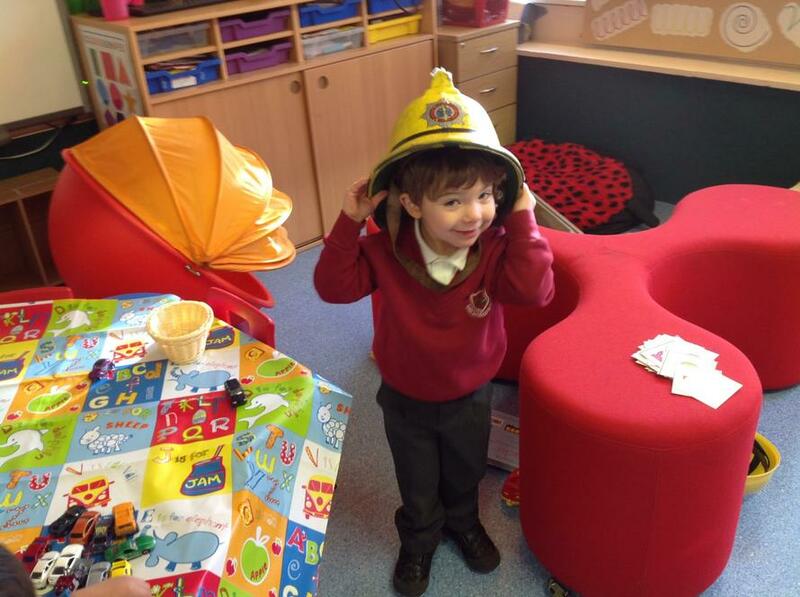 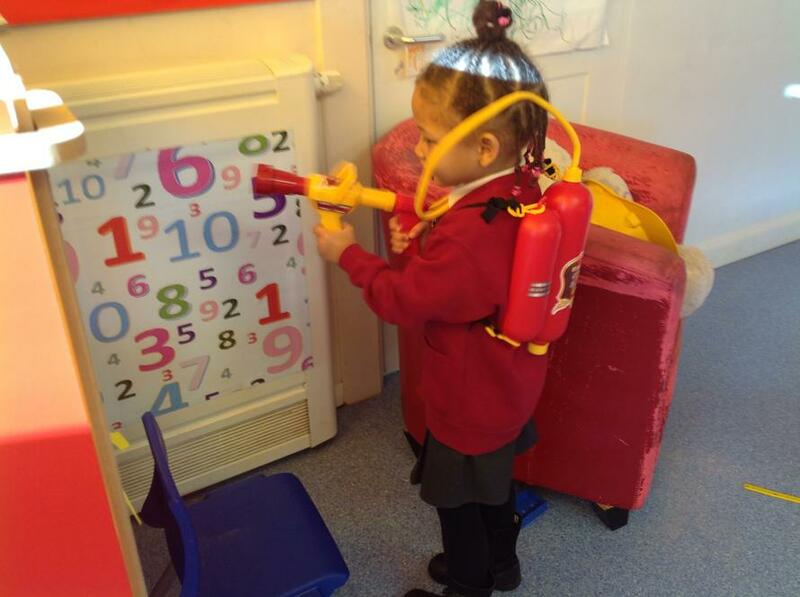 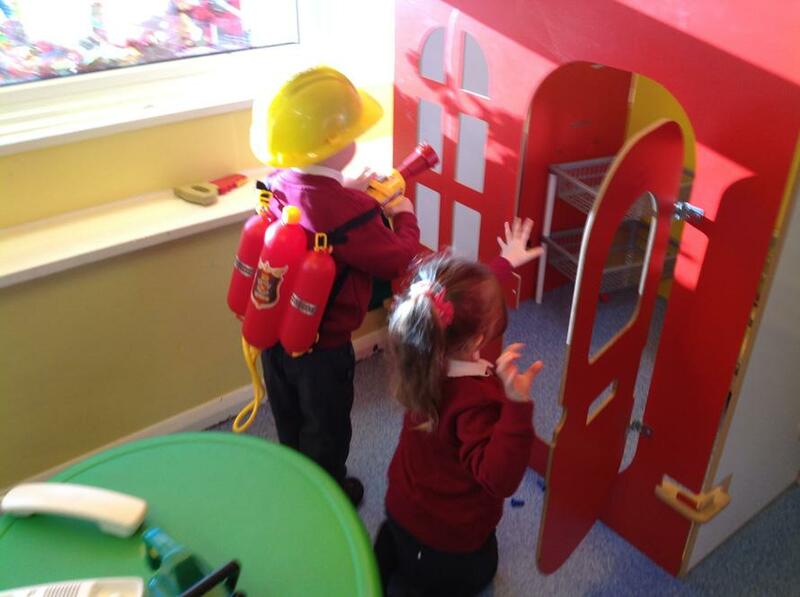 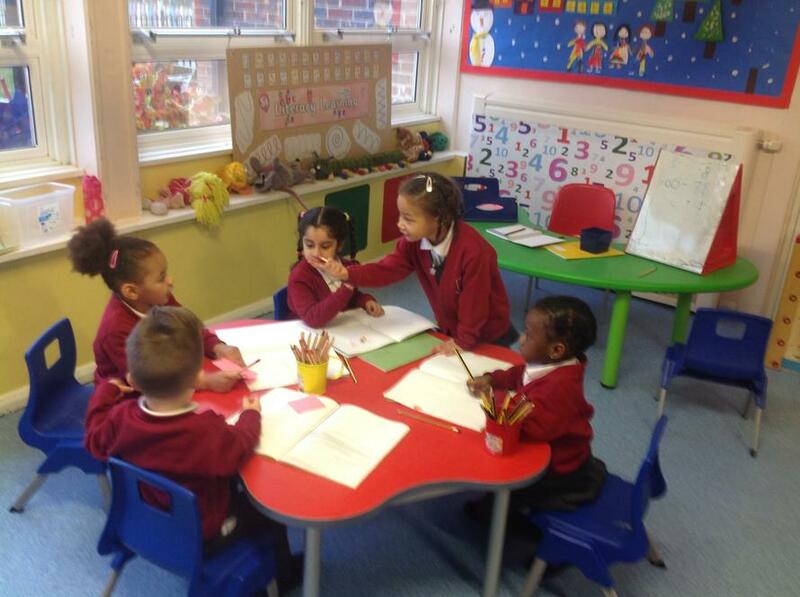 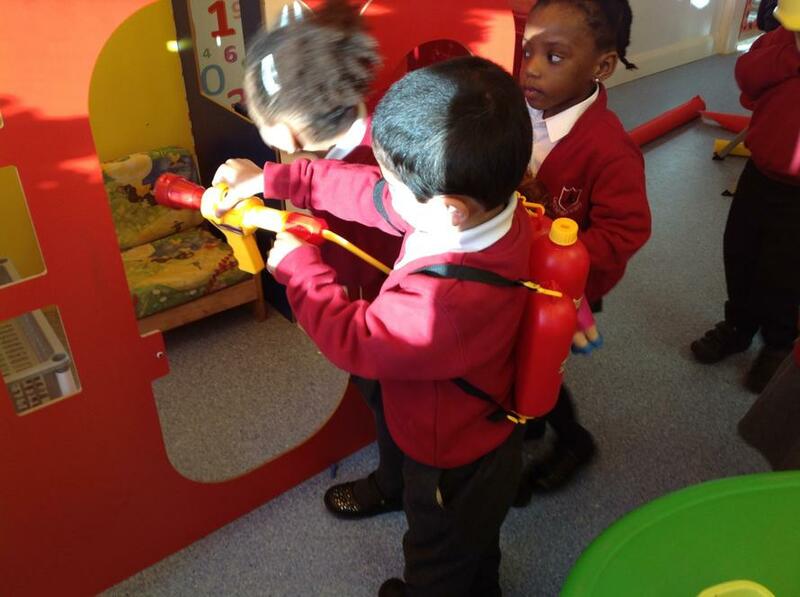 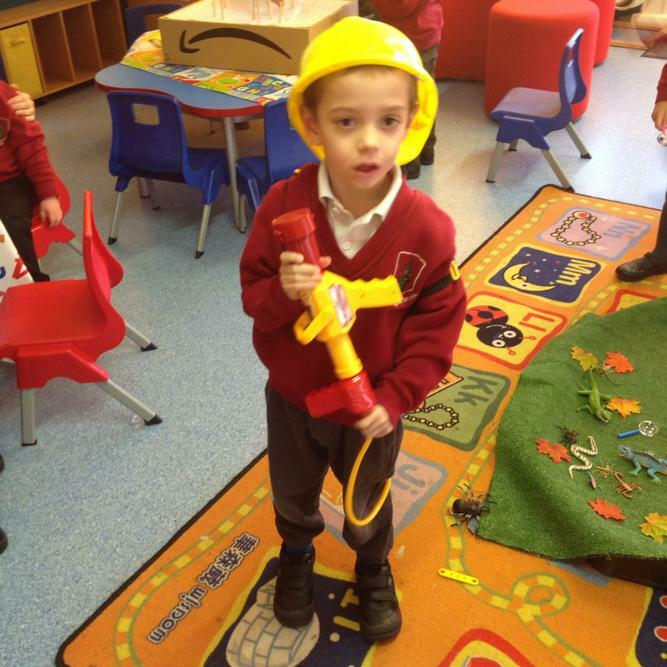 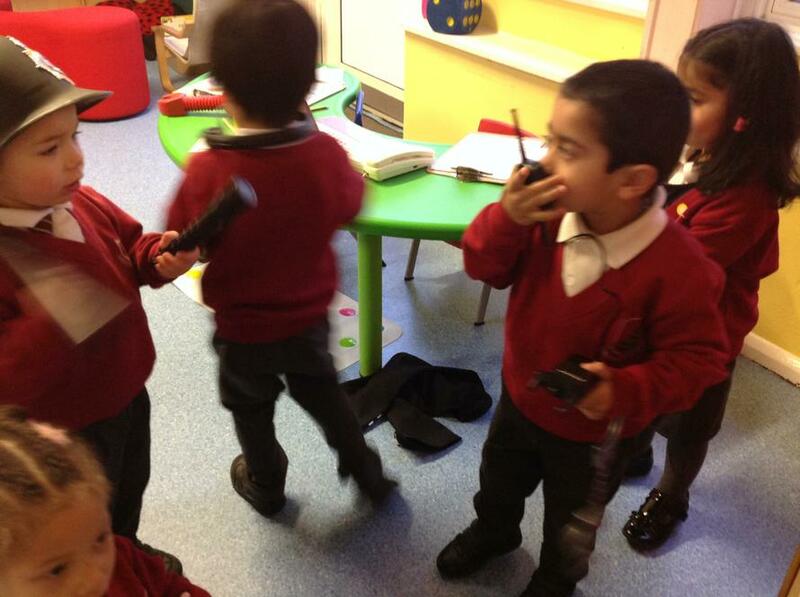 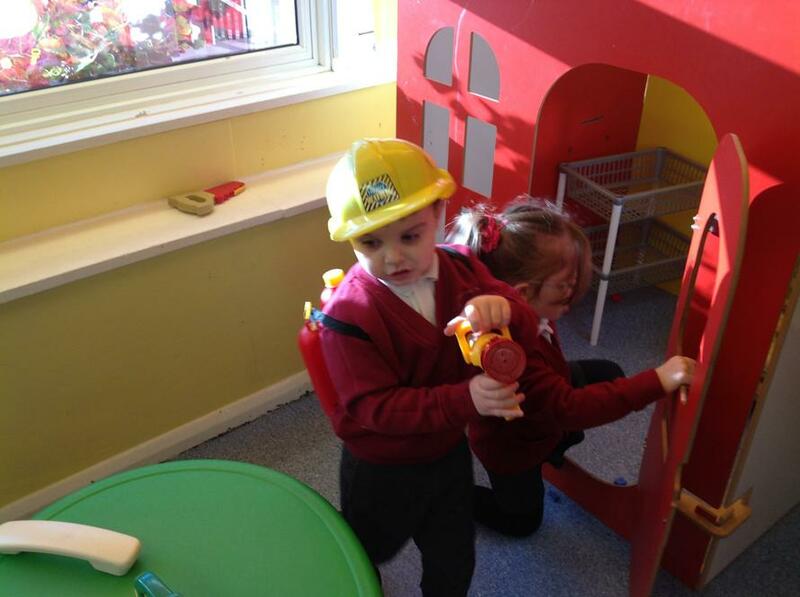 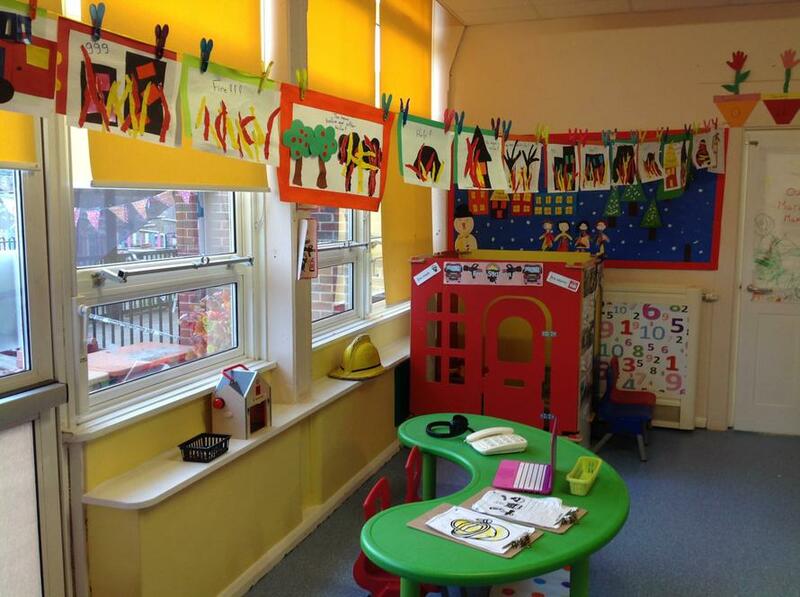 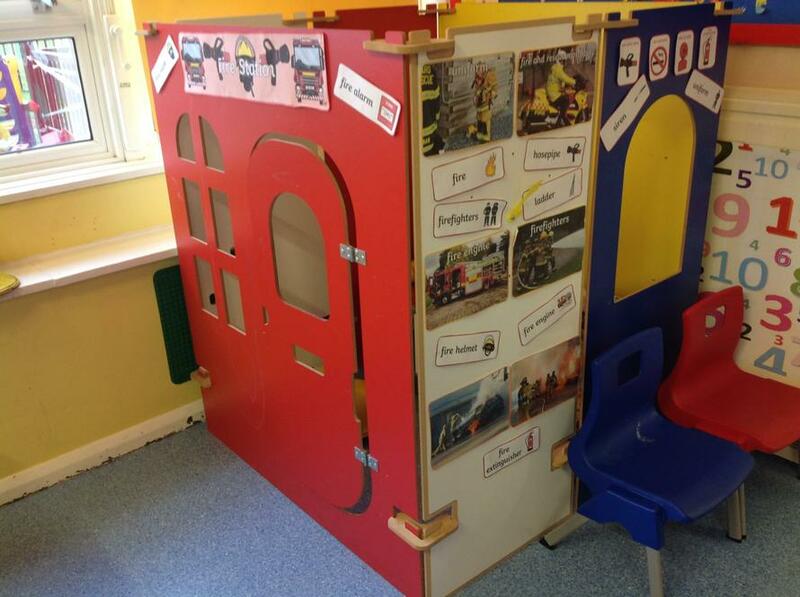 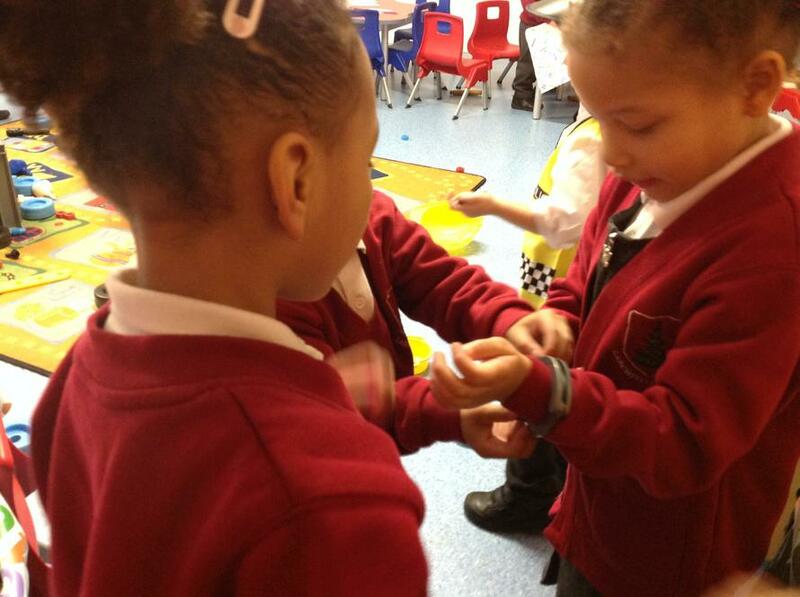 Last week we were learning about fire fighters and how they can help us, the children loved the fire station role-play. 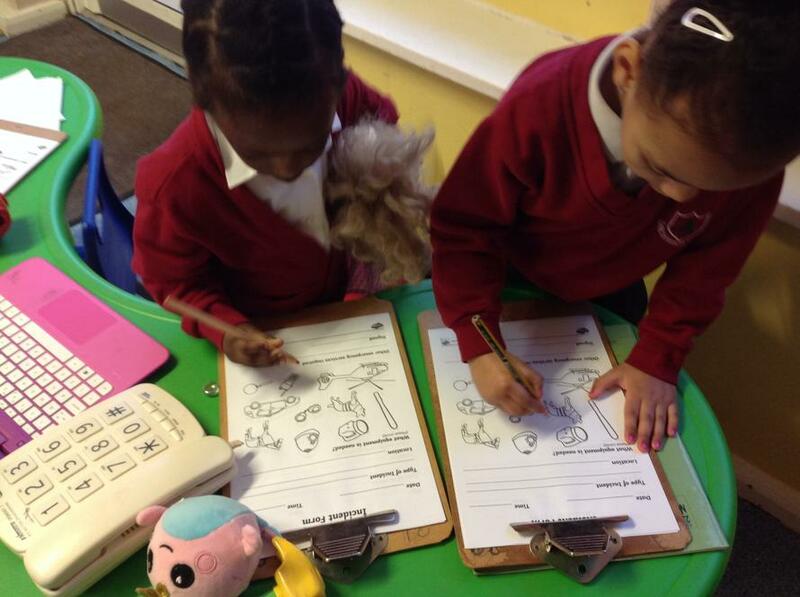 The children have enjoyed learning all about teeth and what the Dentist can do for us! 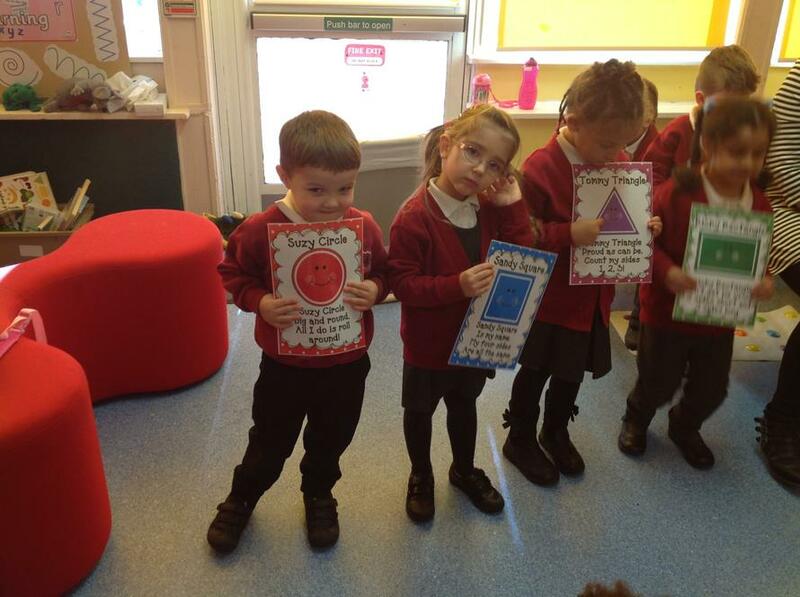 Very impressed with our children today! 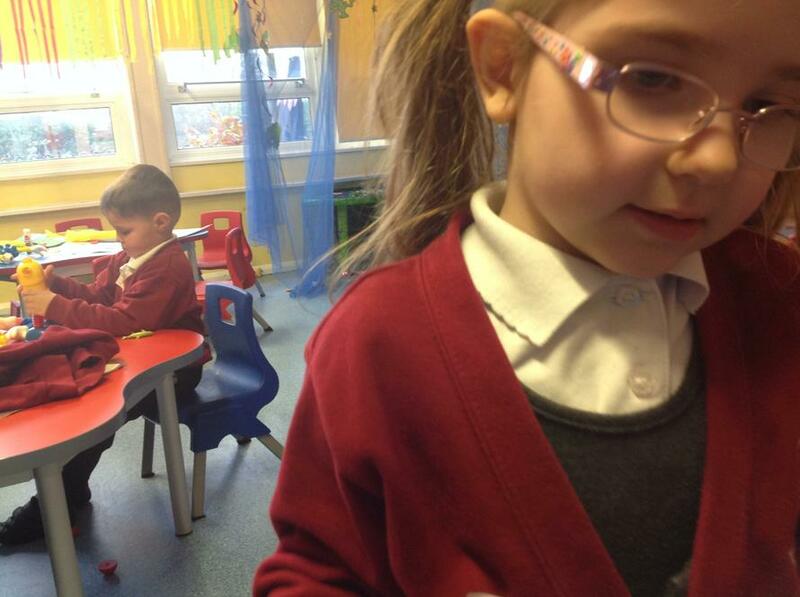 very focused! 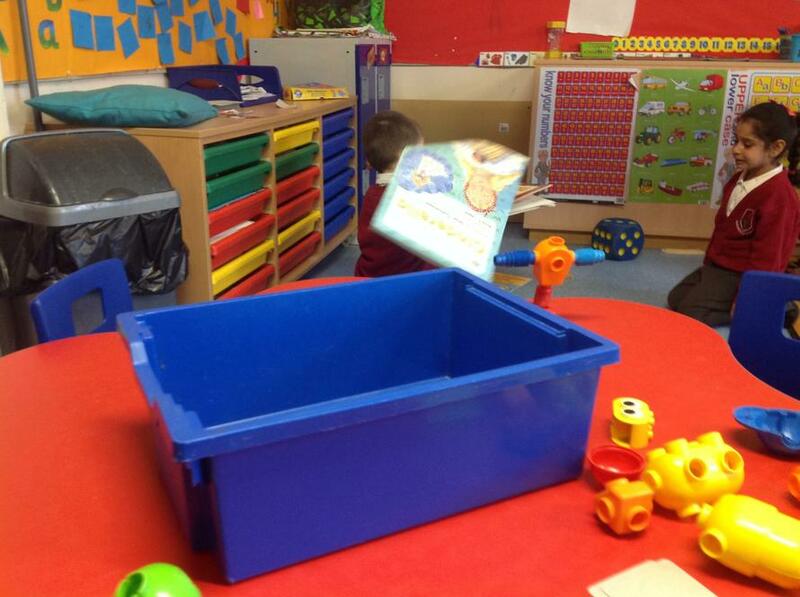 Busy Boxes are ready for the children to explore next week. 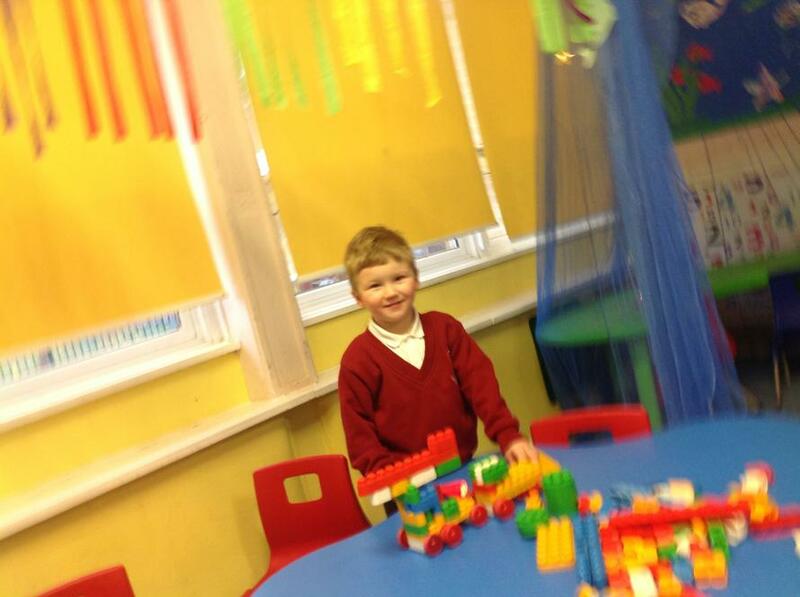 We have had some great constructions from the children this week! 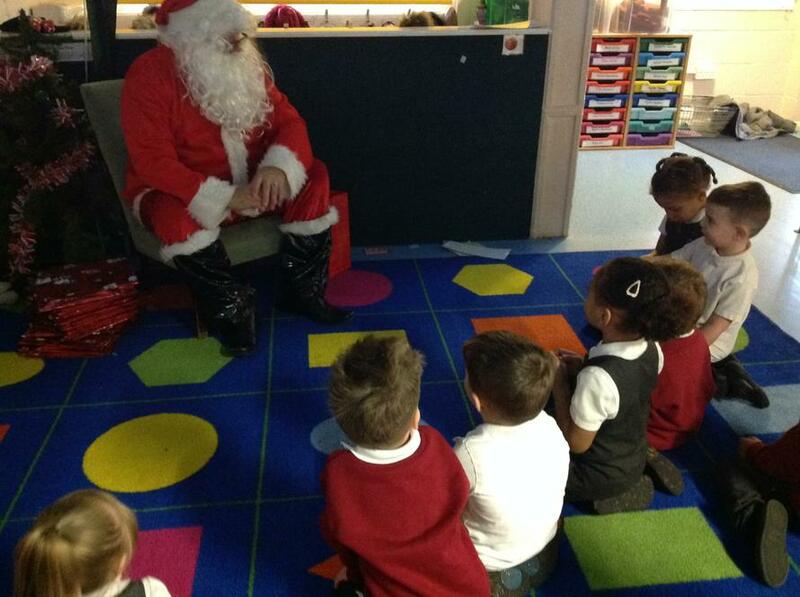 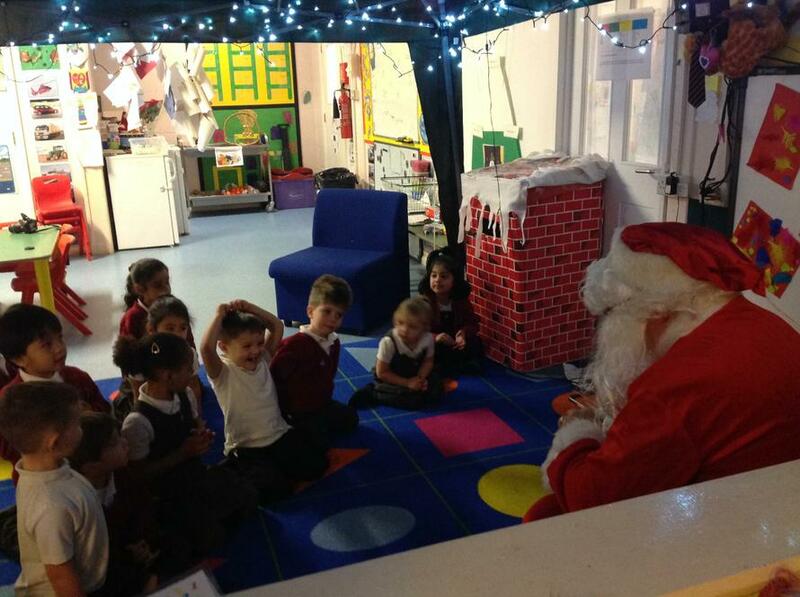 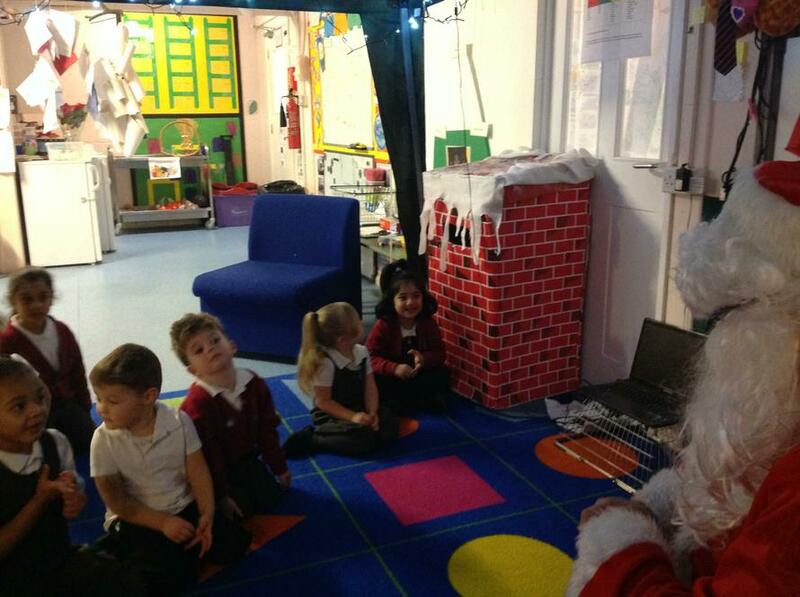 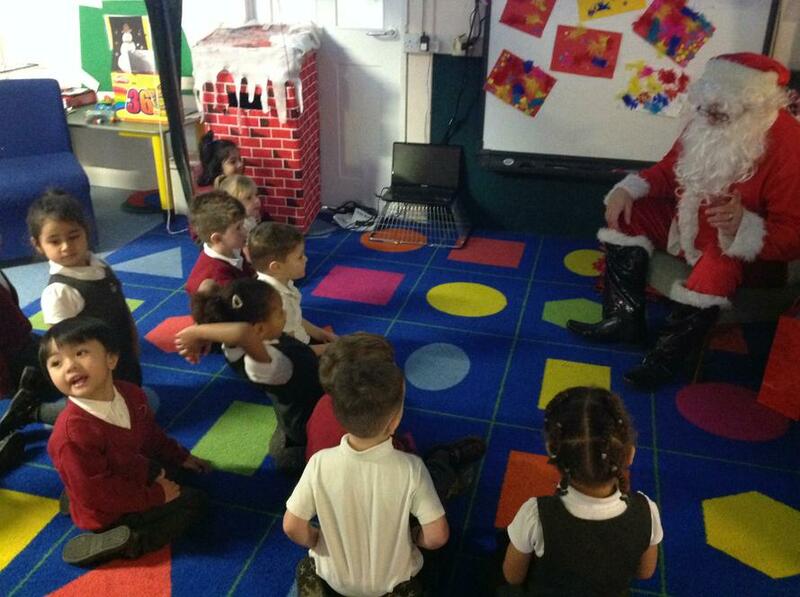 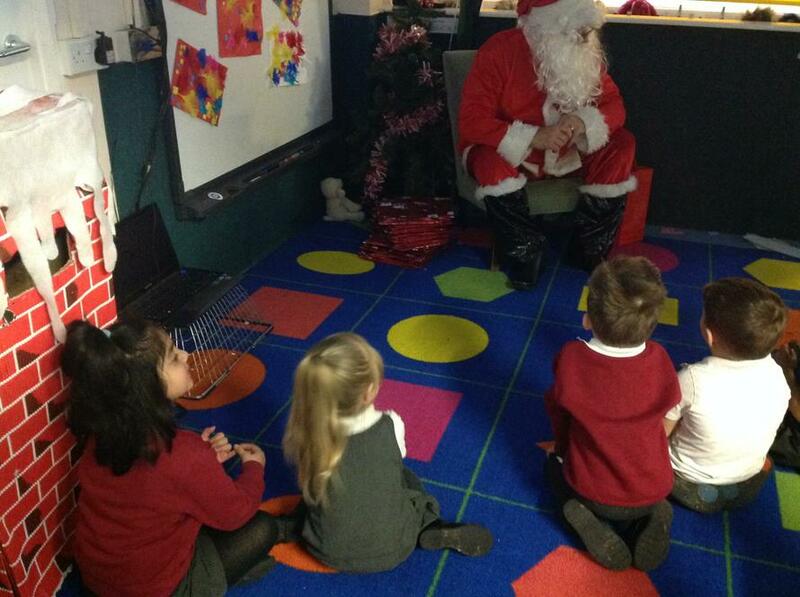 Surprise visit from Father Christmas! 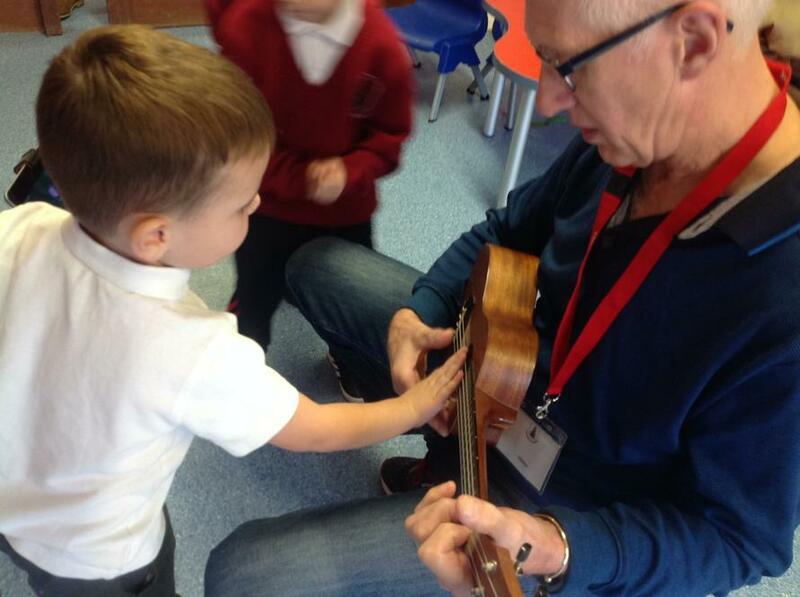 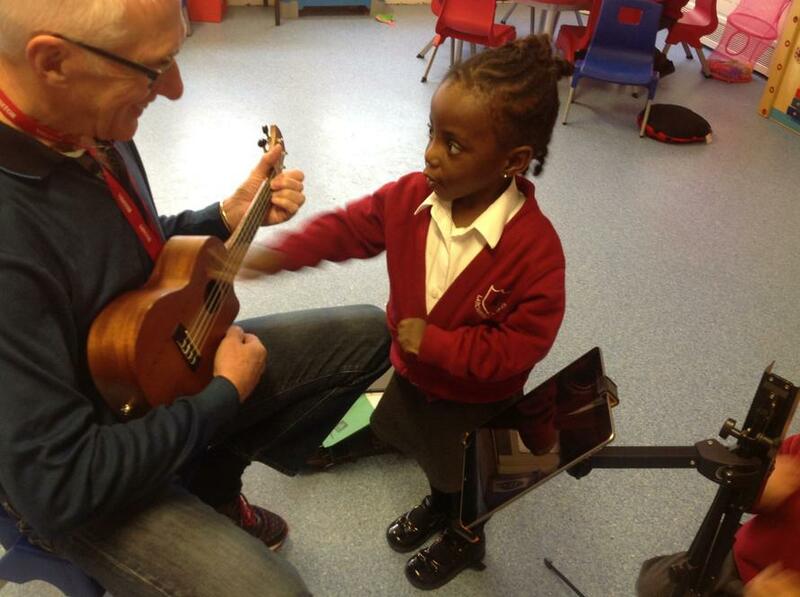 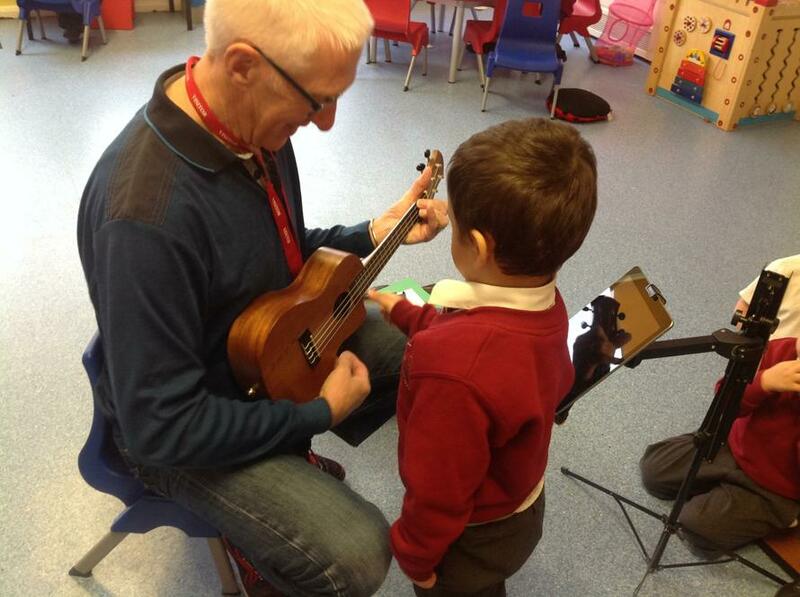 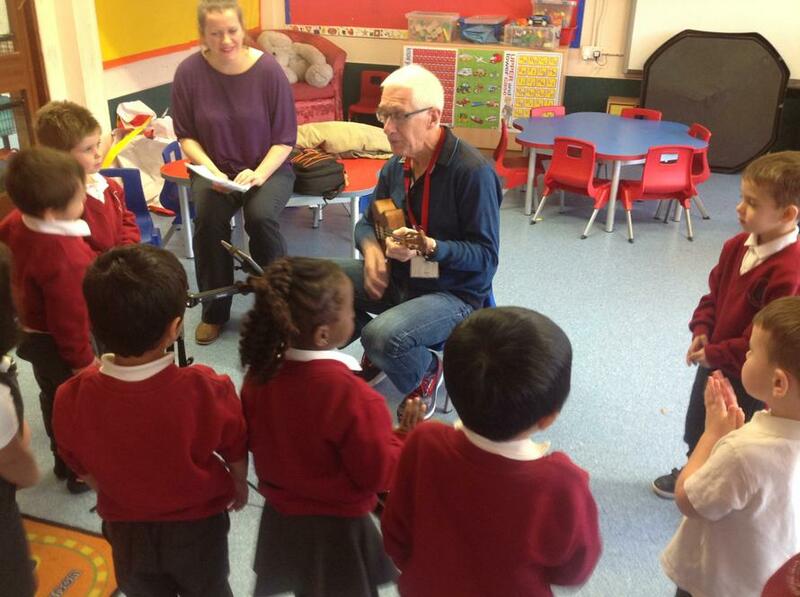 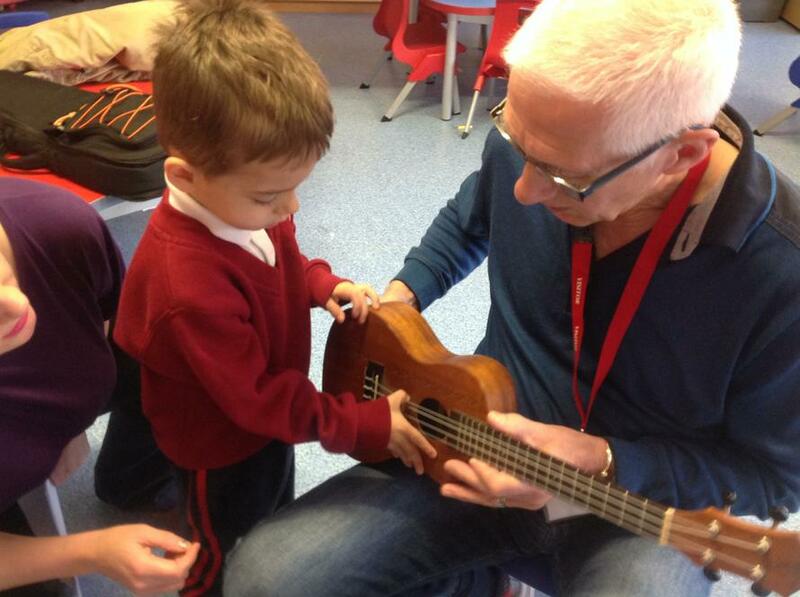 Learning our Christmas songs with Trevor and the ukulele. 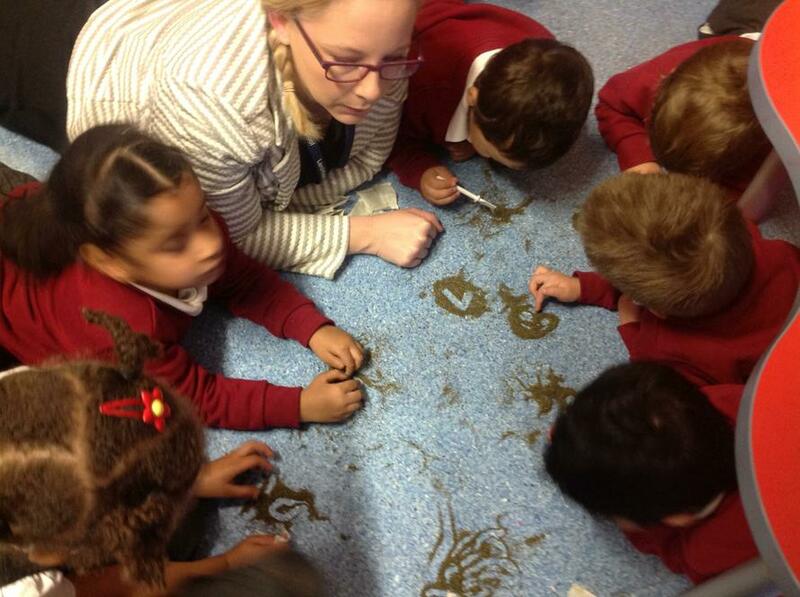 Mark Making in tea leaves. 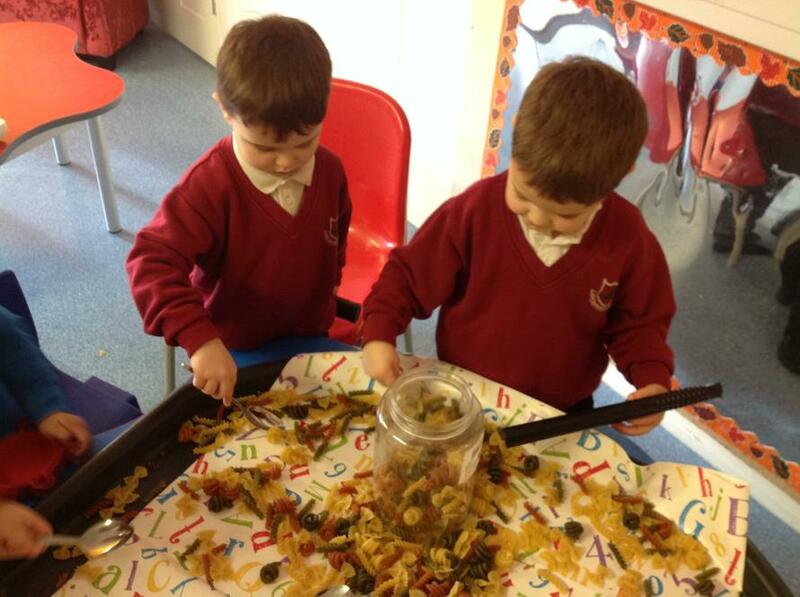 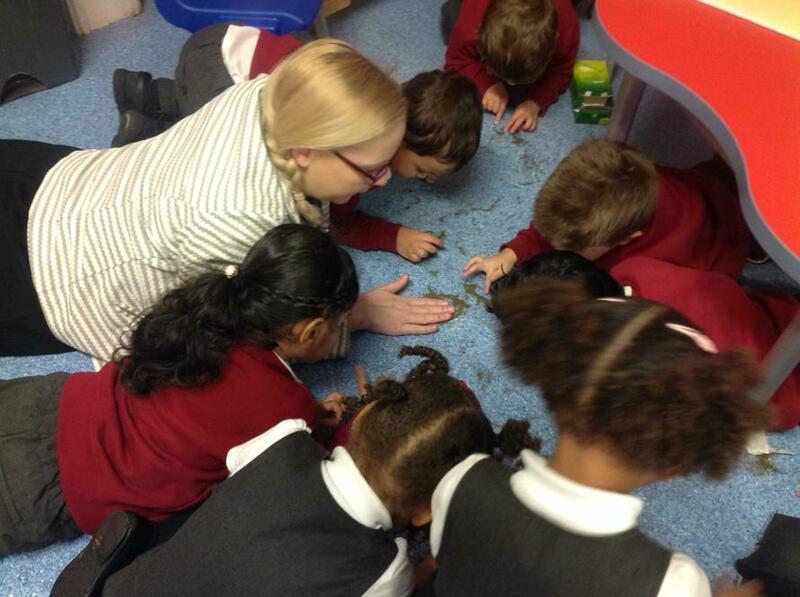 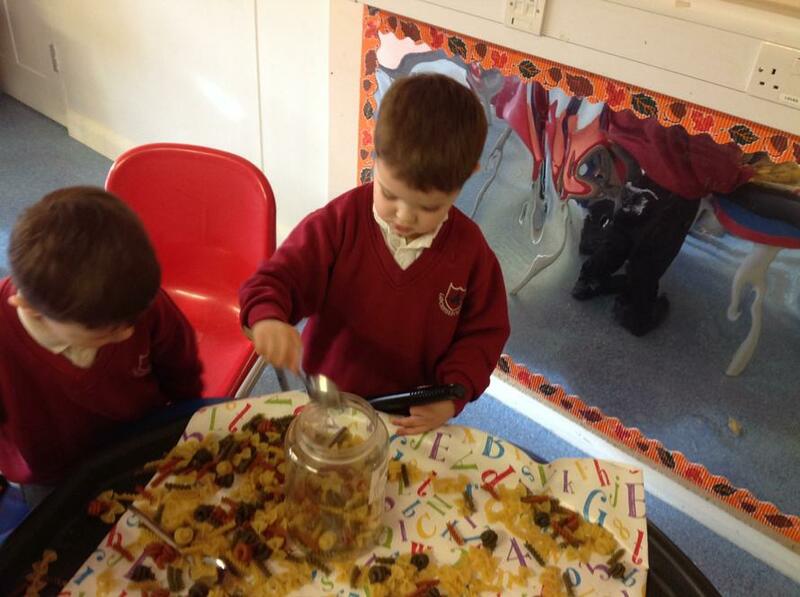 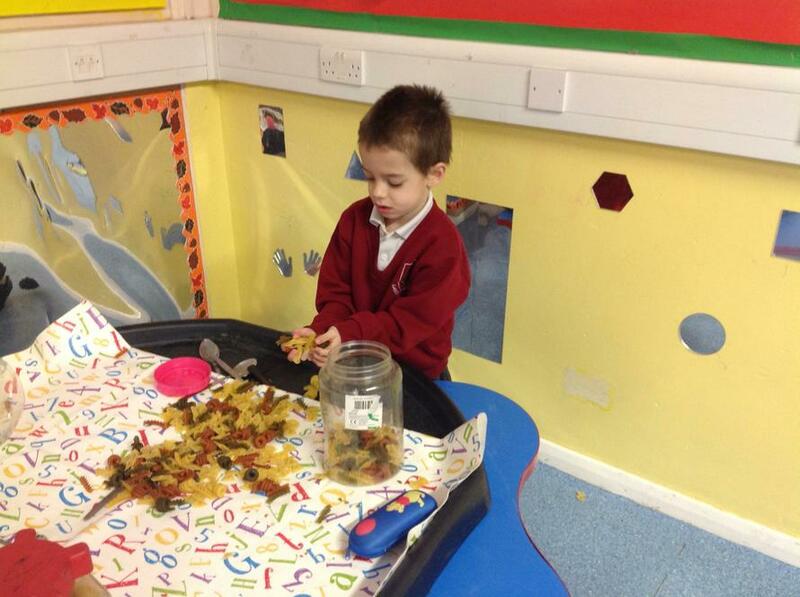 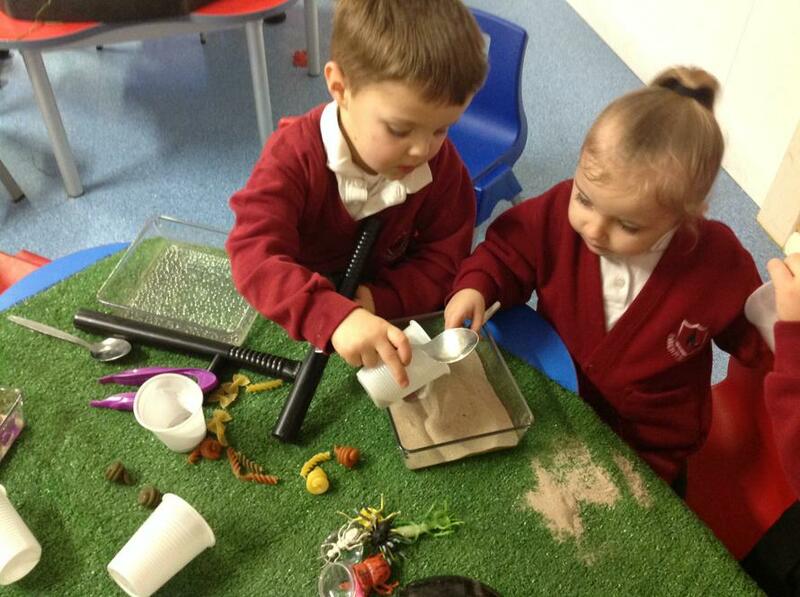 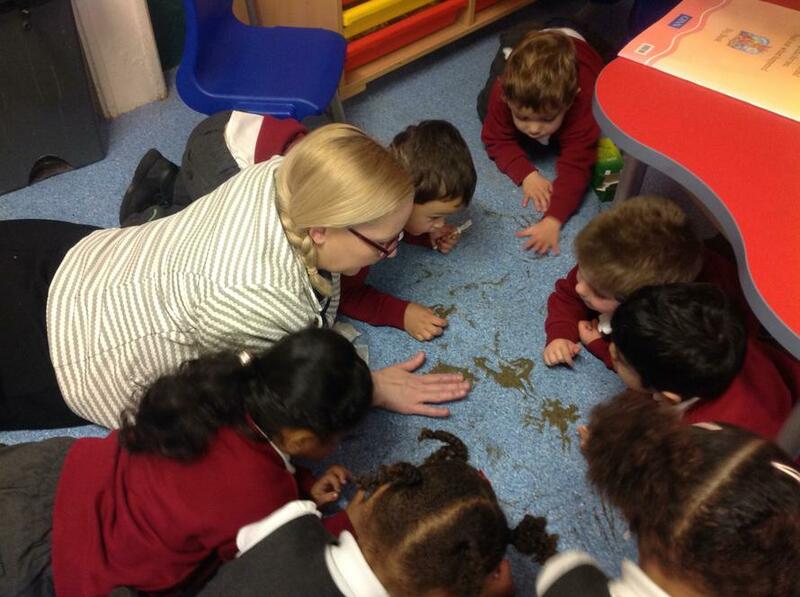 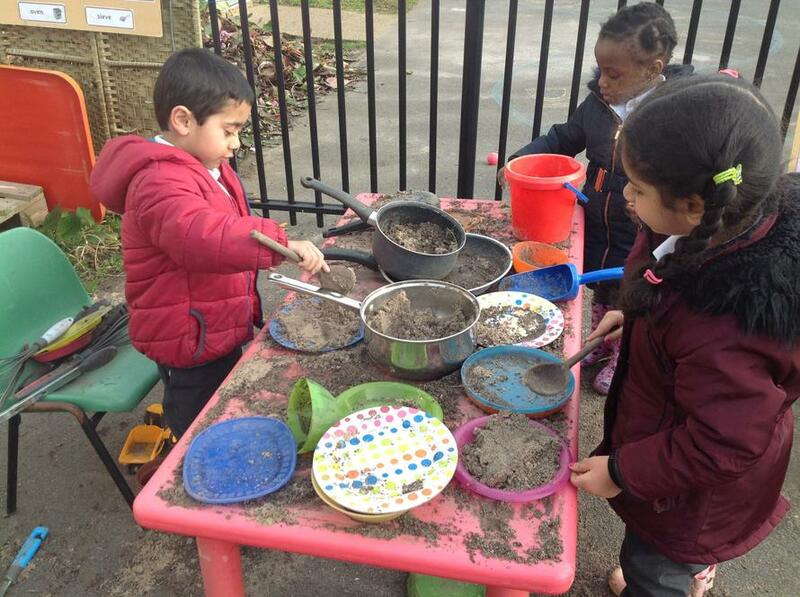 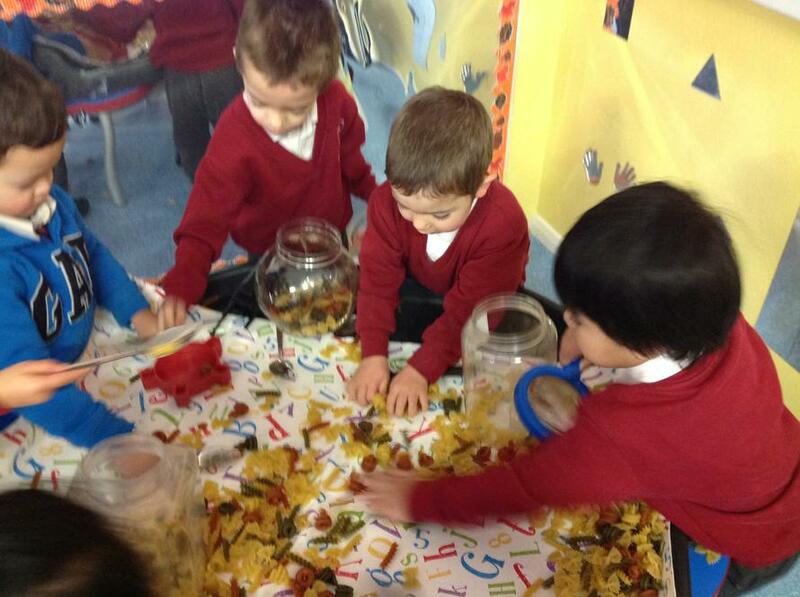 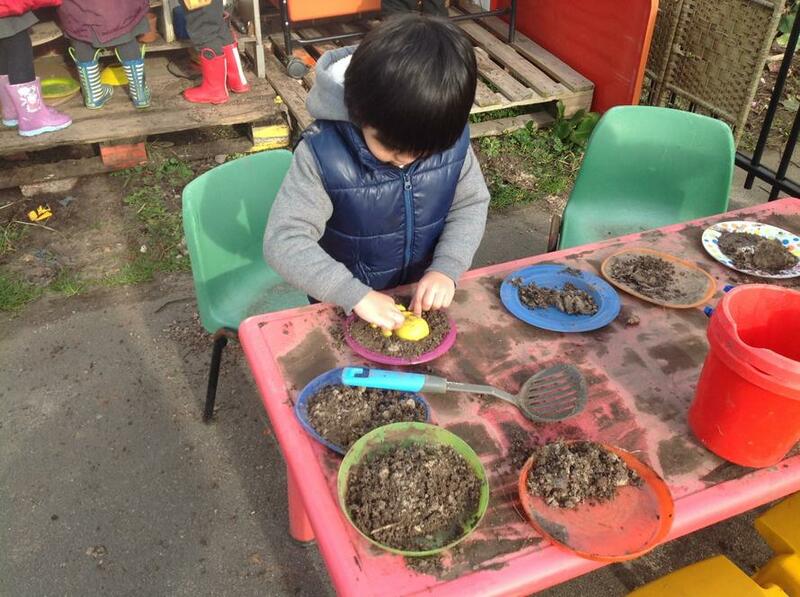 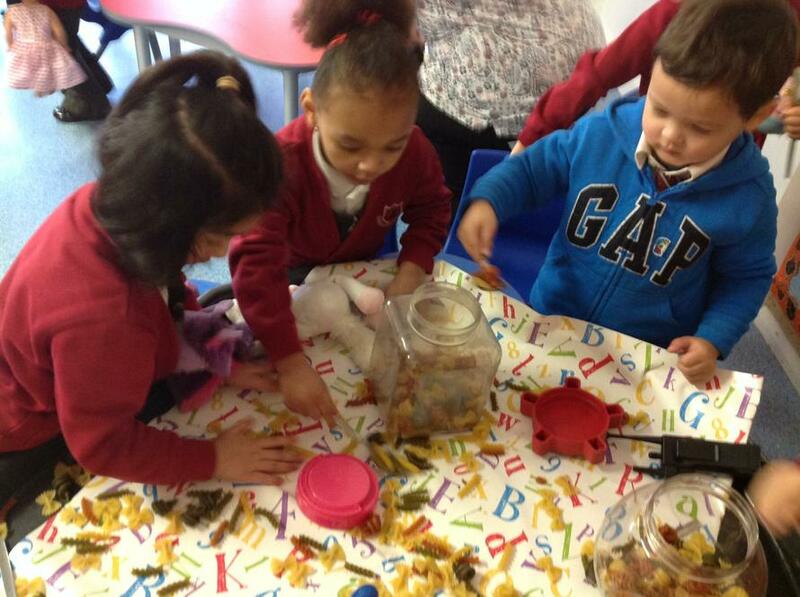 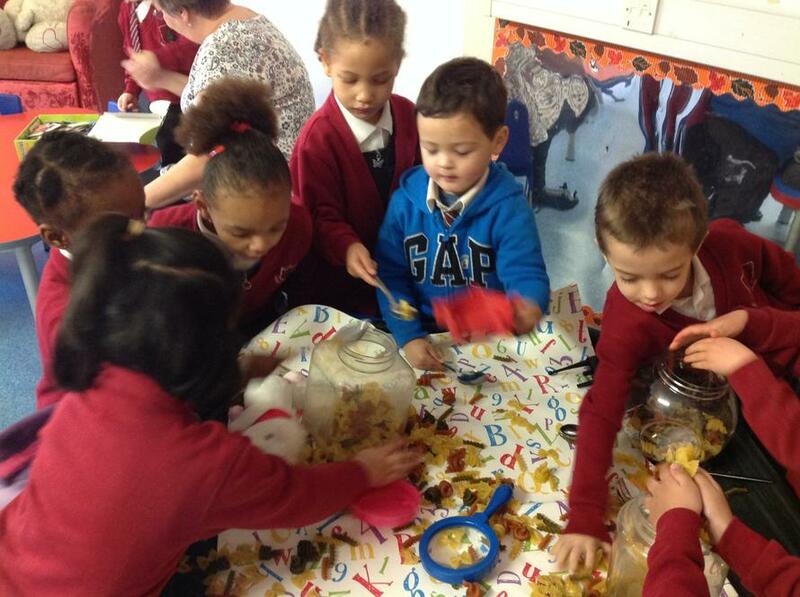 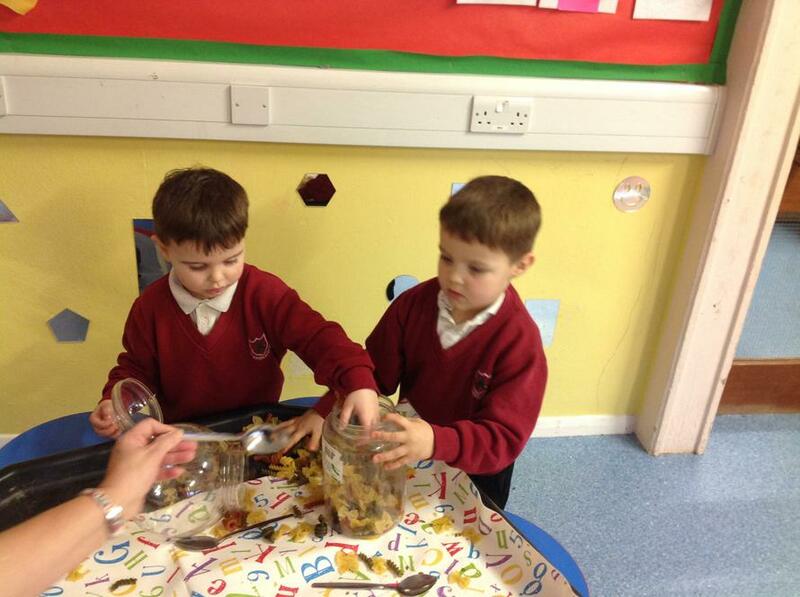 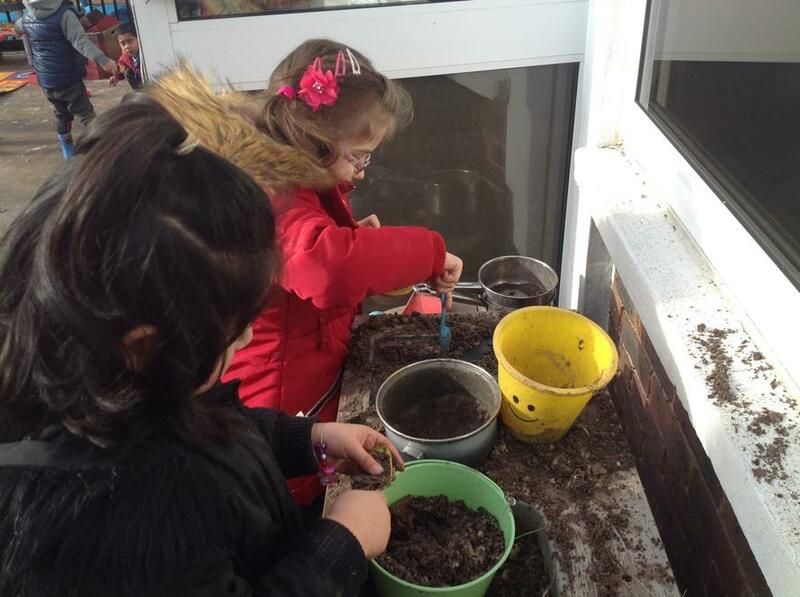 All the children enjoyed investigating the tea bags and tea leaves. 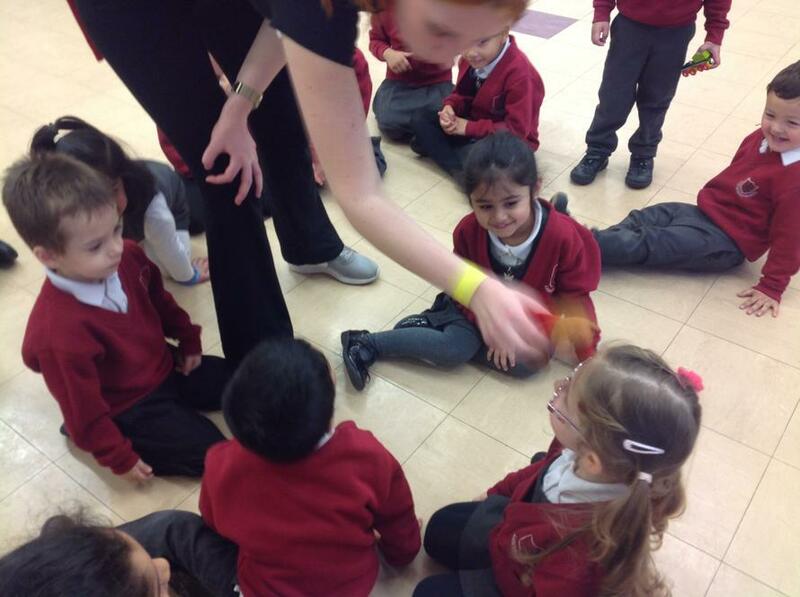 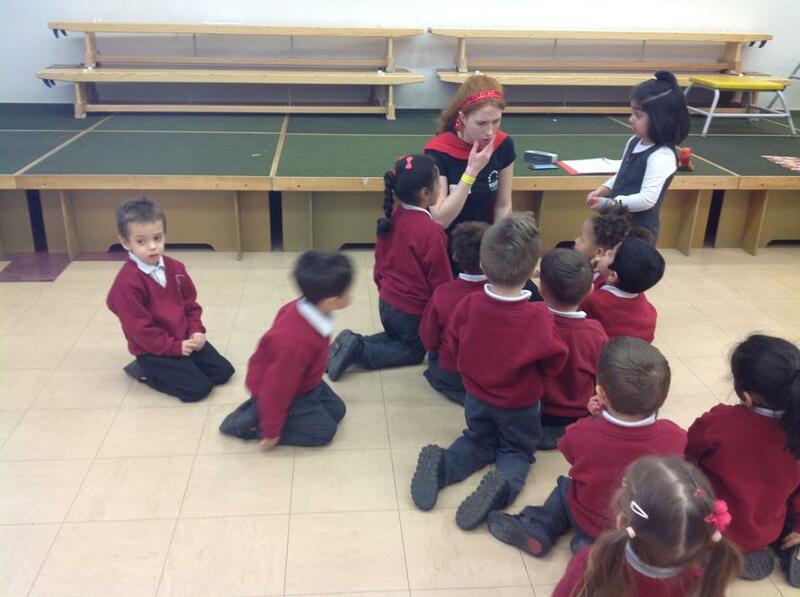 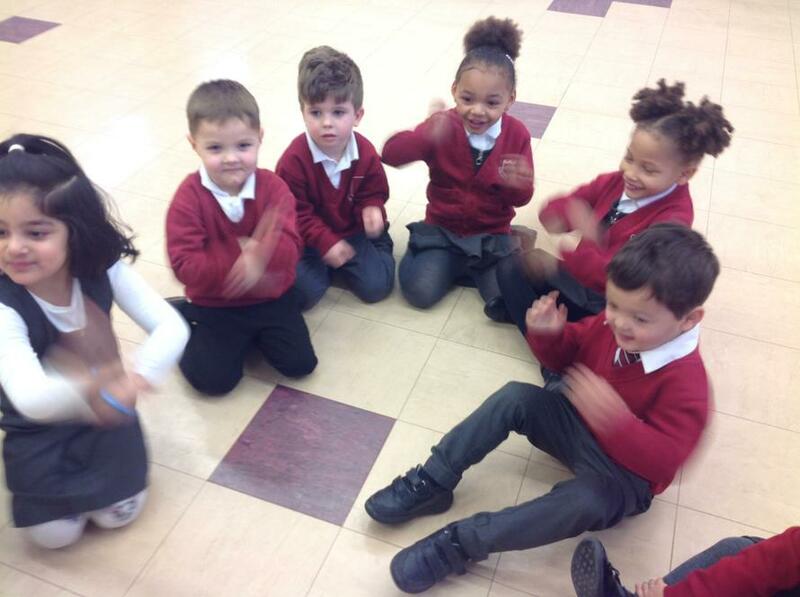 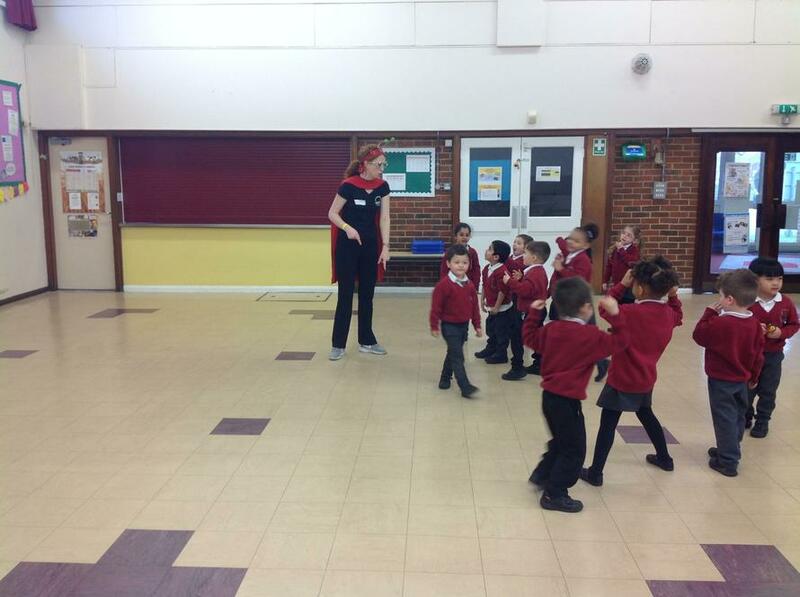 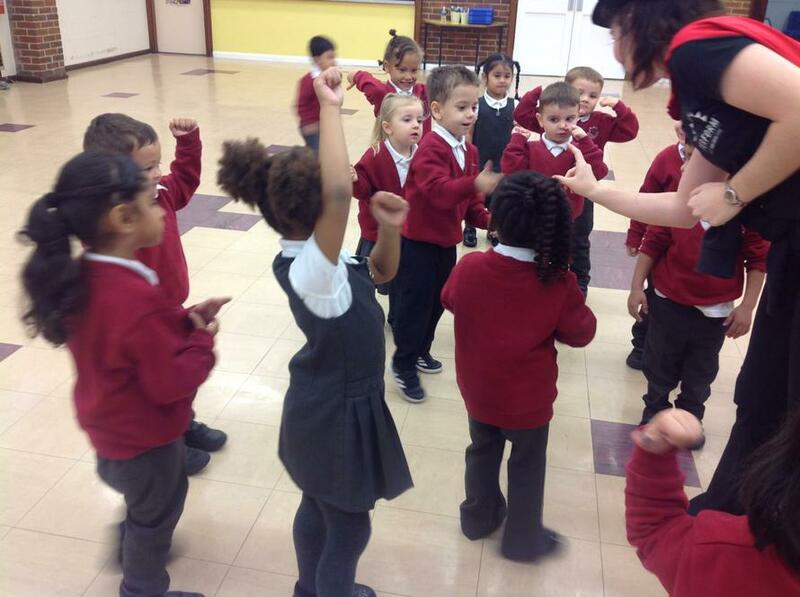 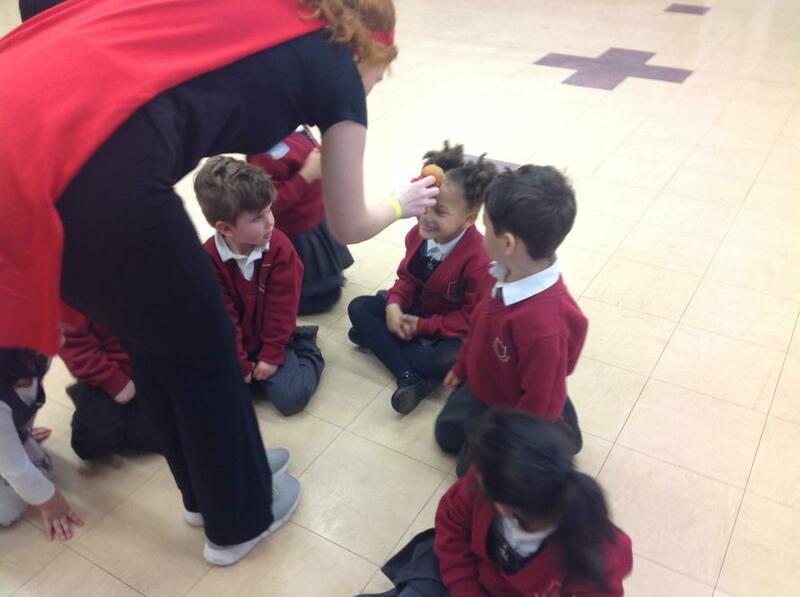 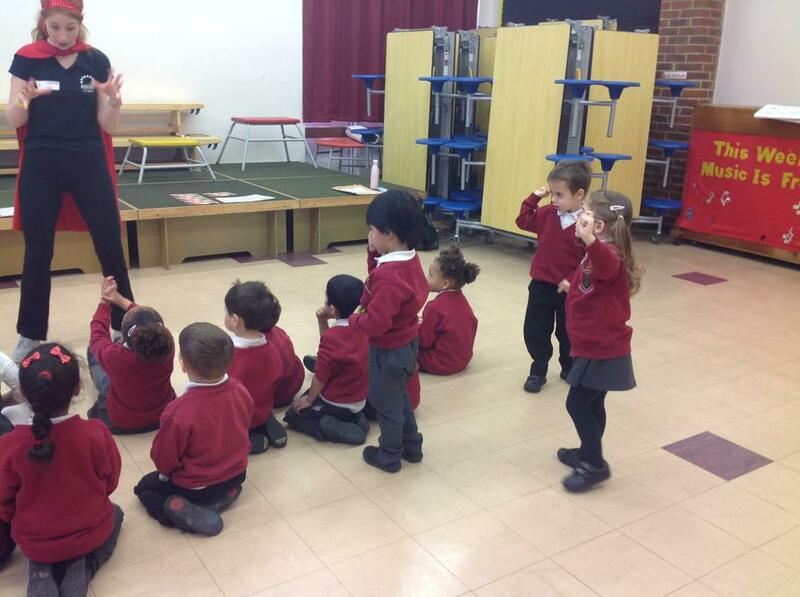 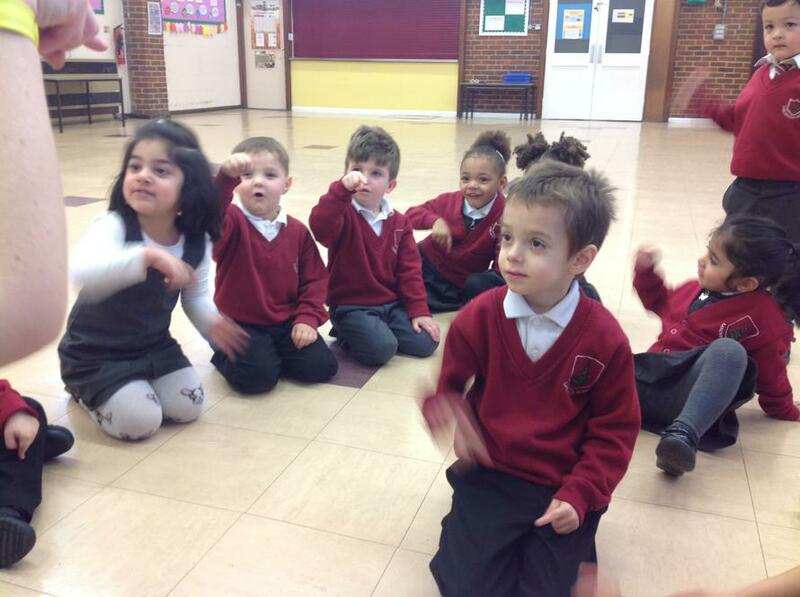 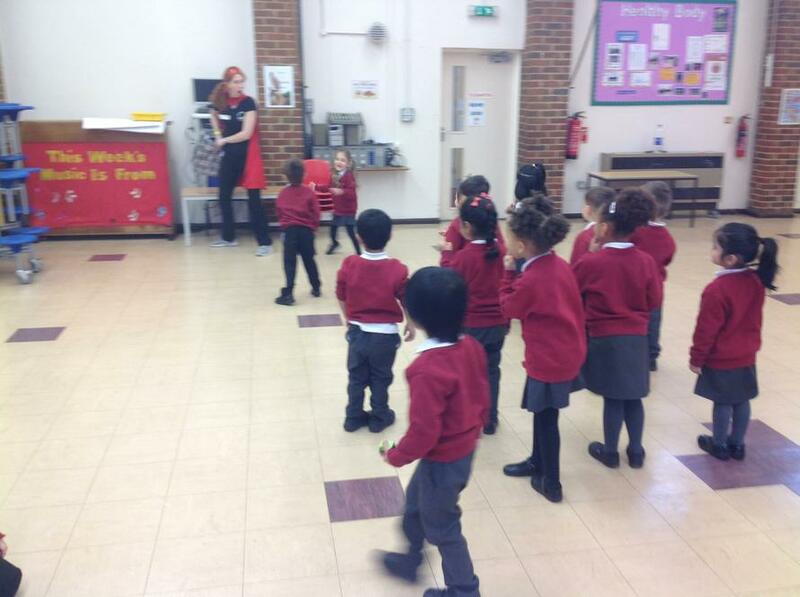 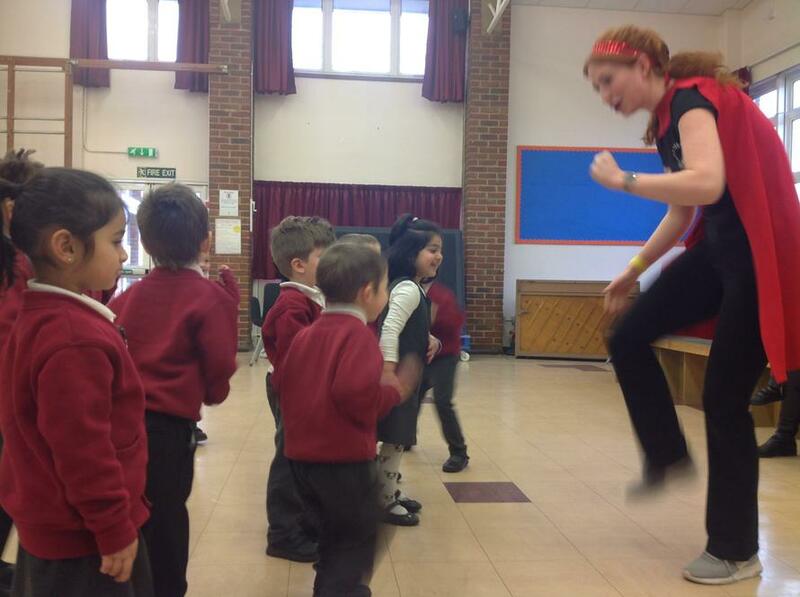 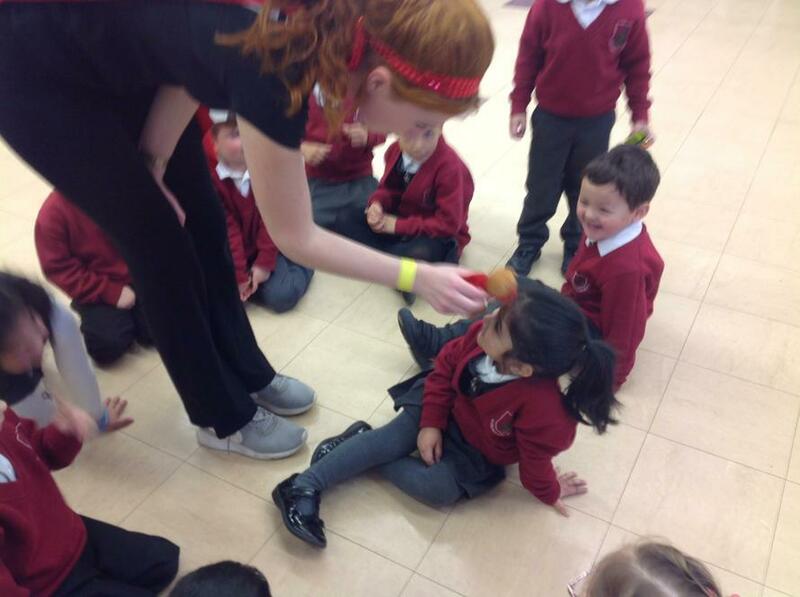 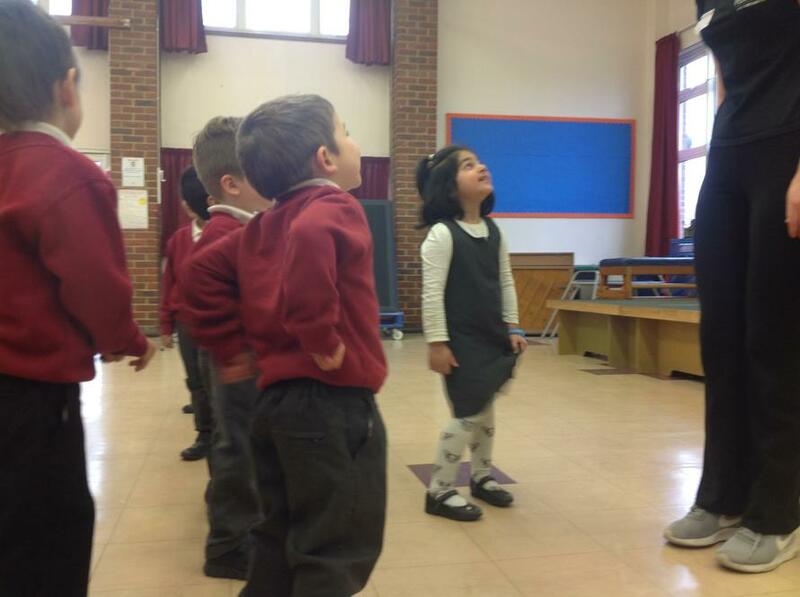 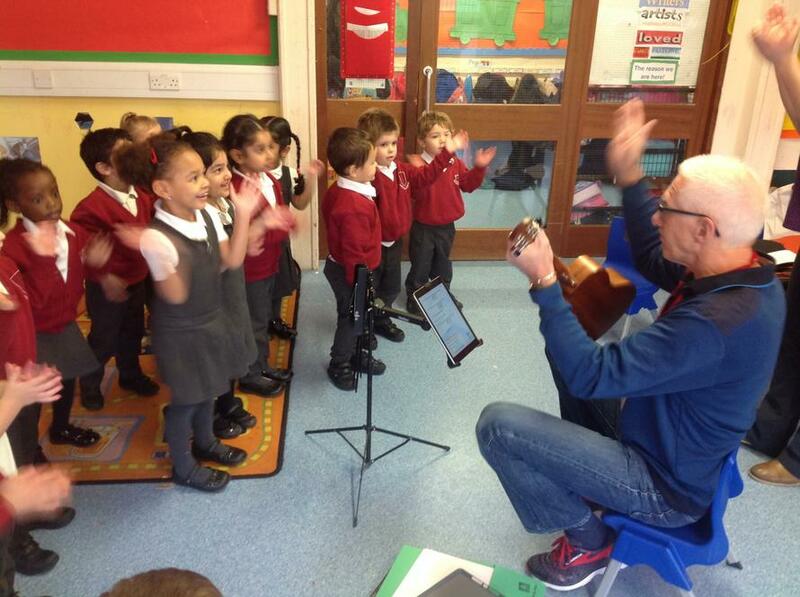 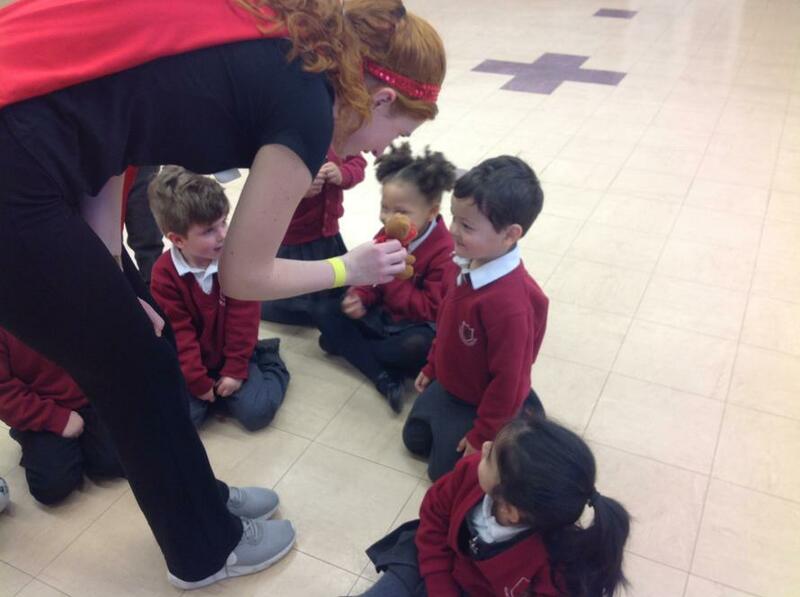 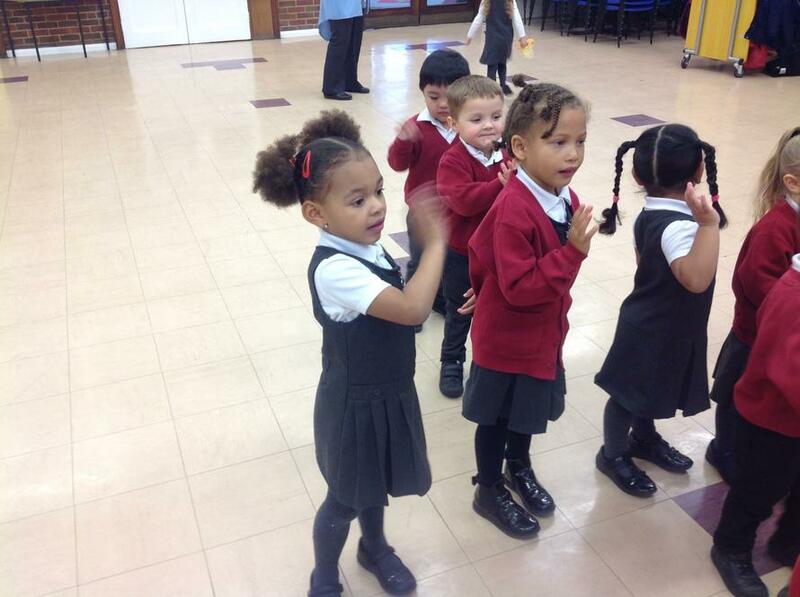 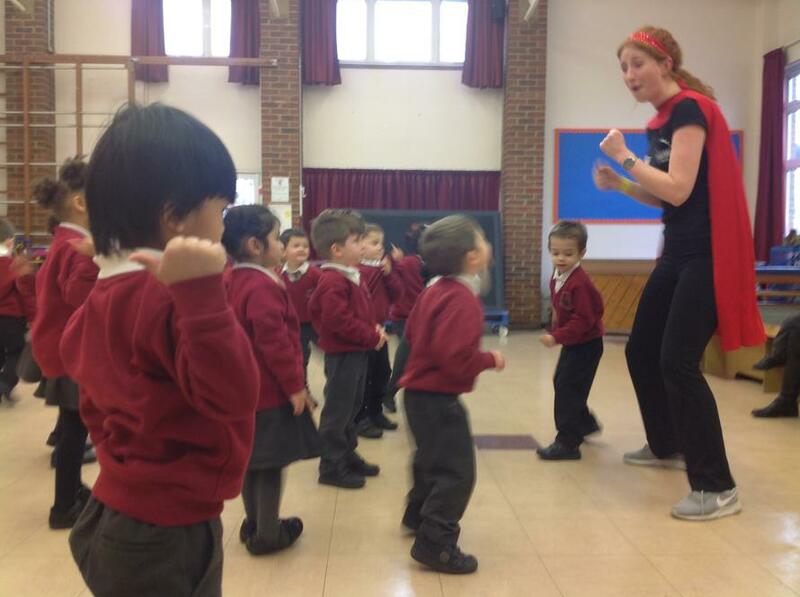 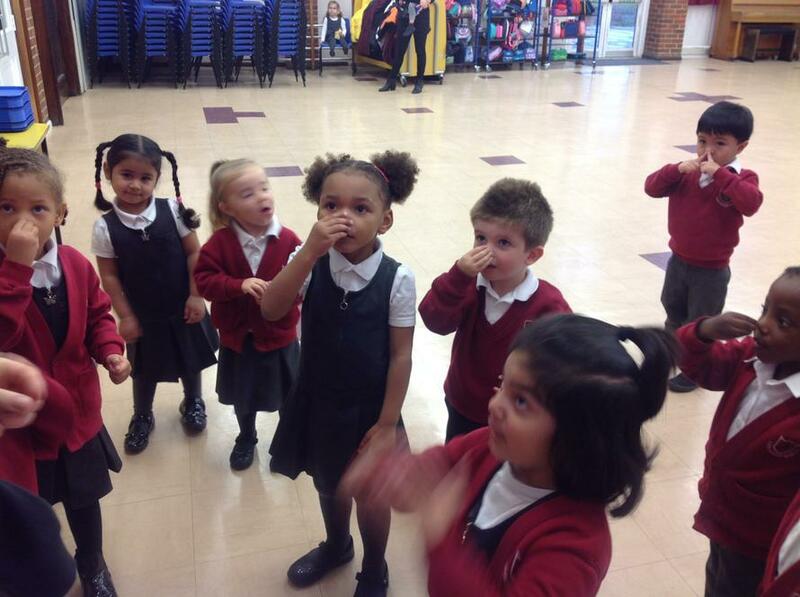 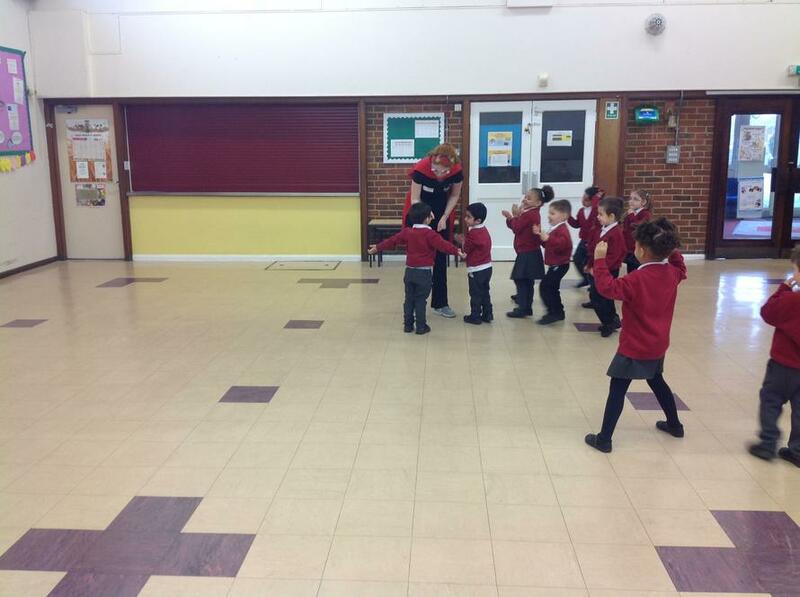 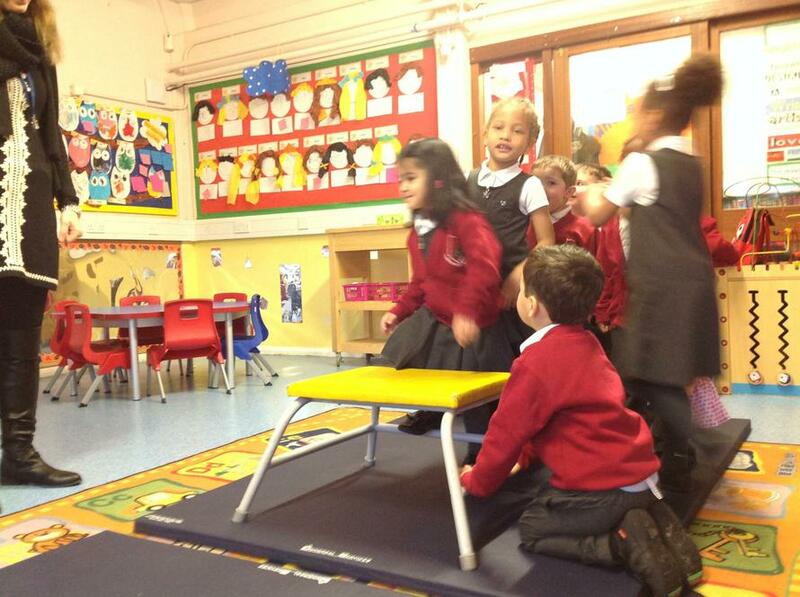 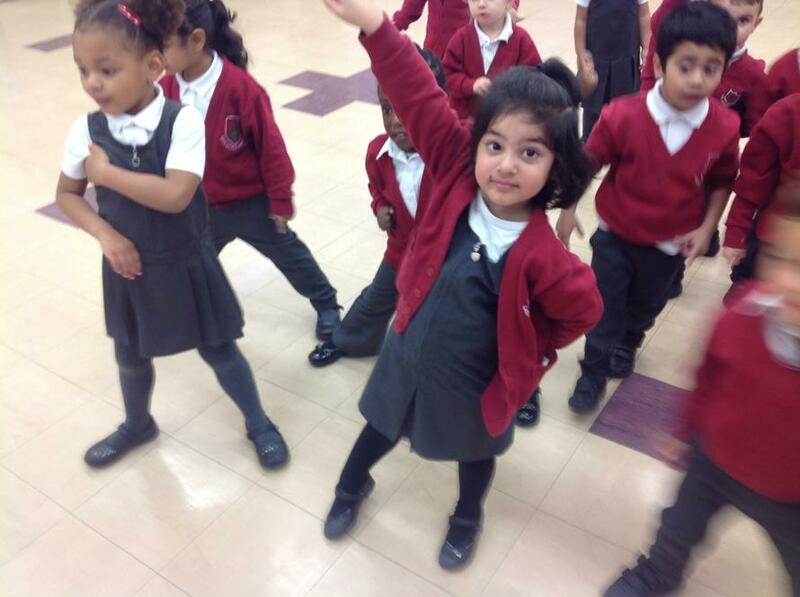 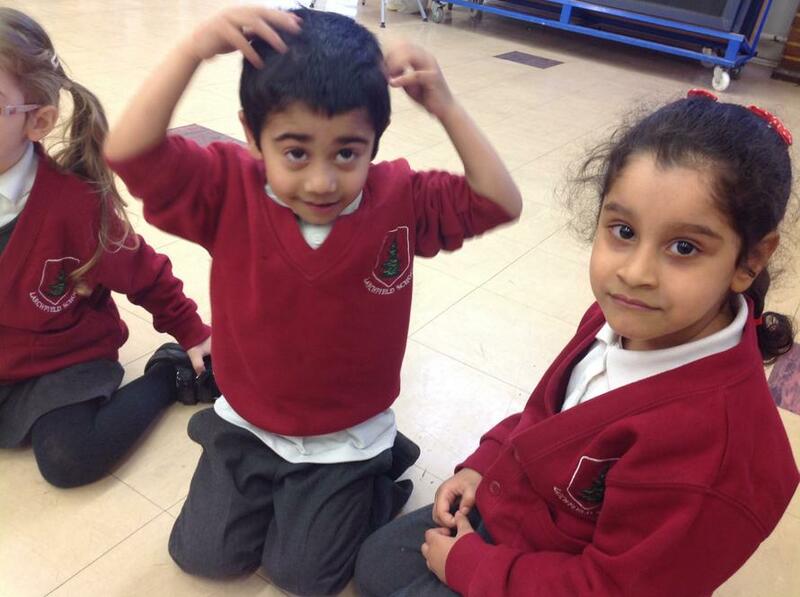 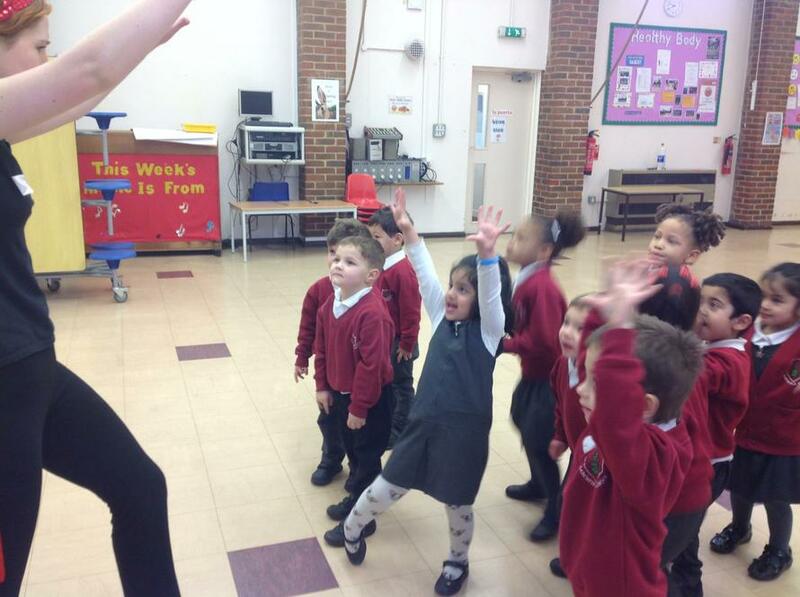 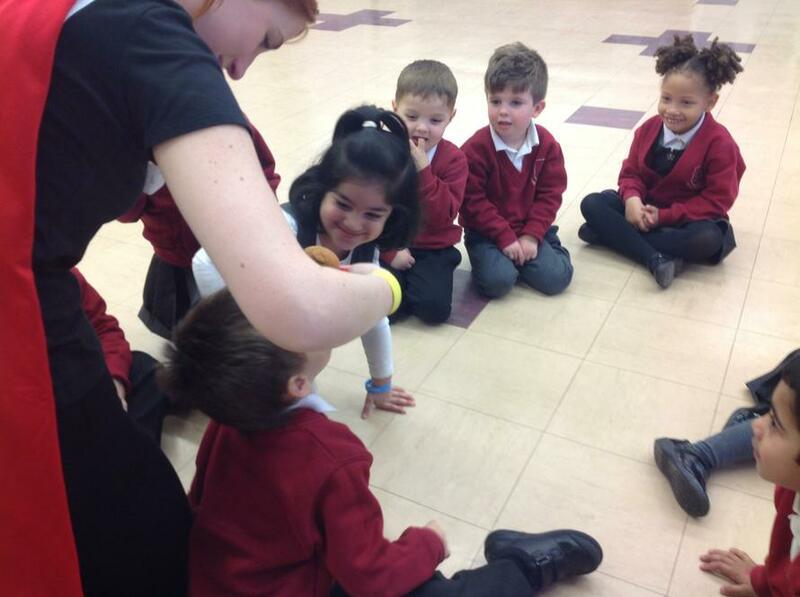 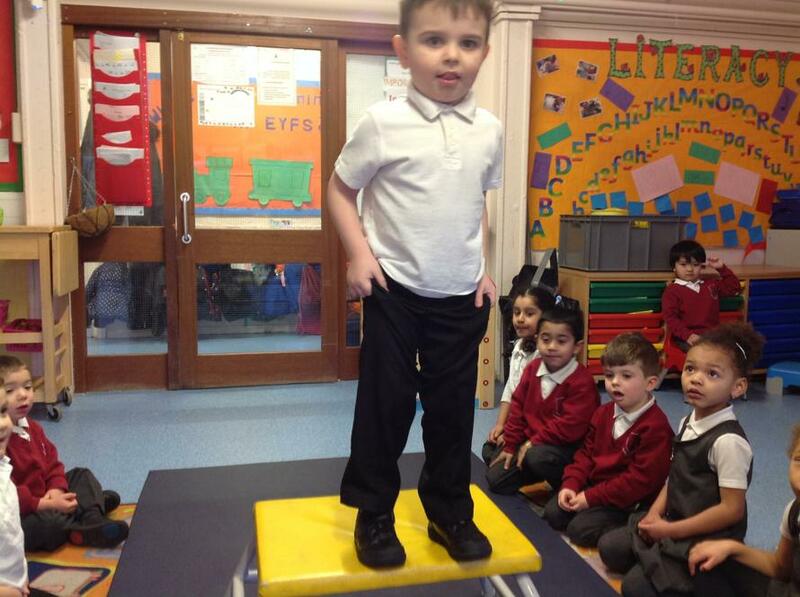 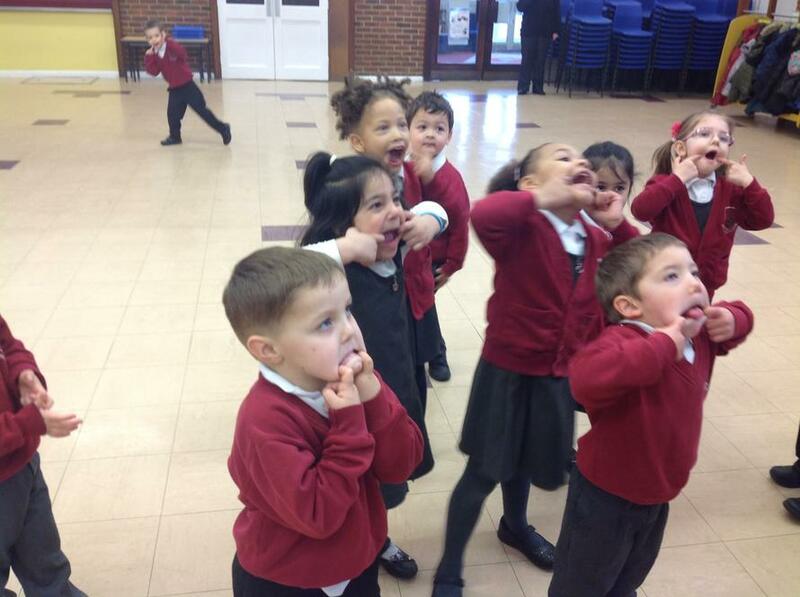 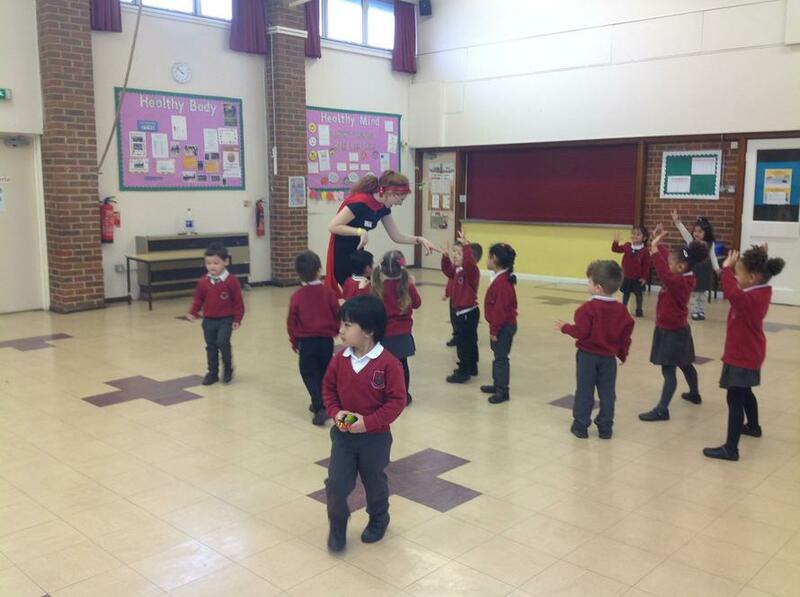 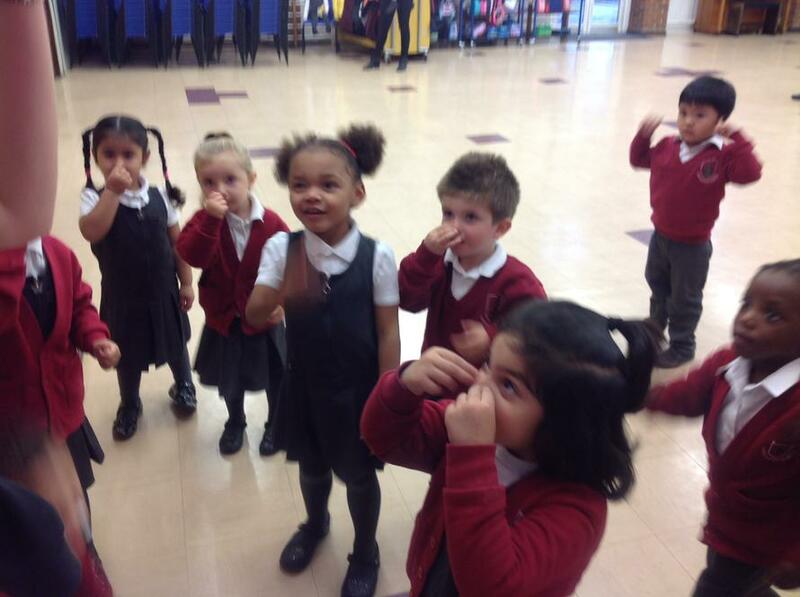 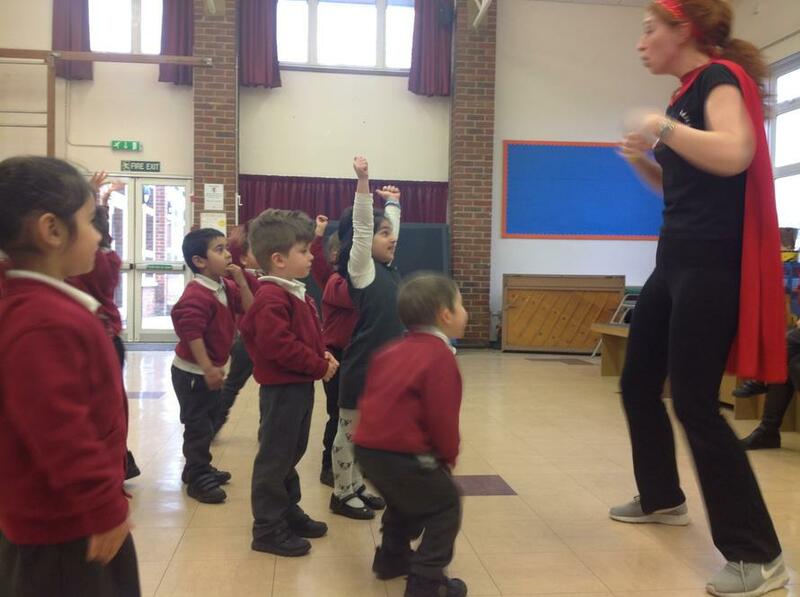 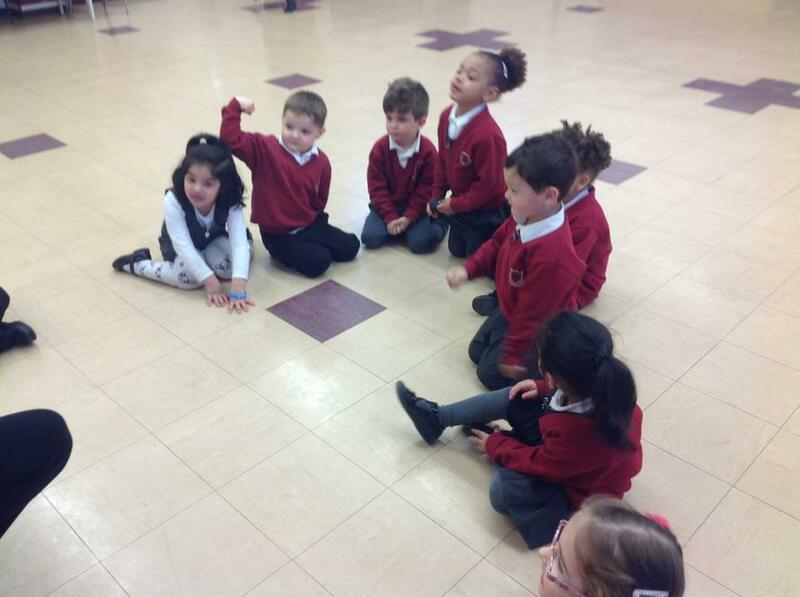 The Nursery children loved taking part in the Drama workshop!